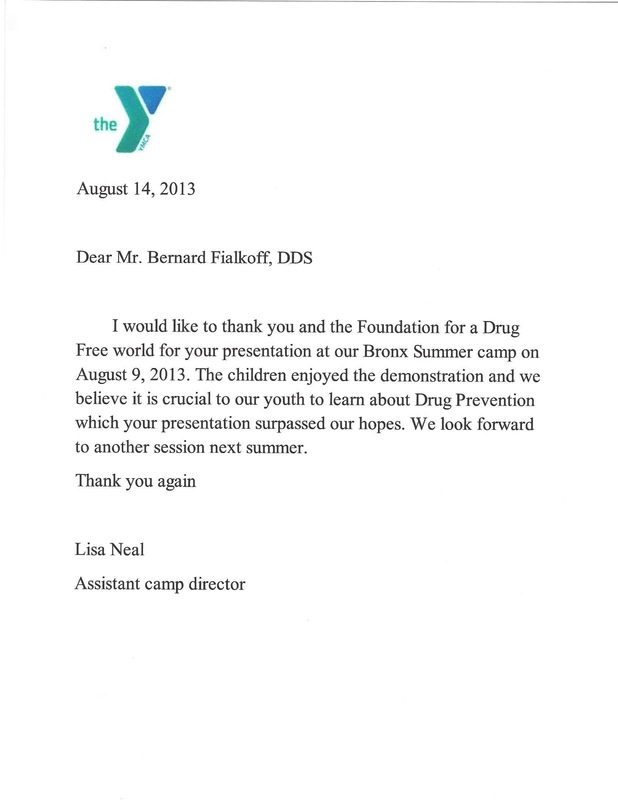 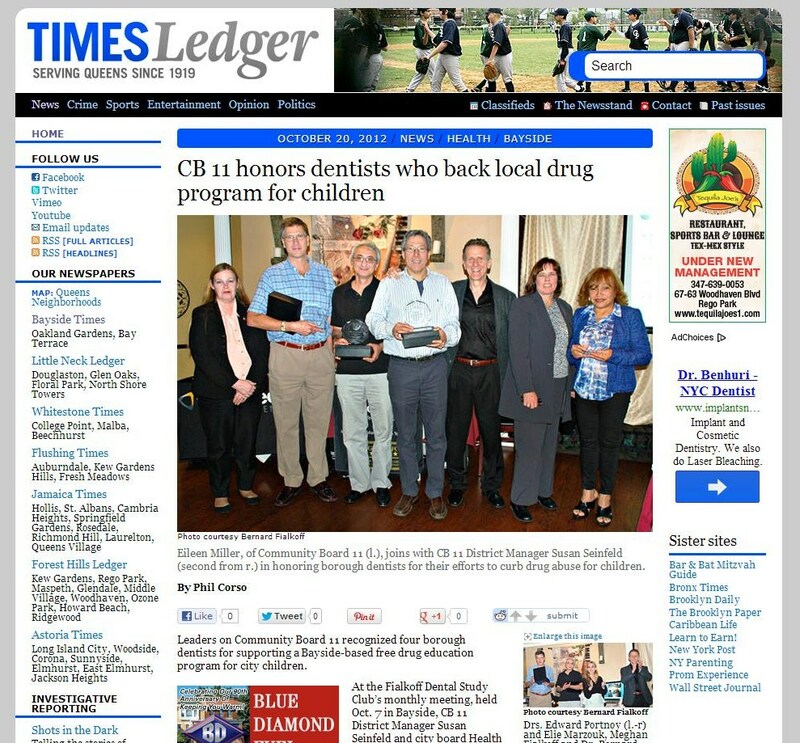 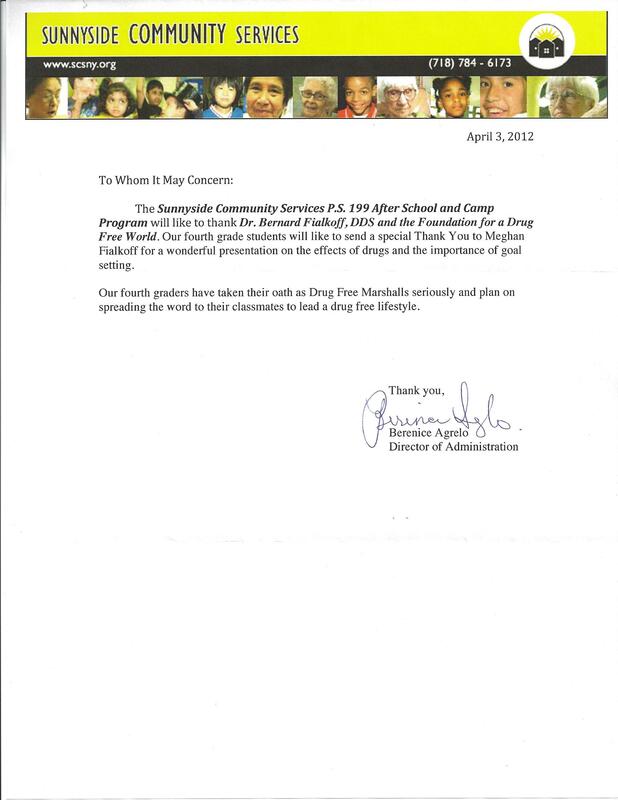 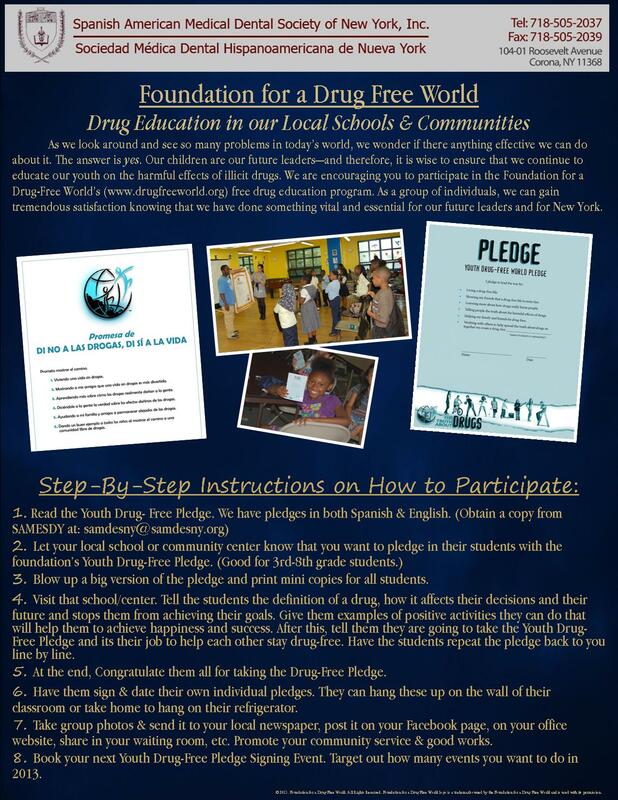 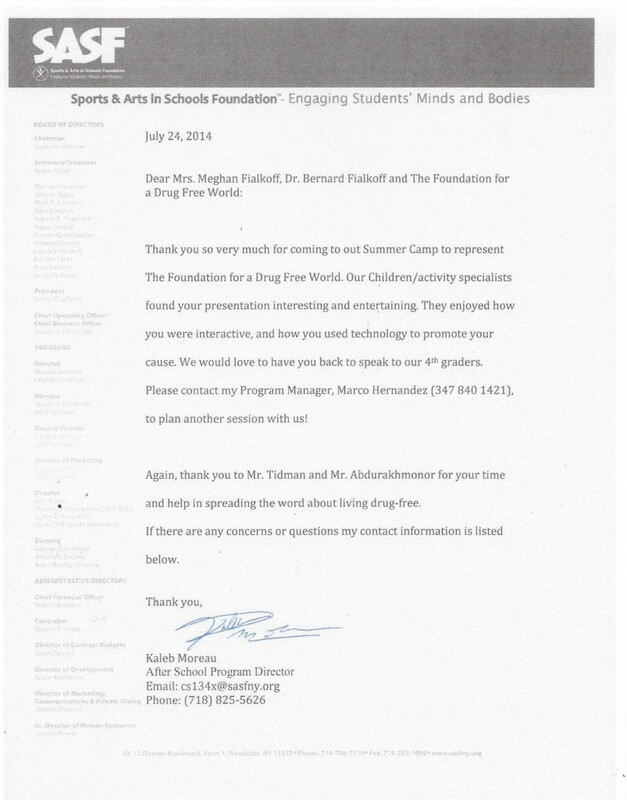 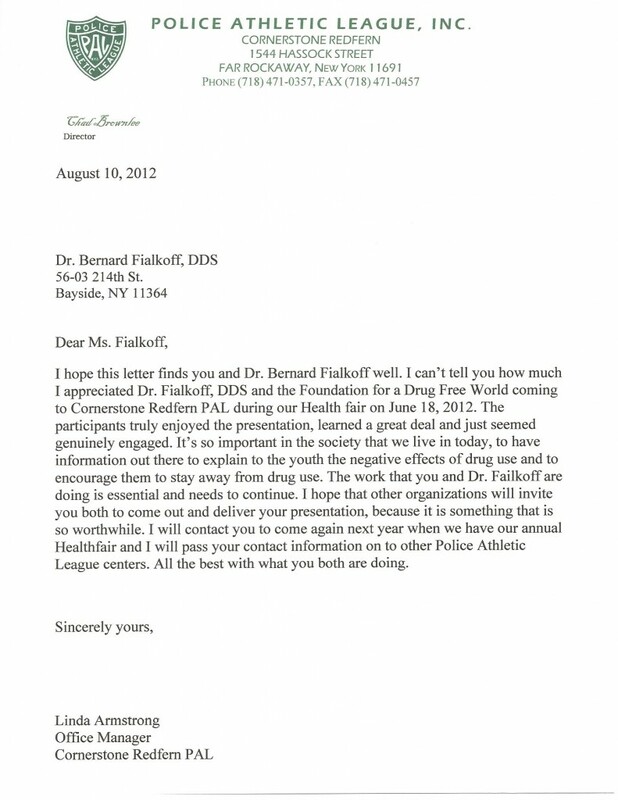 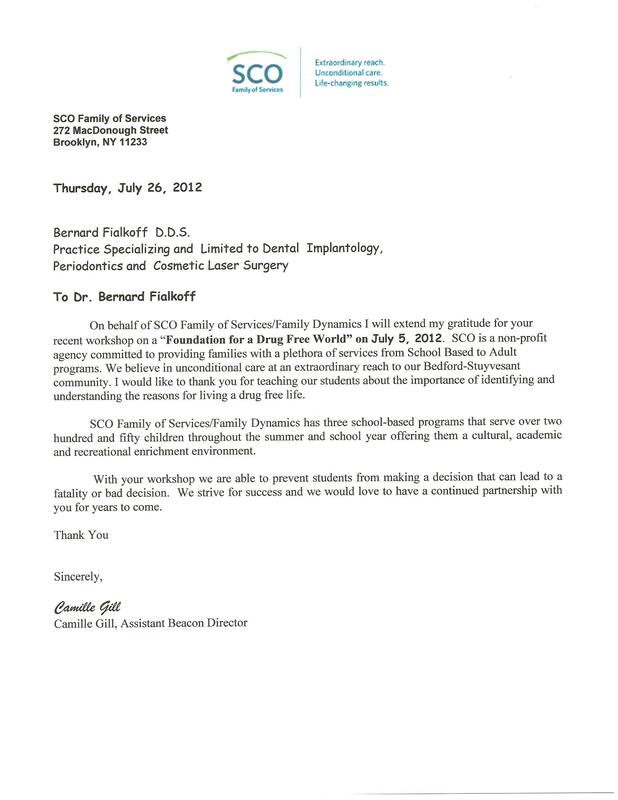 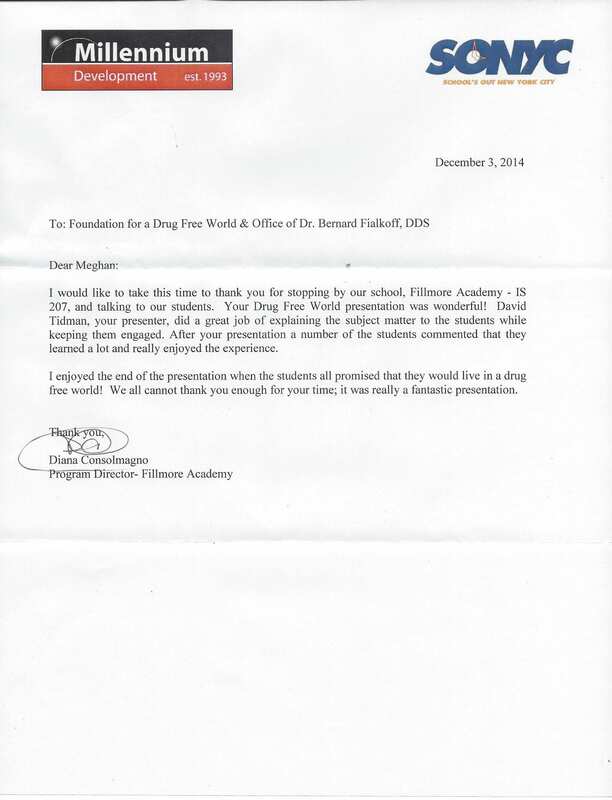 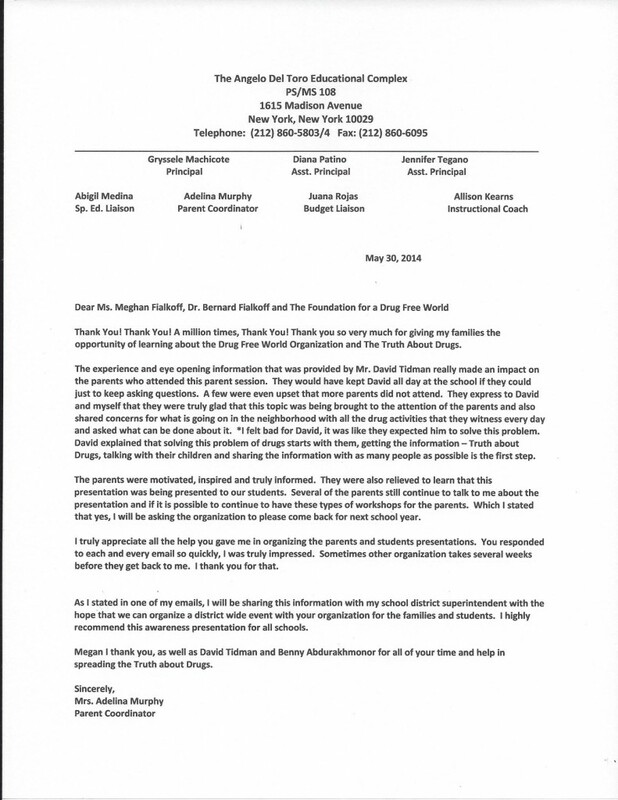 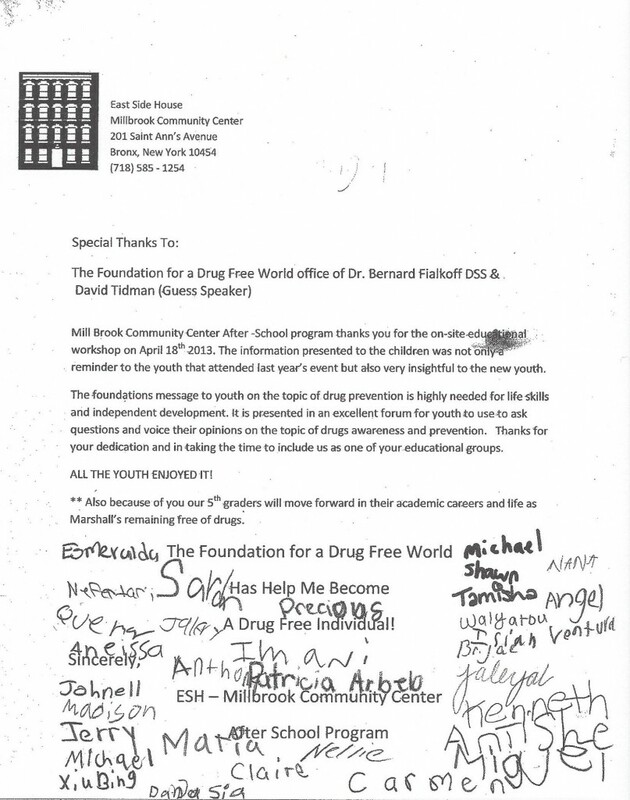 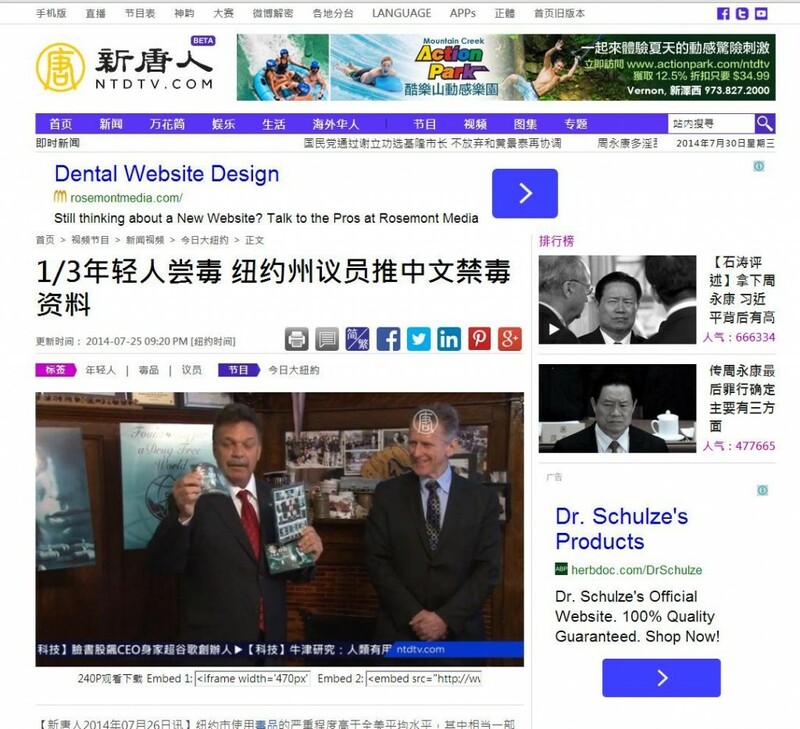 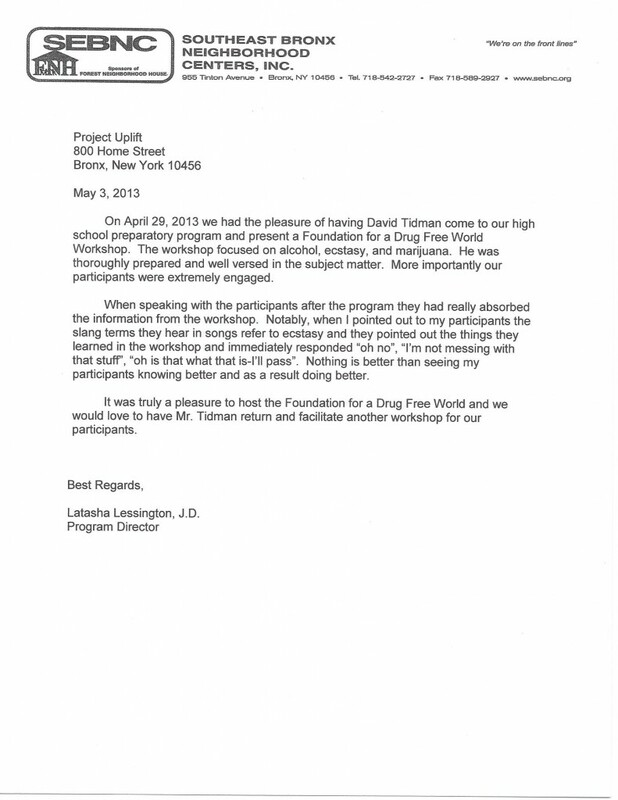 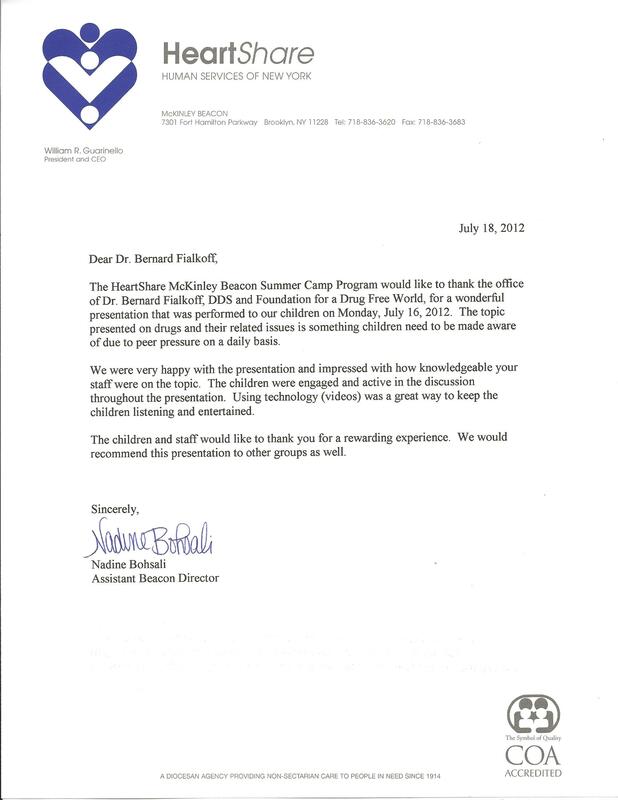 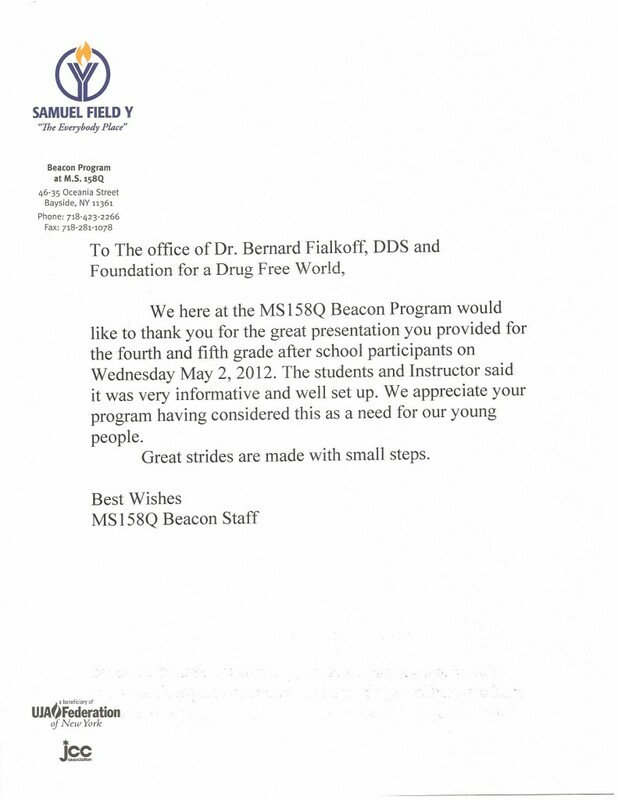 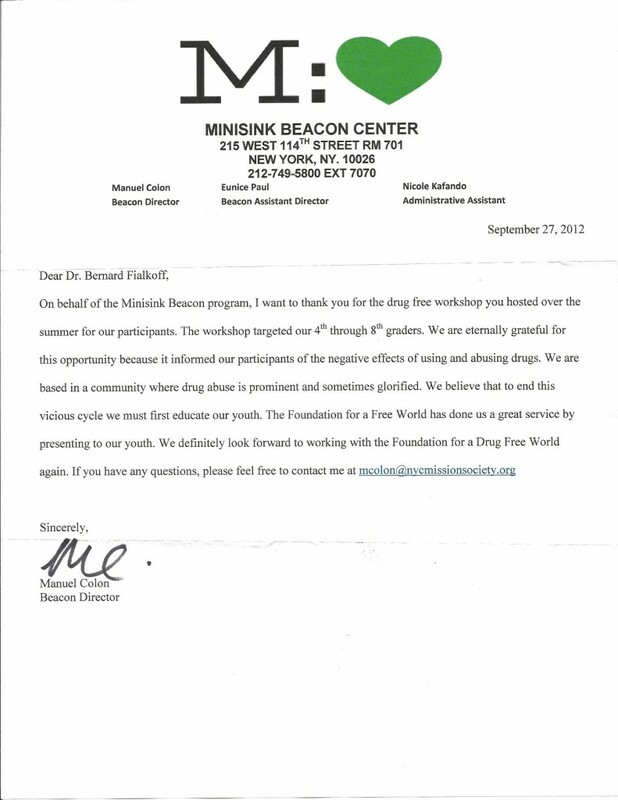 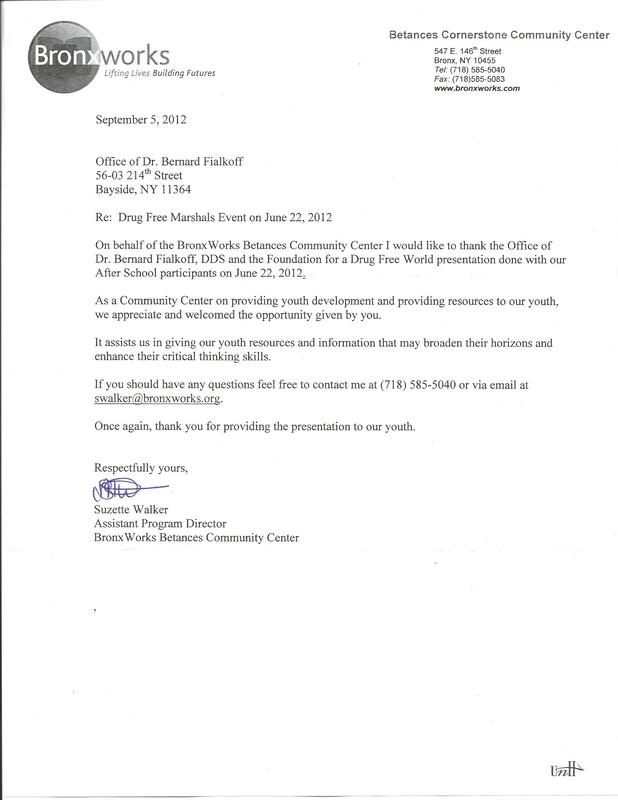 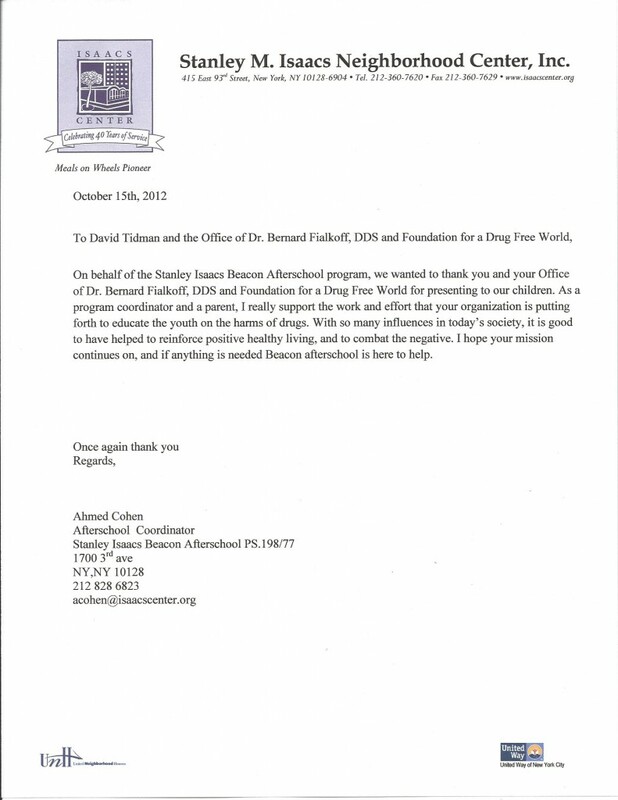 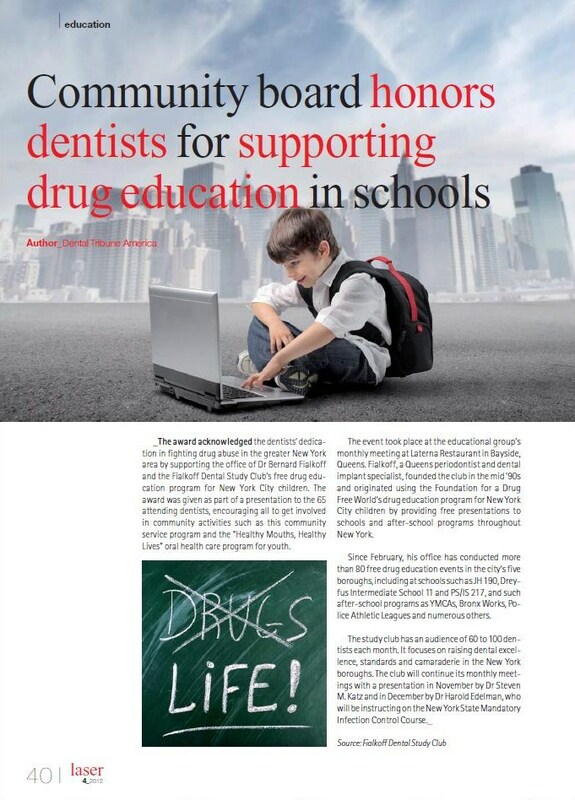 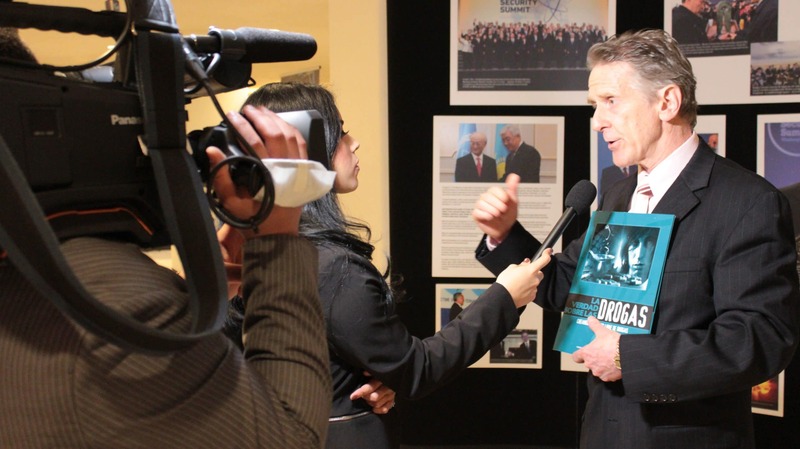 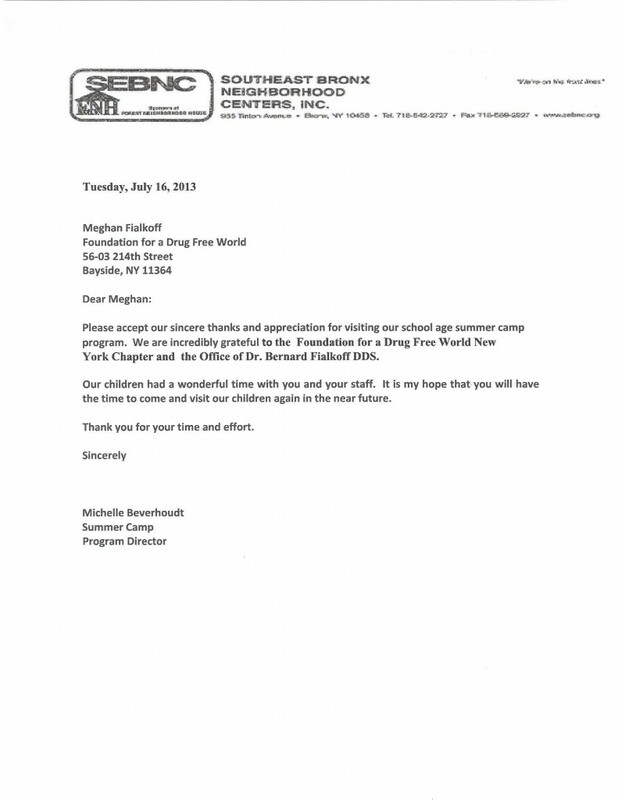 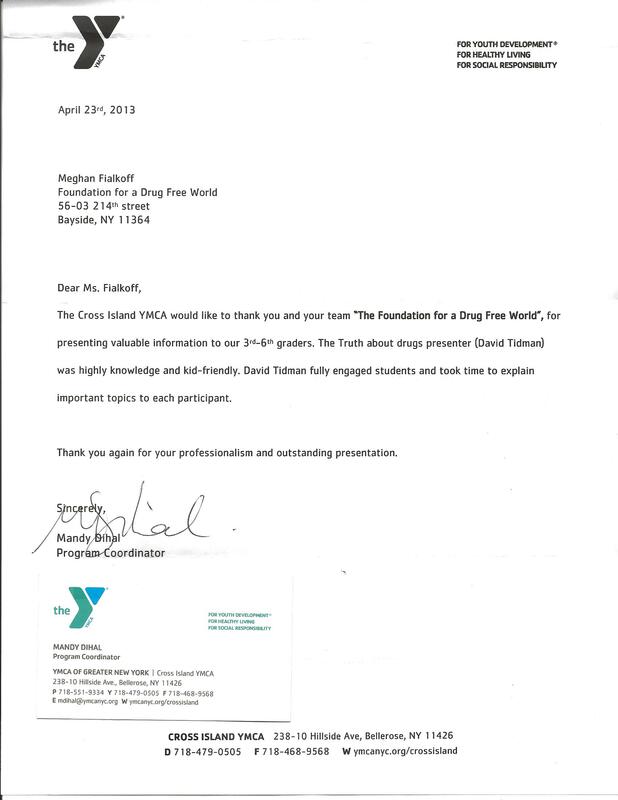 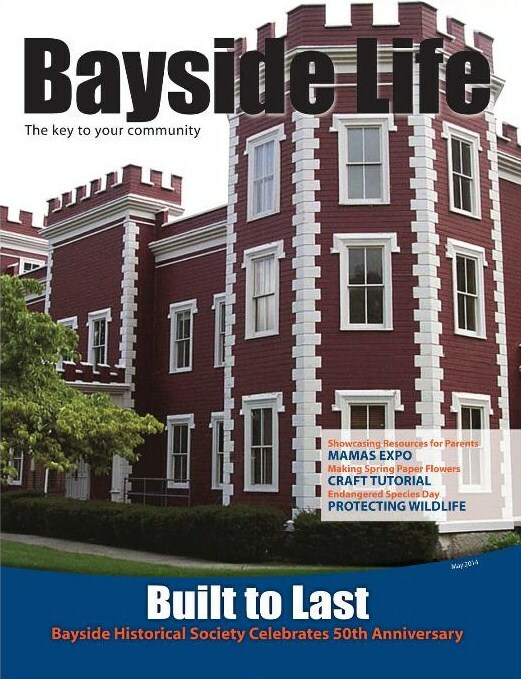 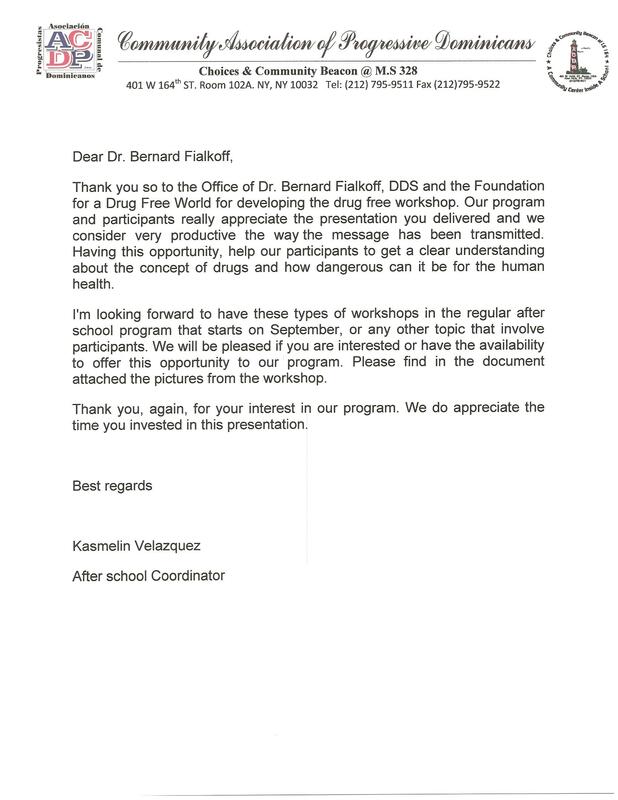 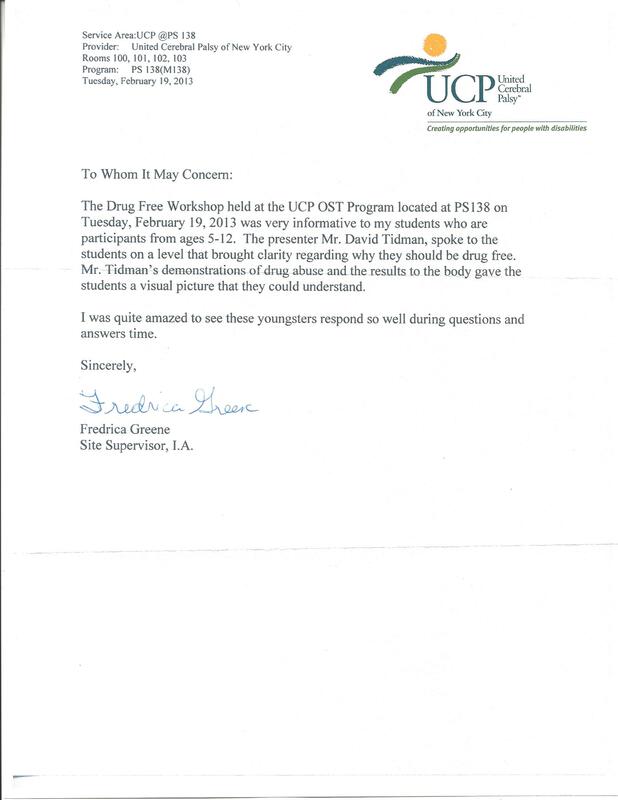 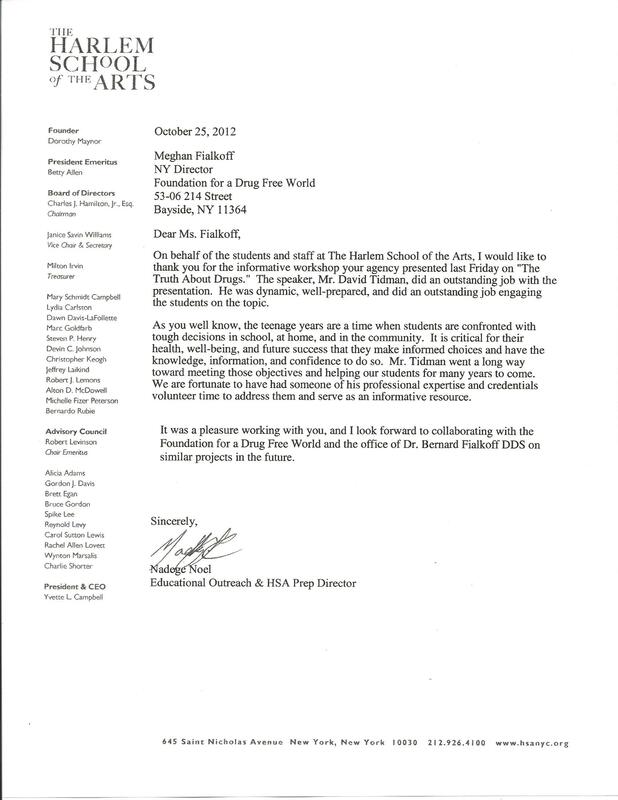 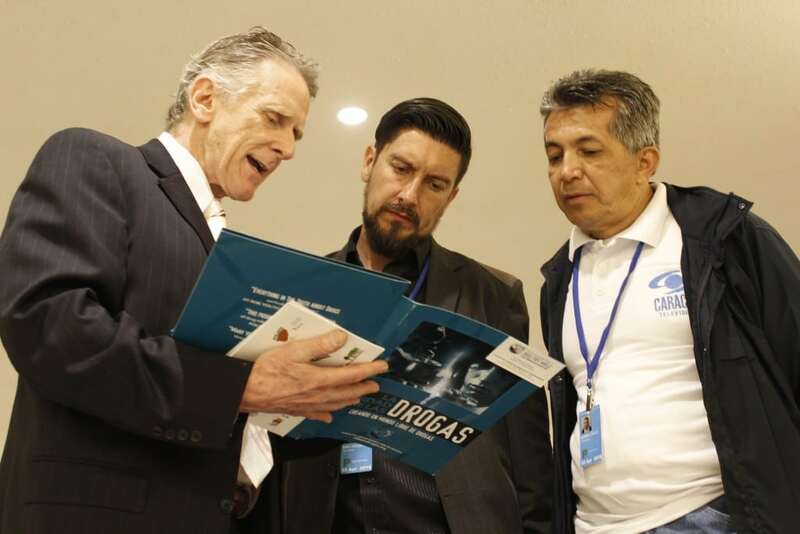 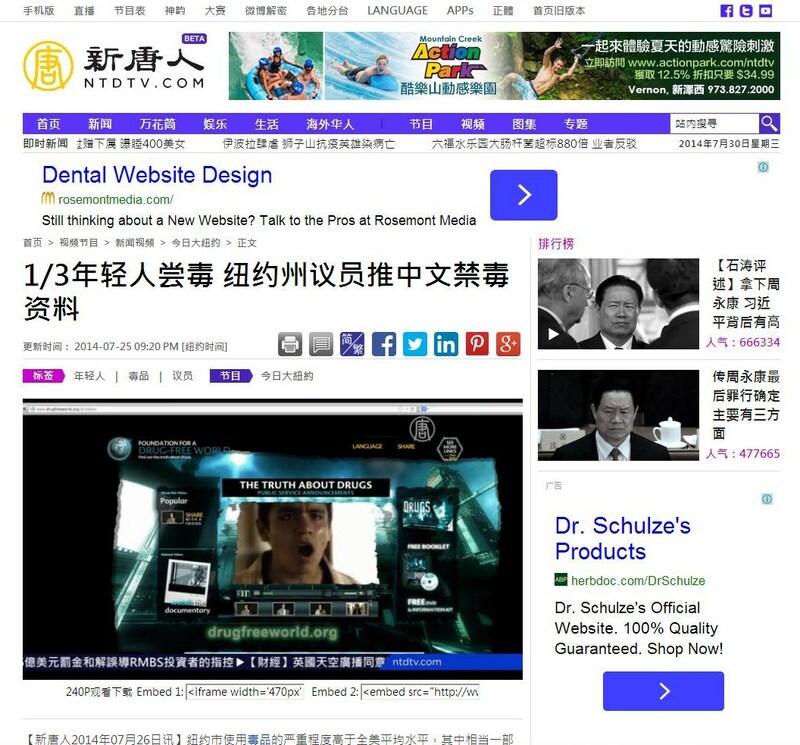 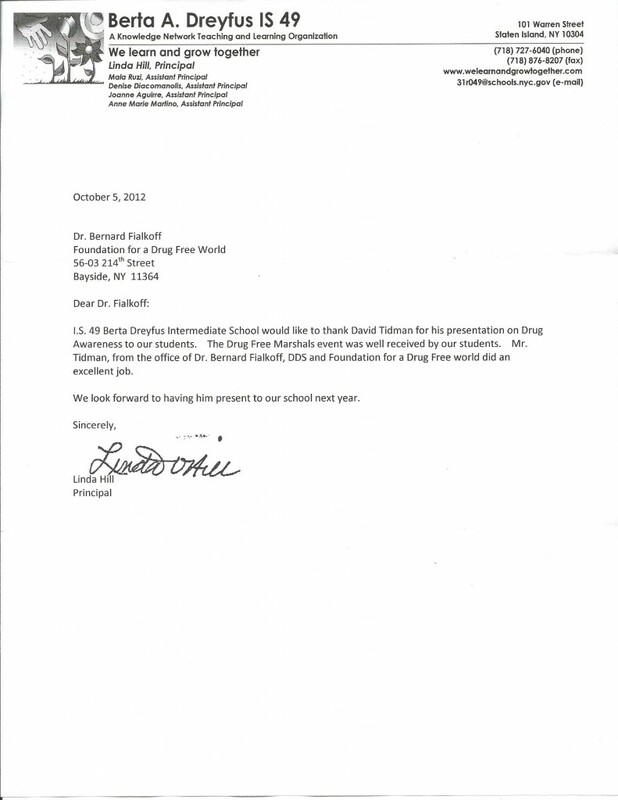 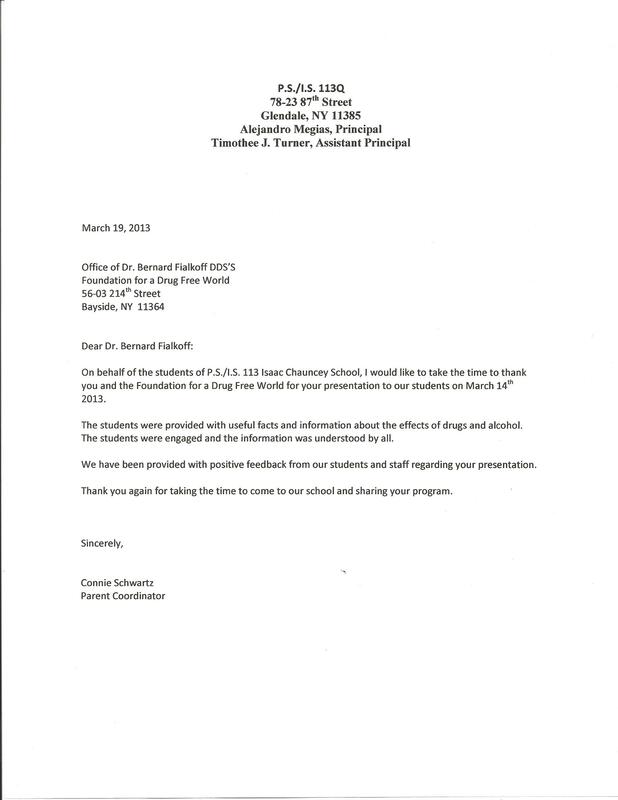 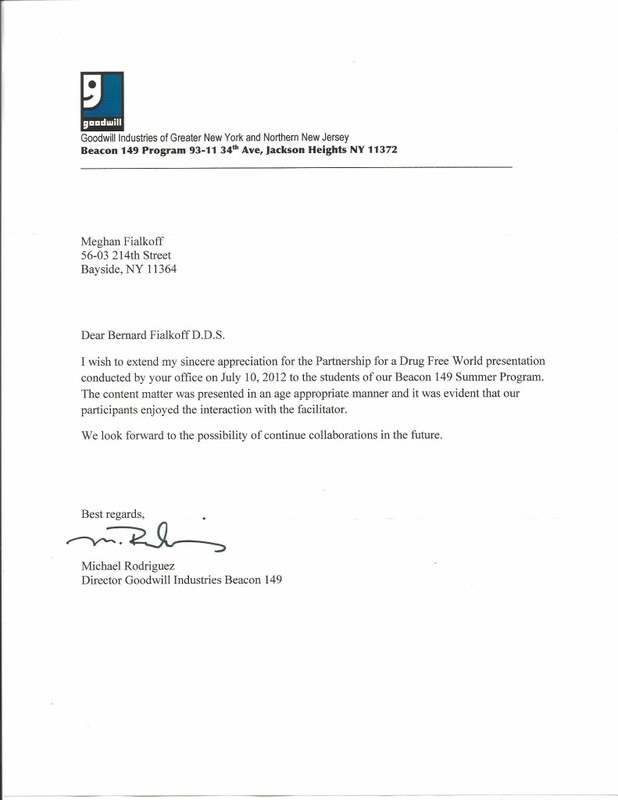 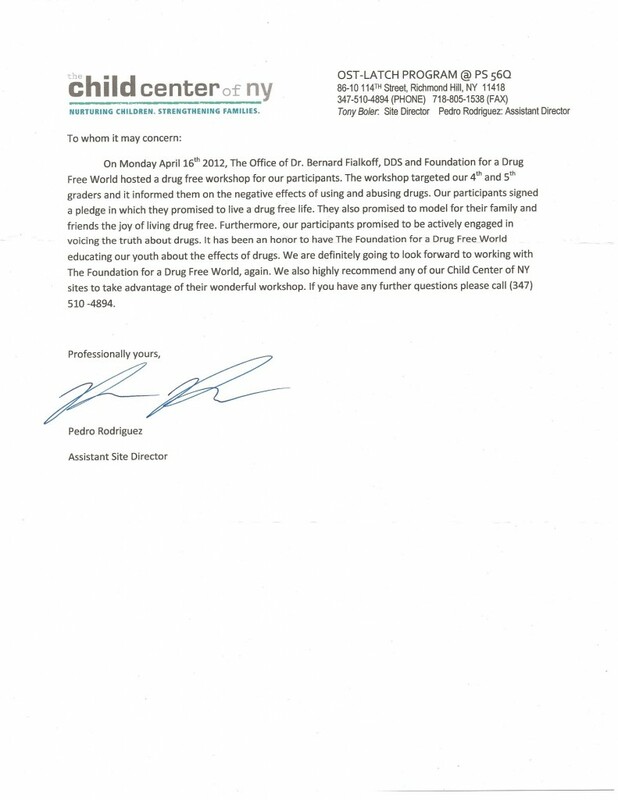 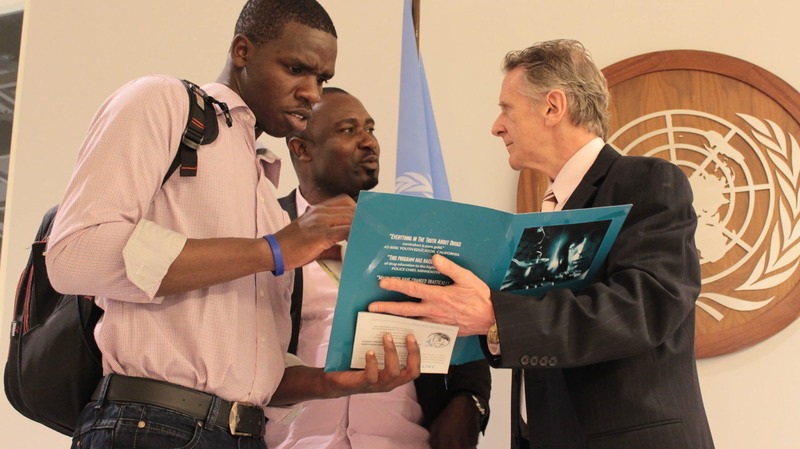 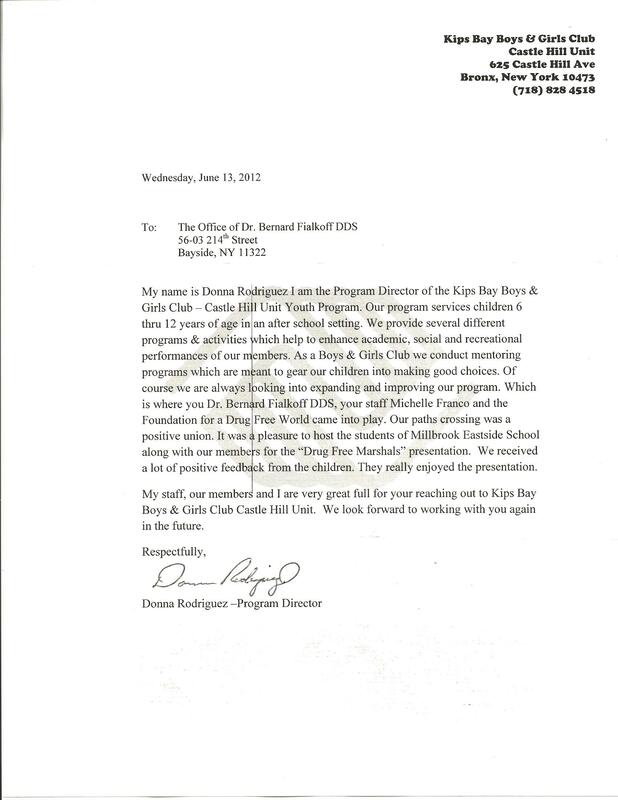 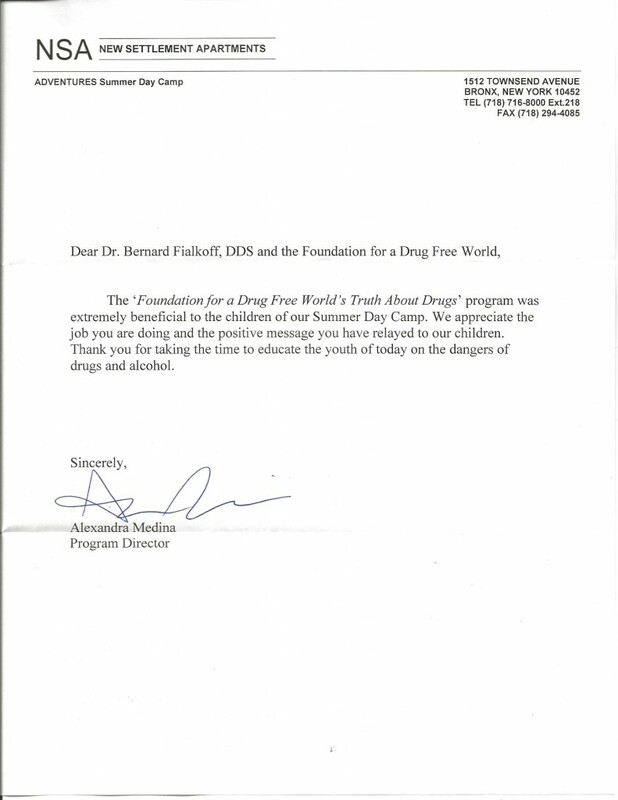 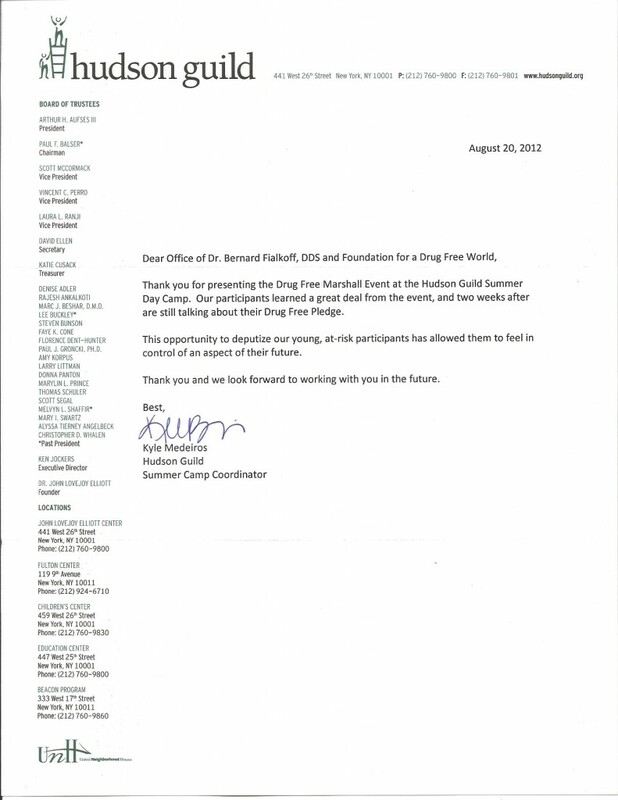 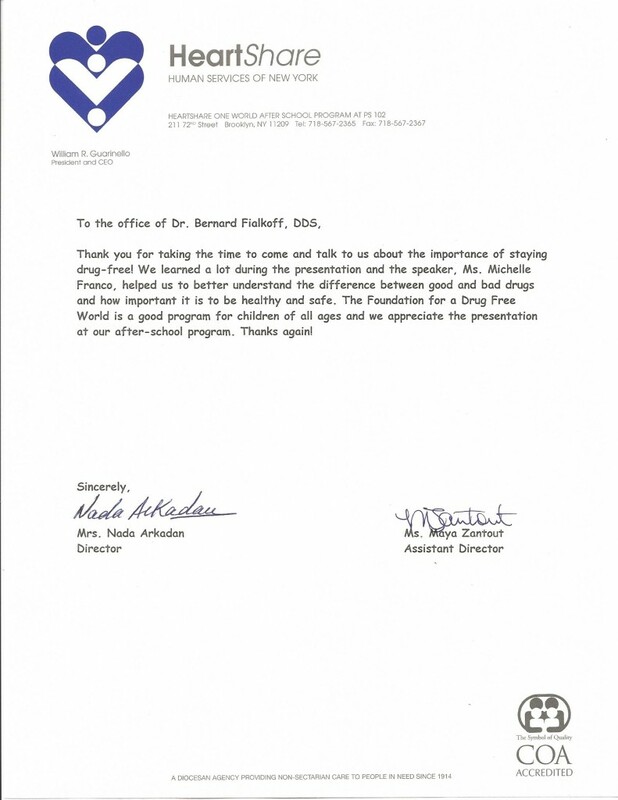 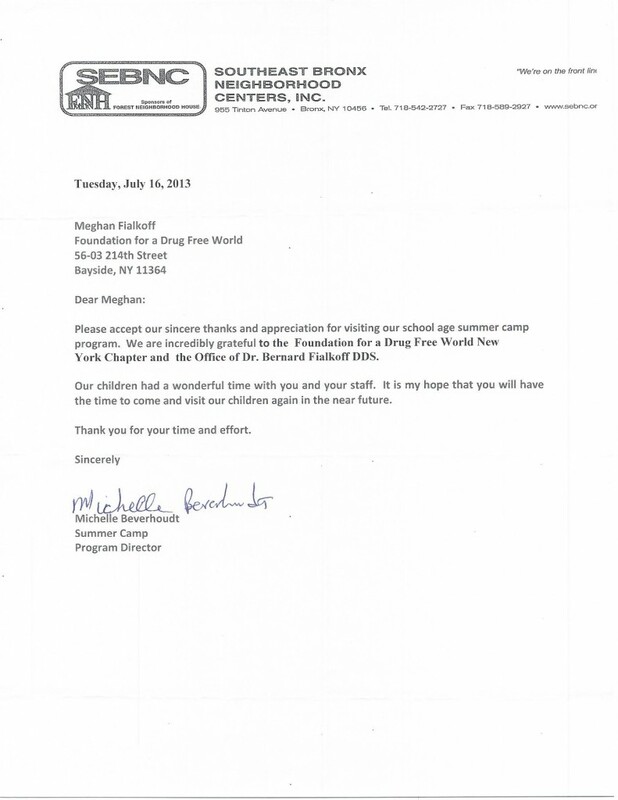 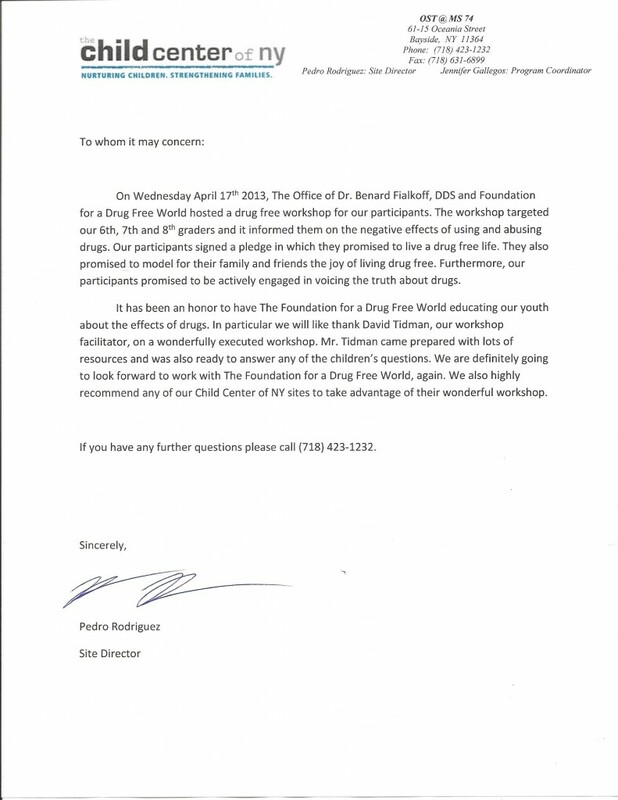 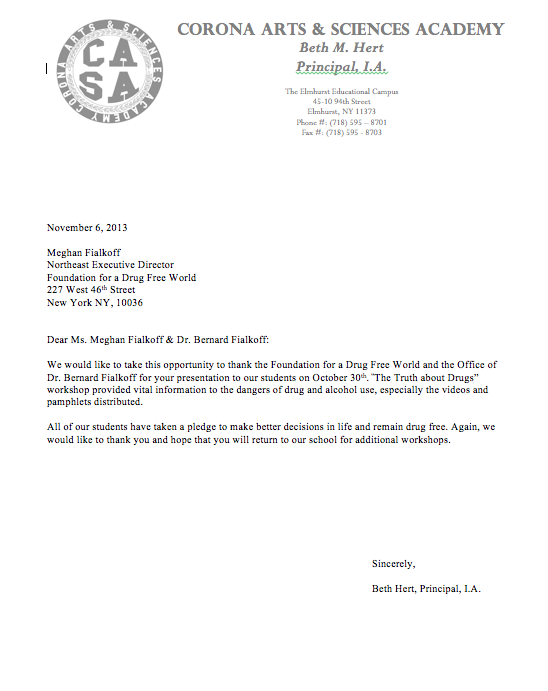 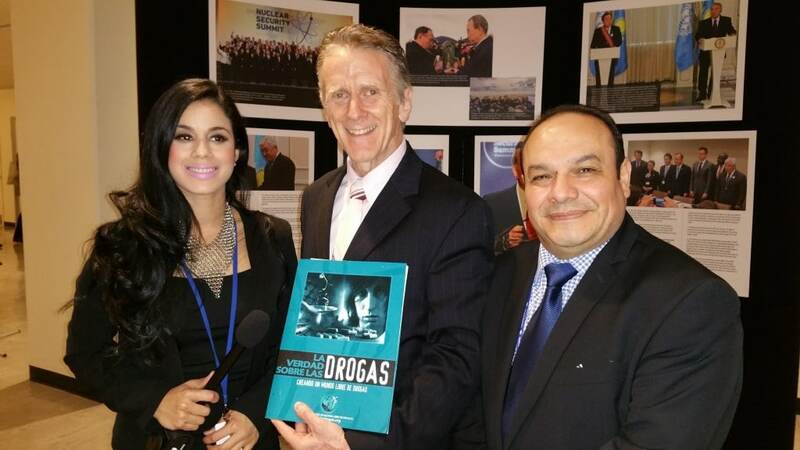 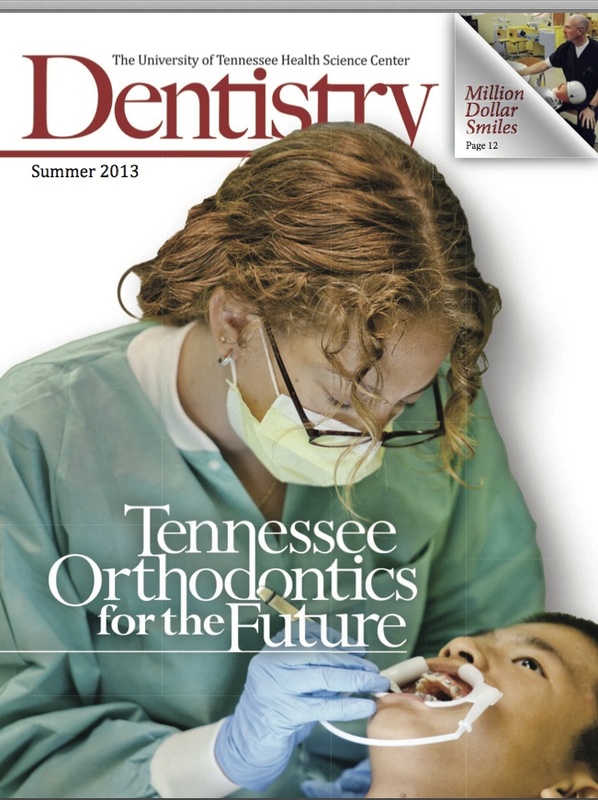 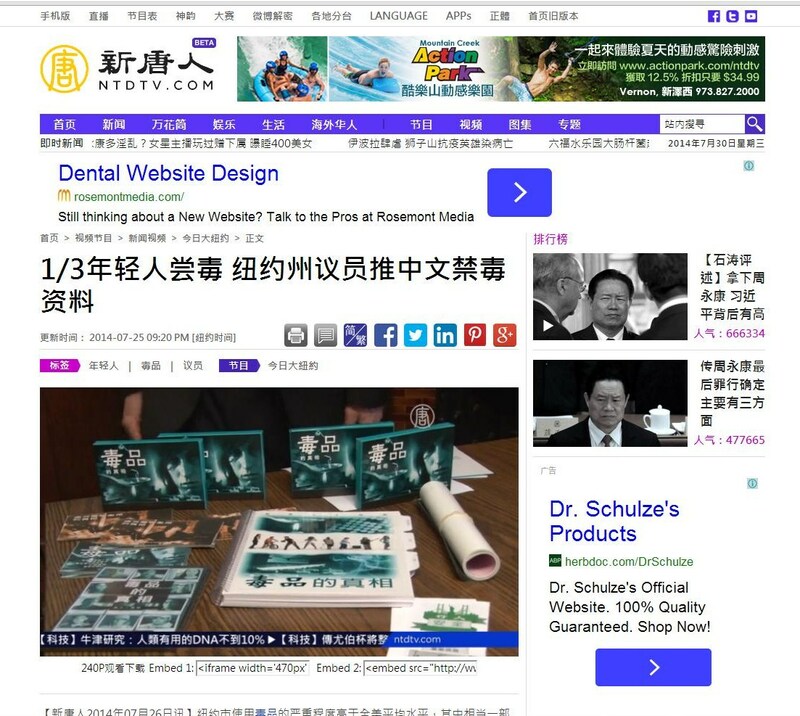 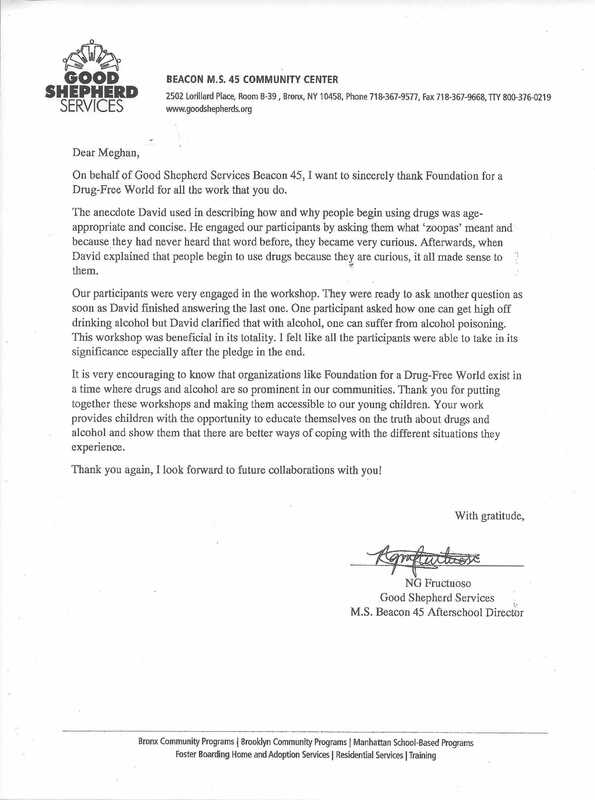 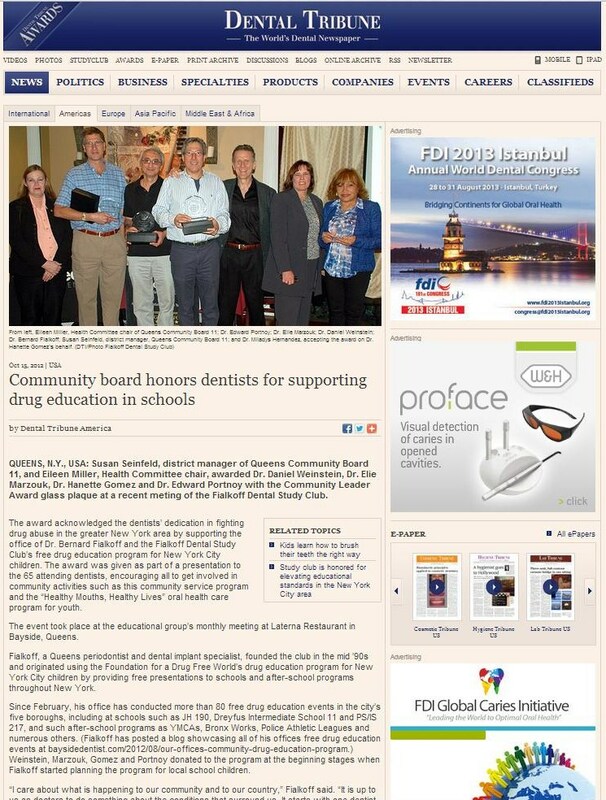 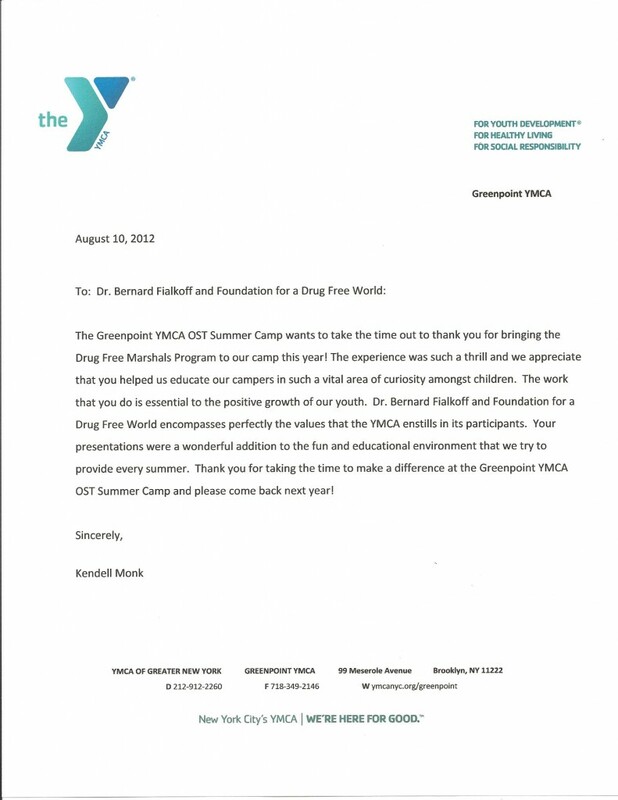 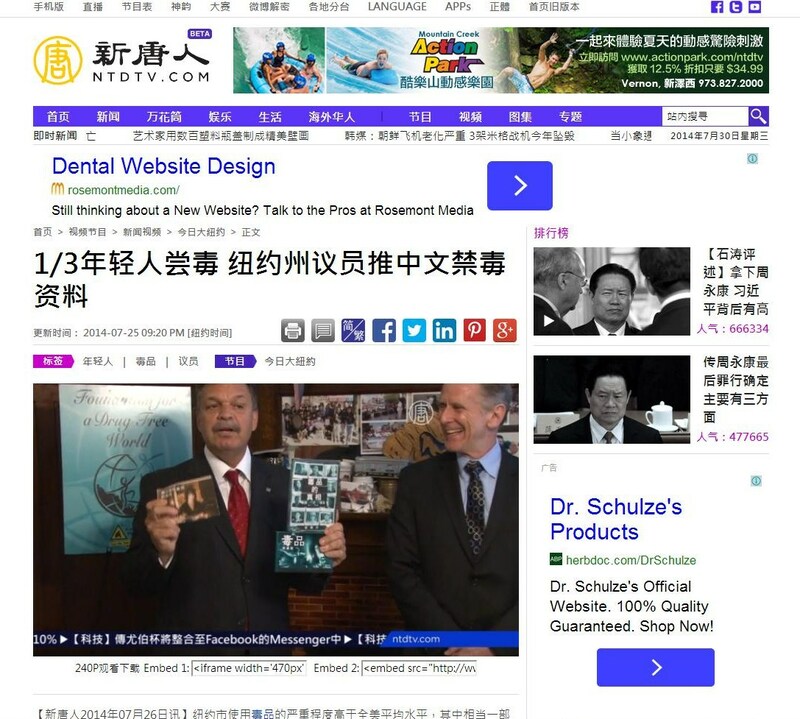 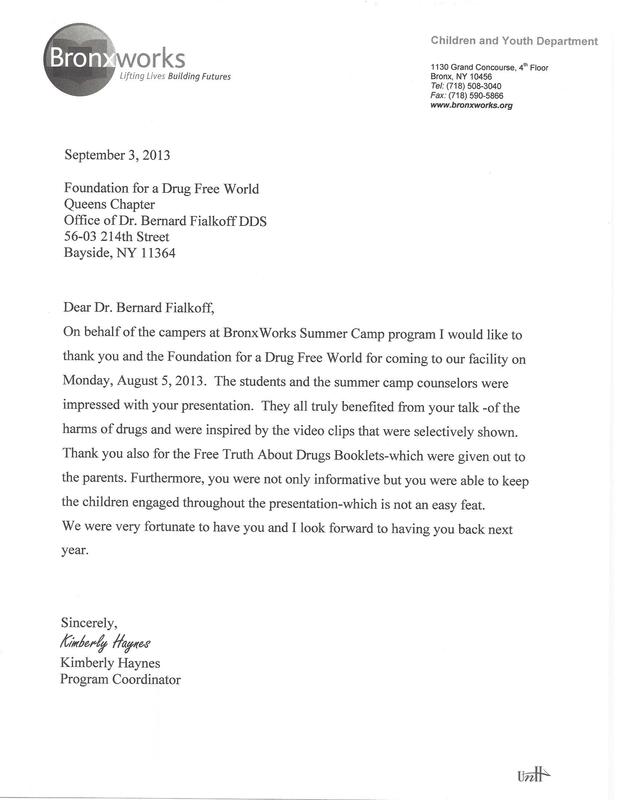 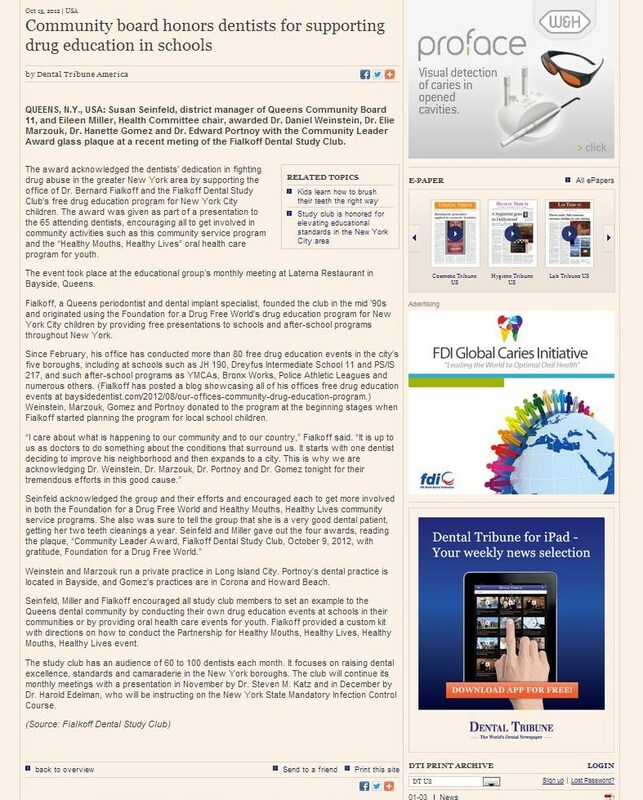 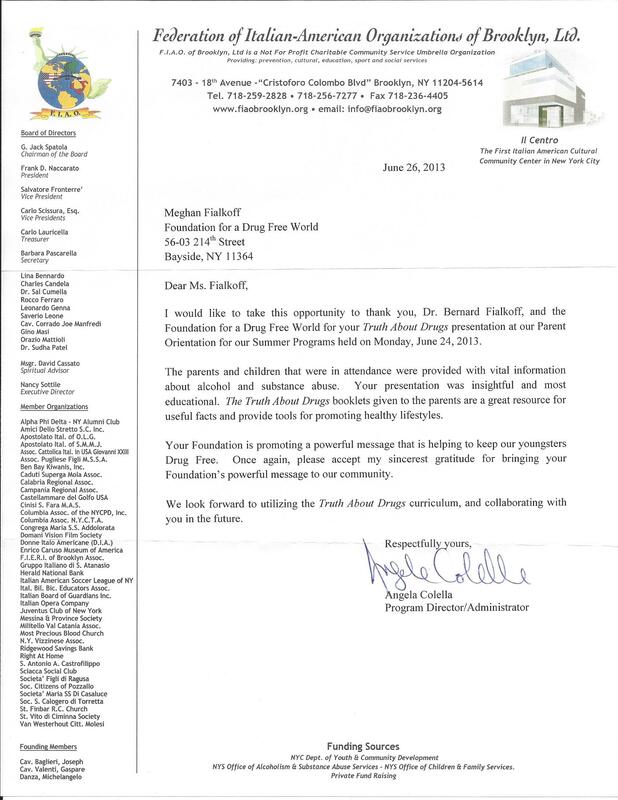 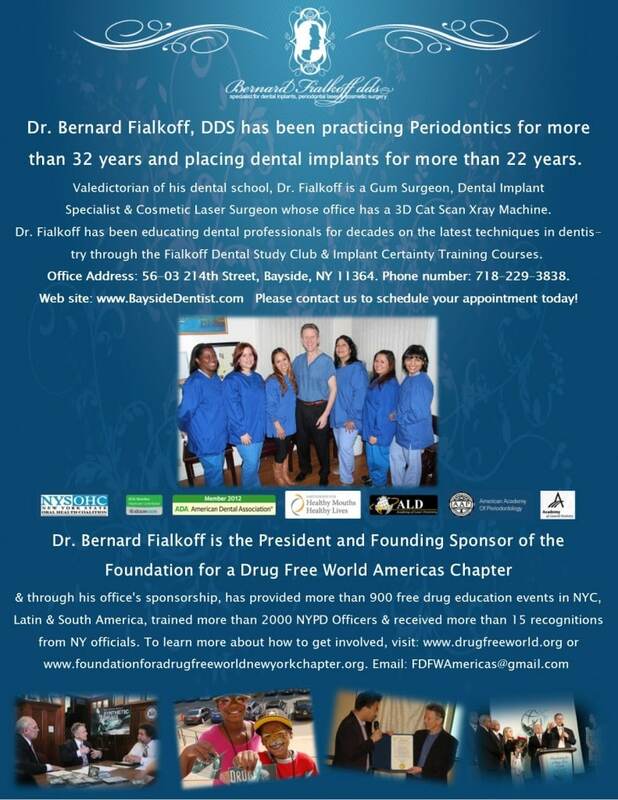 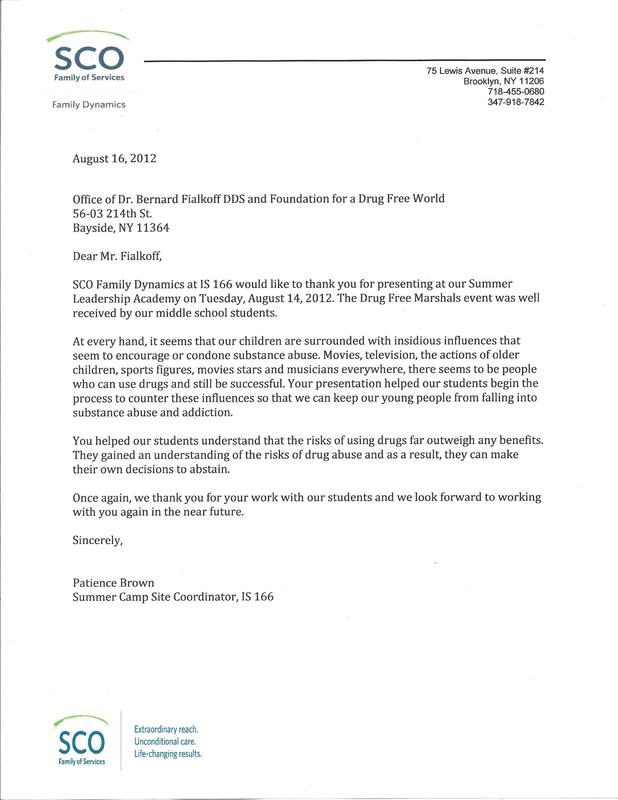 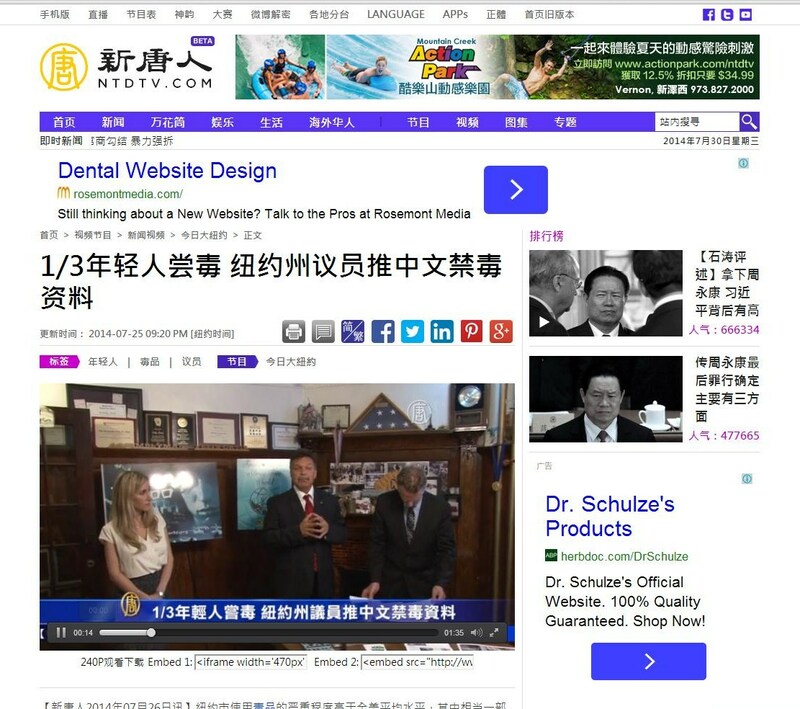 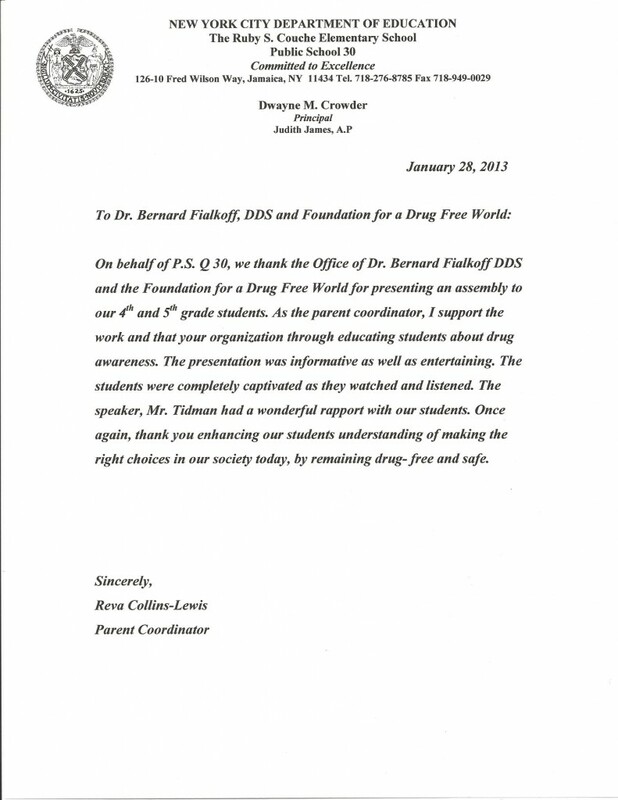 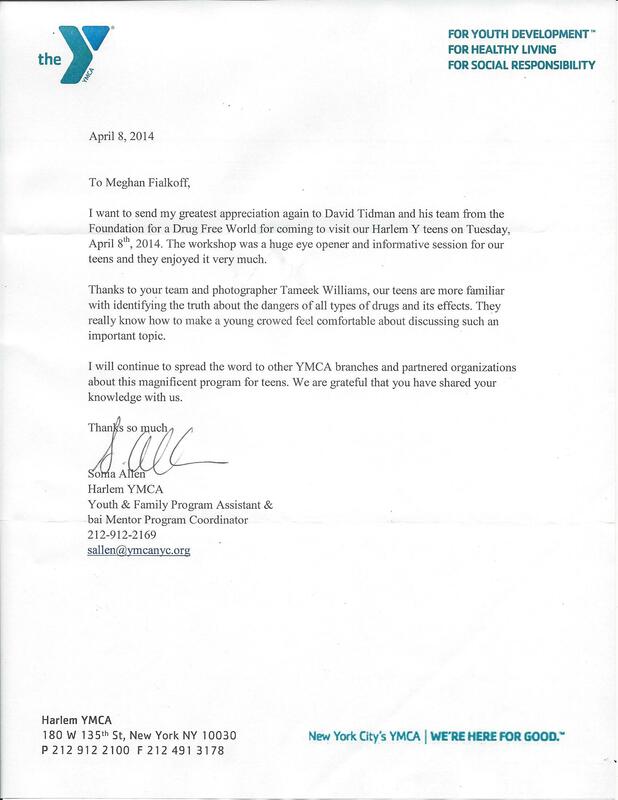 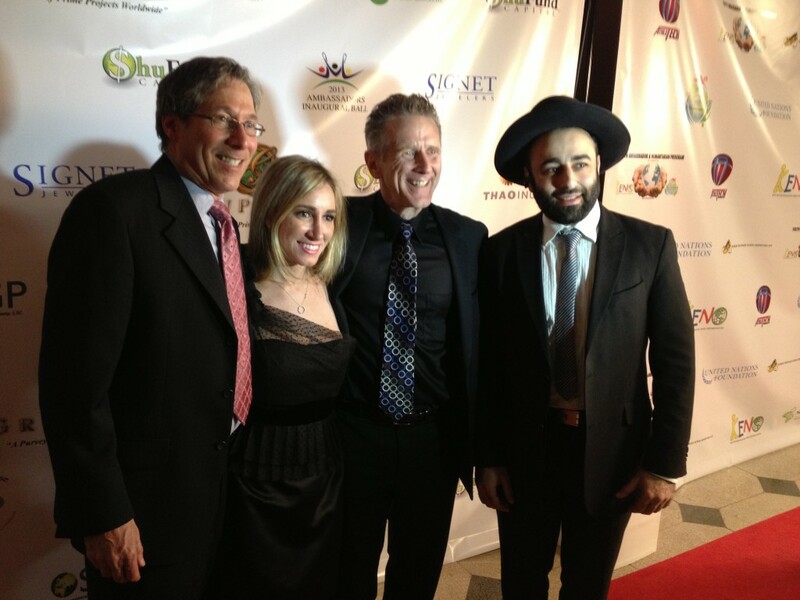 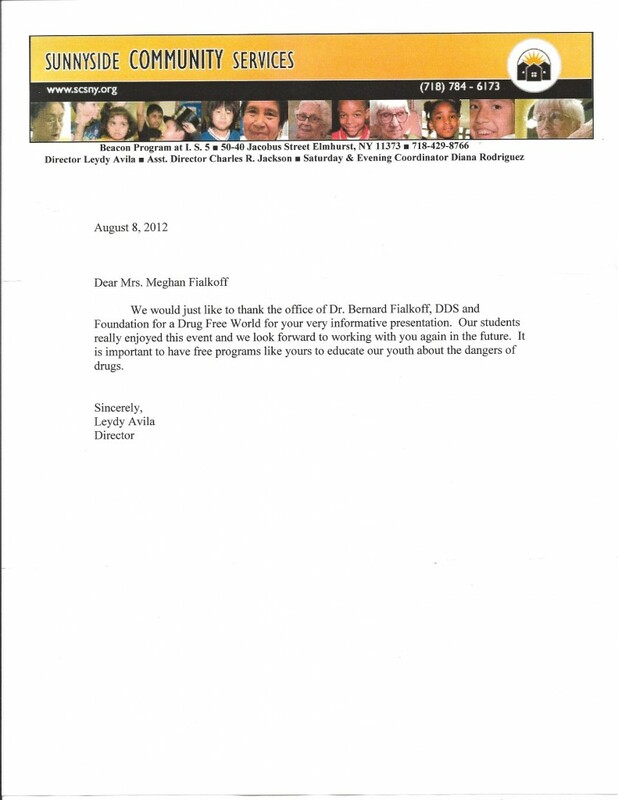 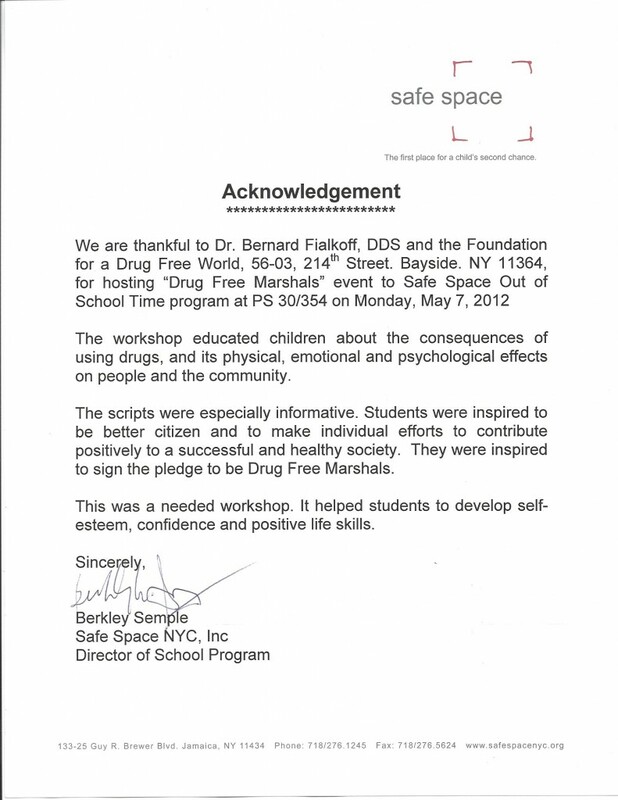 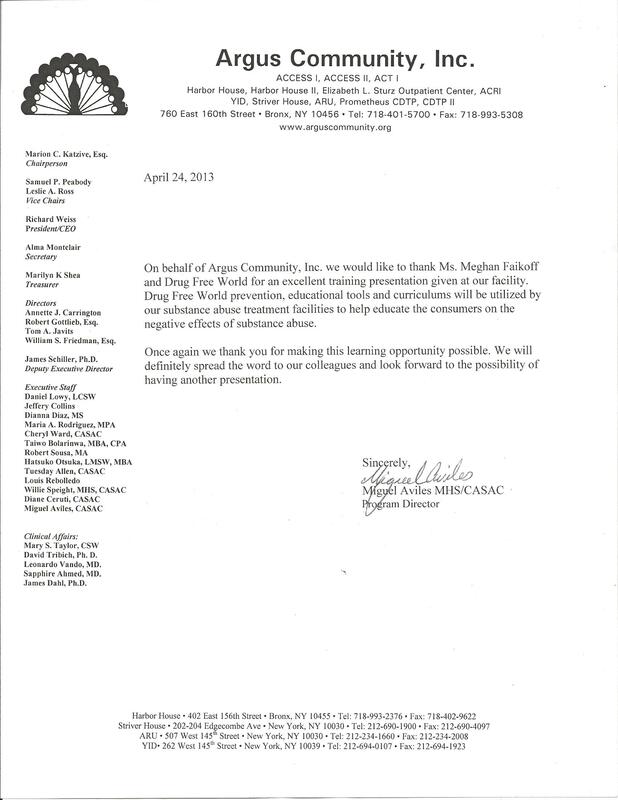 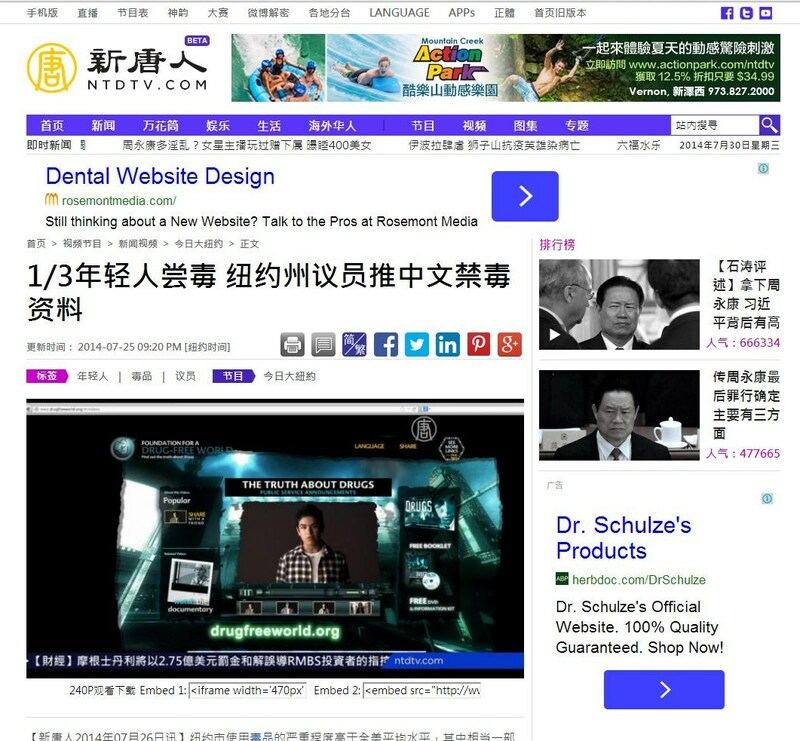 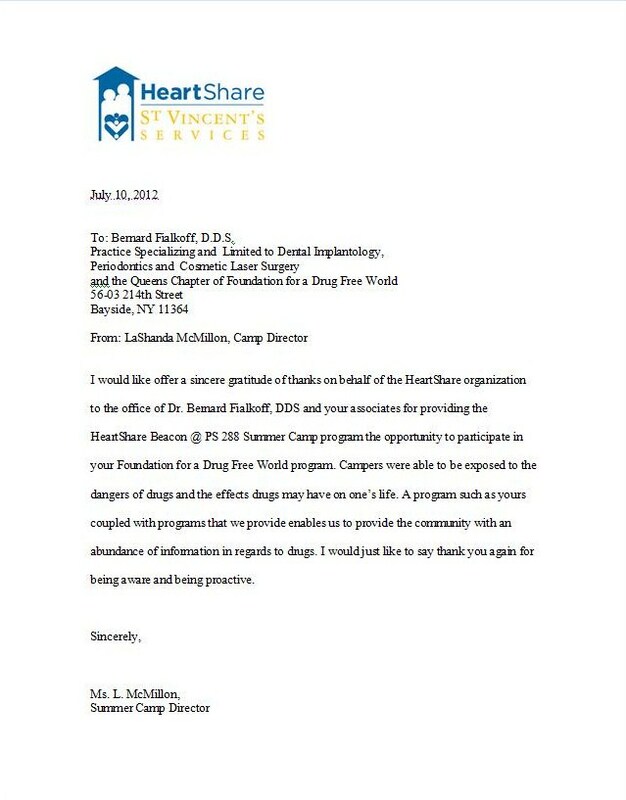 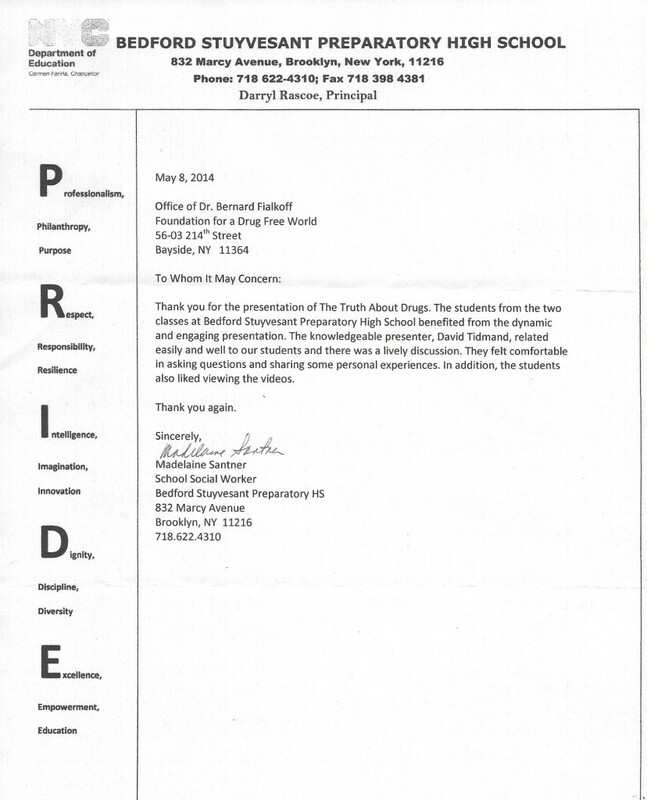 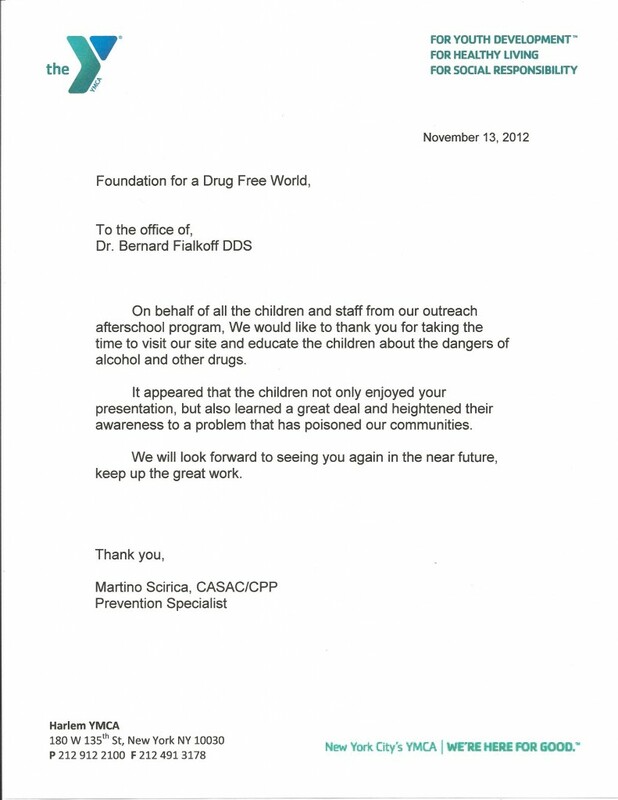 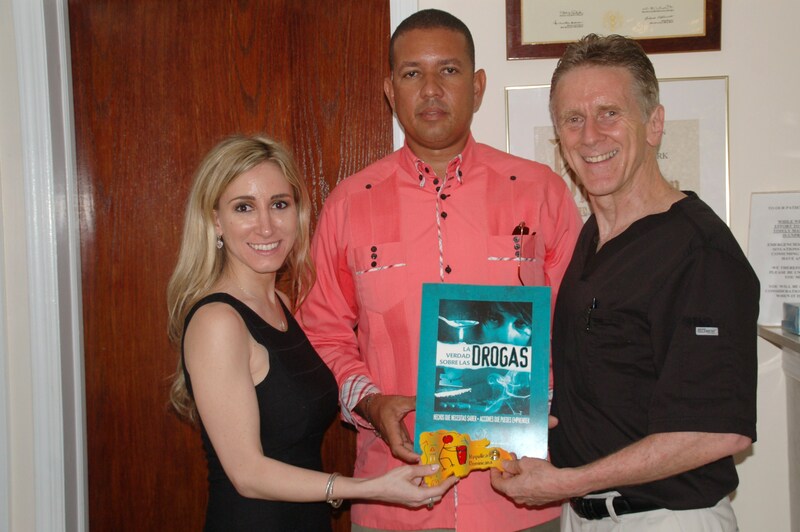 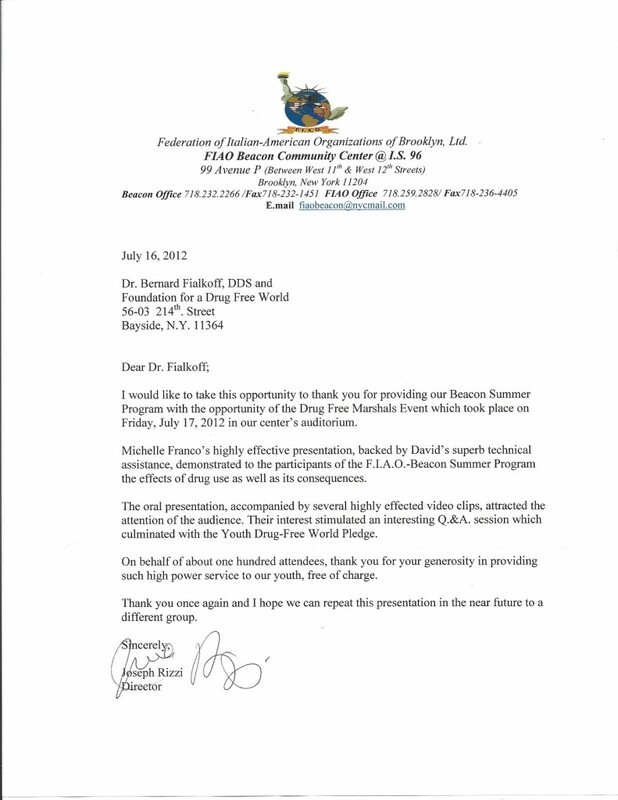 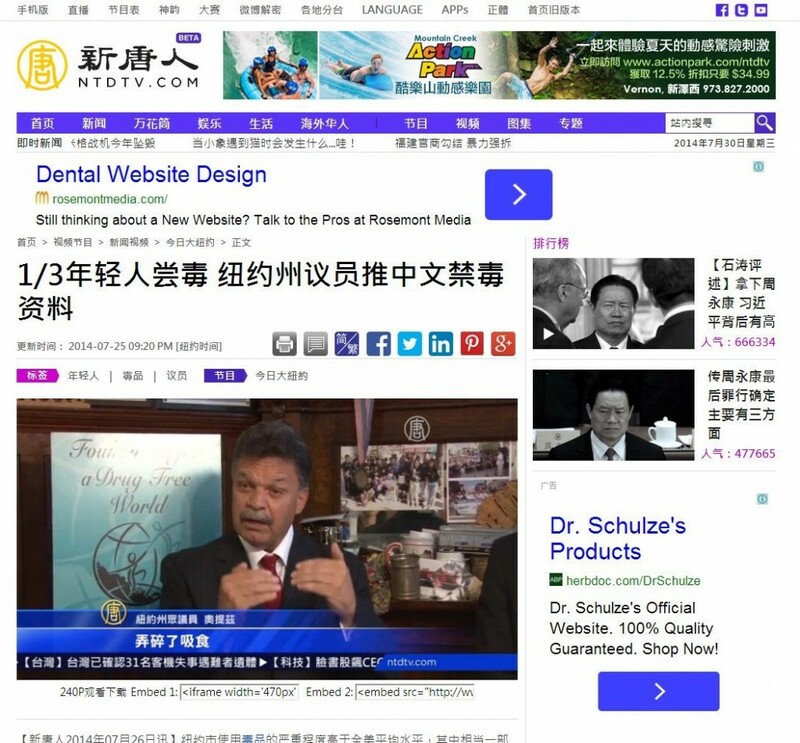 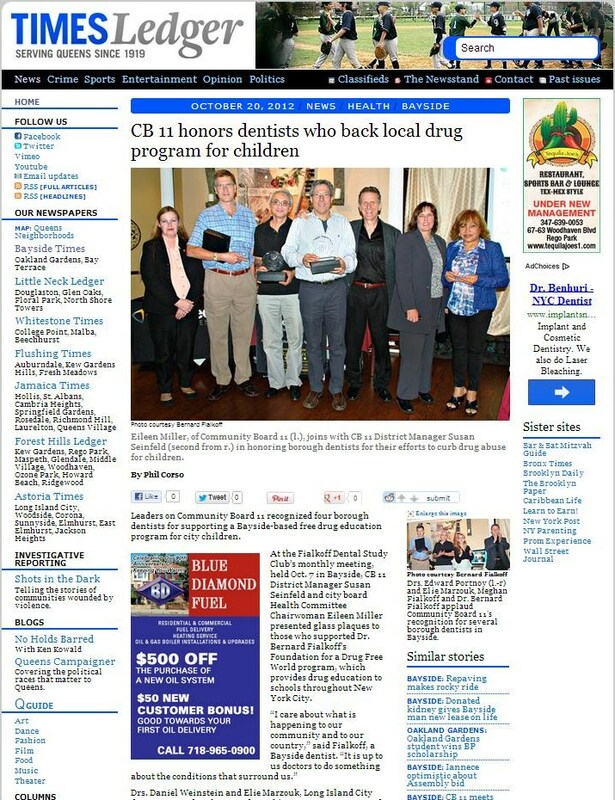 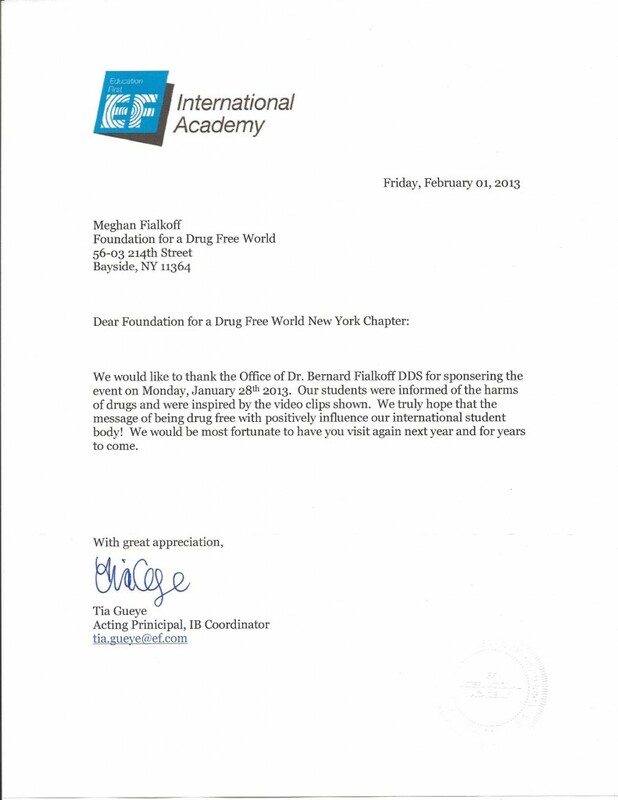 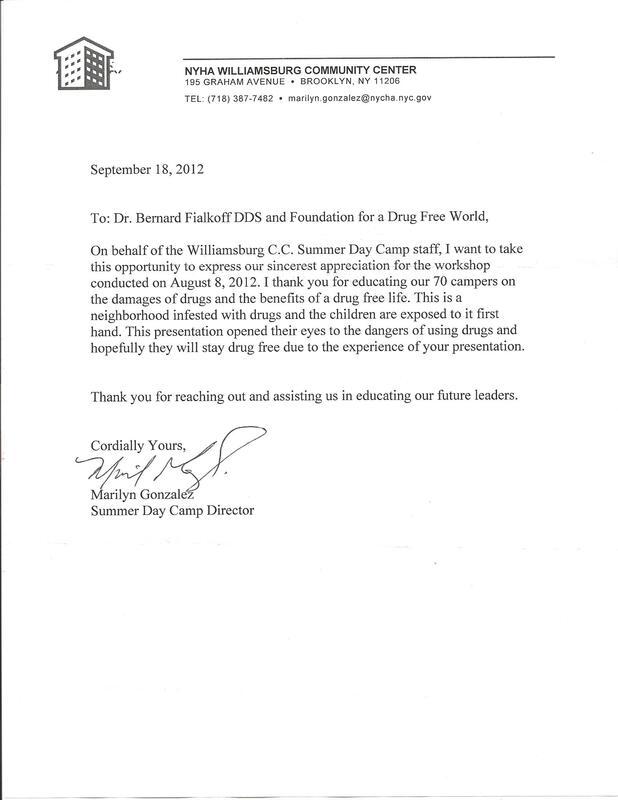 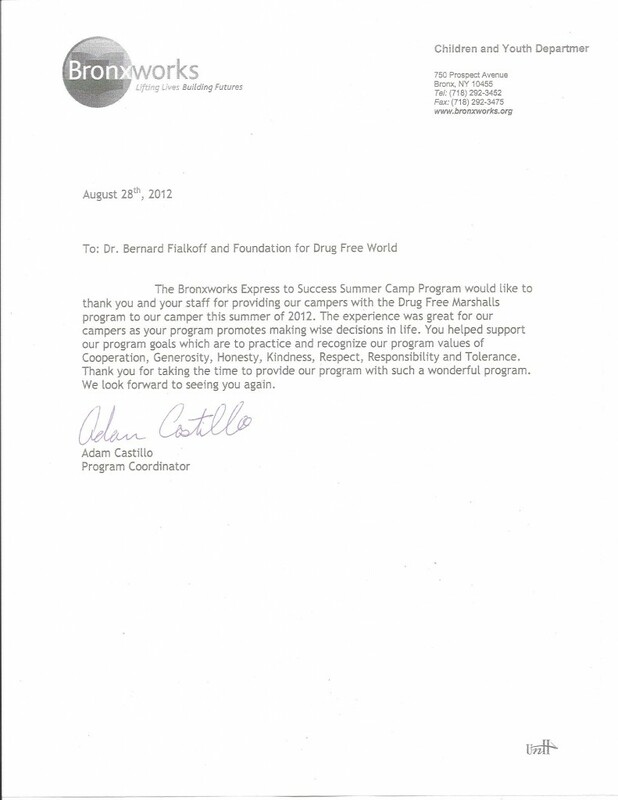 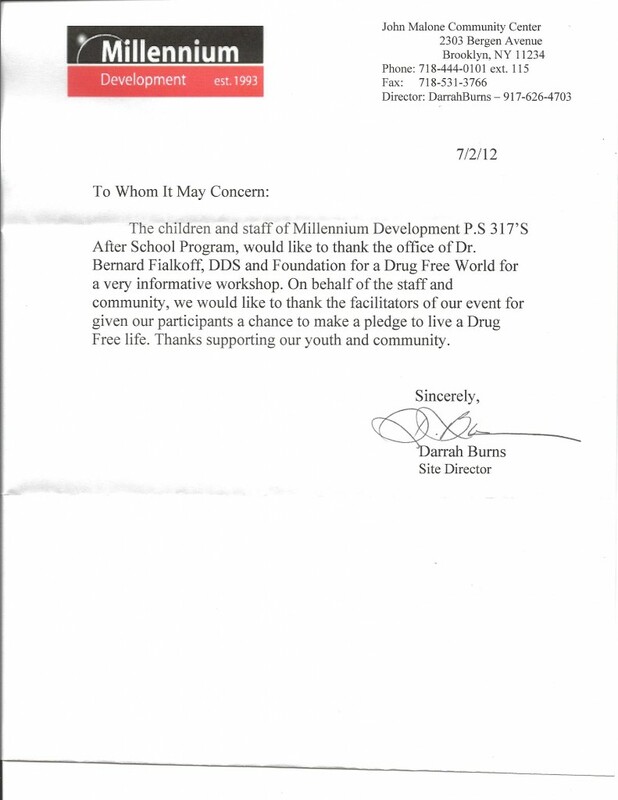 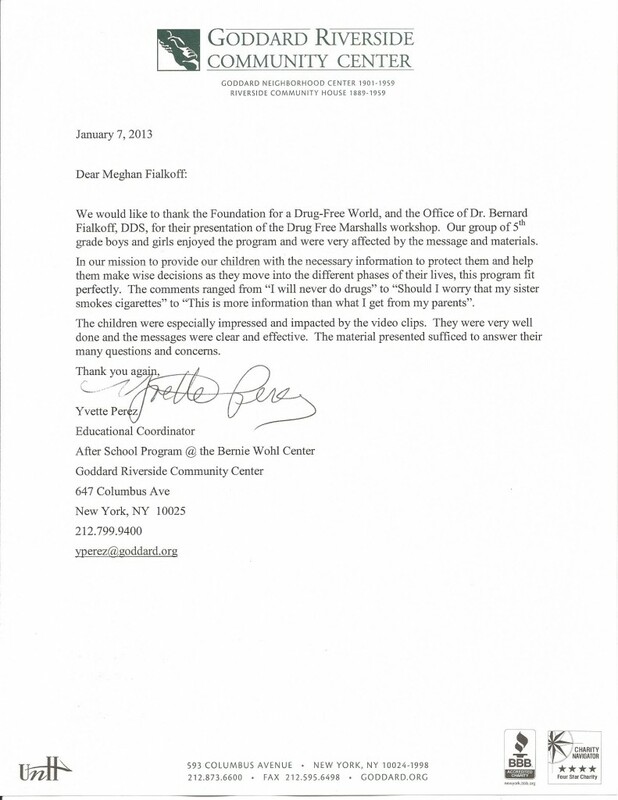 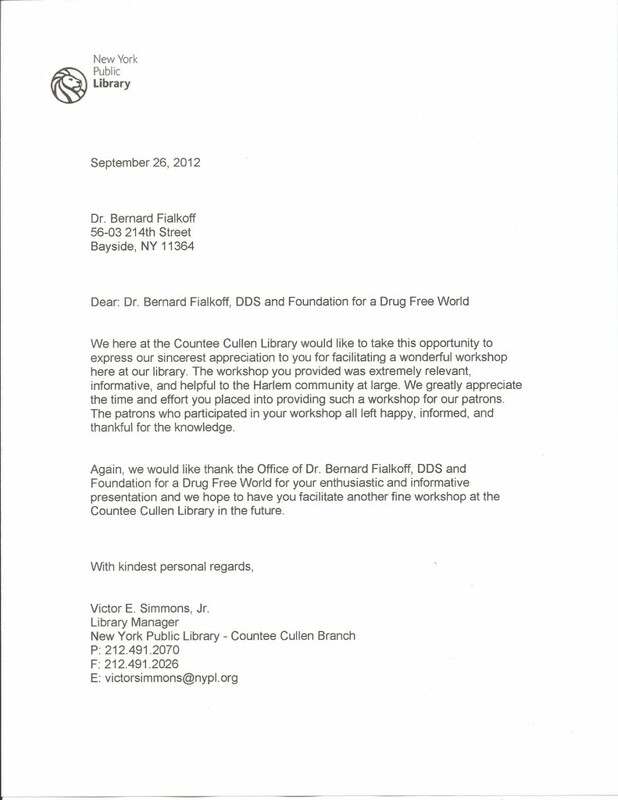 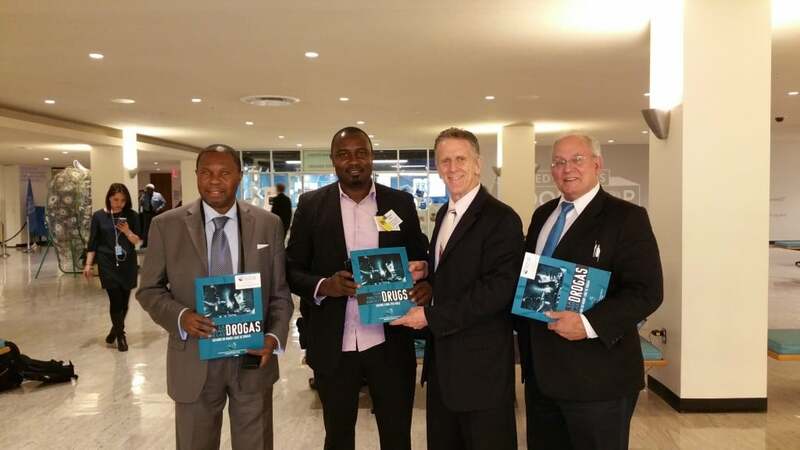 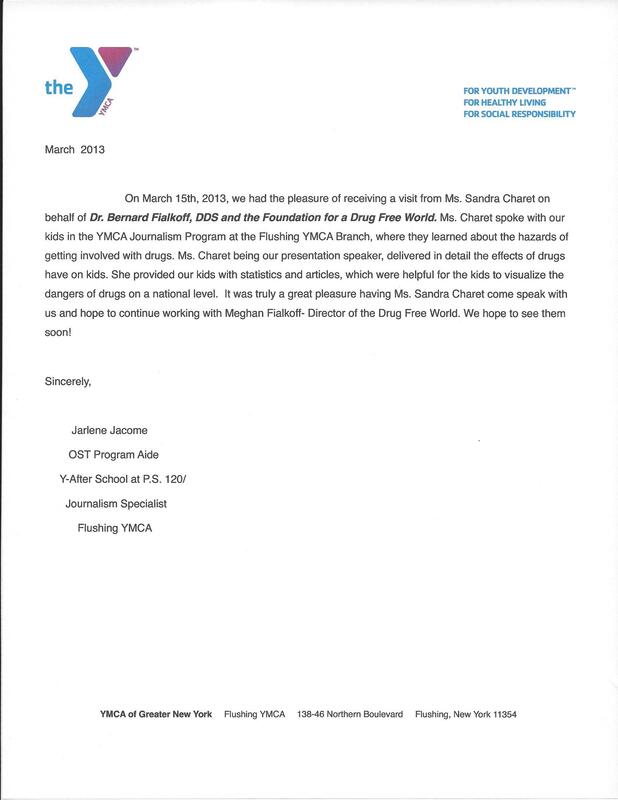 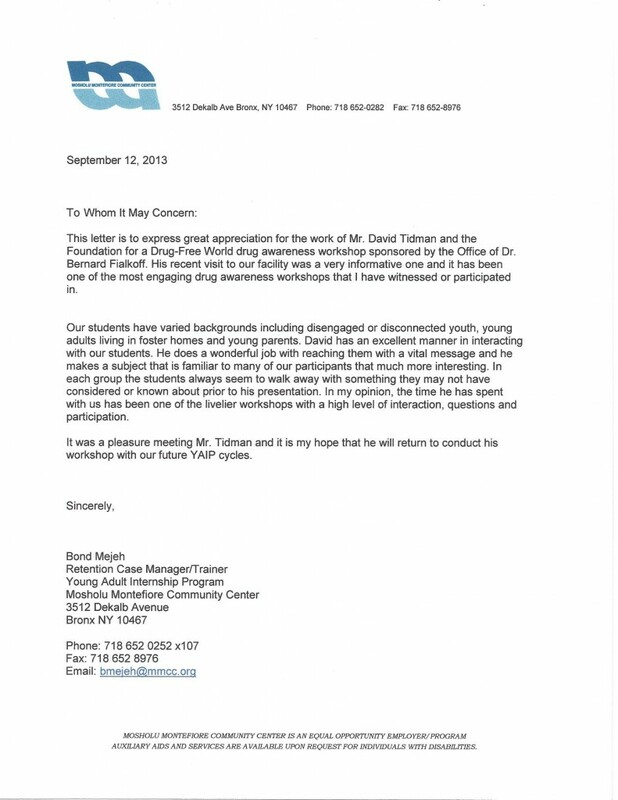 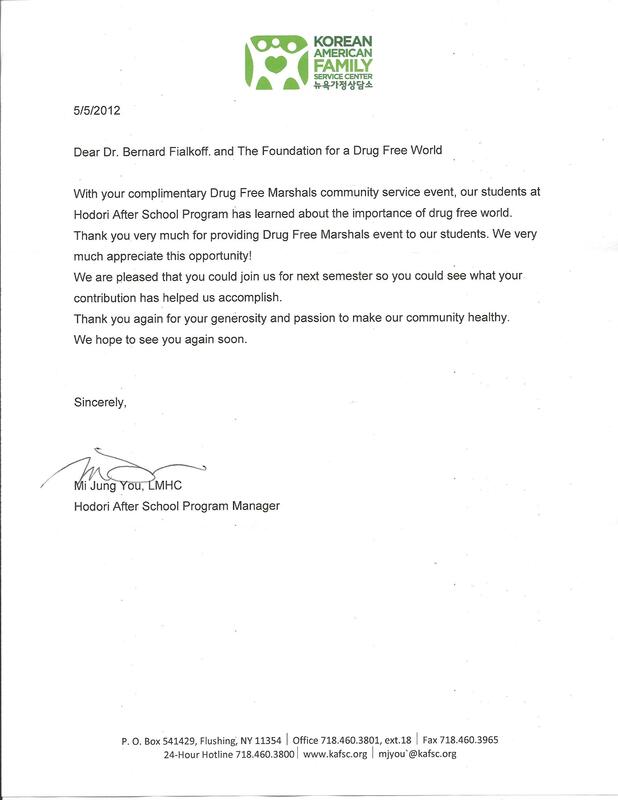 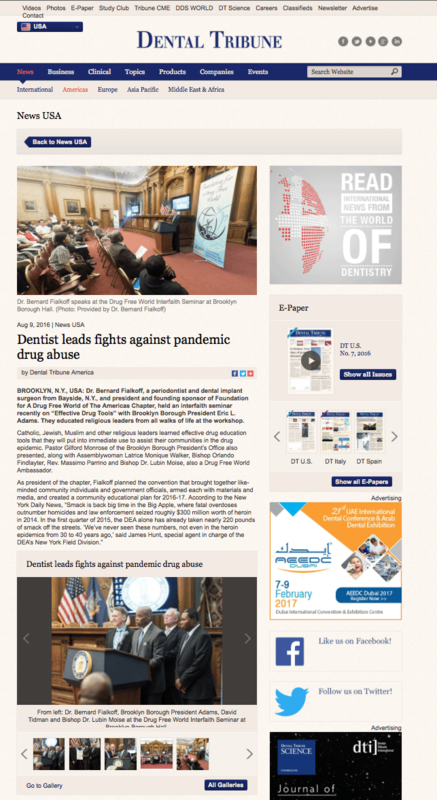 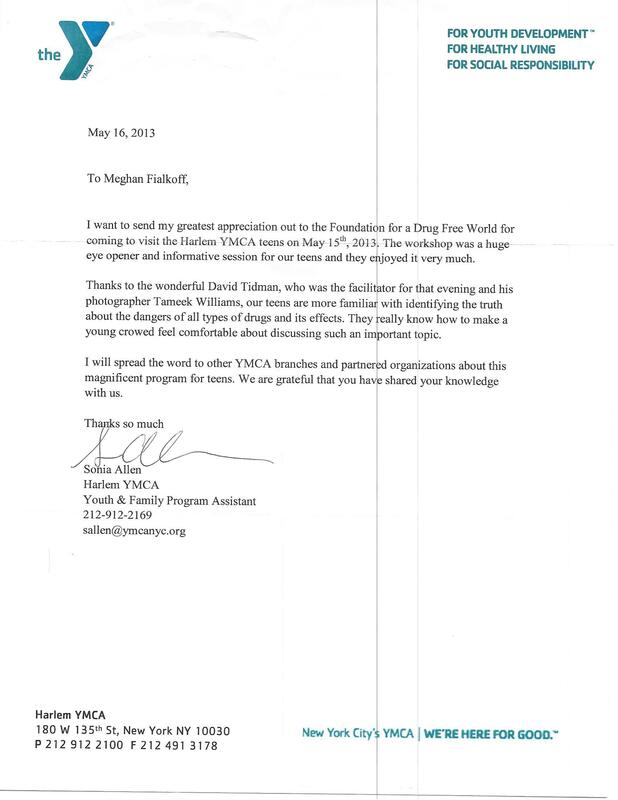 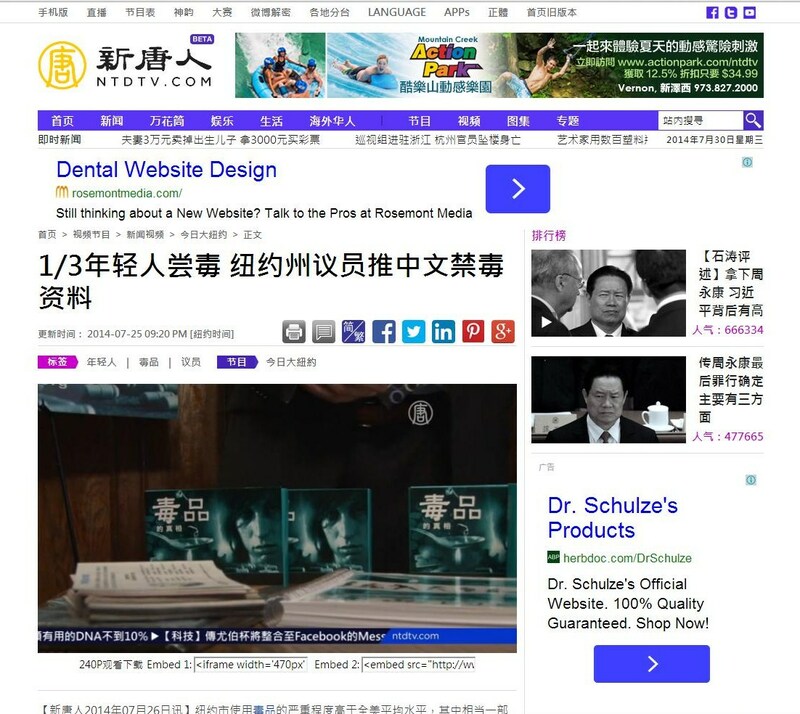 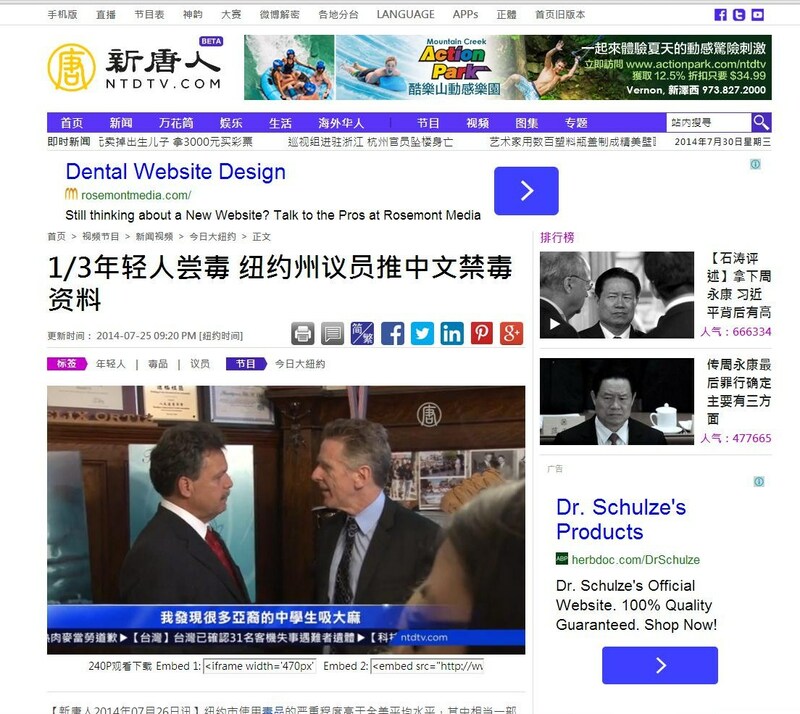 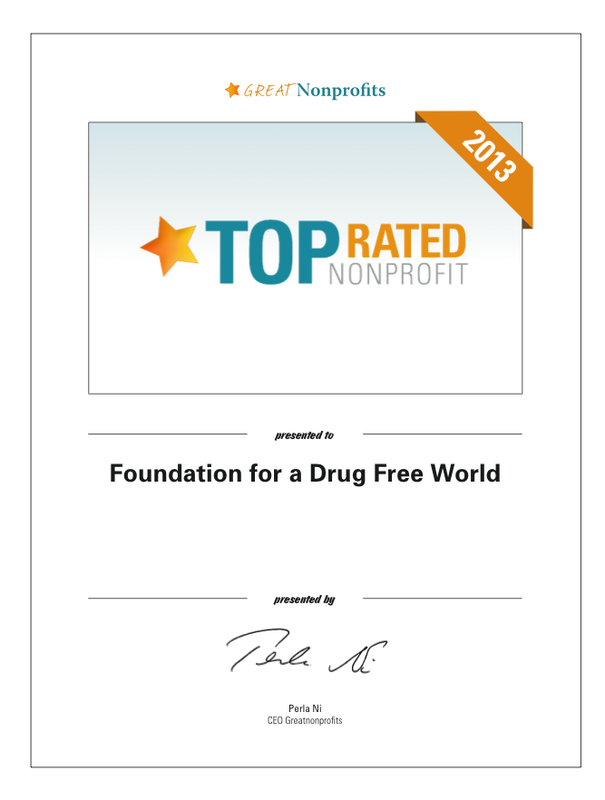 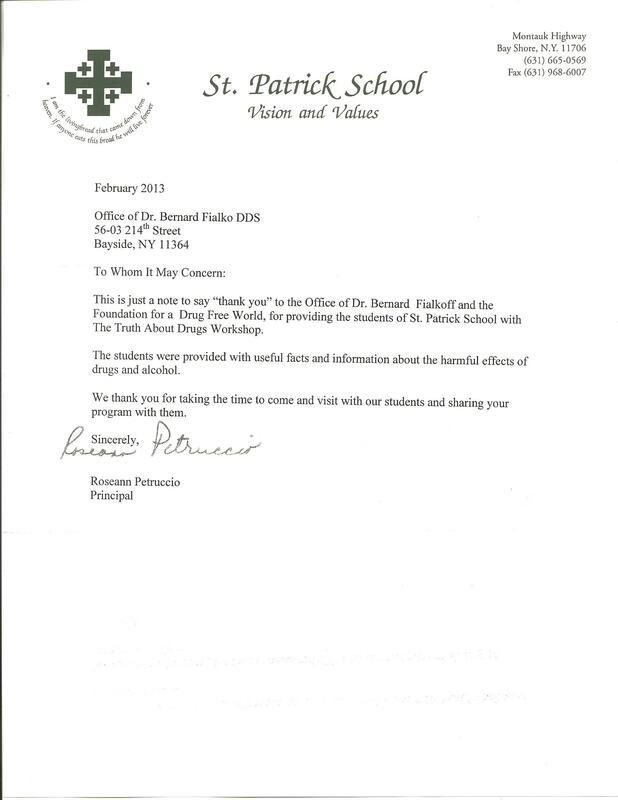 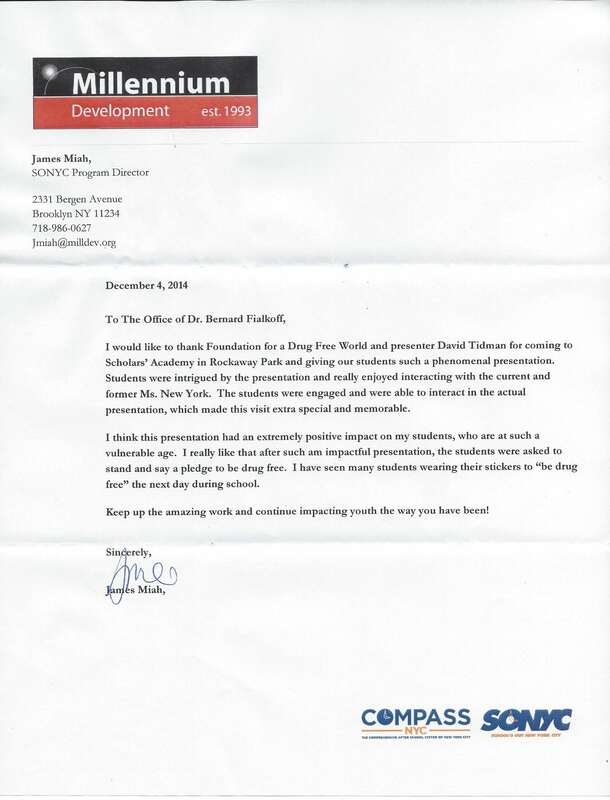 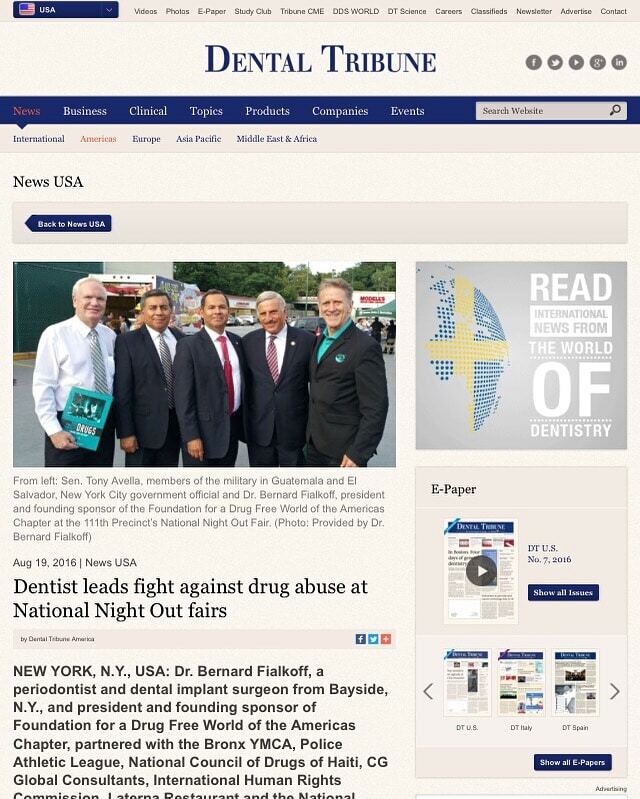 The Office of Dr. Bernard Fialkoff and the Fialkoff Dental Study Club run the Foundation for a Drug Free World’s drug education program as a community service to the community. 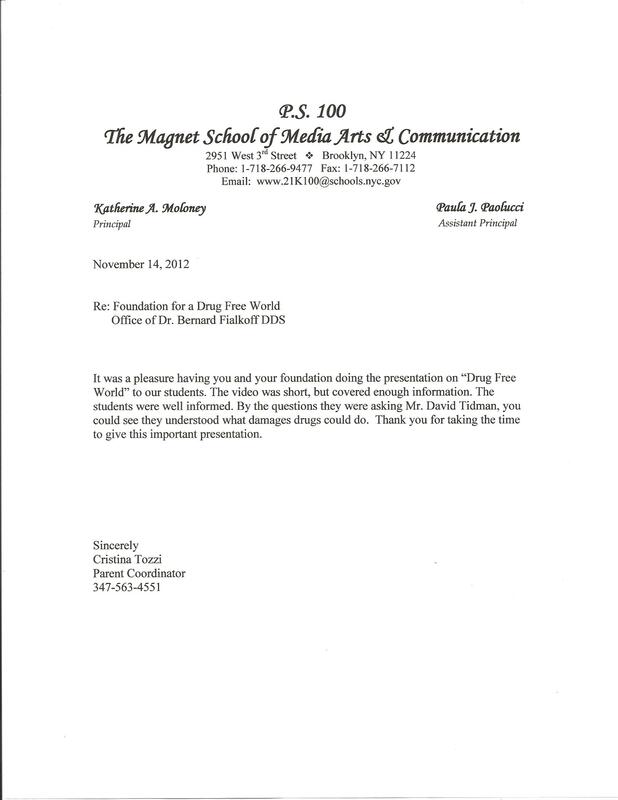 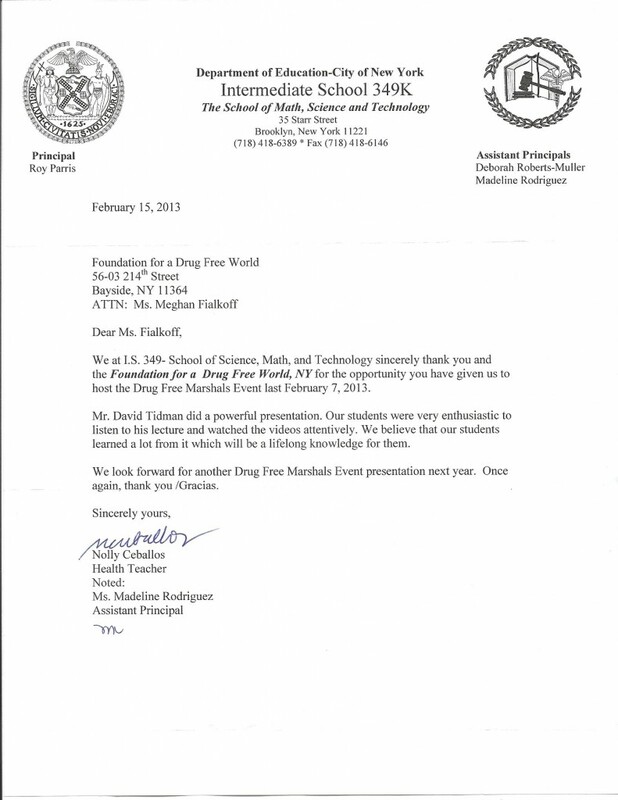 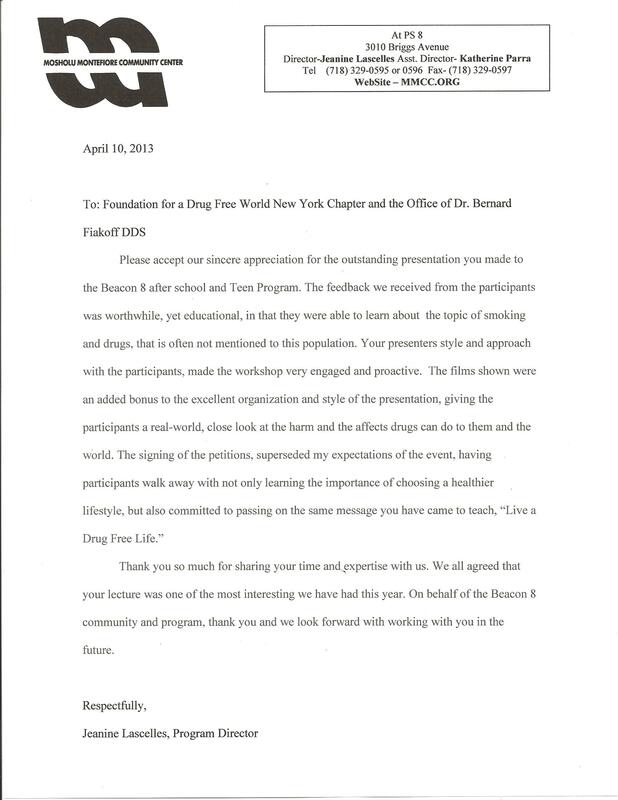 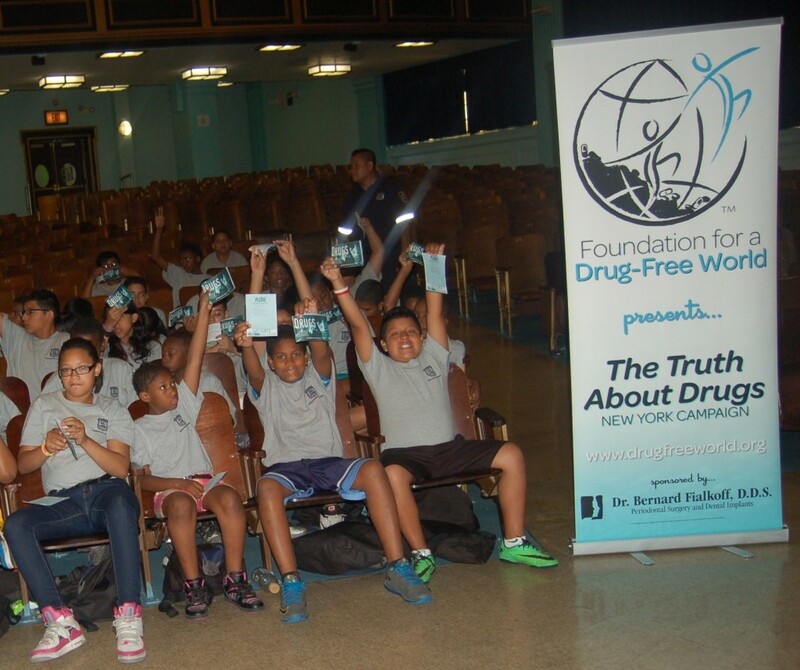 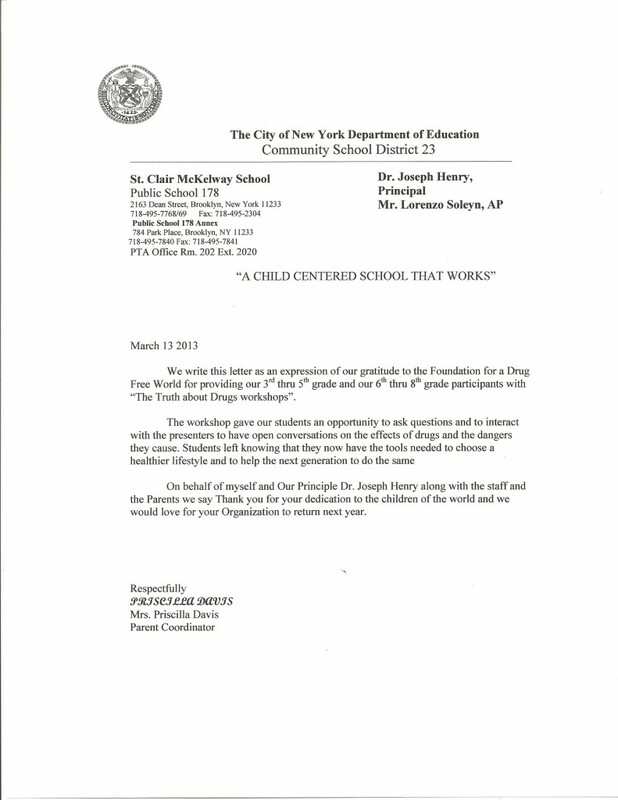 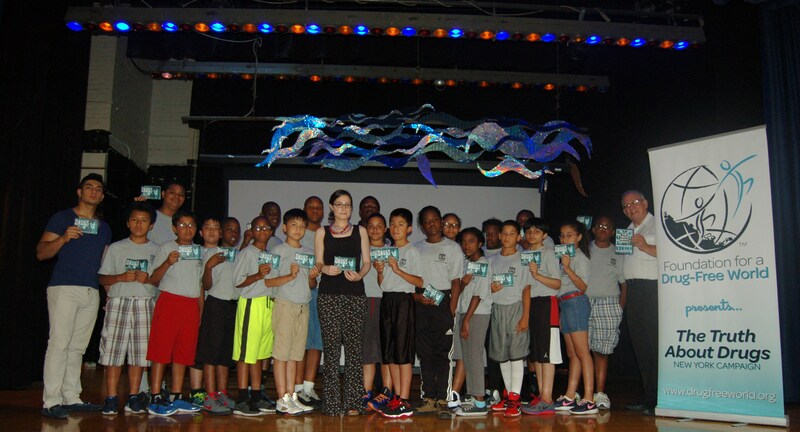 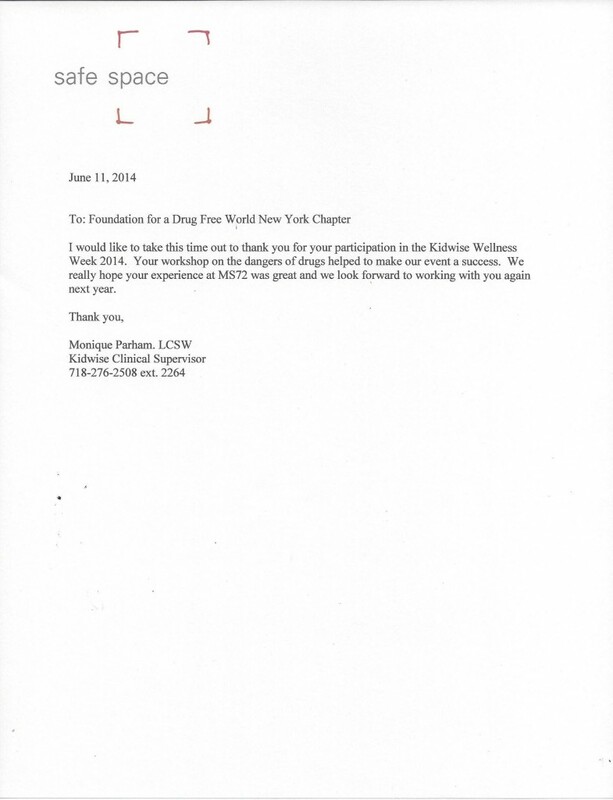 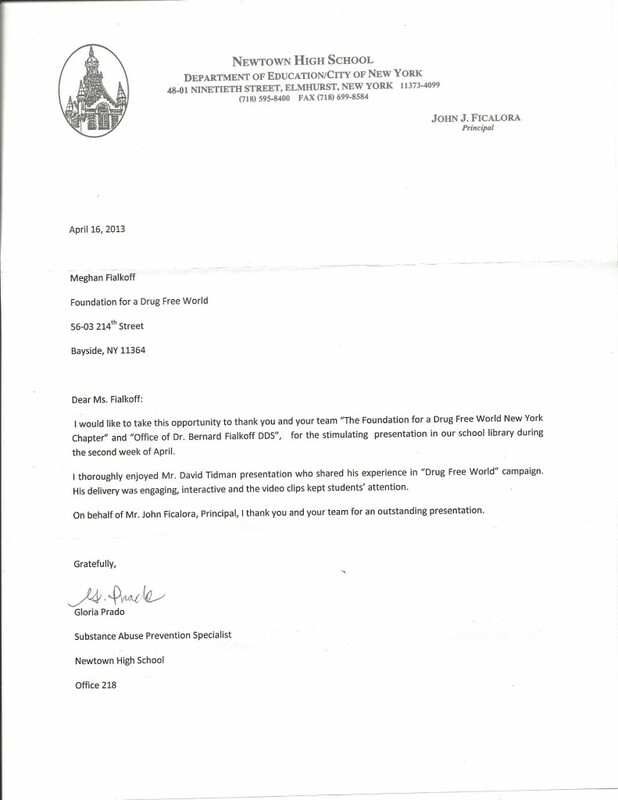 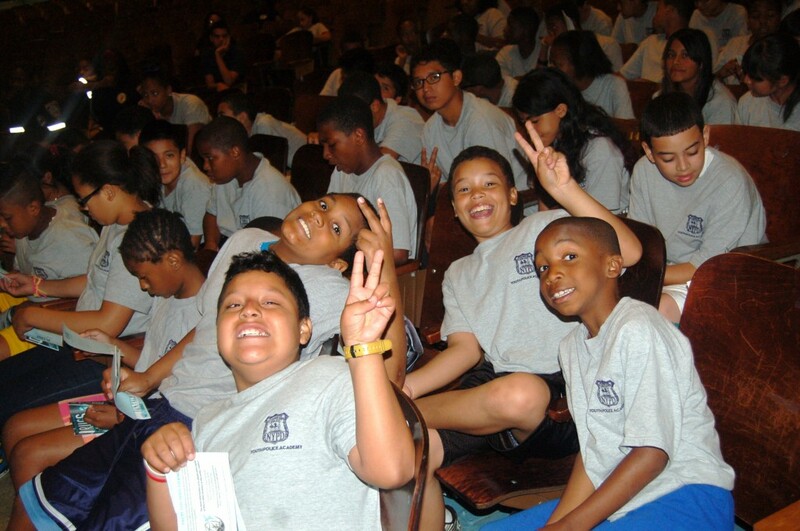 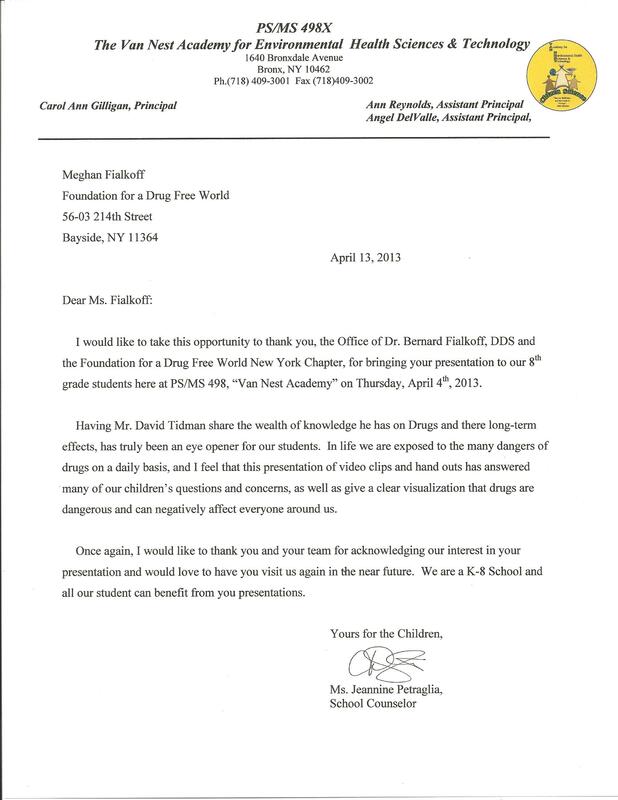 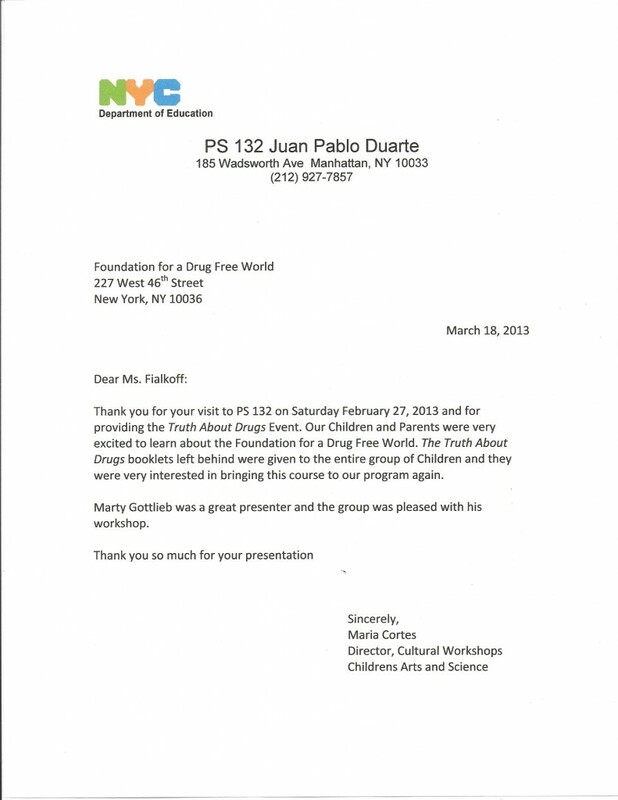 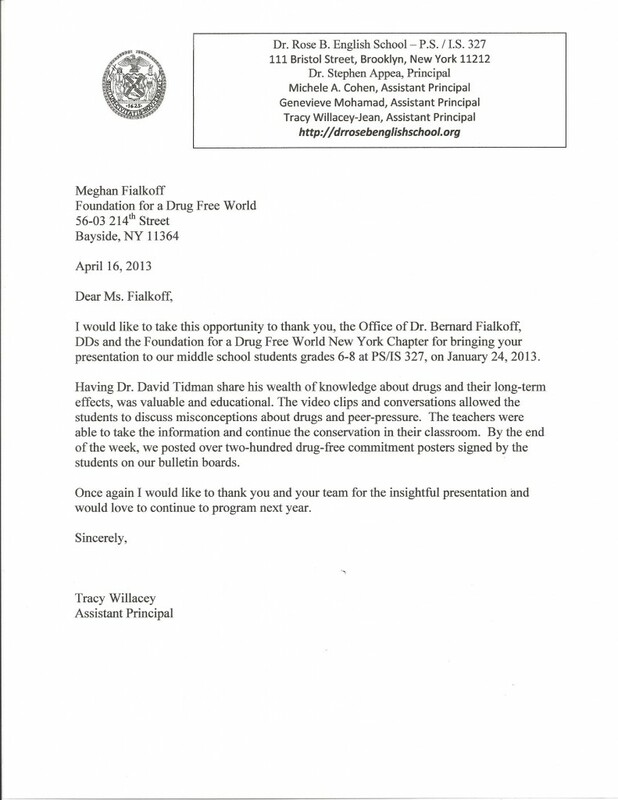 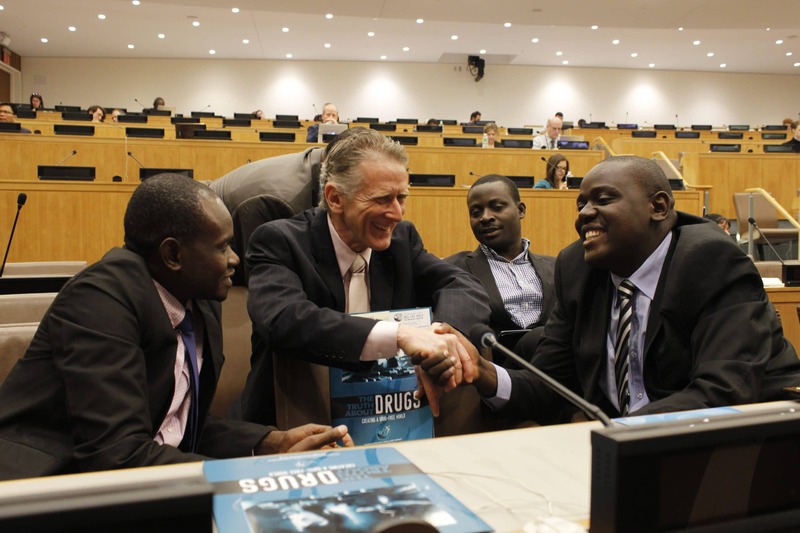 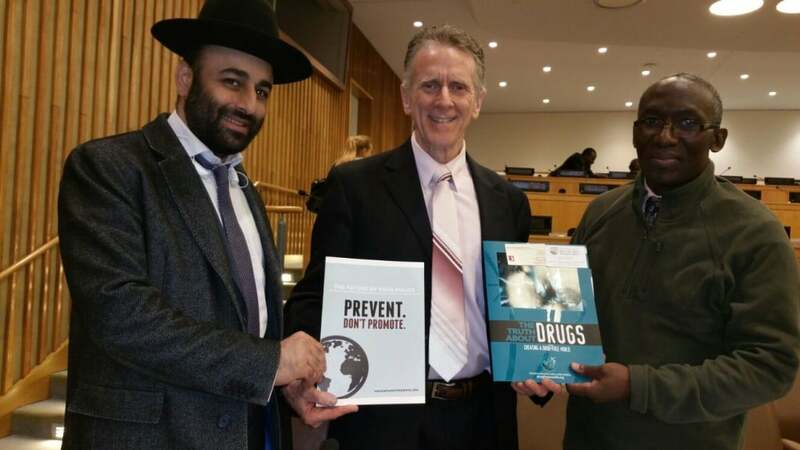 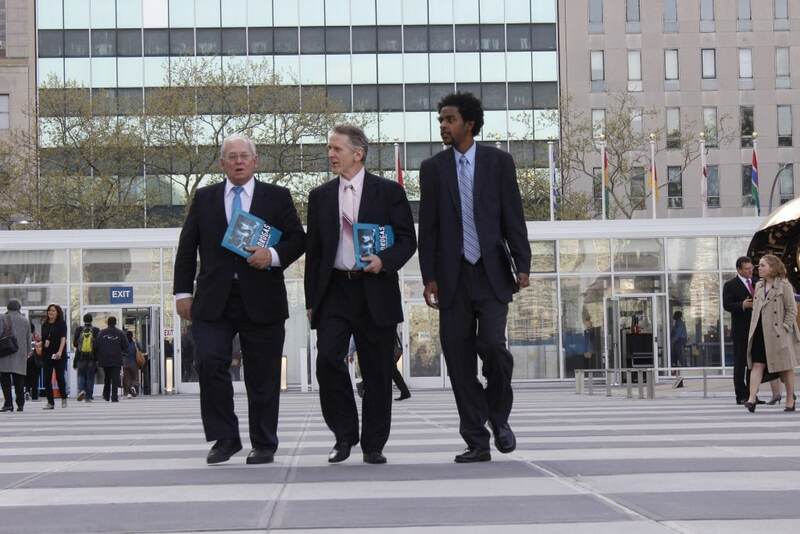 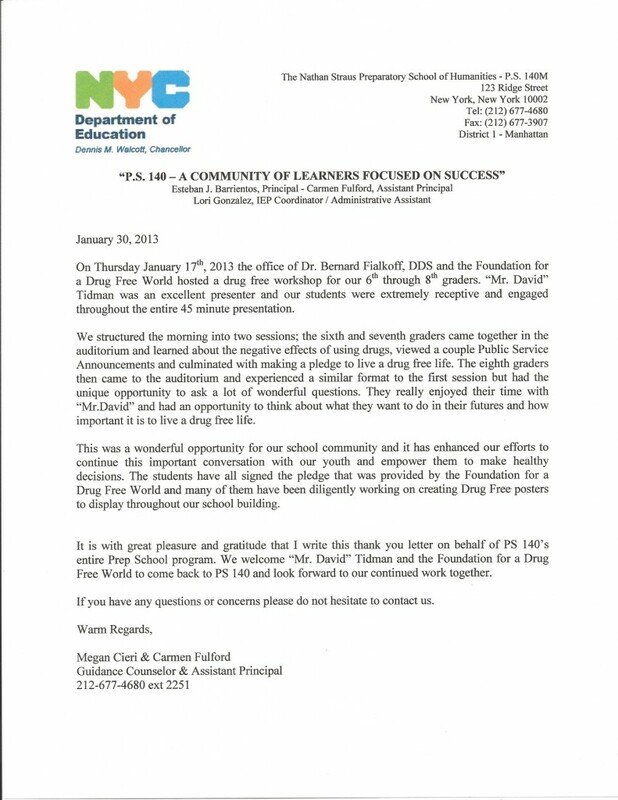 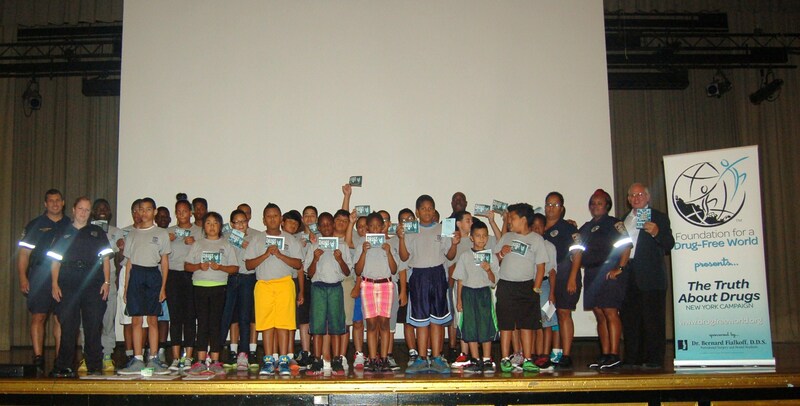 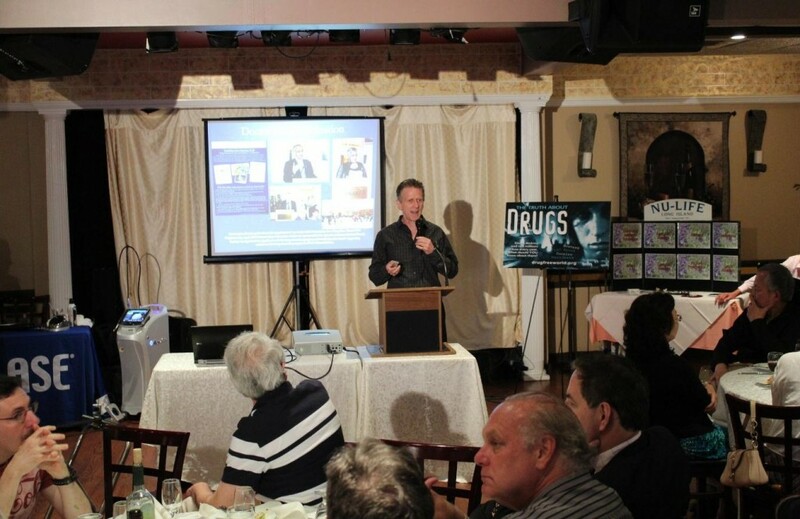 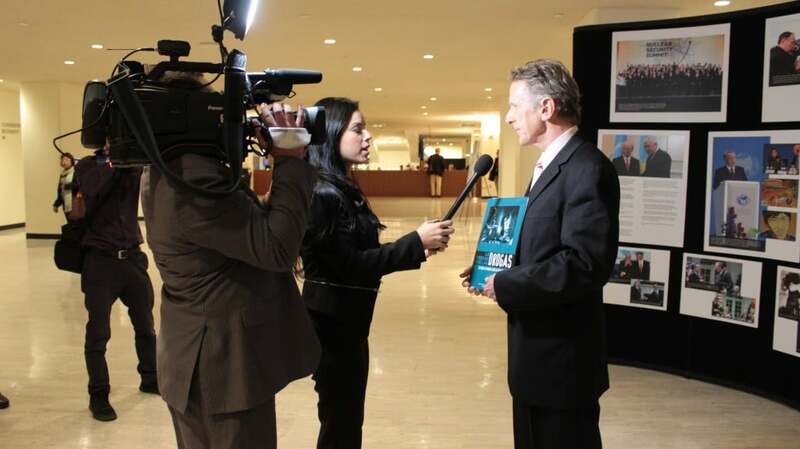 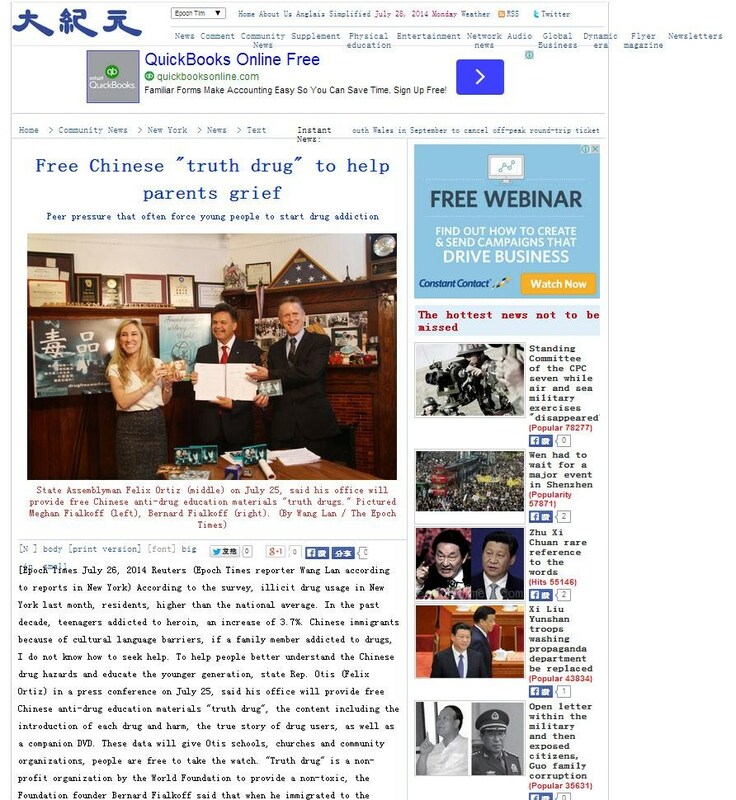 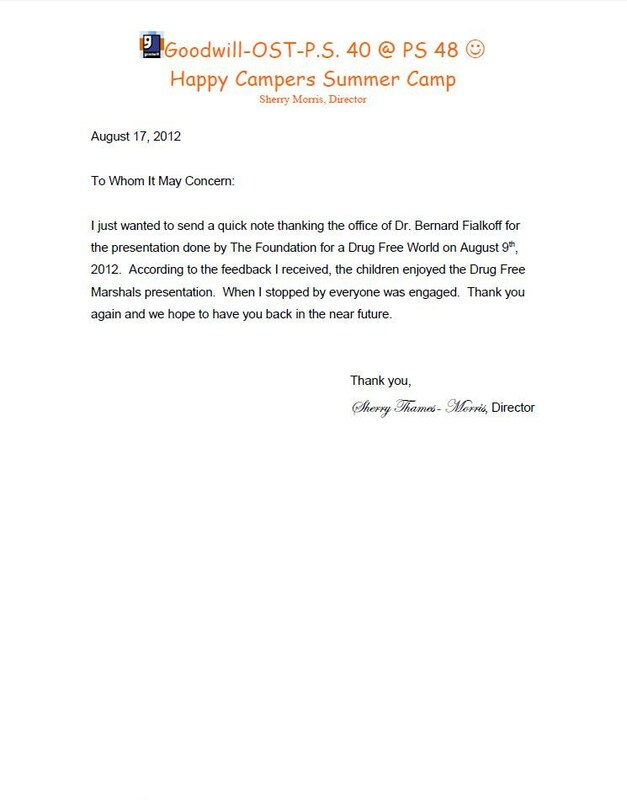 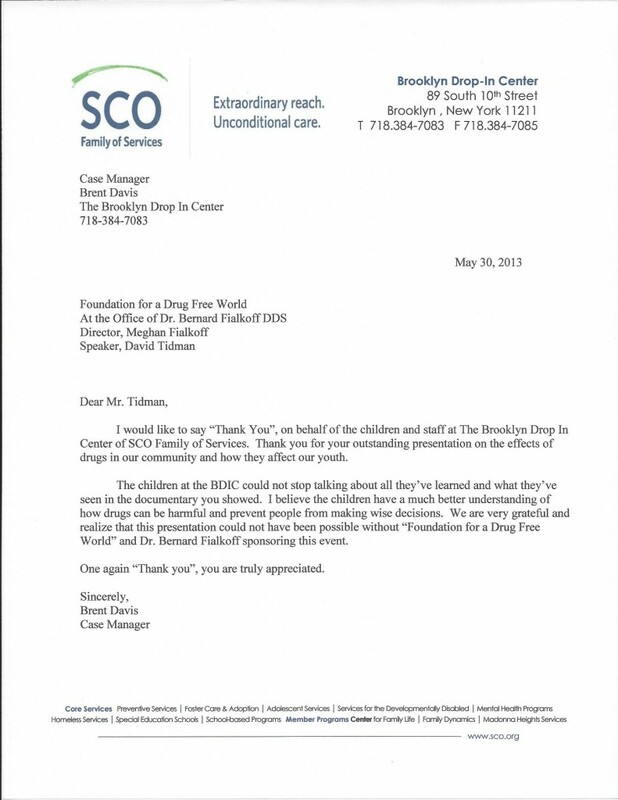 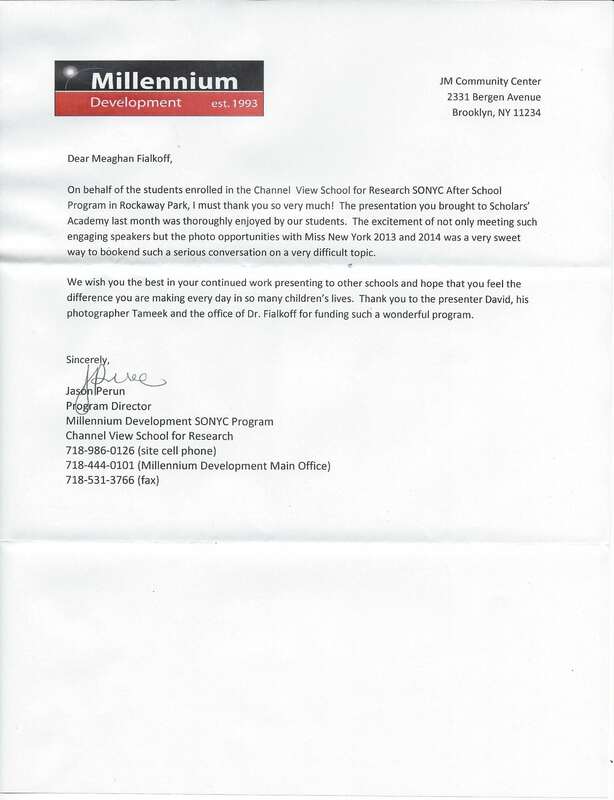 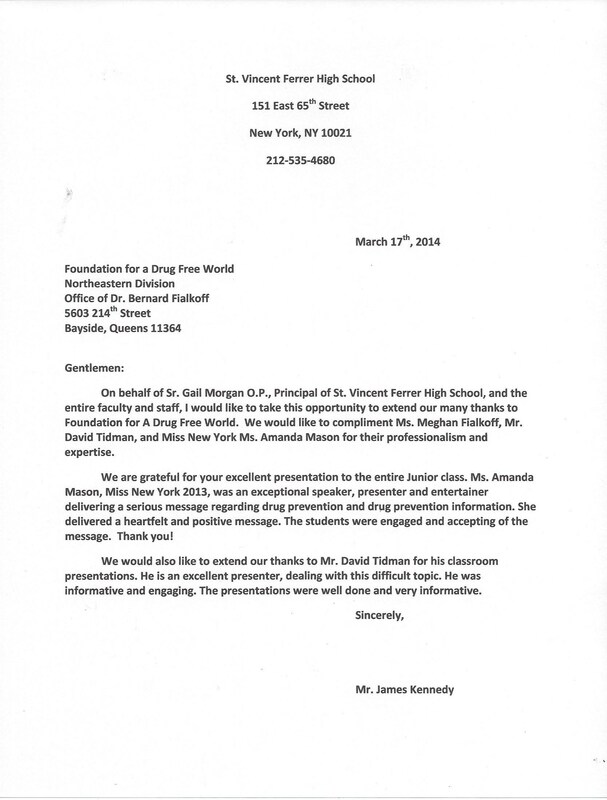 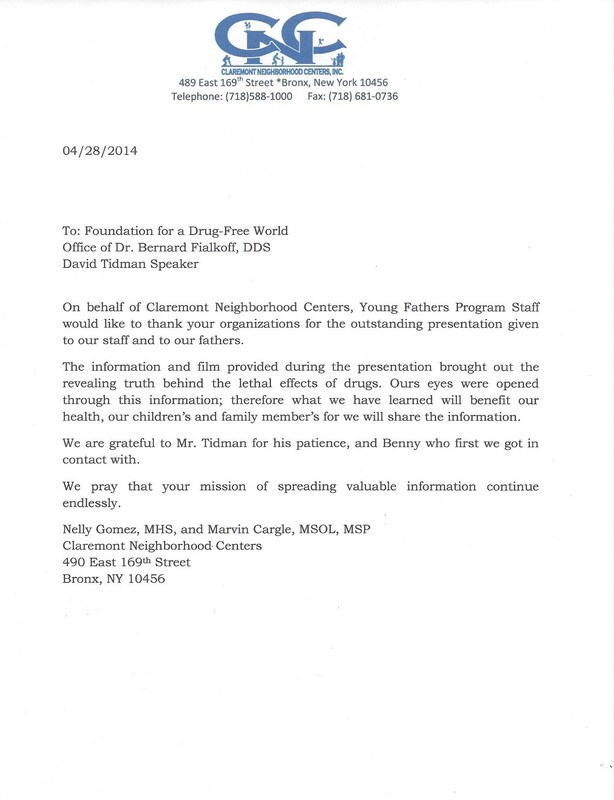 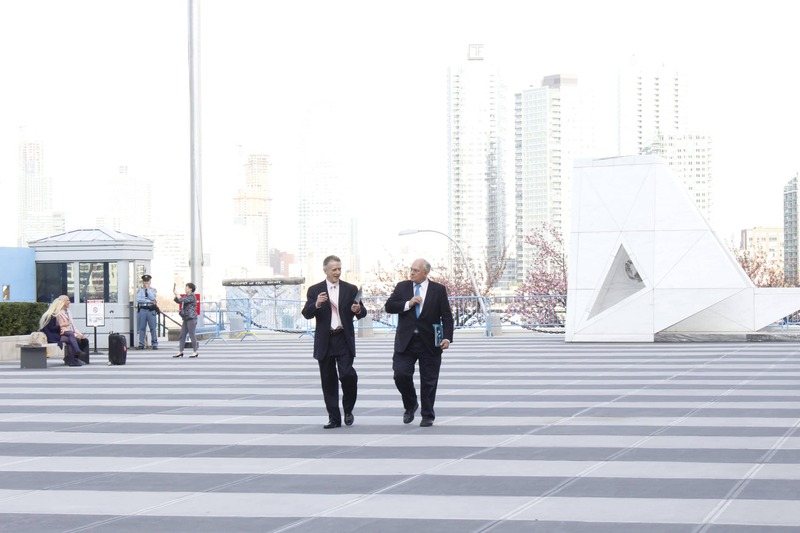 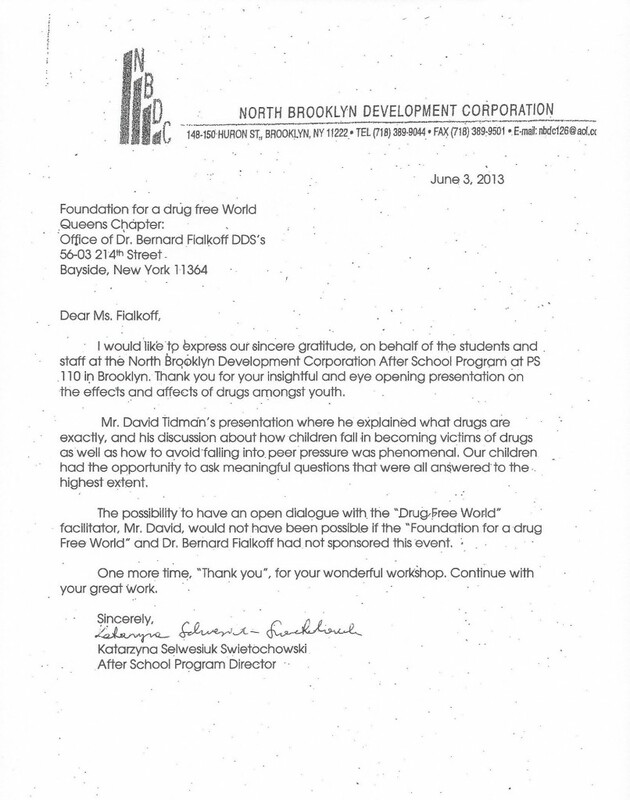 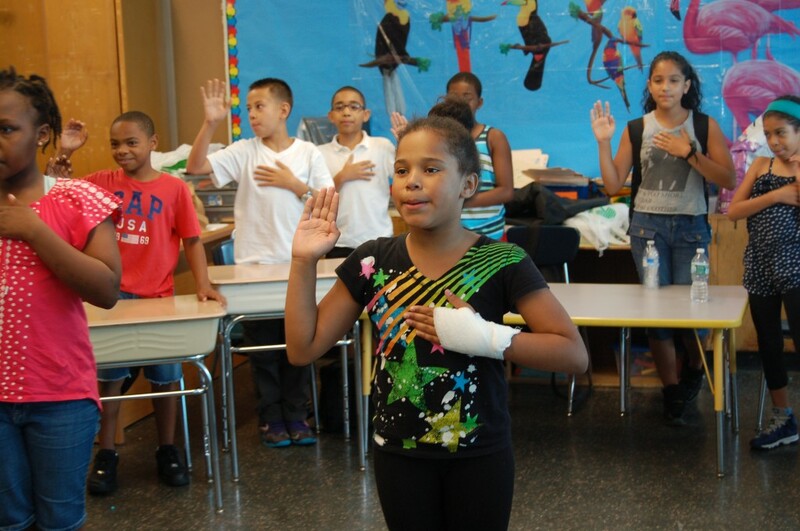 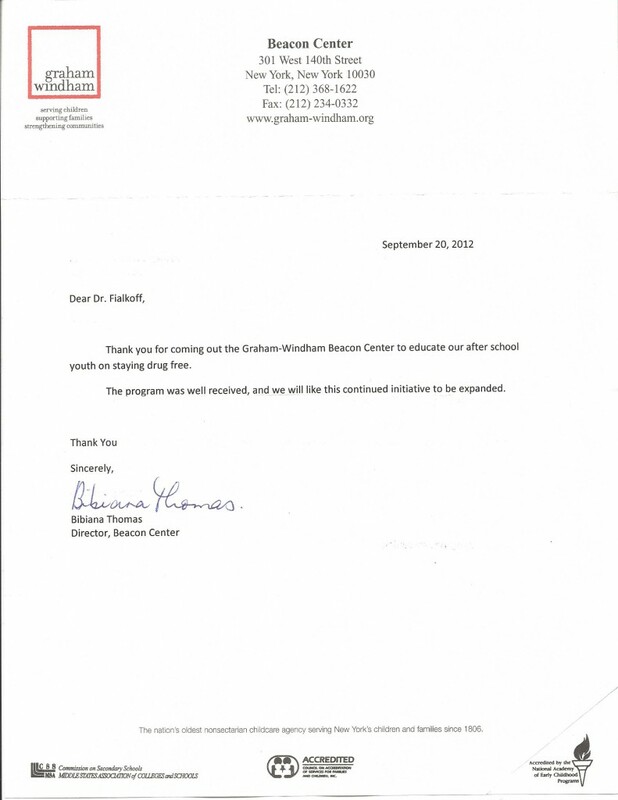 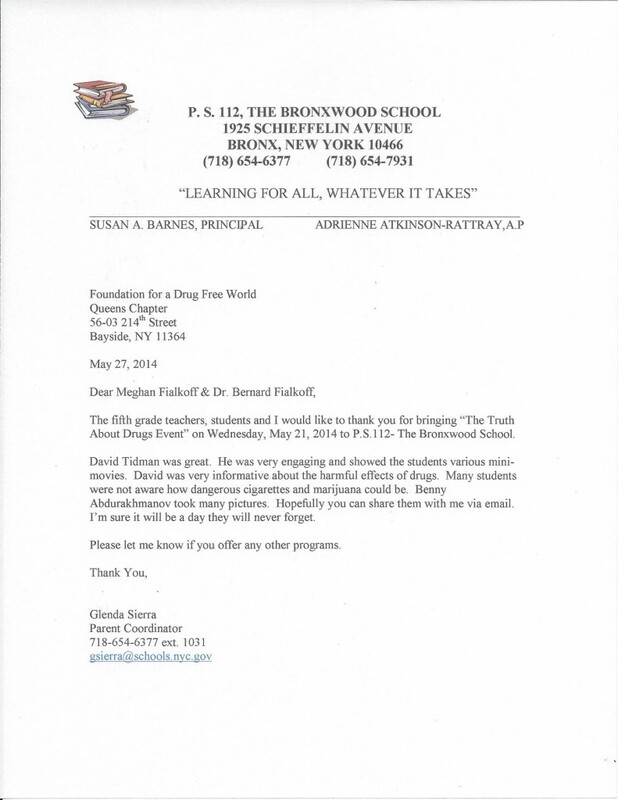 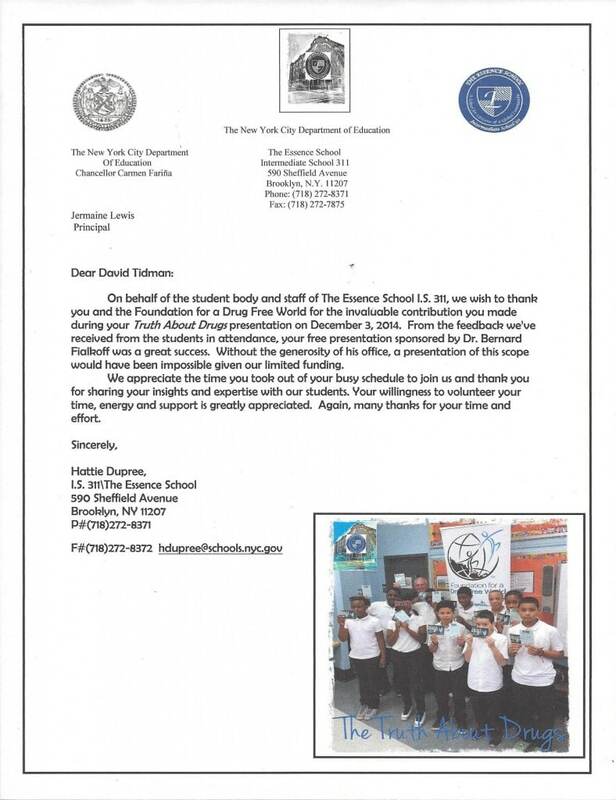 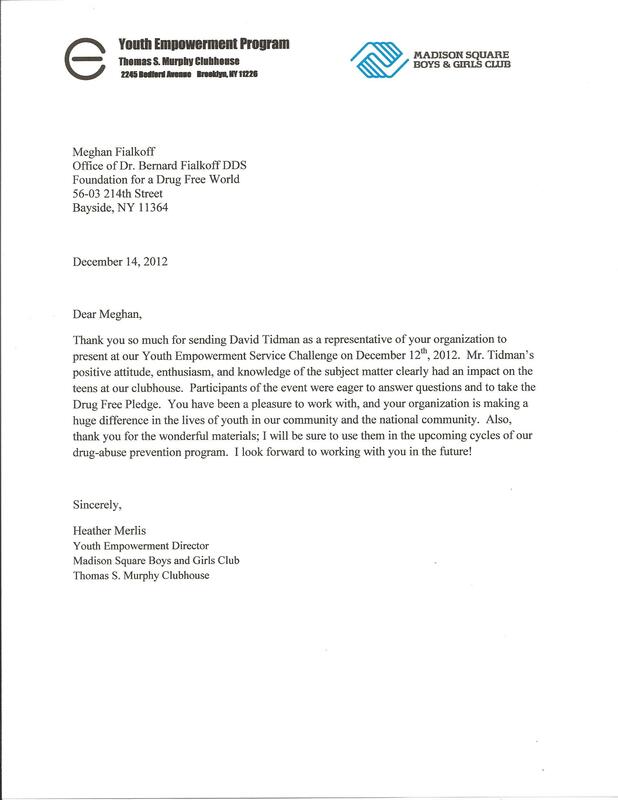 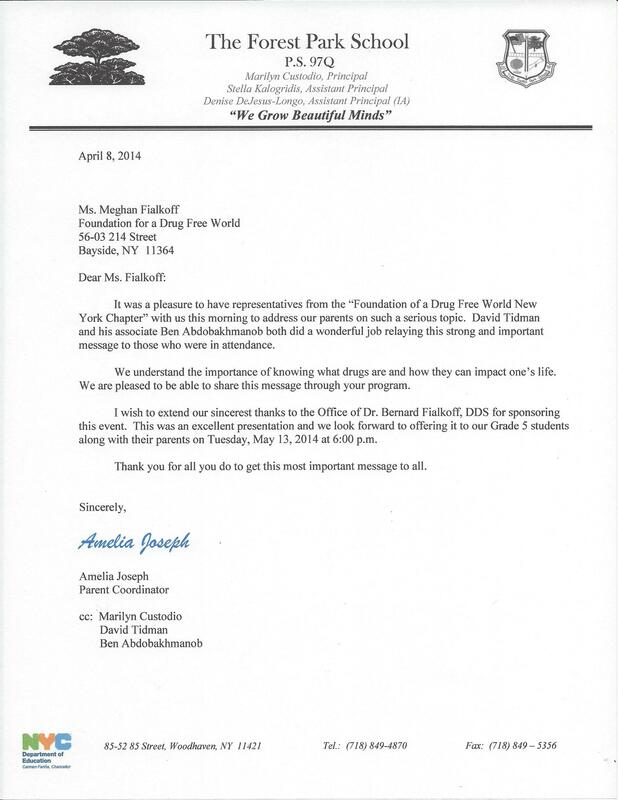 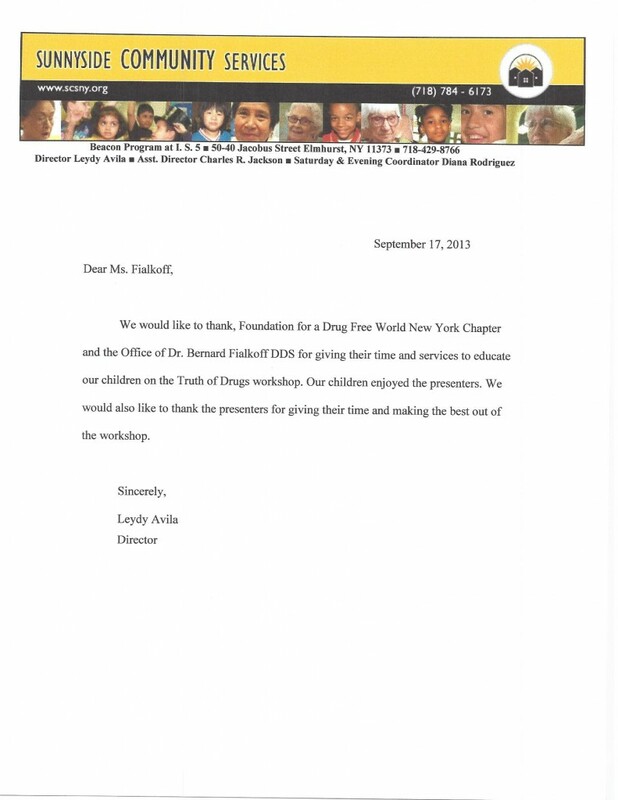 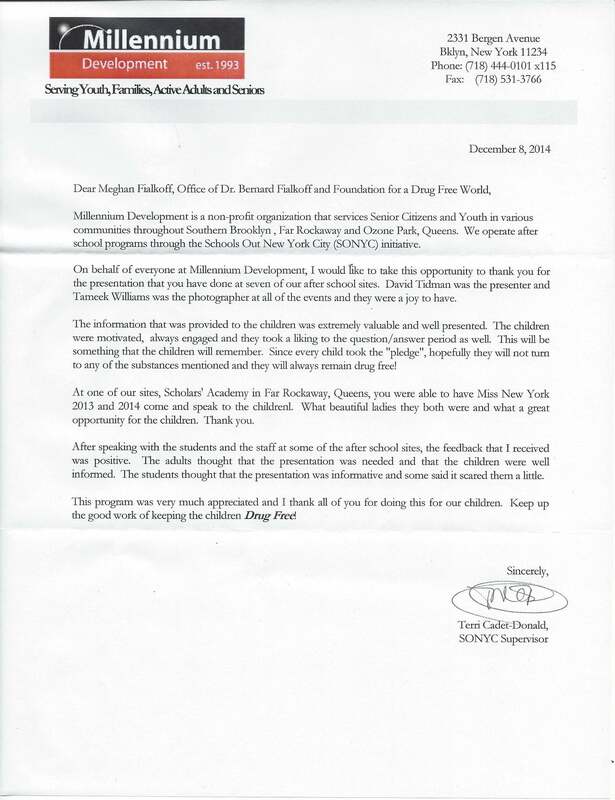 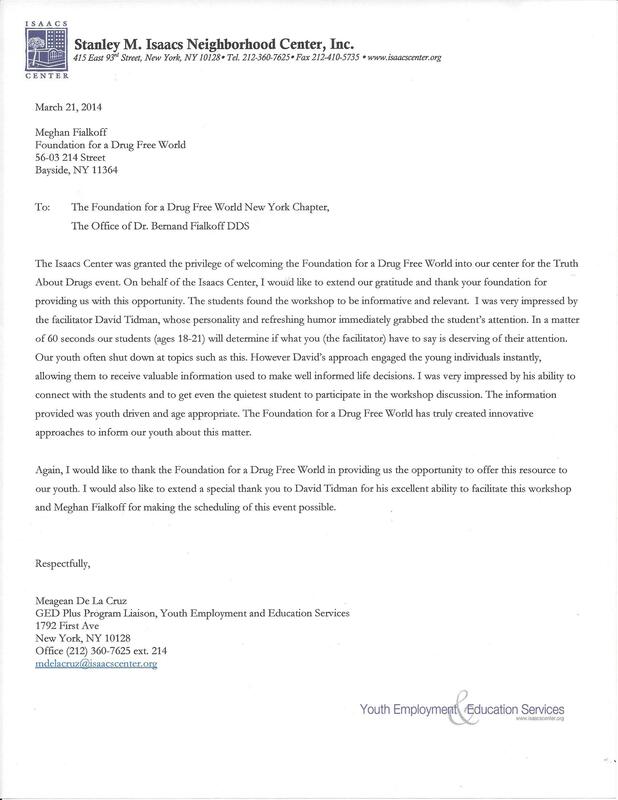 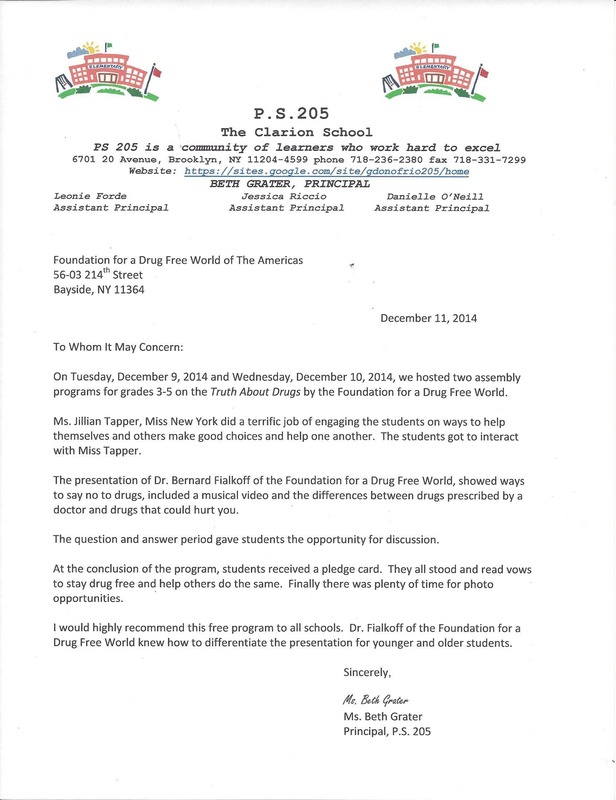 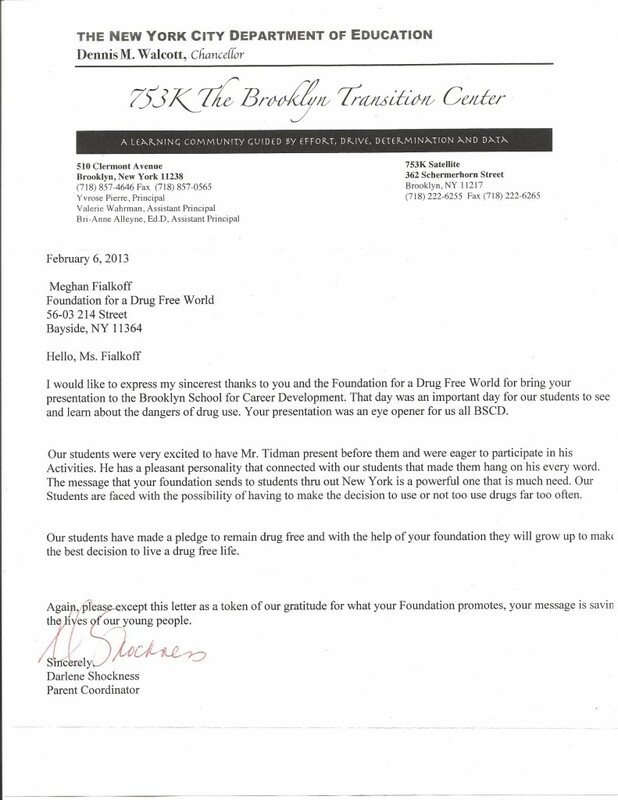 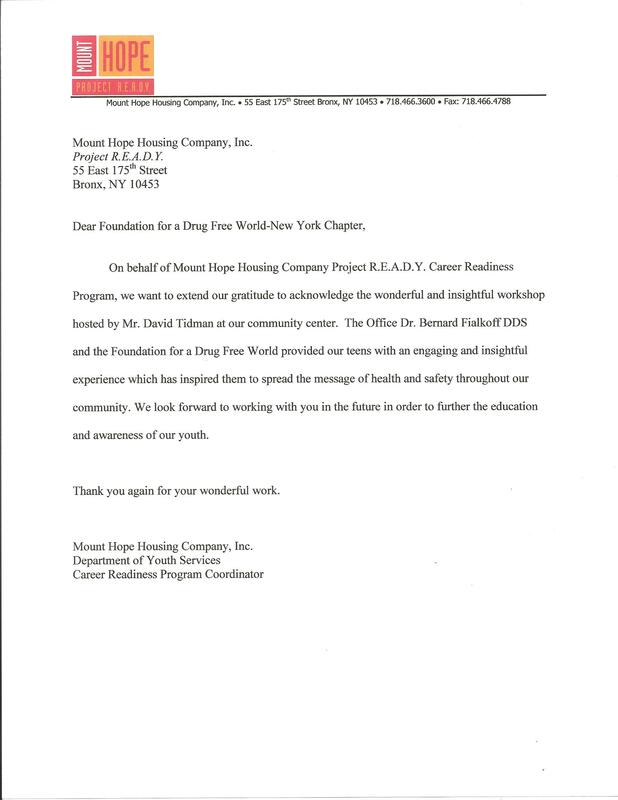 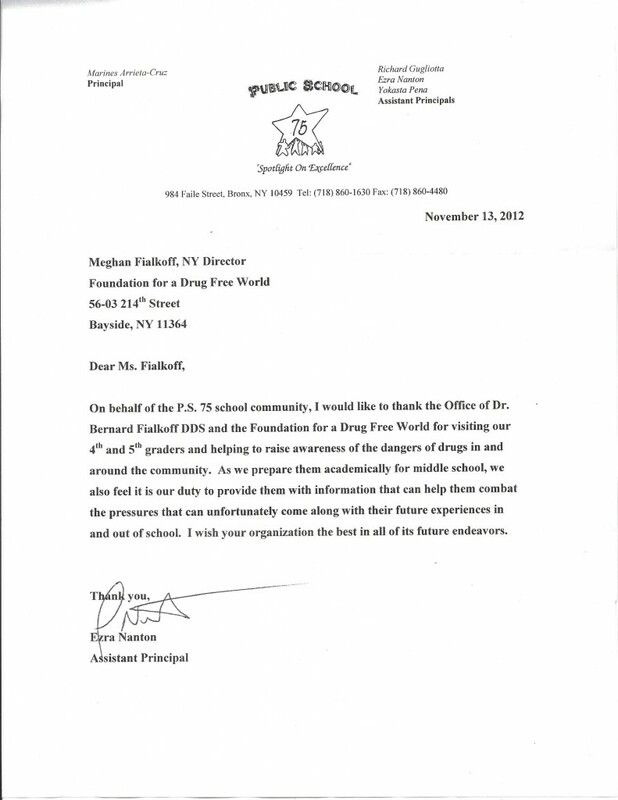 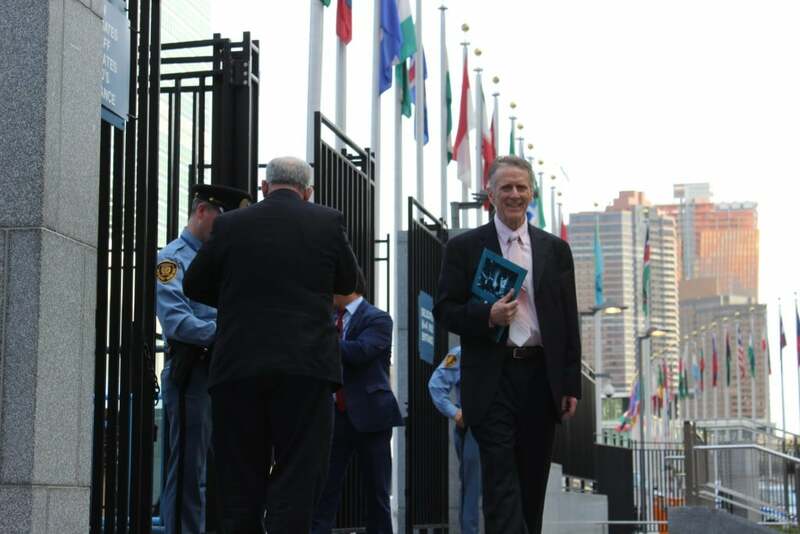 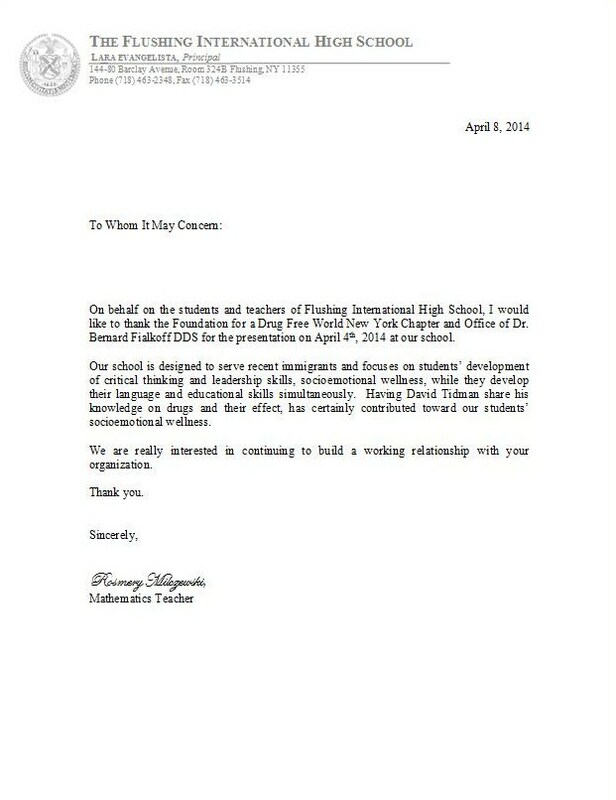 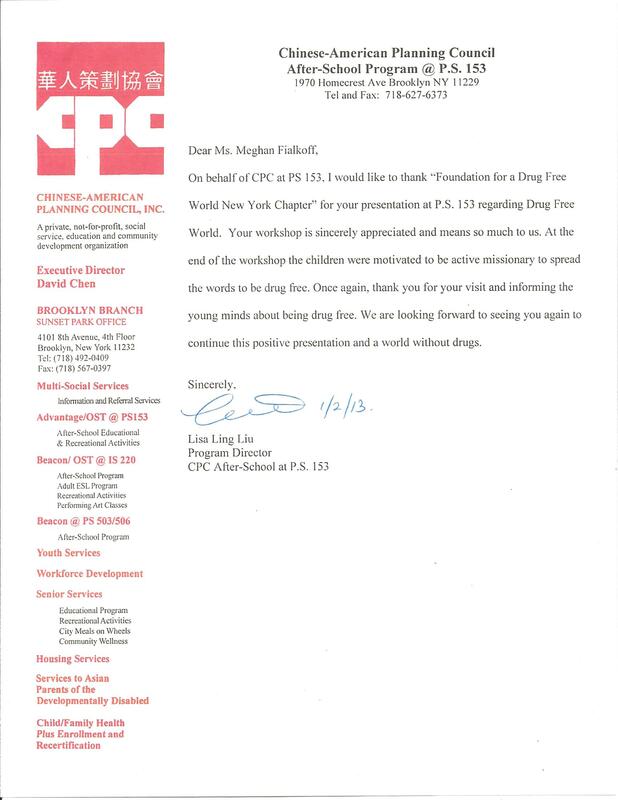 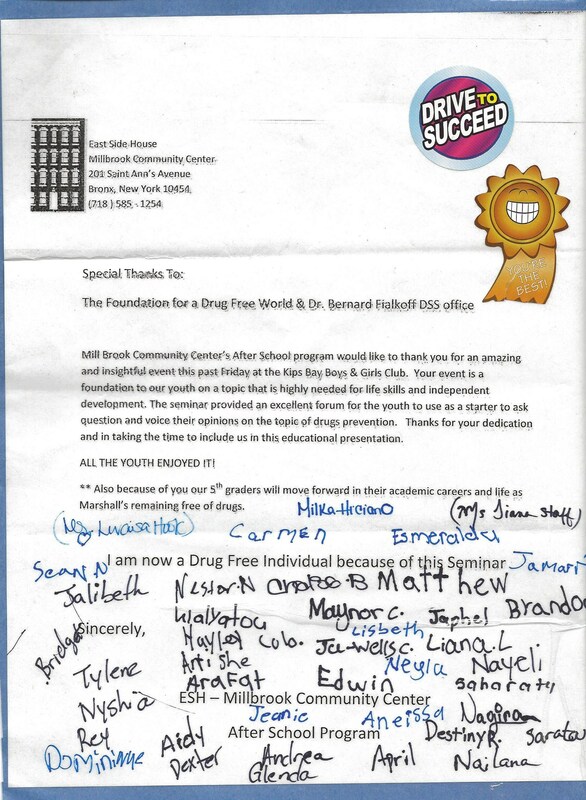 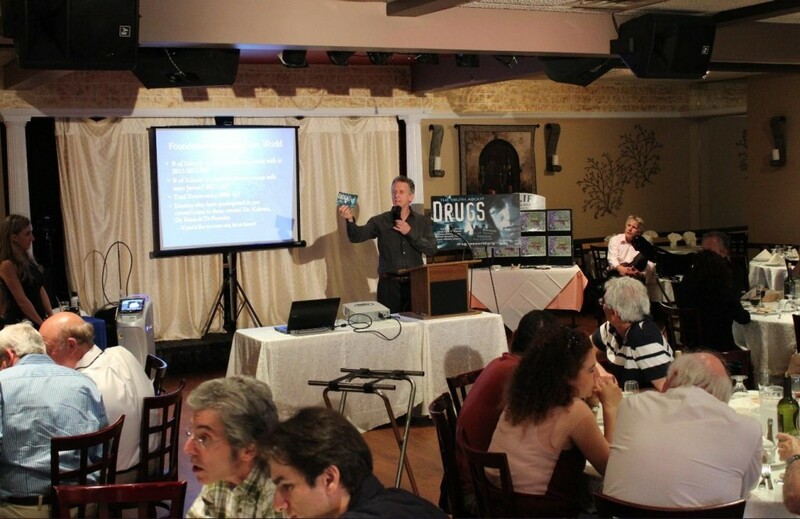 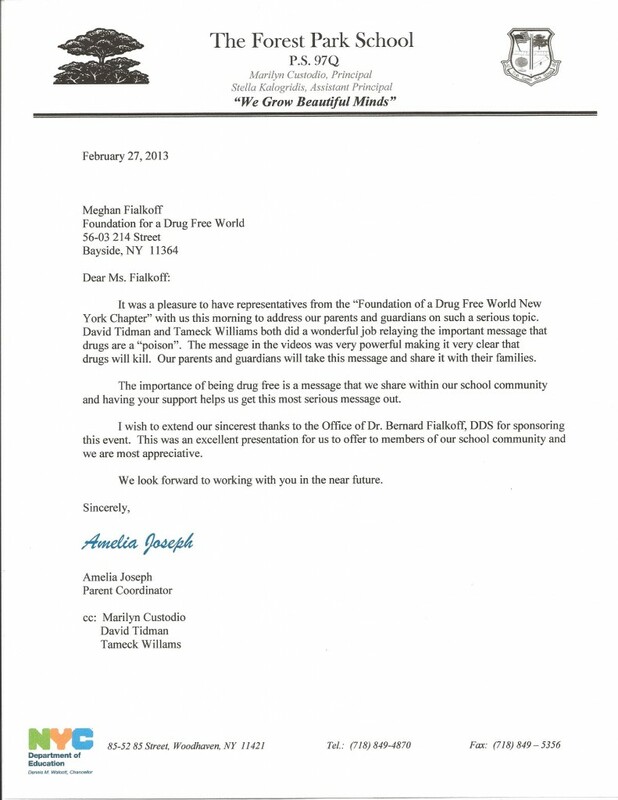 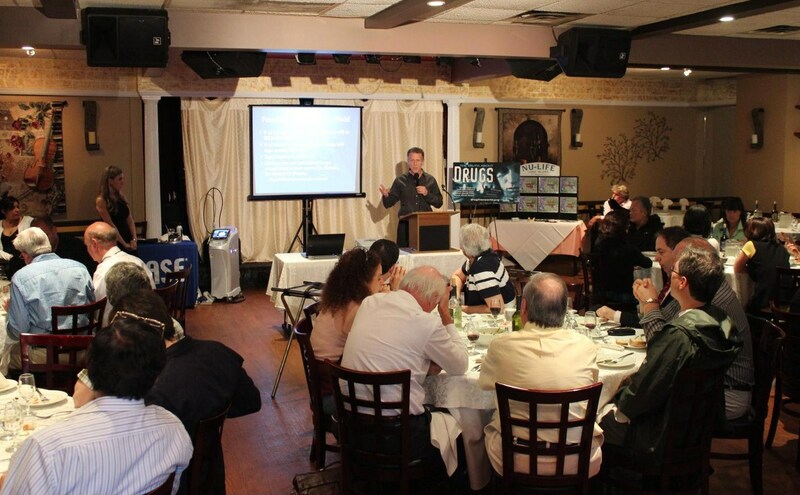 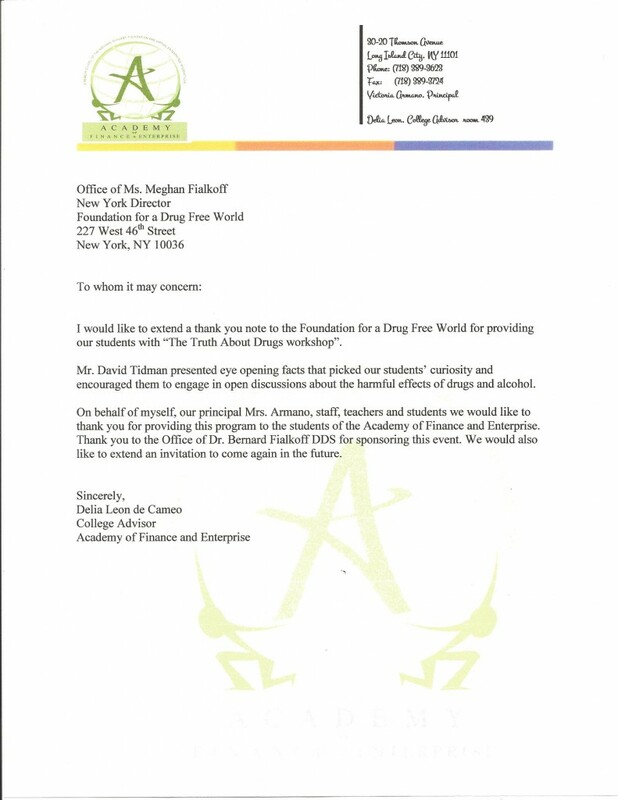 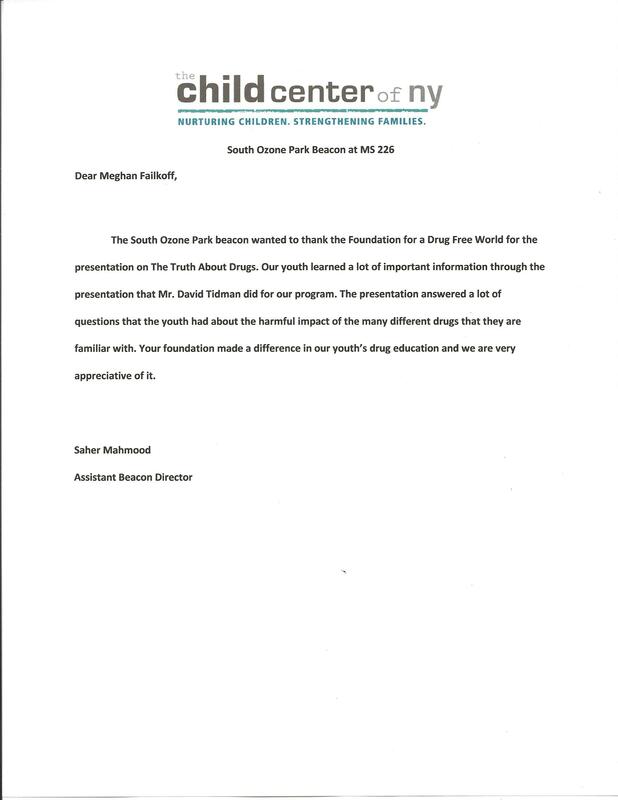 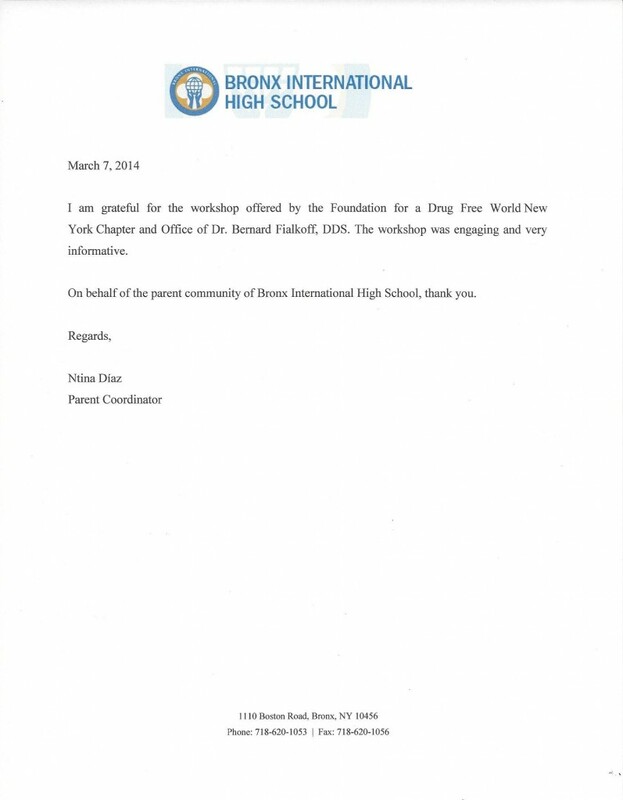 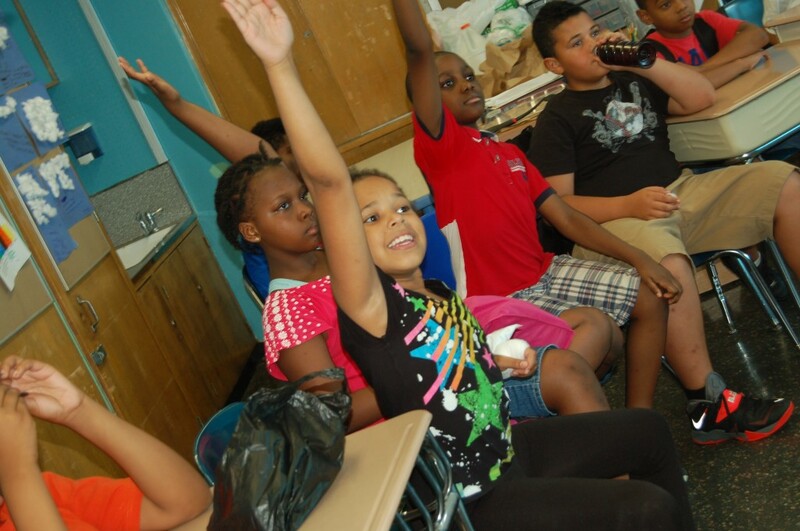 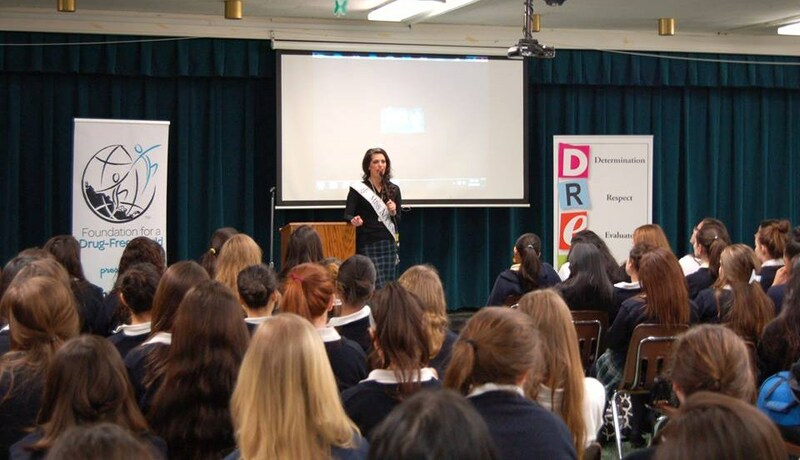 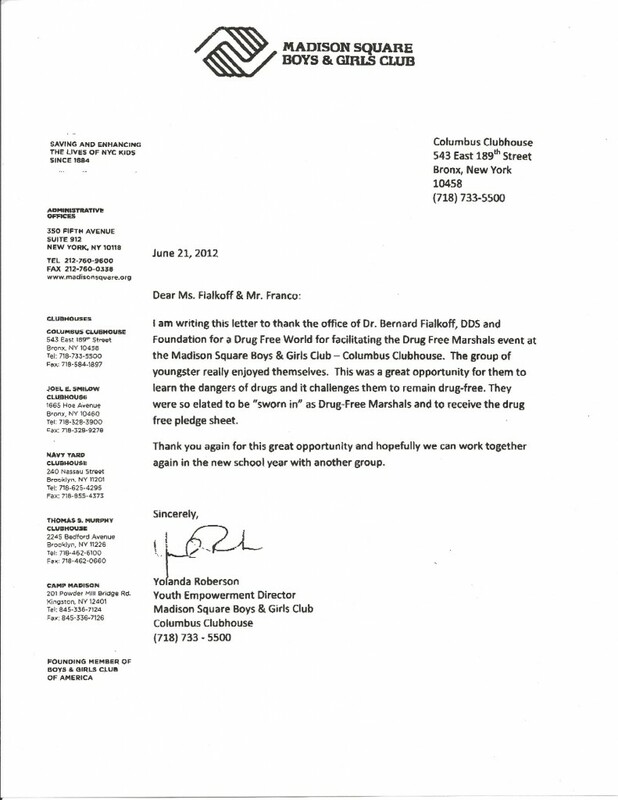 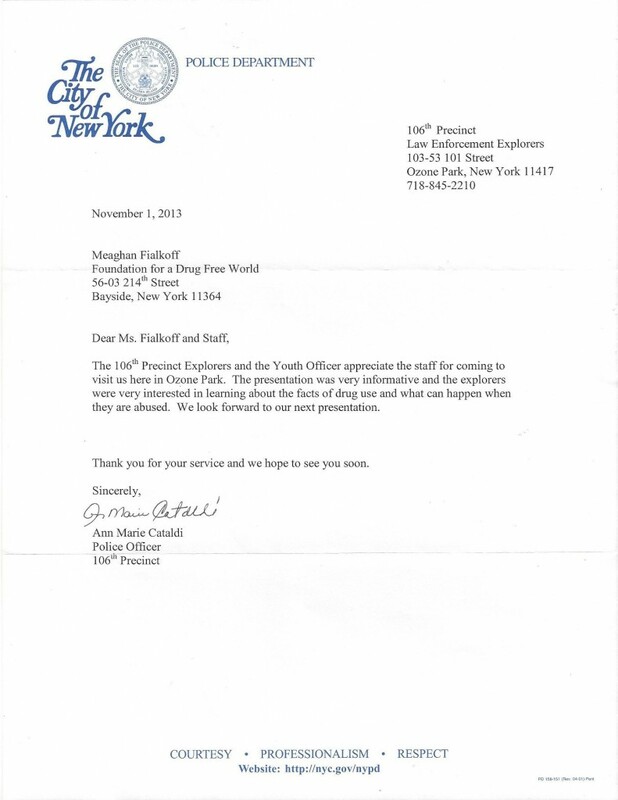 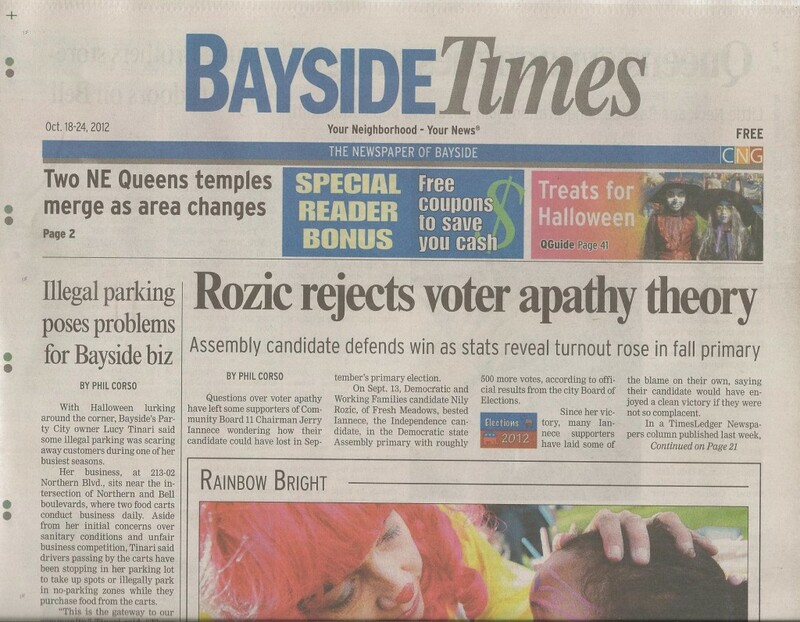 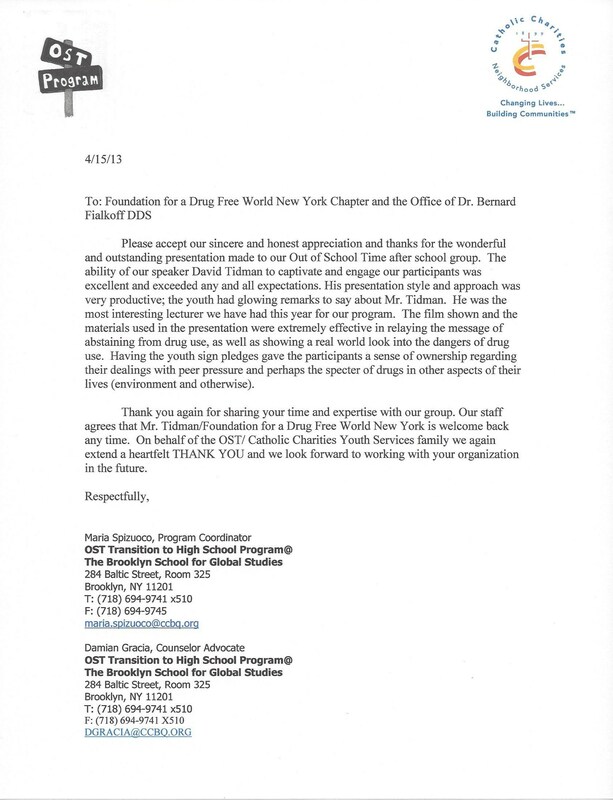 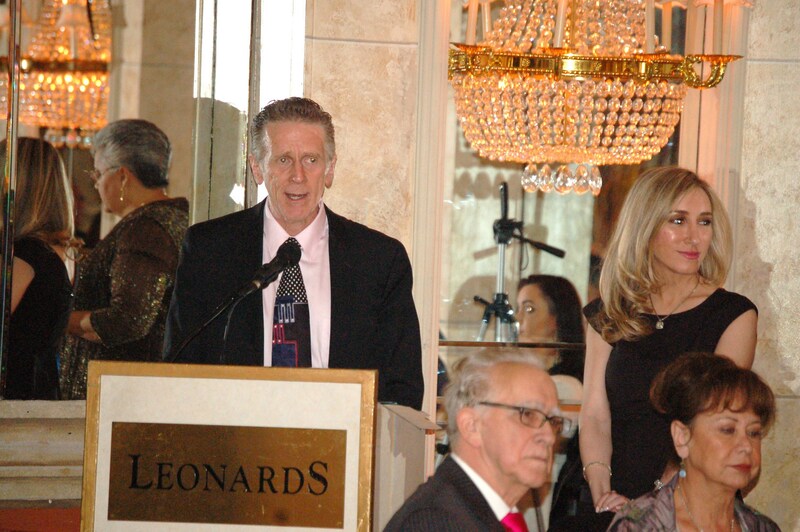 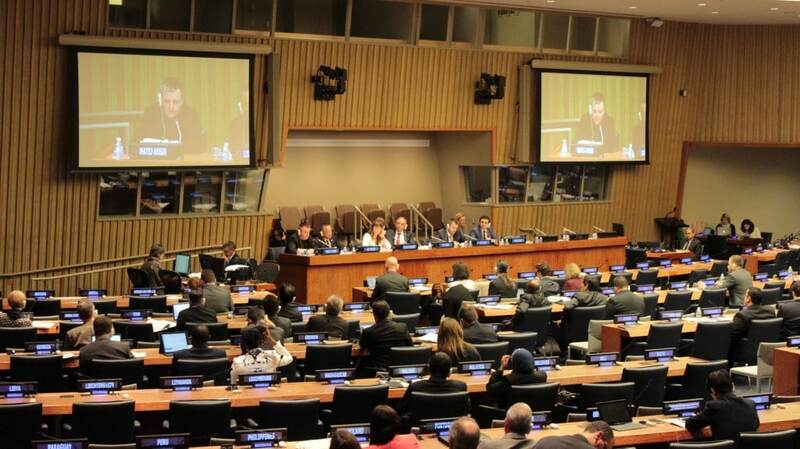 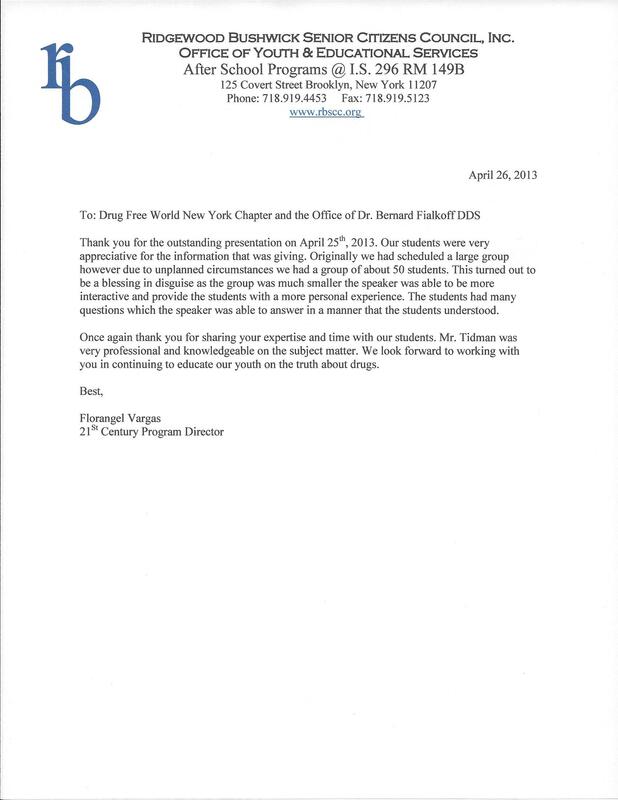 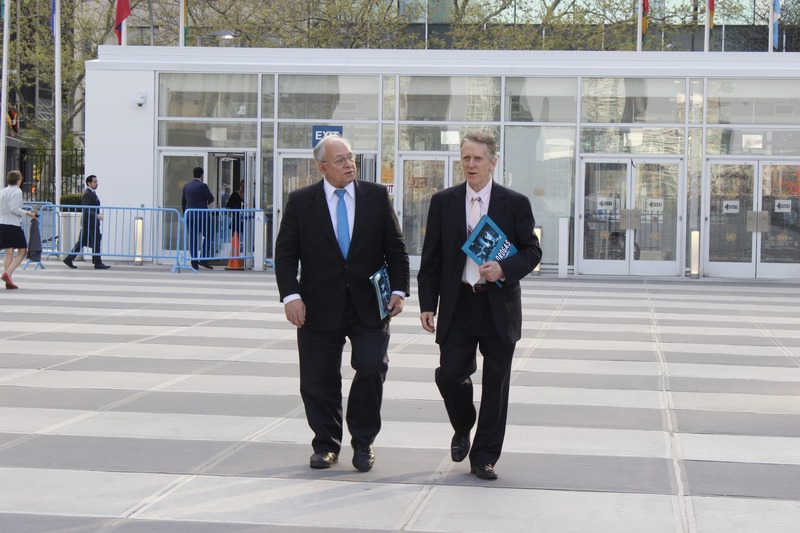 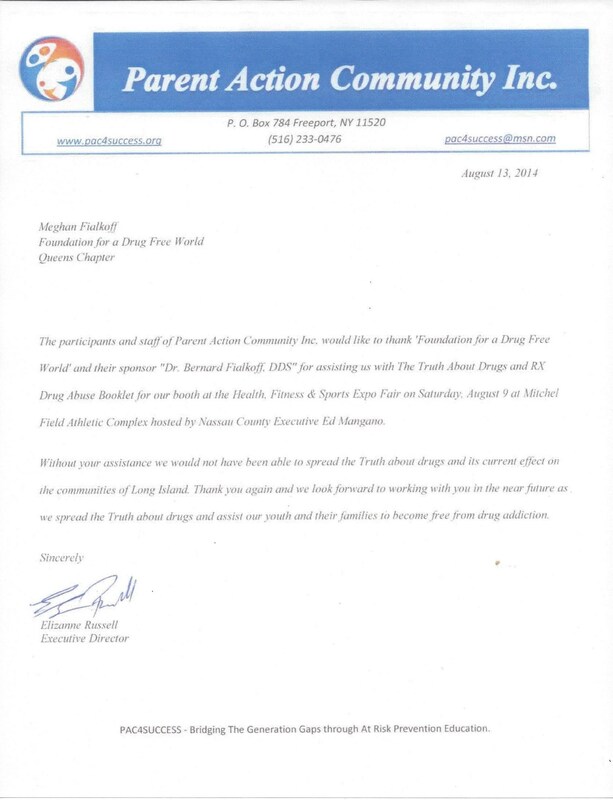 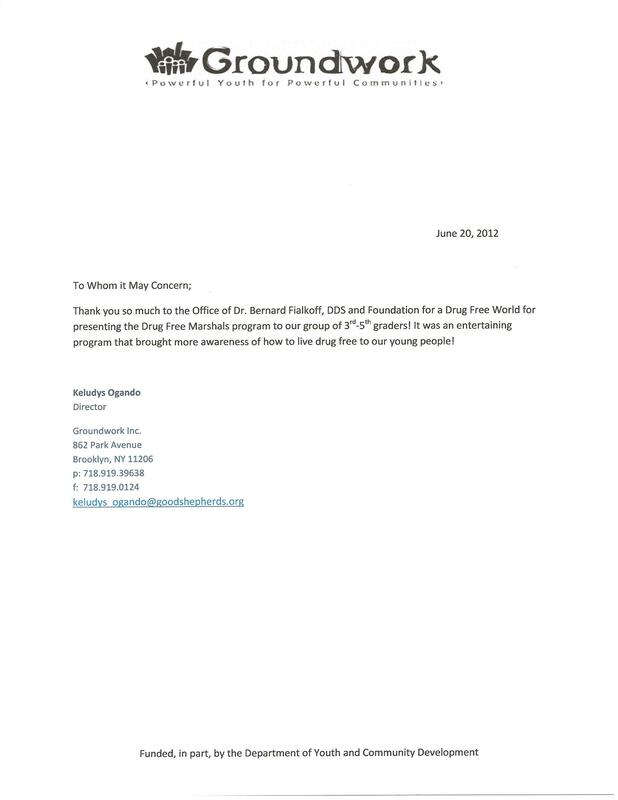 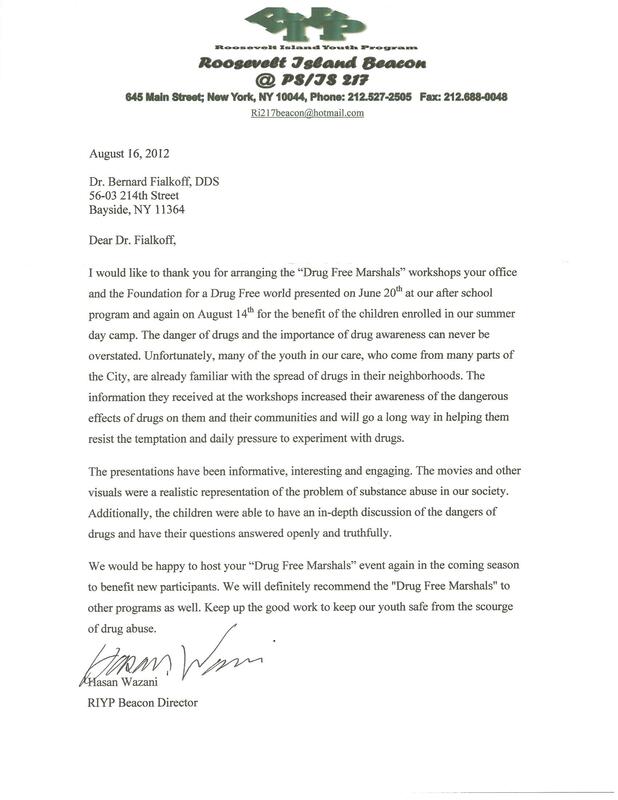 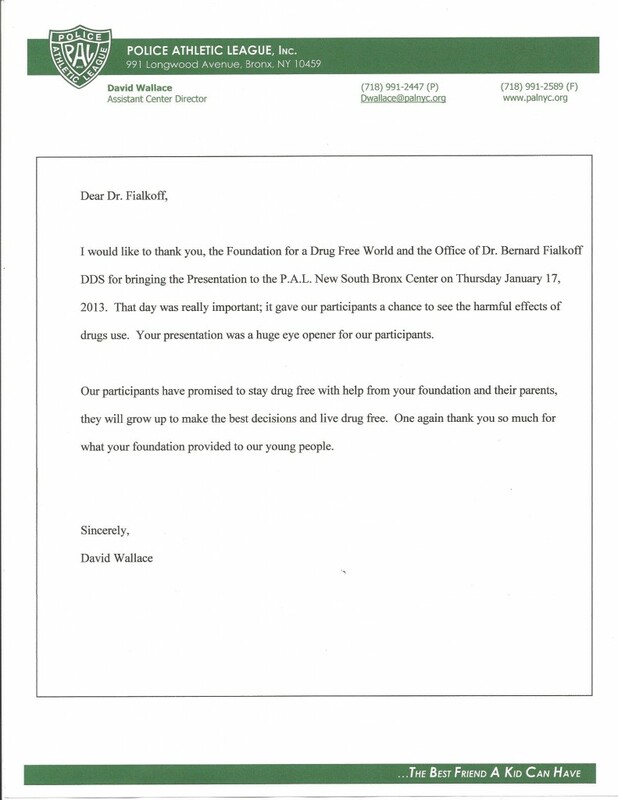 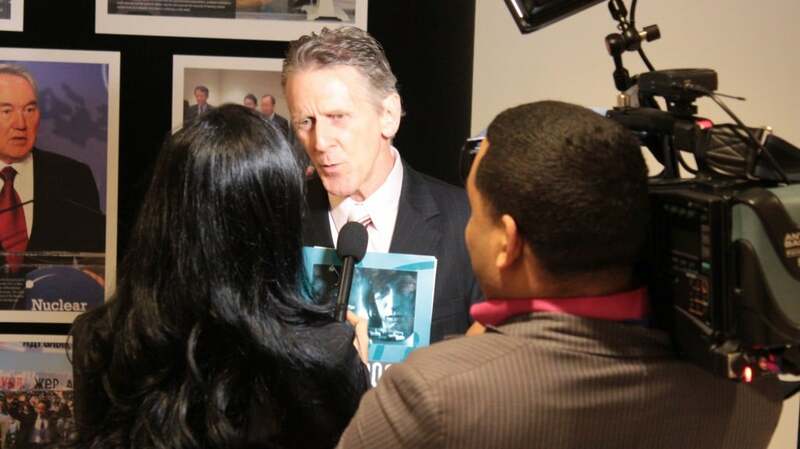 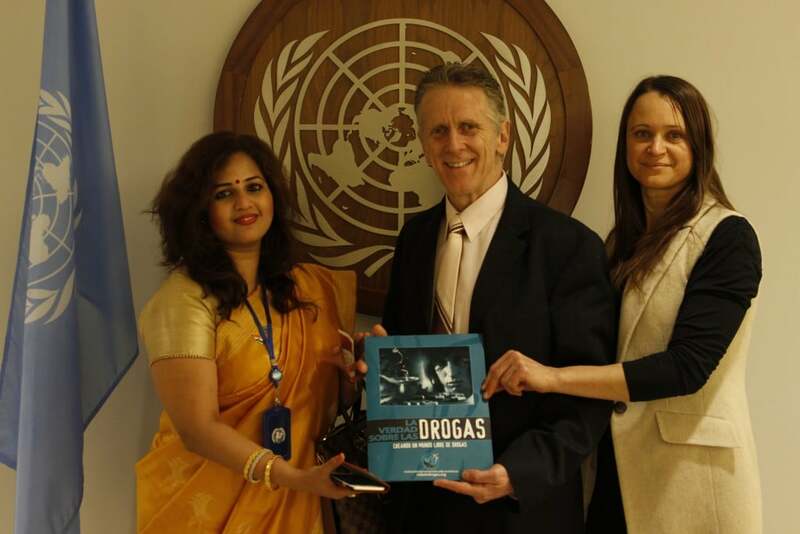 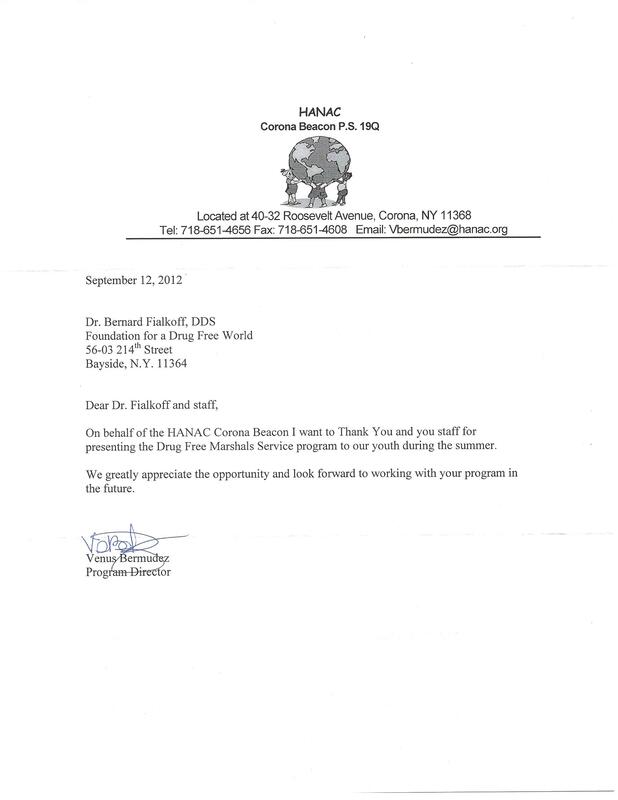 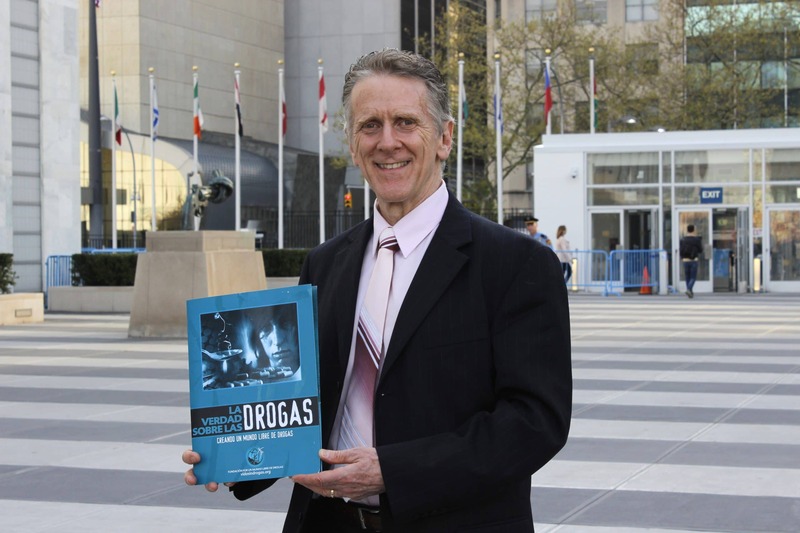 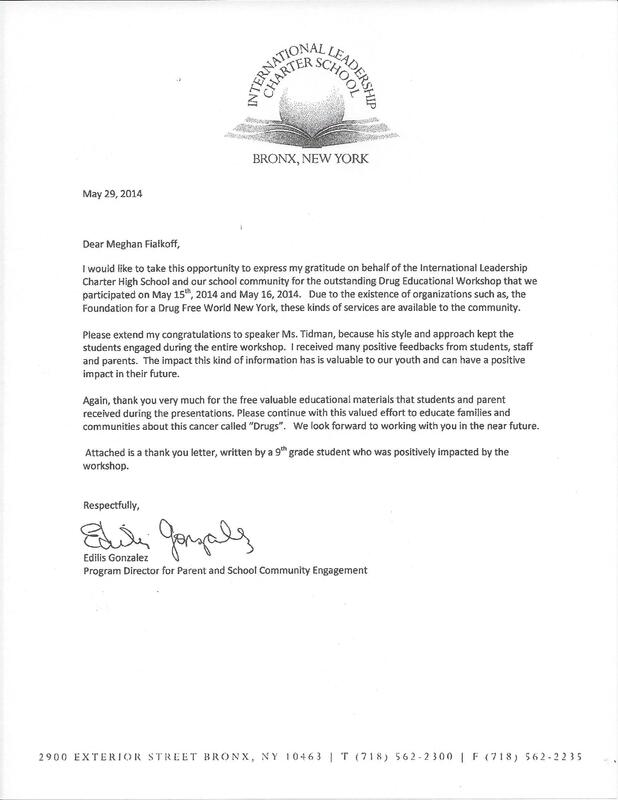 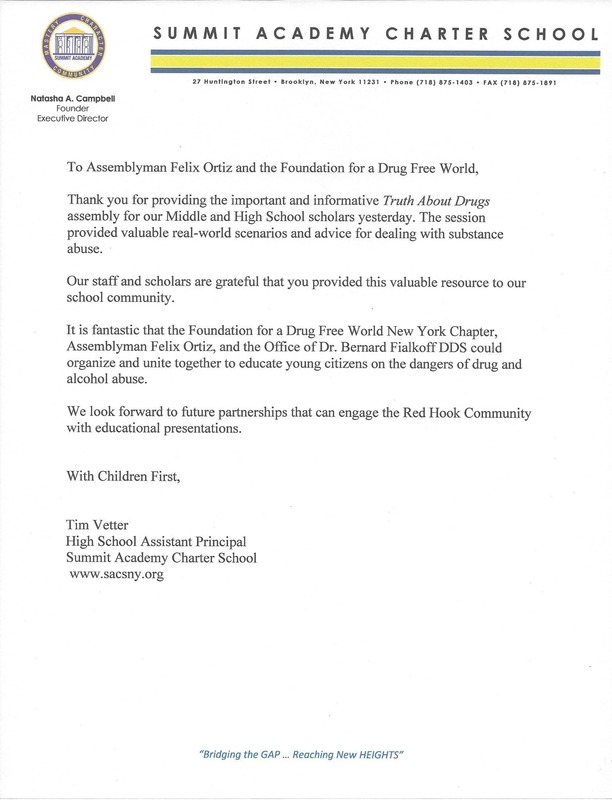 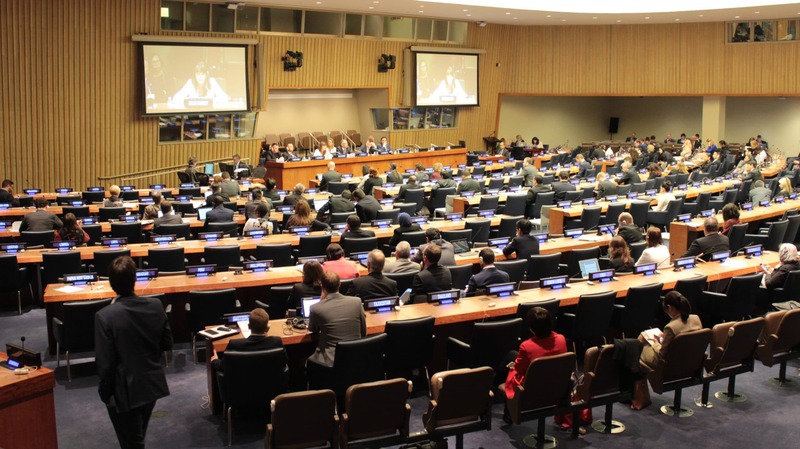 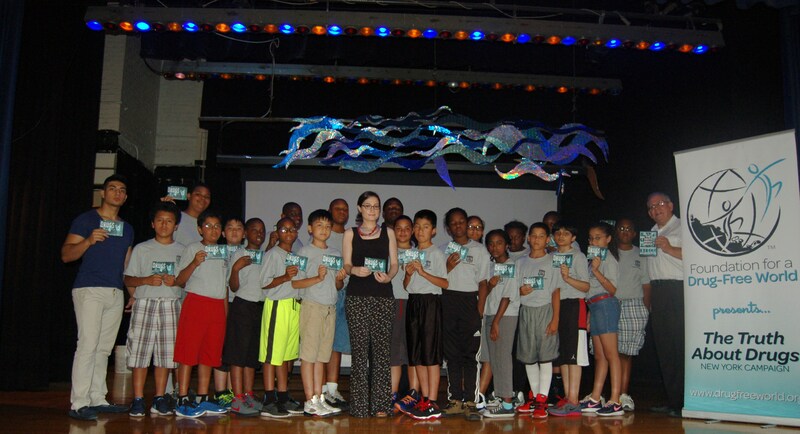 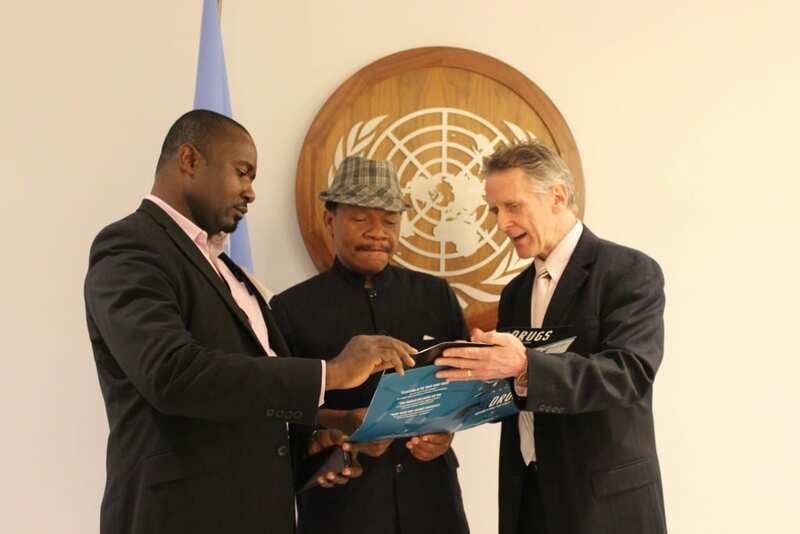 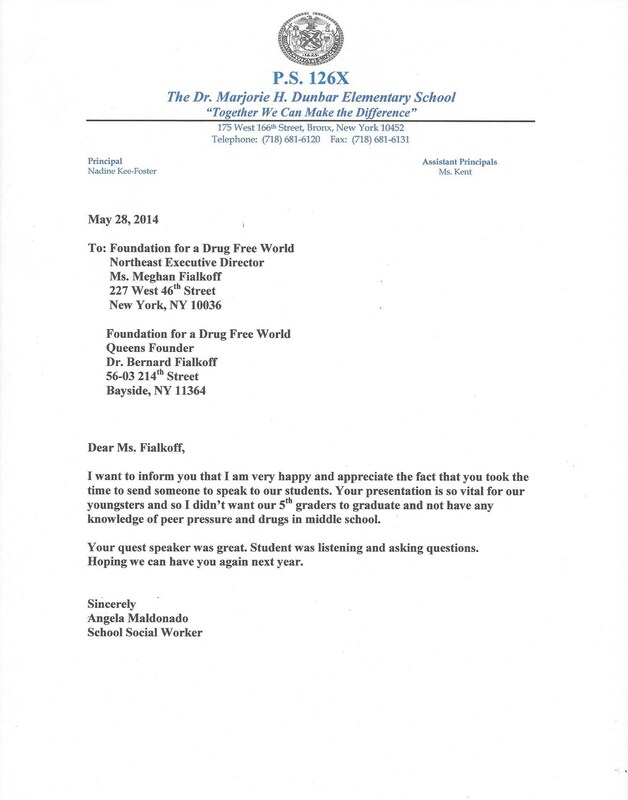 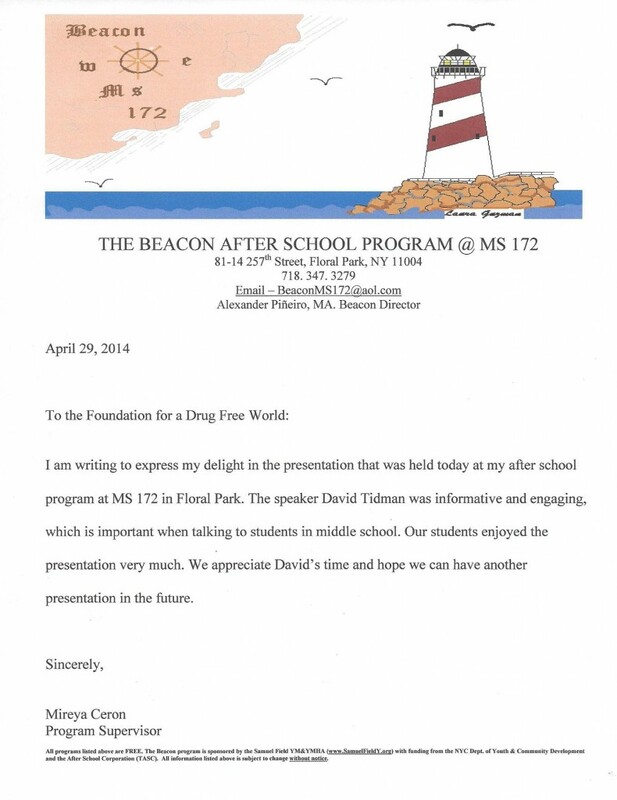 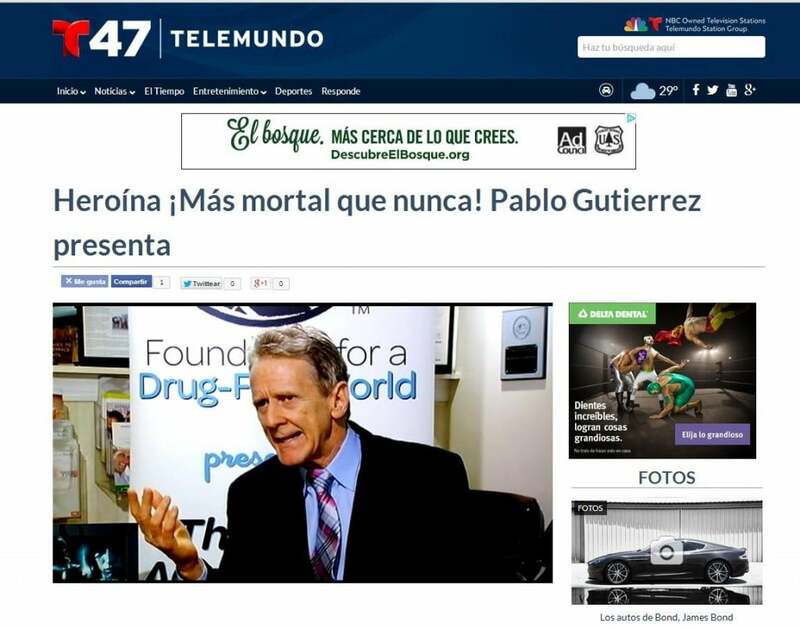 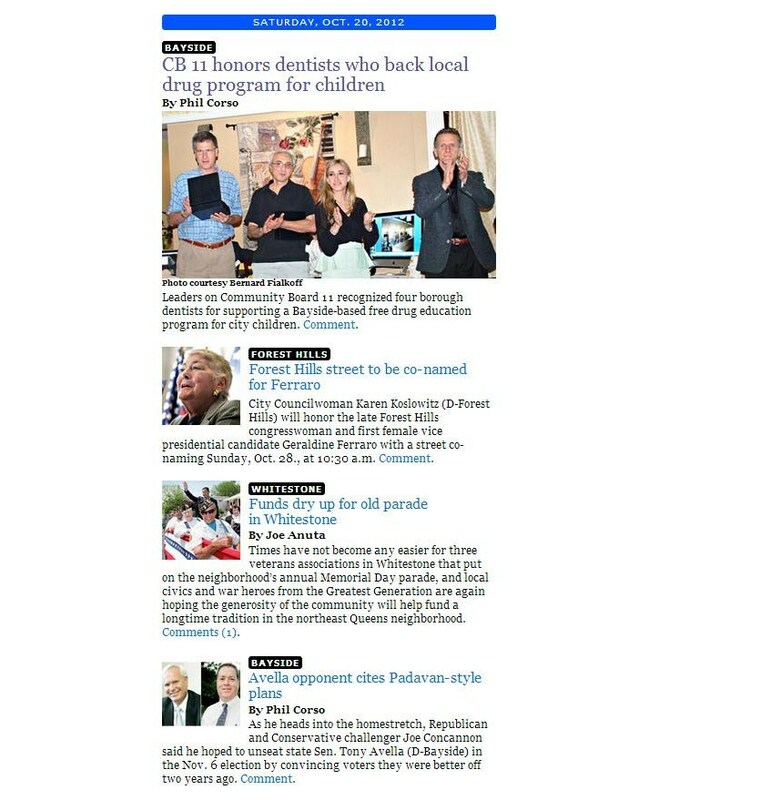 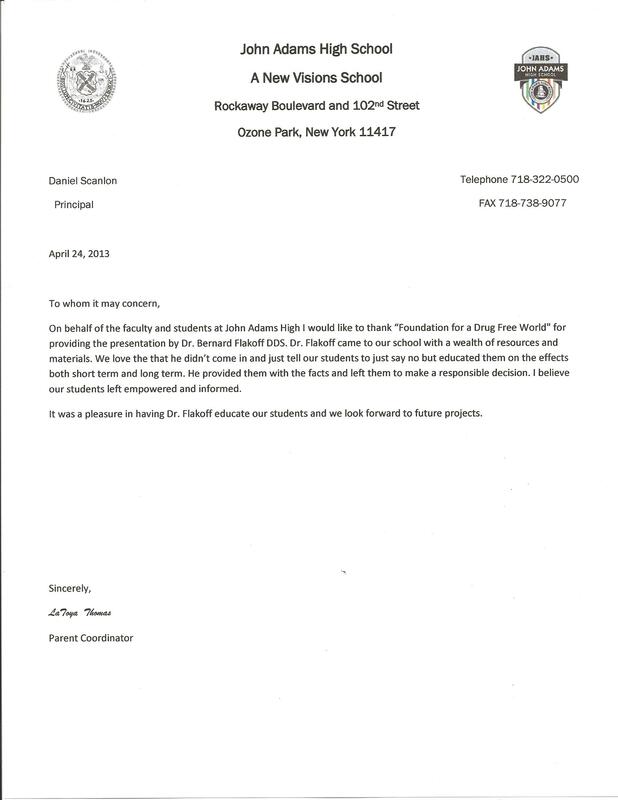 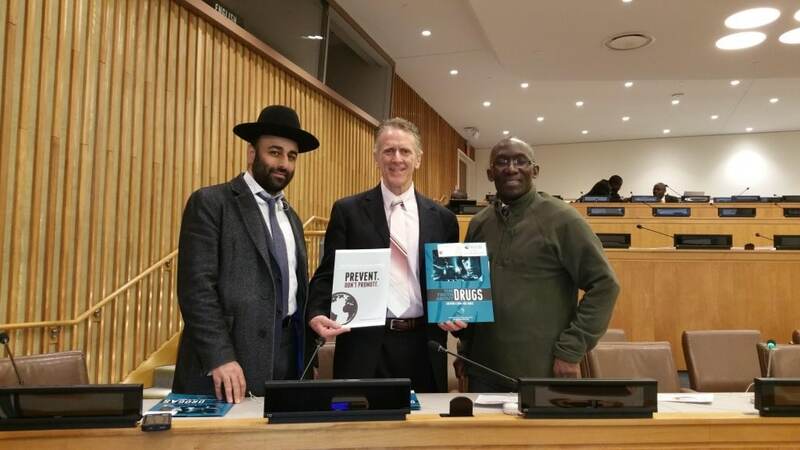 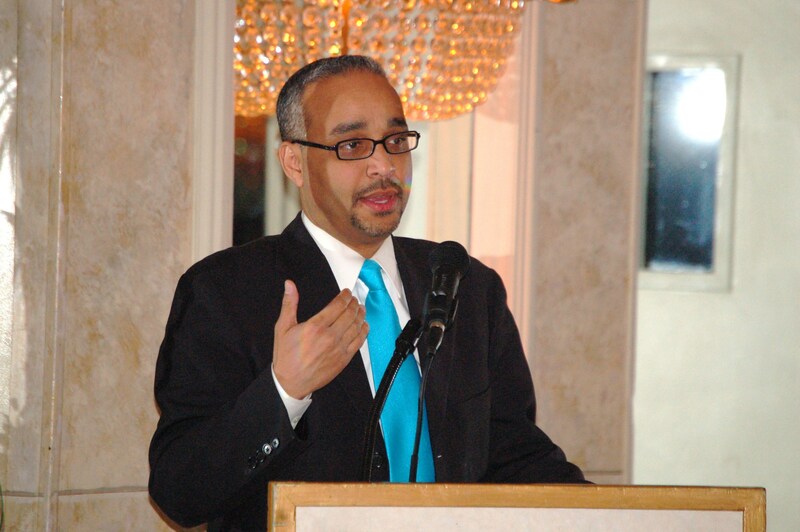 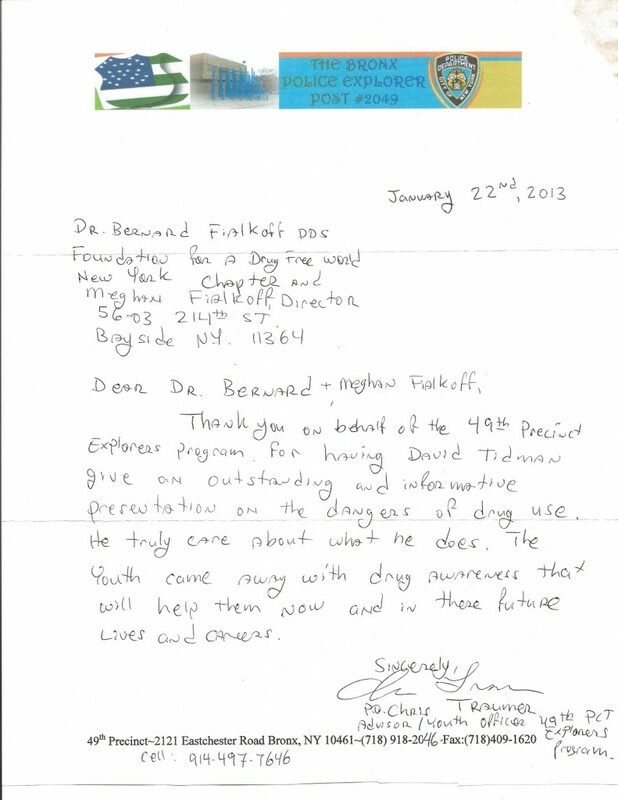 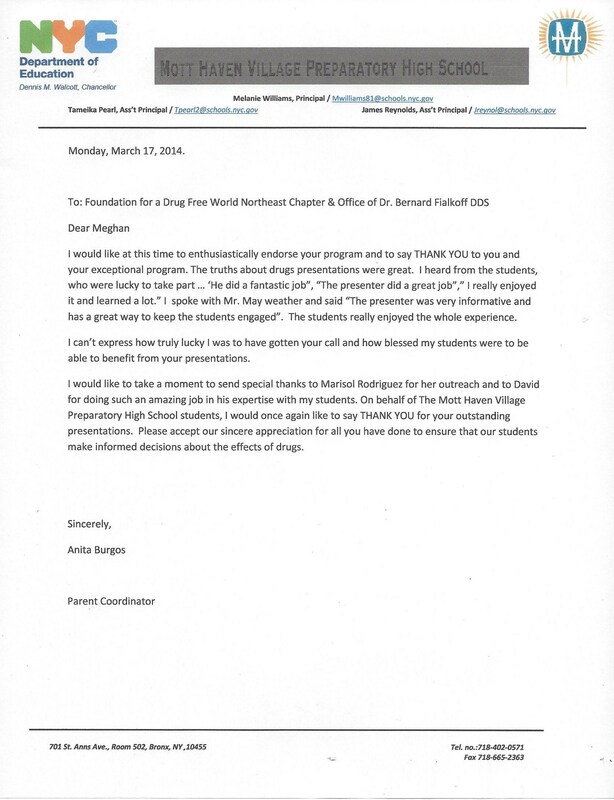 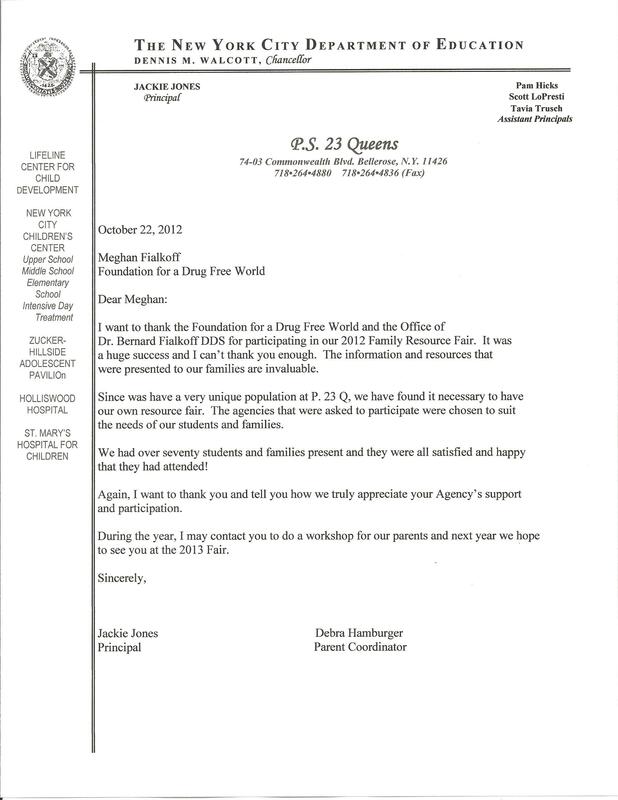 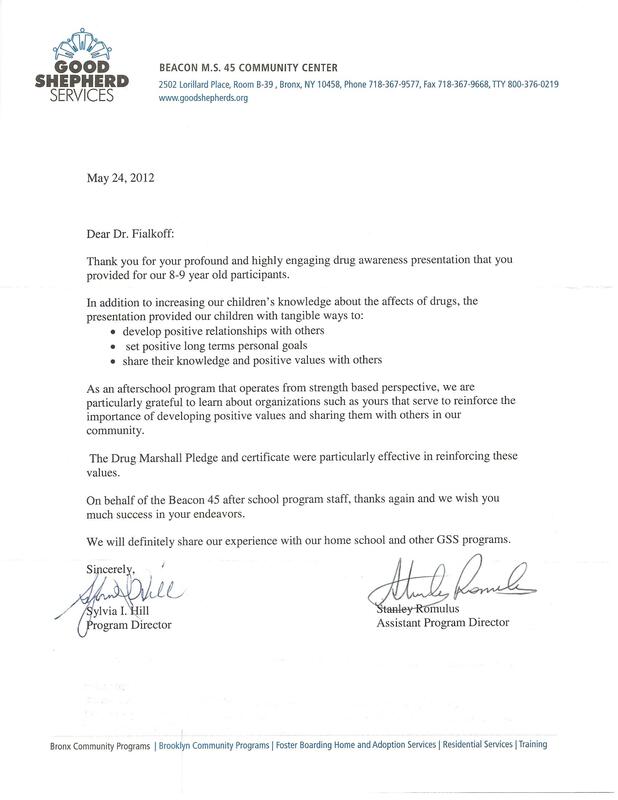 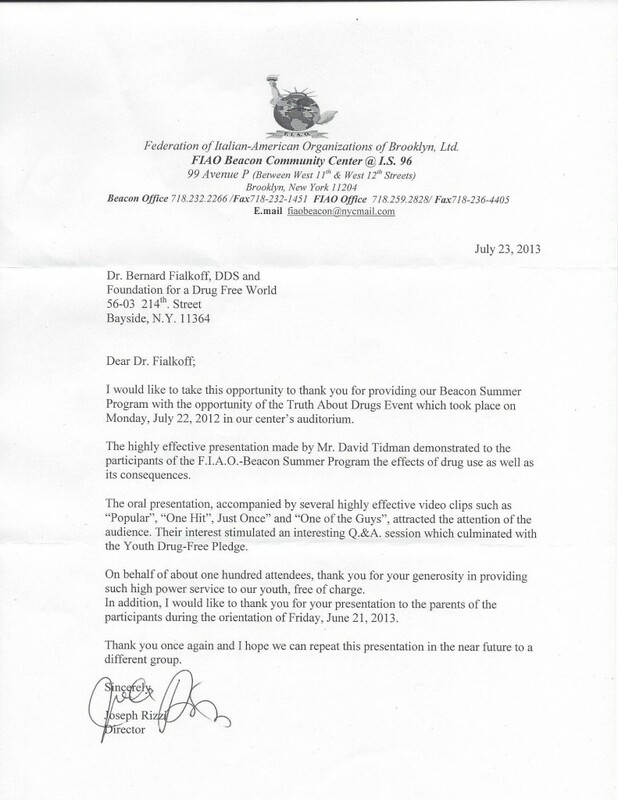 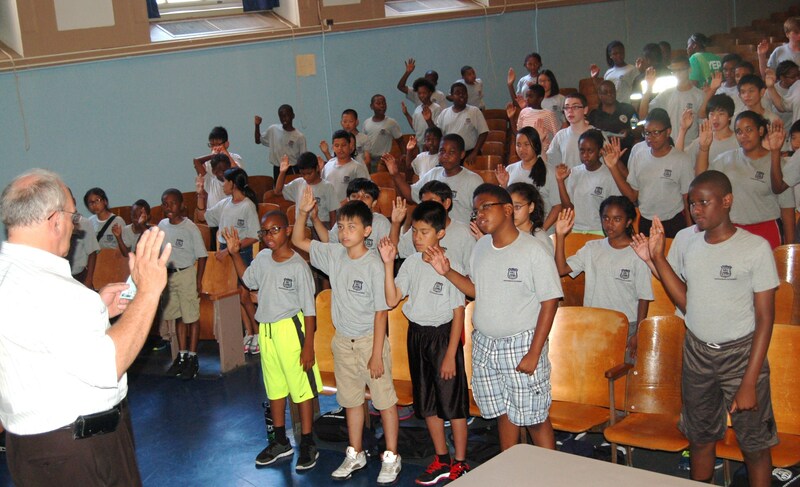 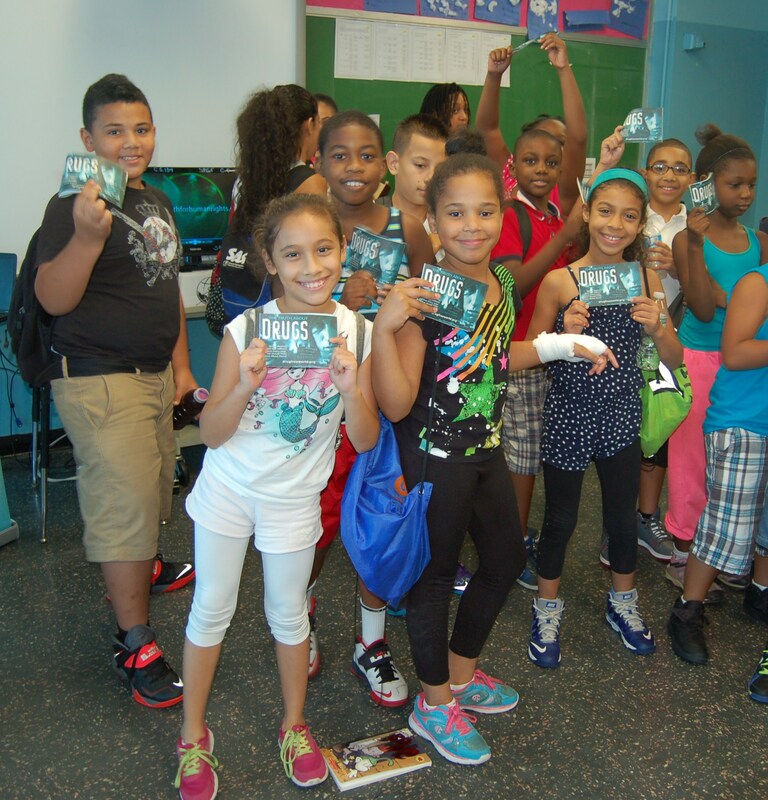 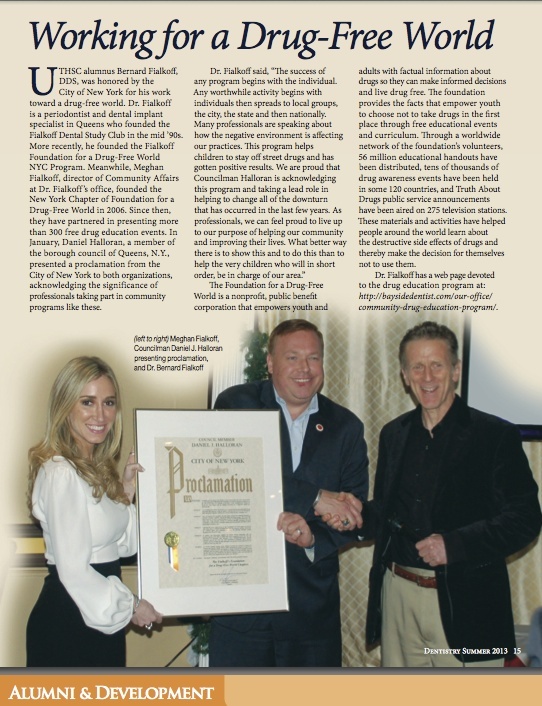 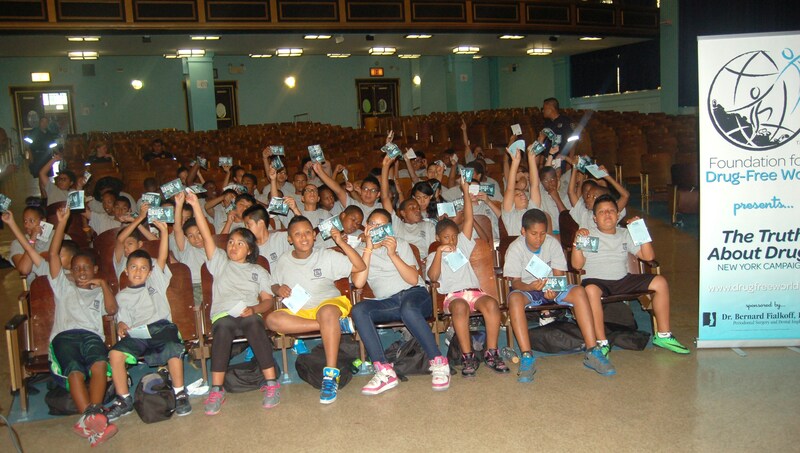 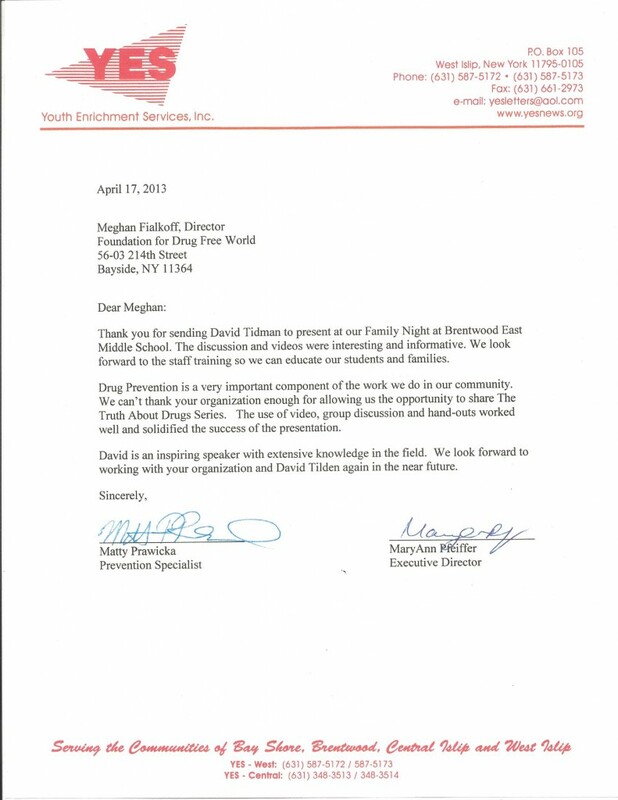 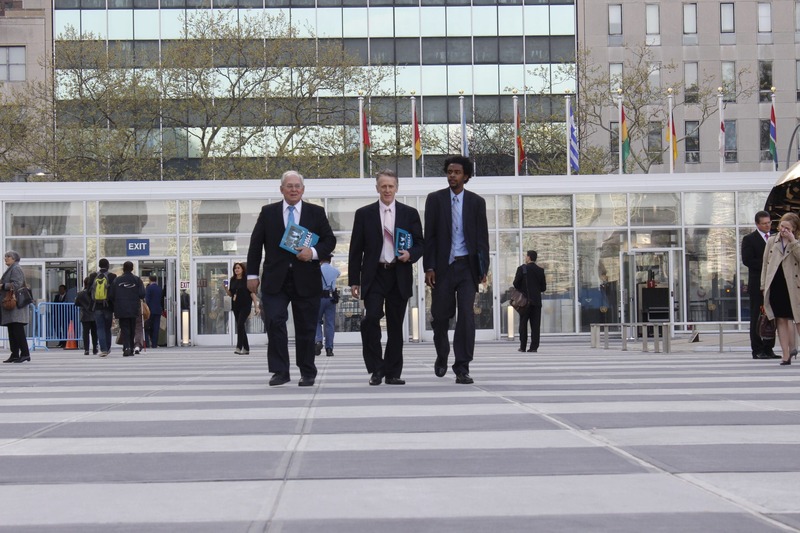 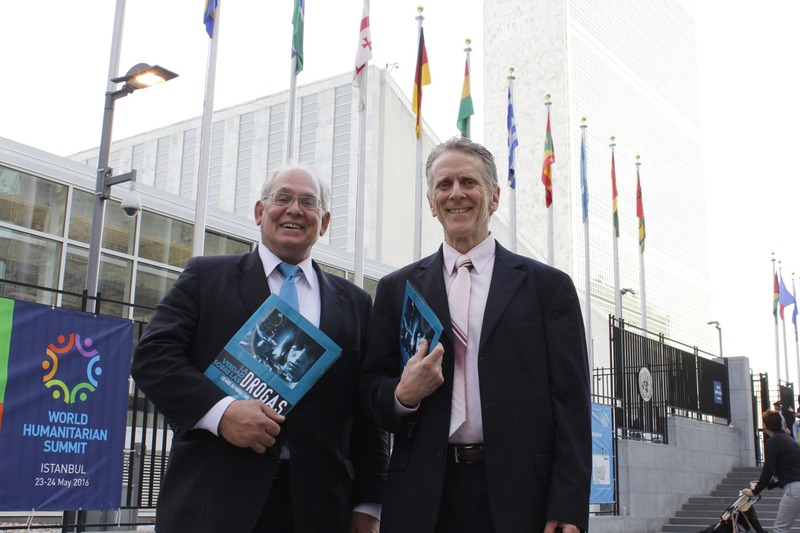 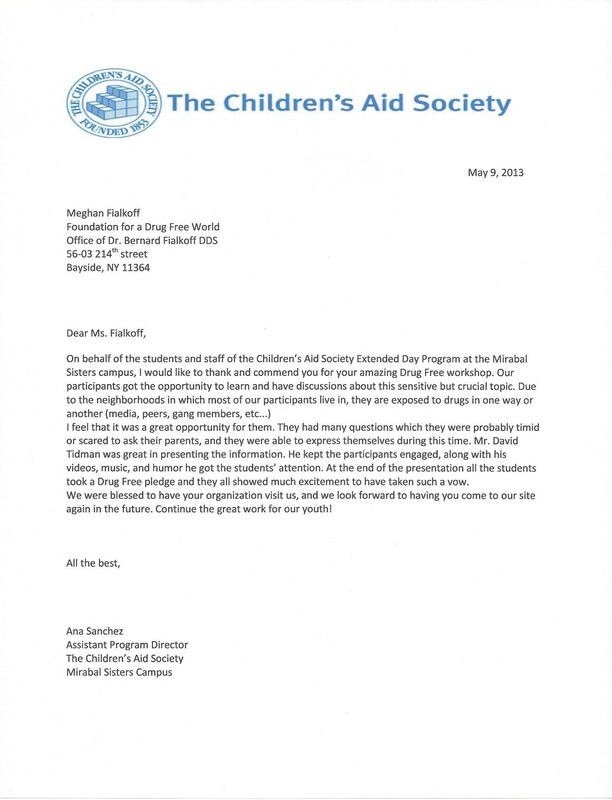 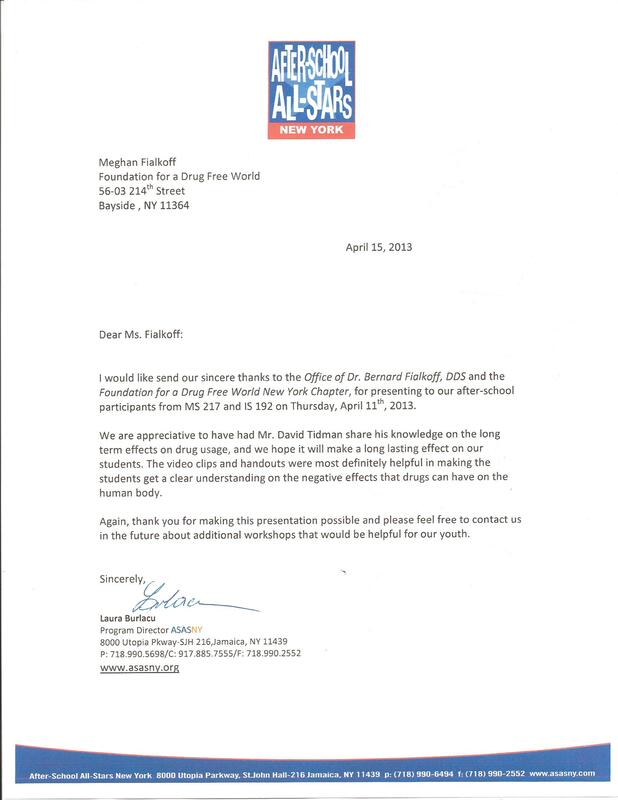 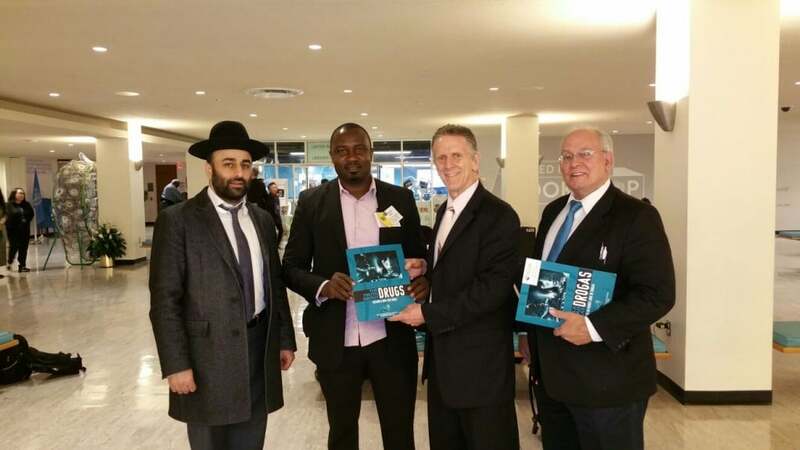 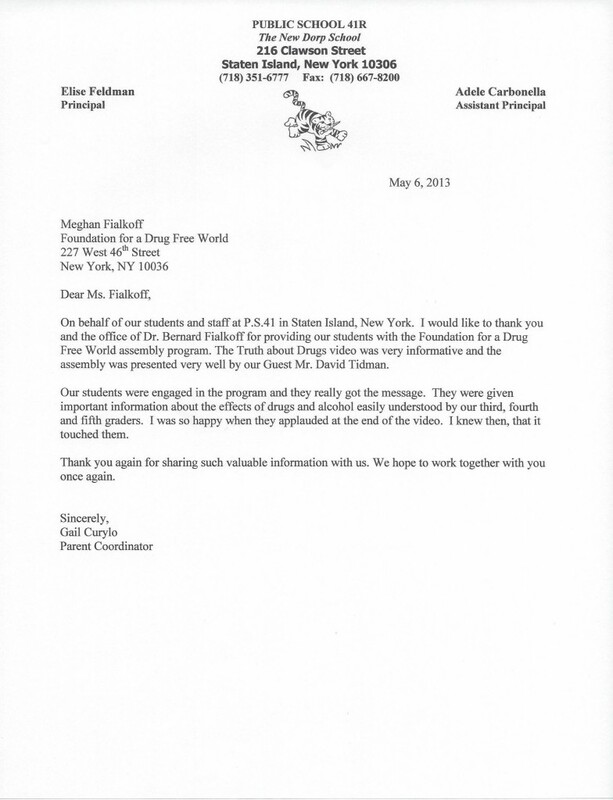 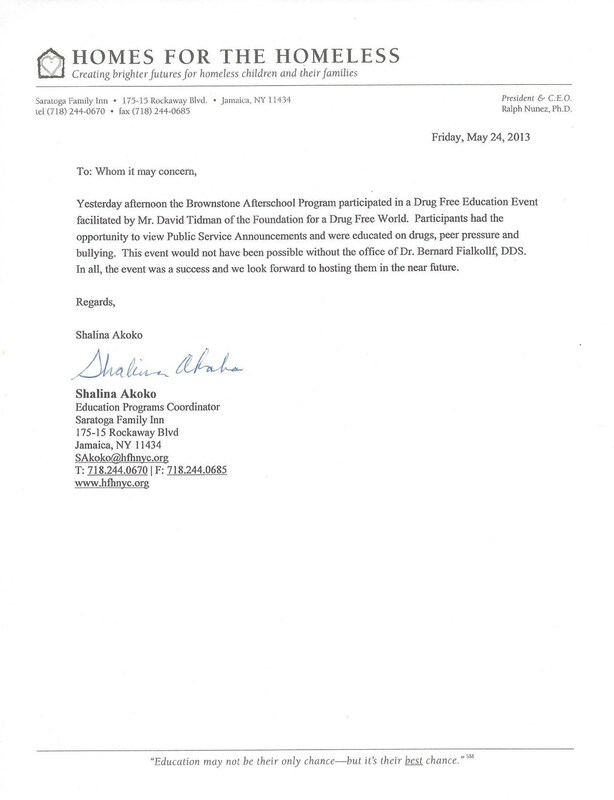 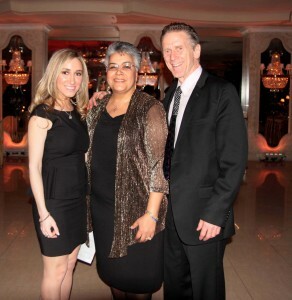 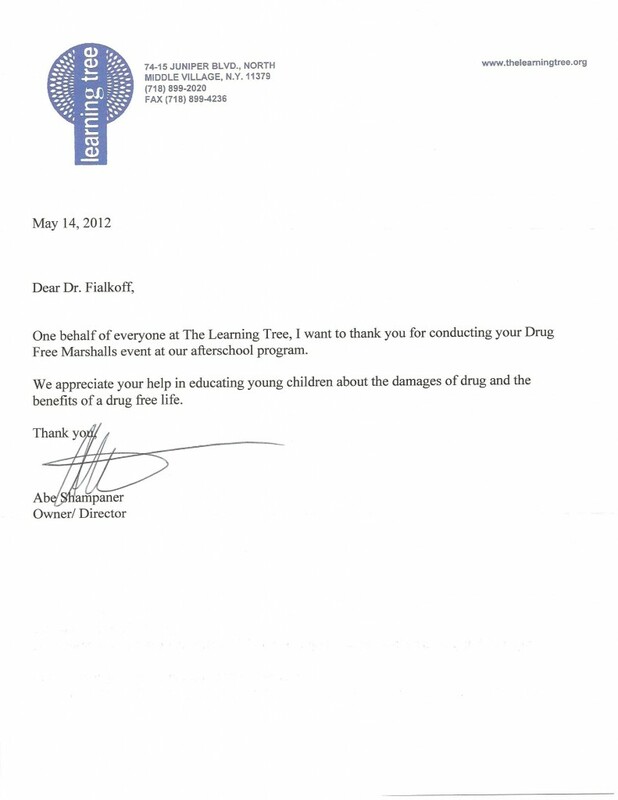 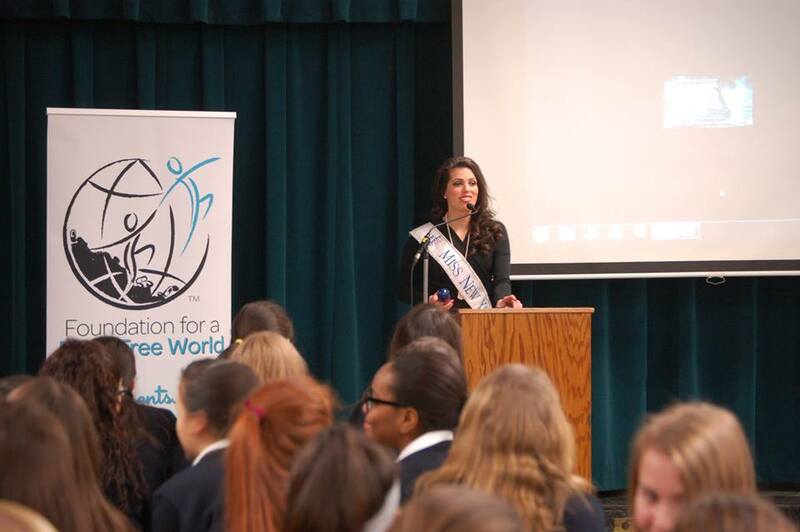 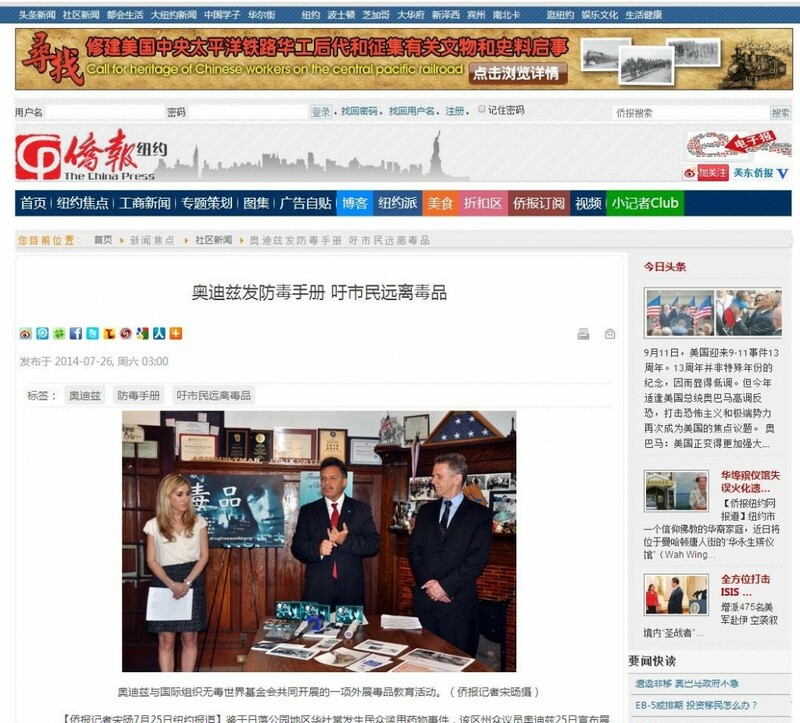 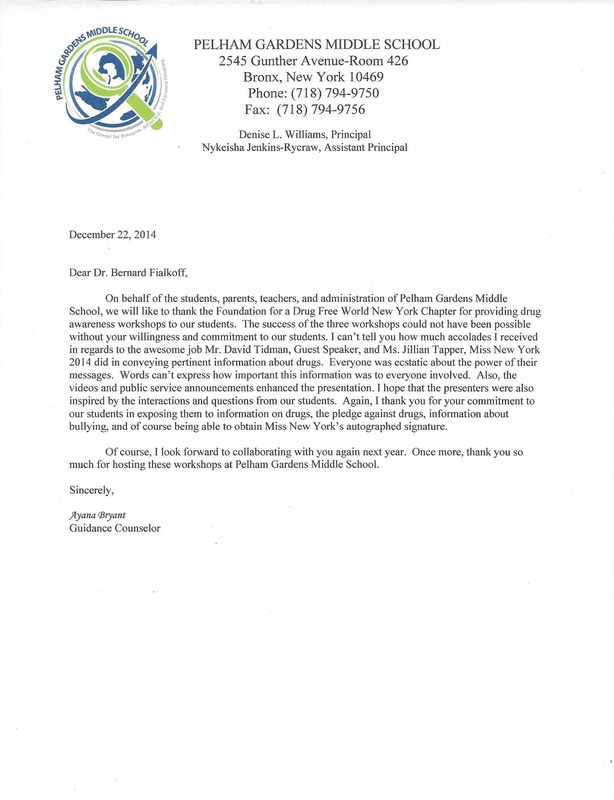 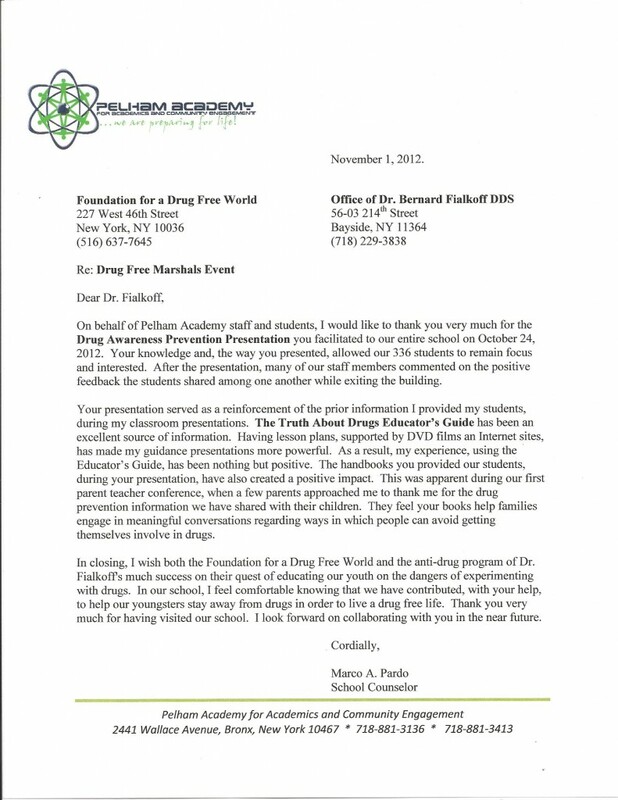 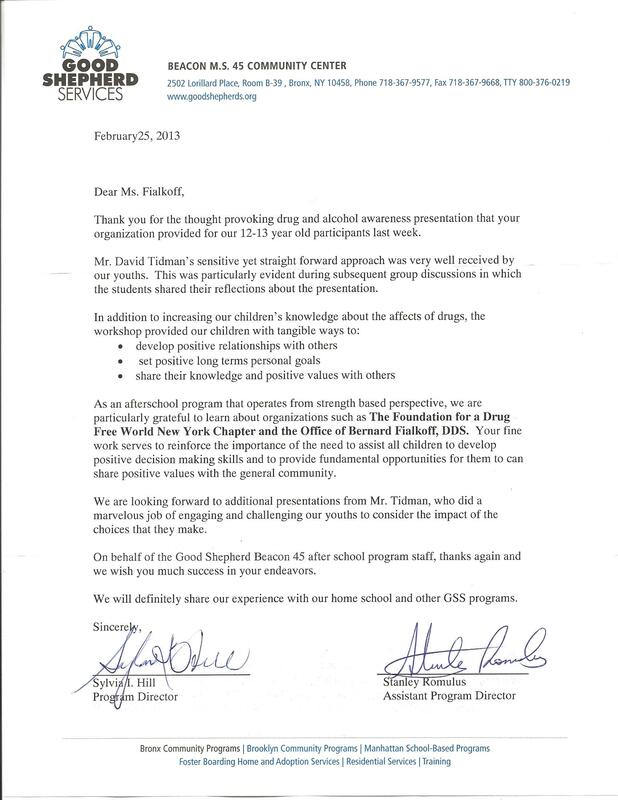 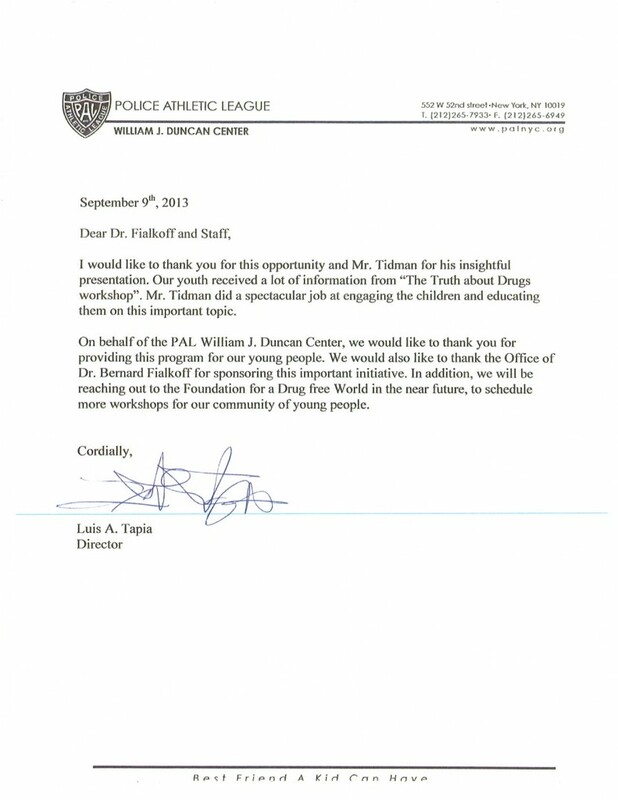 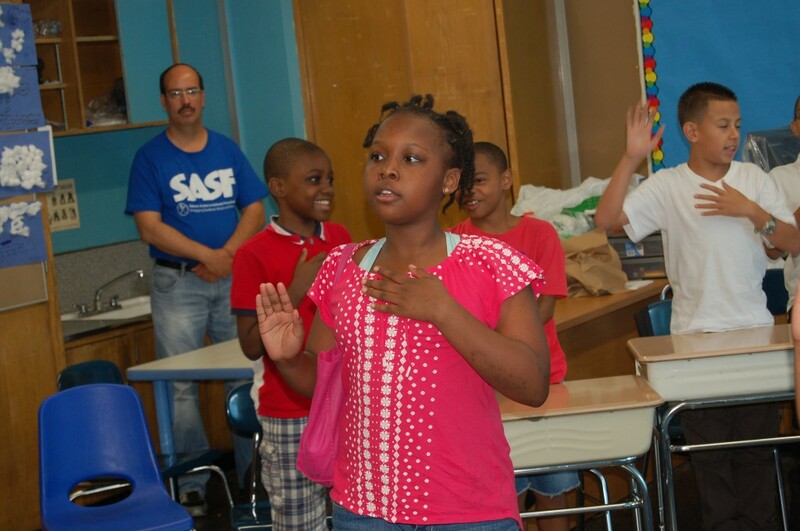 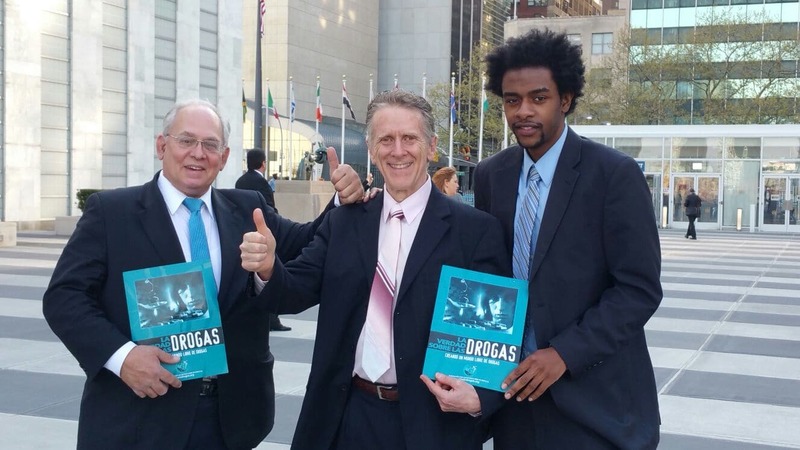 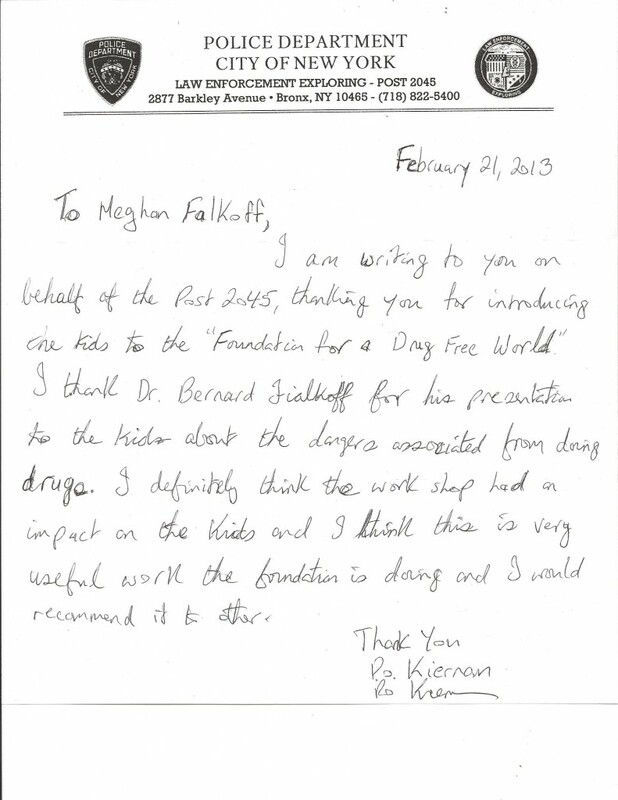 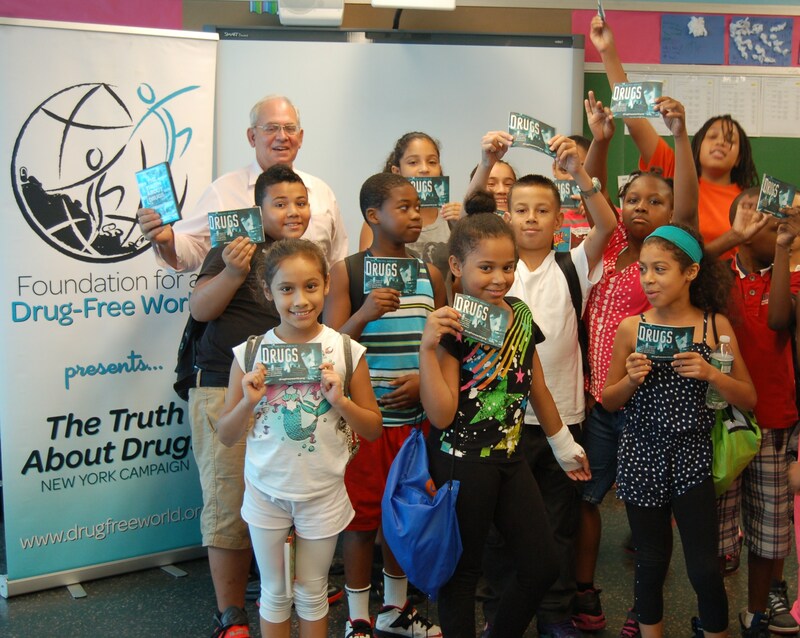 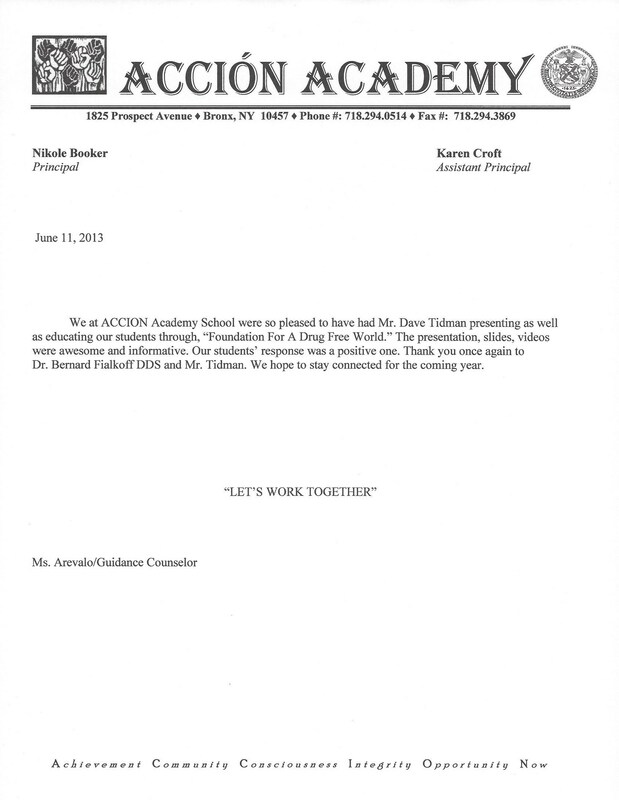 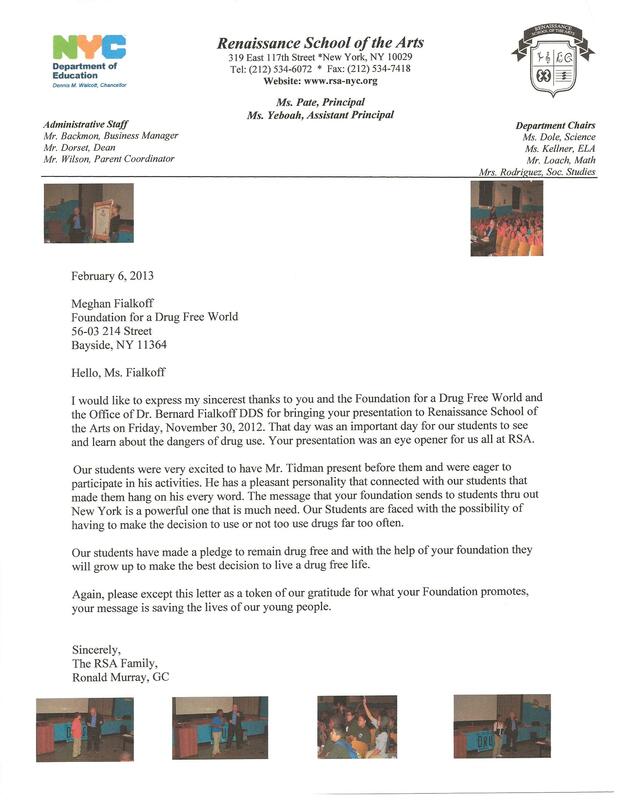 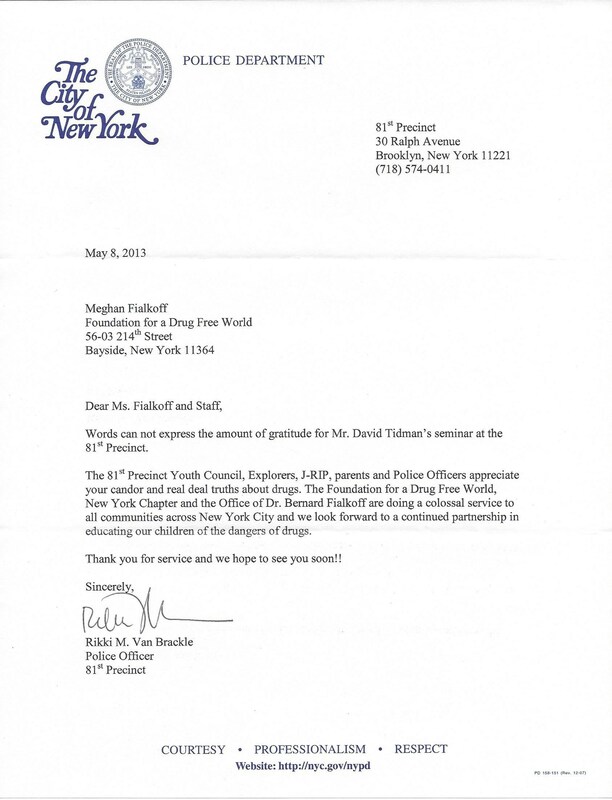 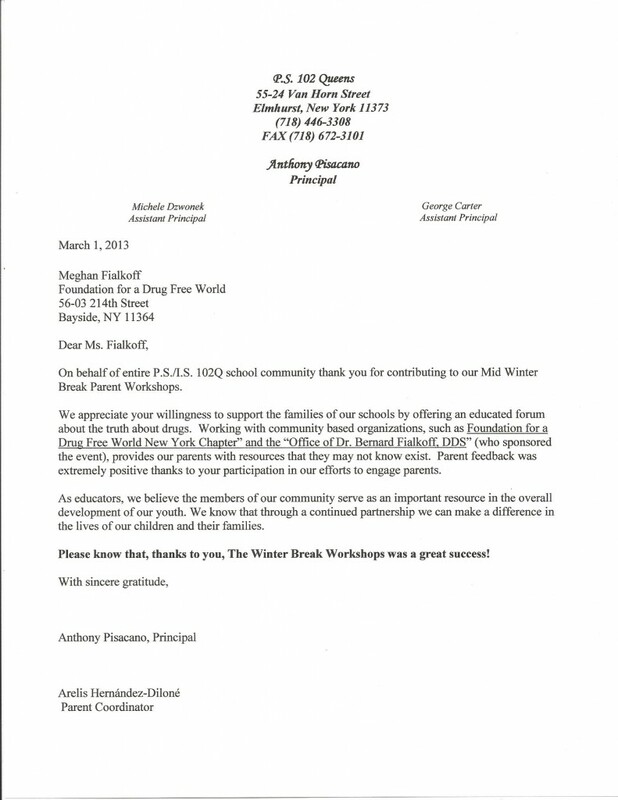 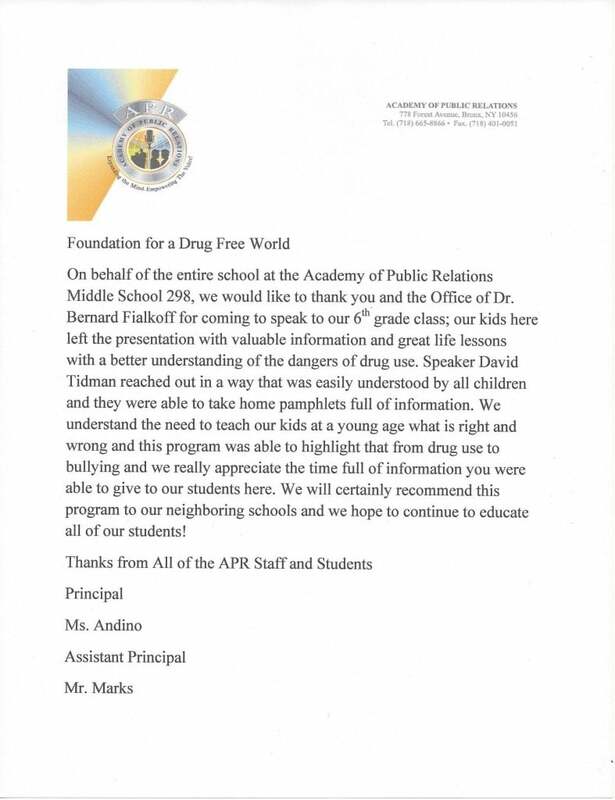 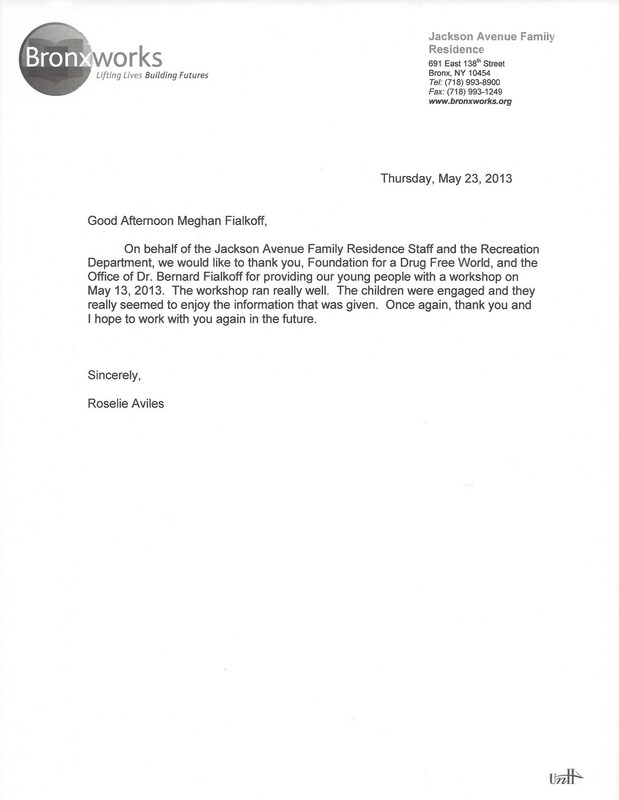 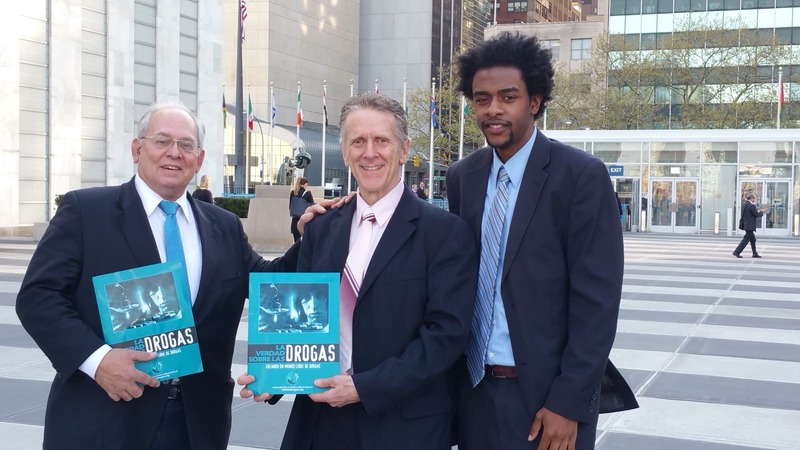 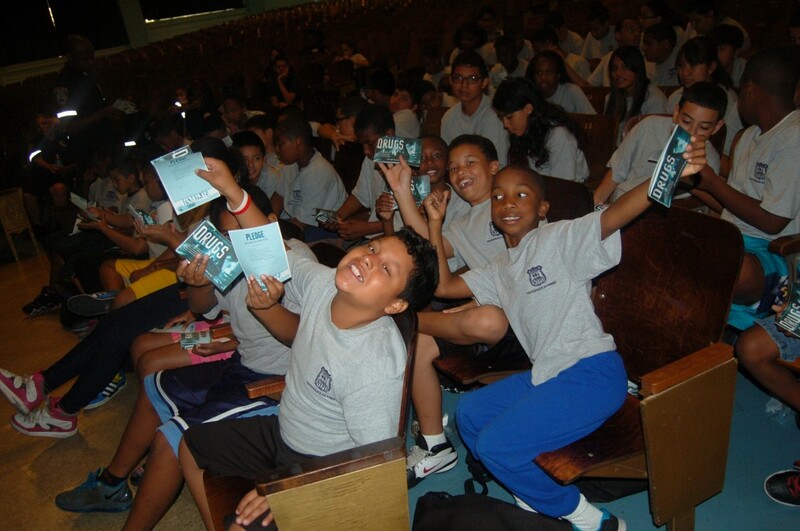 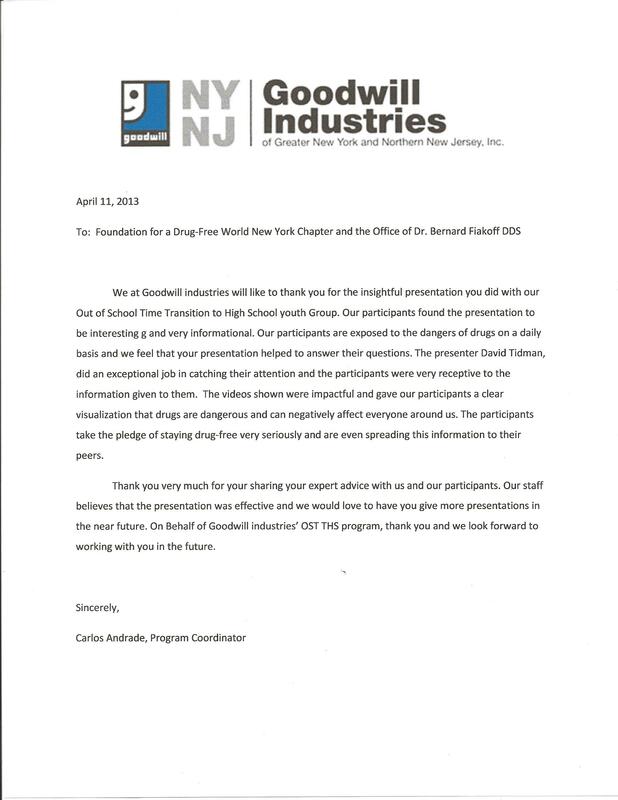 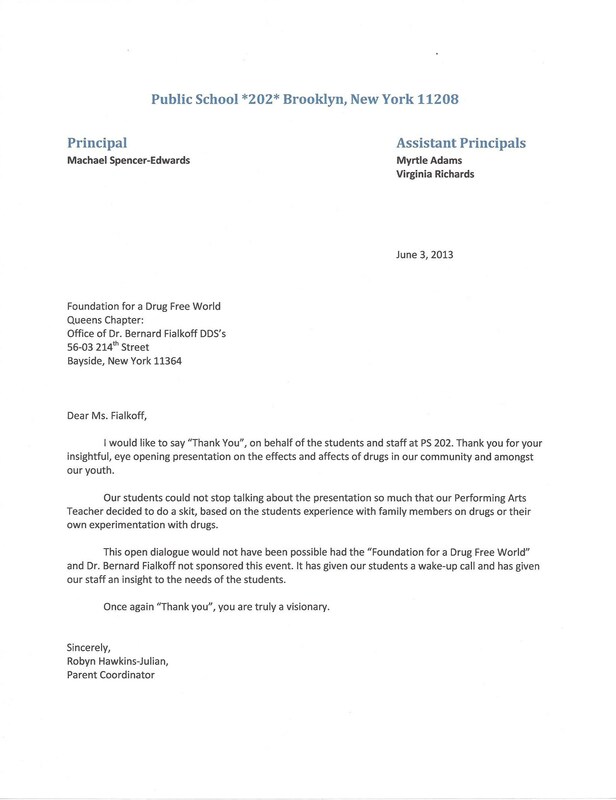 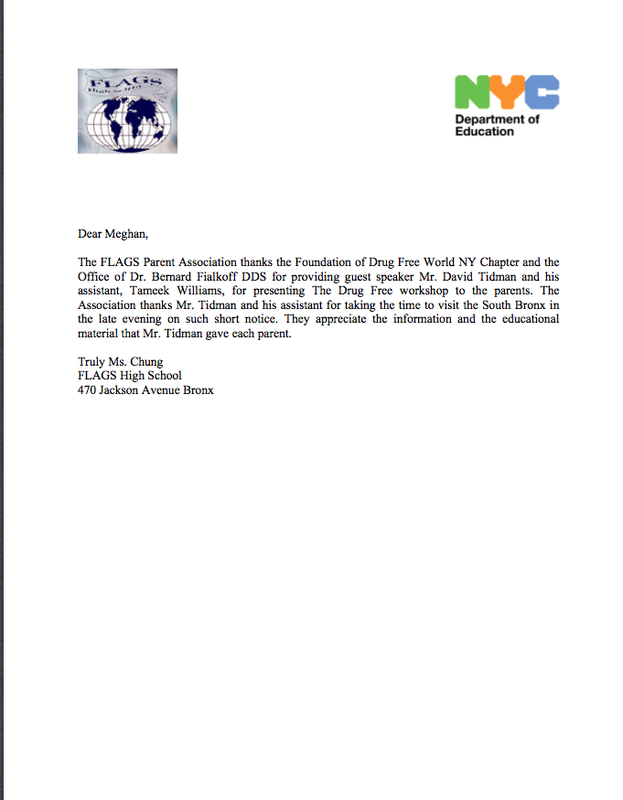 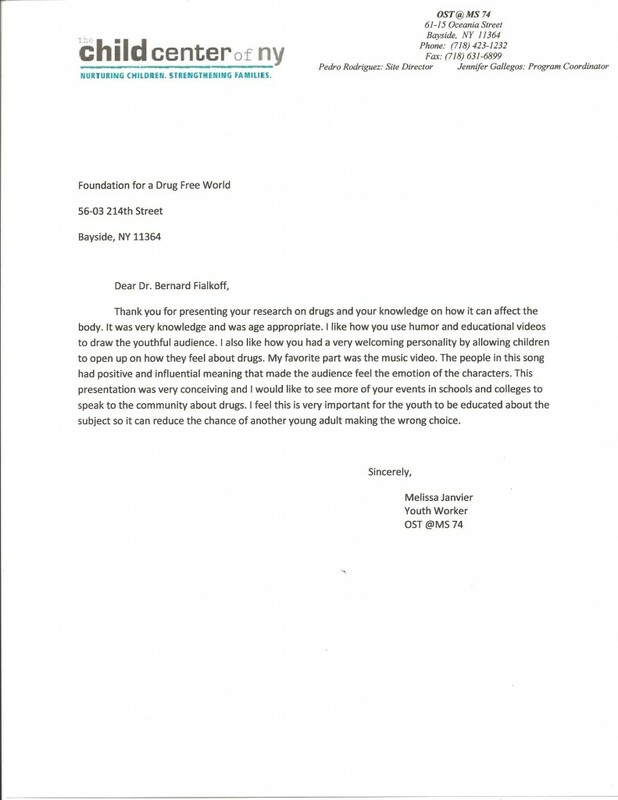 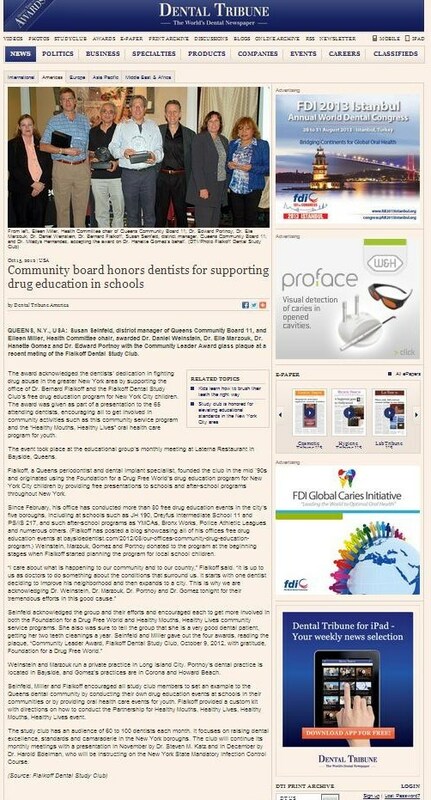 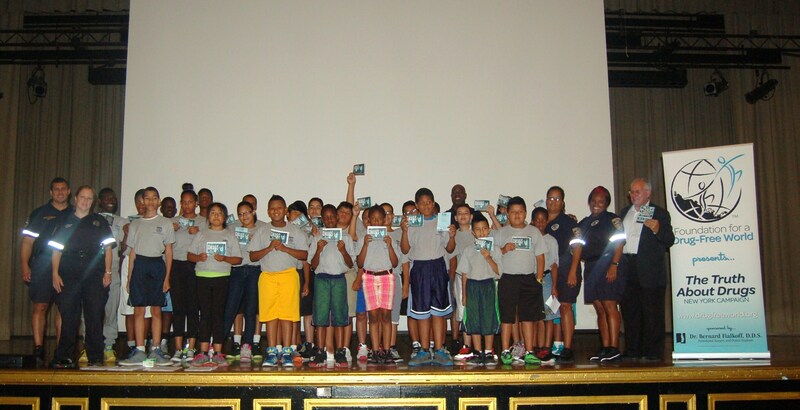 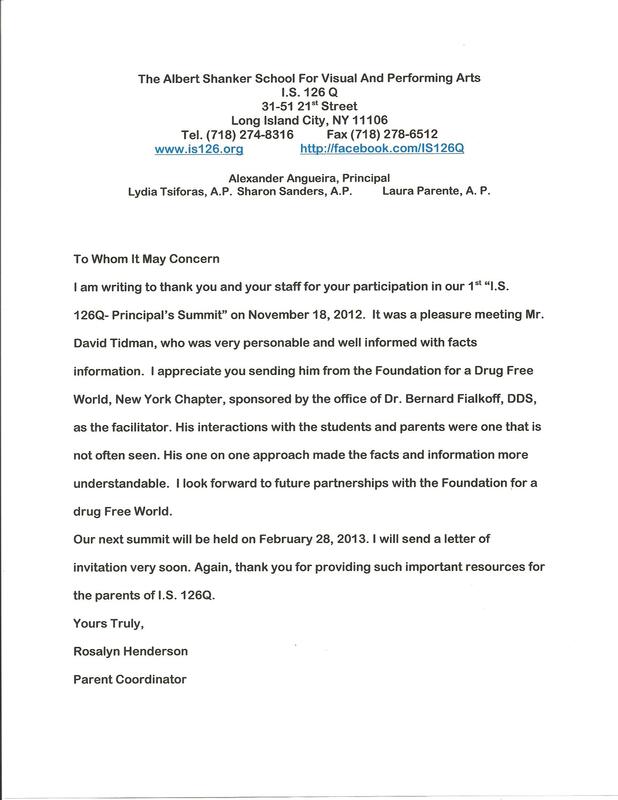 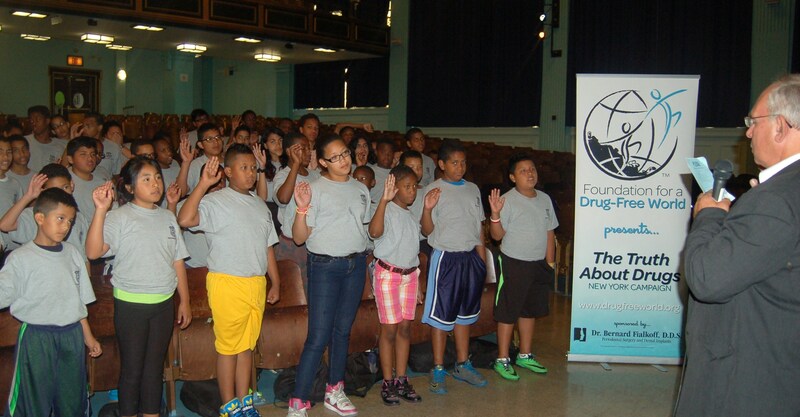 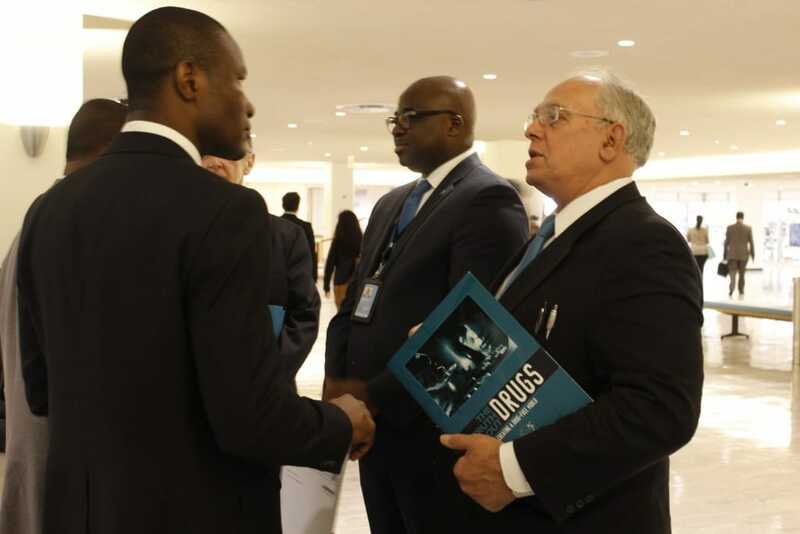 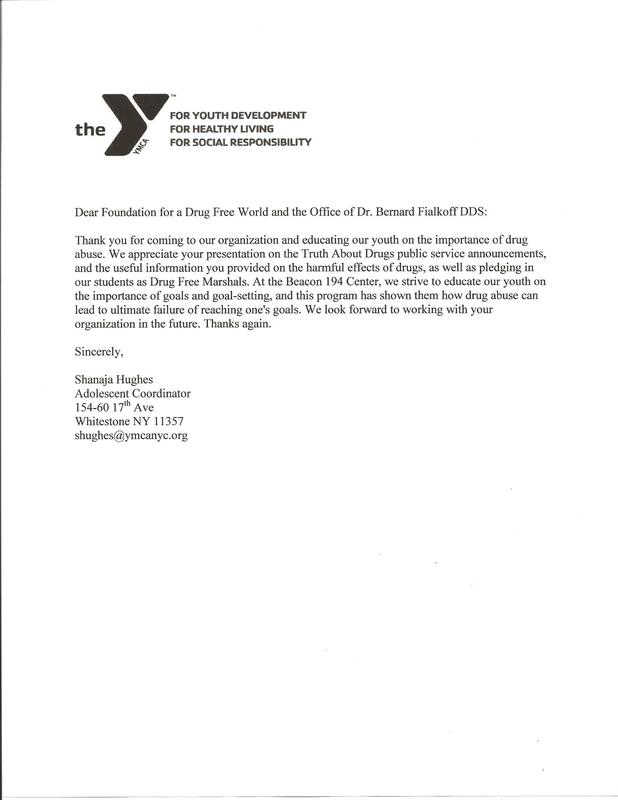 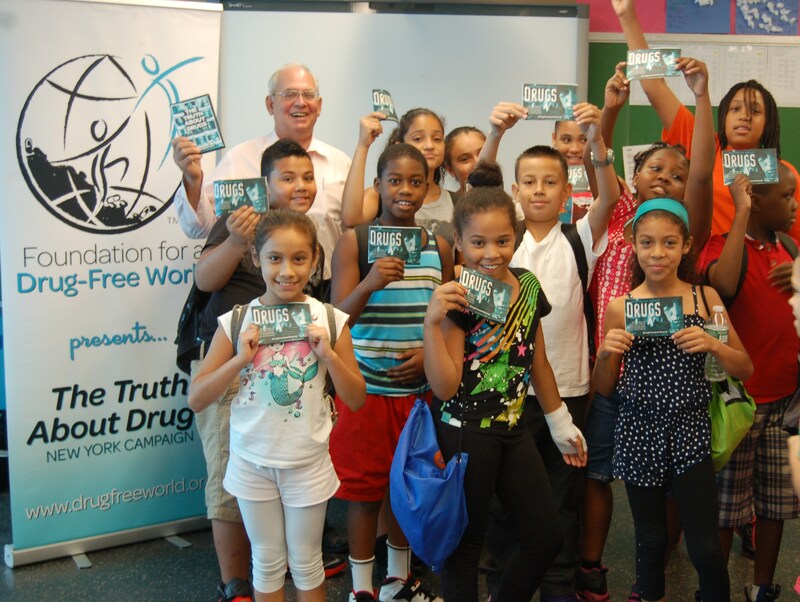 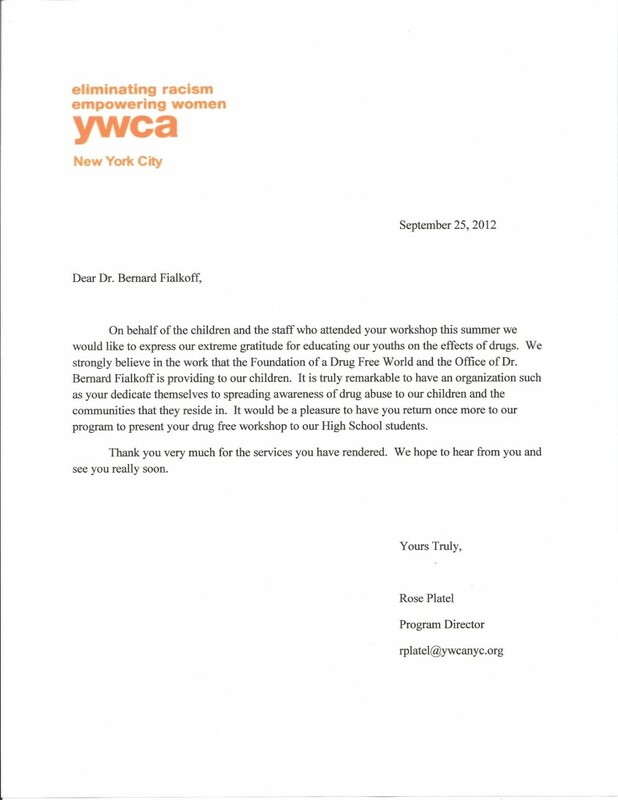 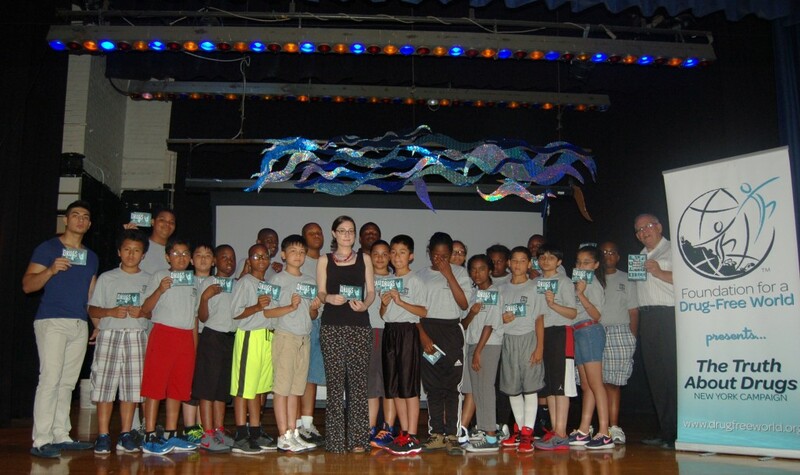 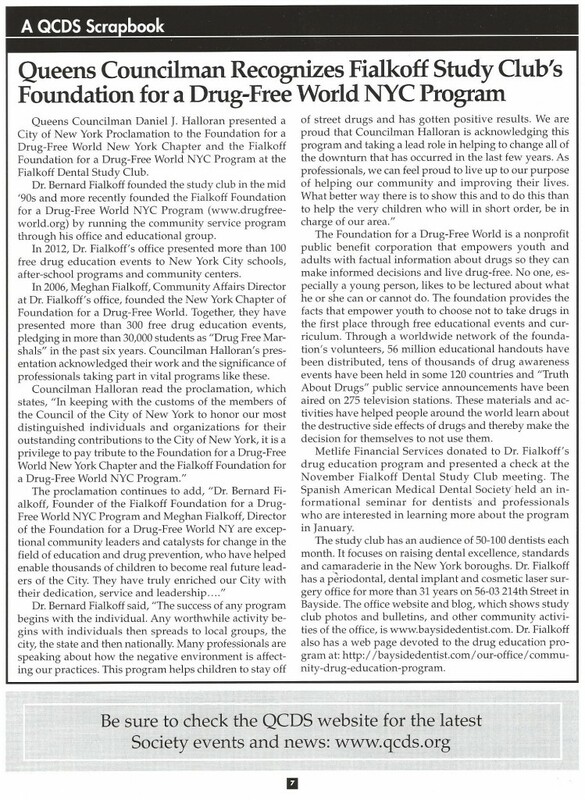 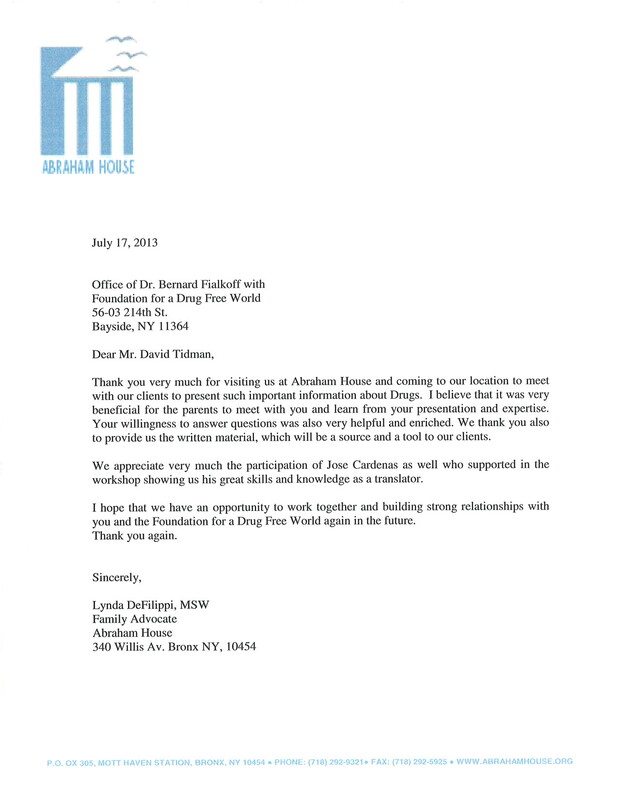 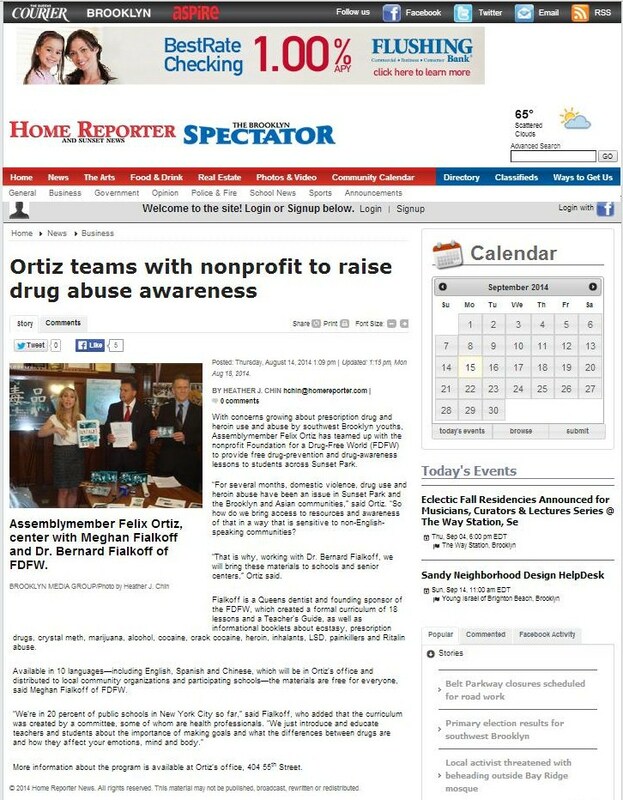 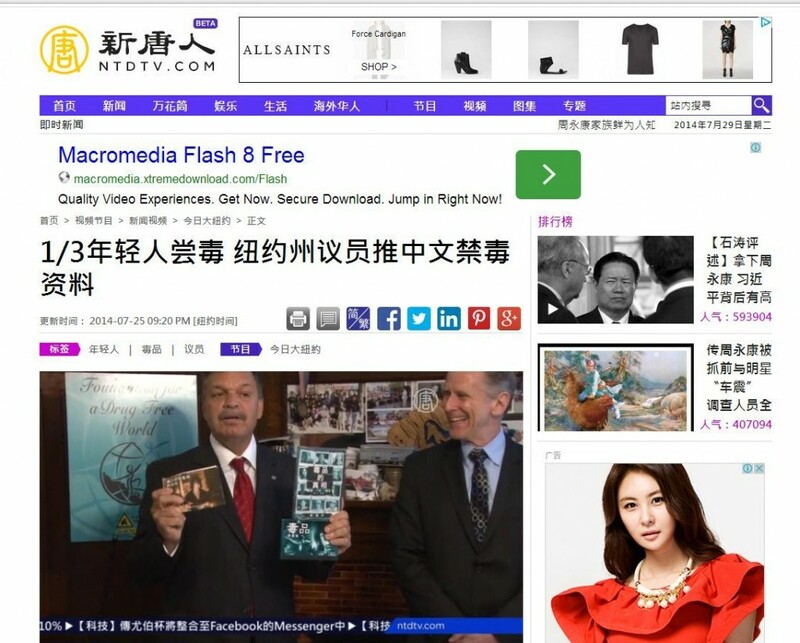 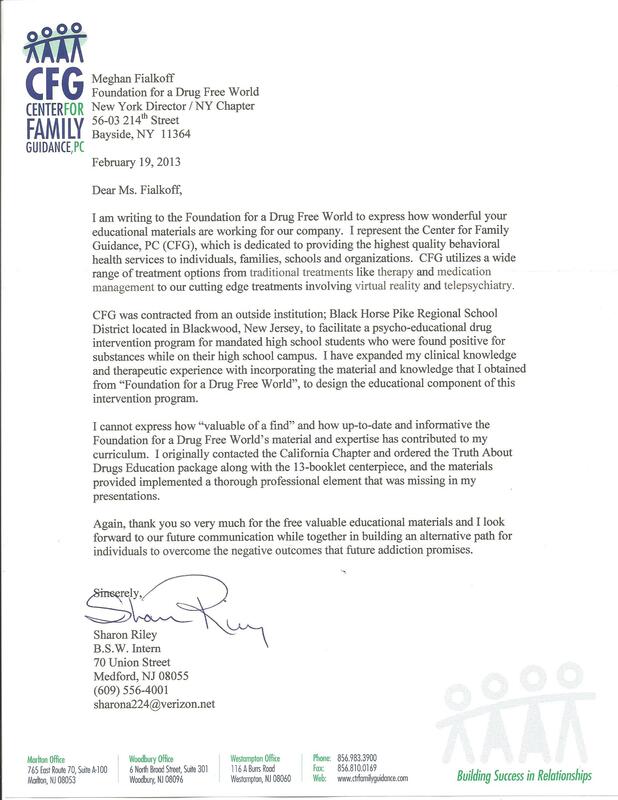 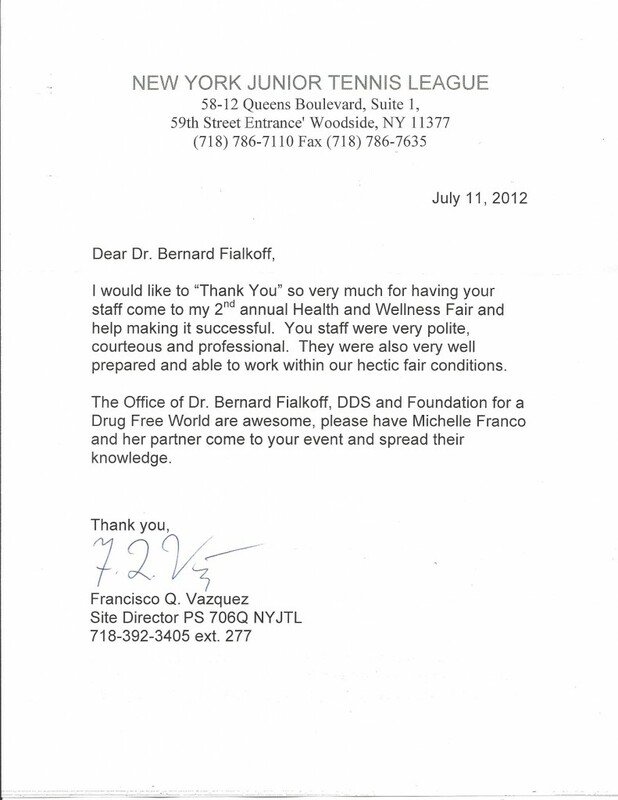 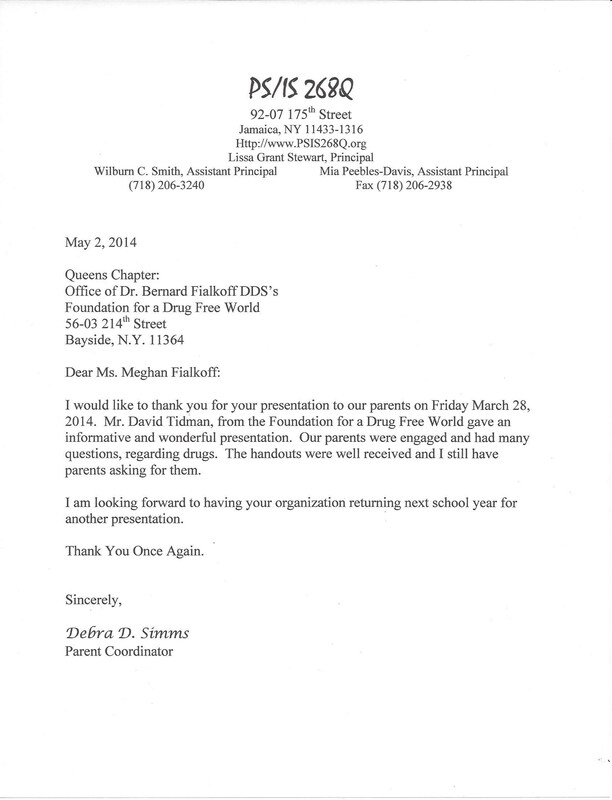 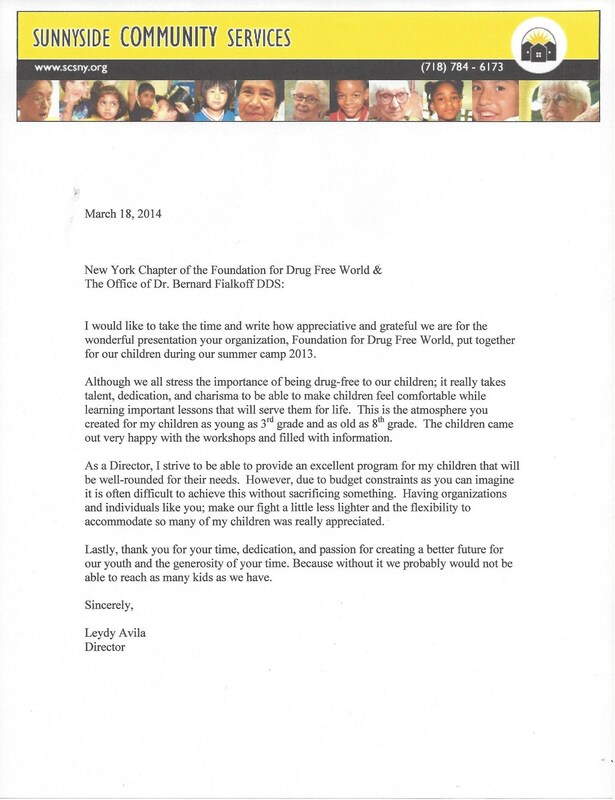 Dr. Fialkoff founded the Queens Chapter of the foundation and since 2012, has conducted more than 600 free drug education and awareness events at schools, after-school programs and community centers throughout Queens, New York City, Long Island, Yonkers and New Jersey. 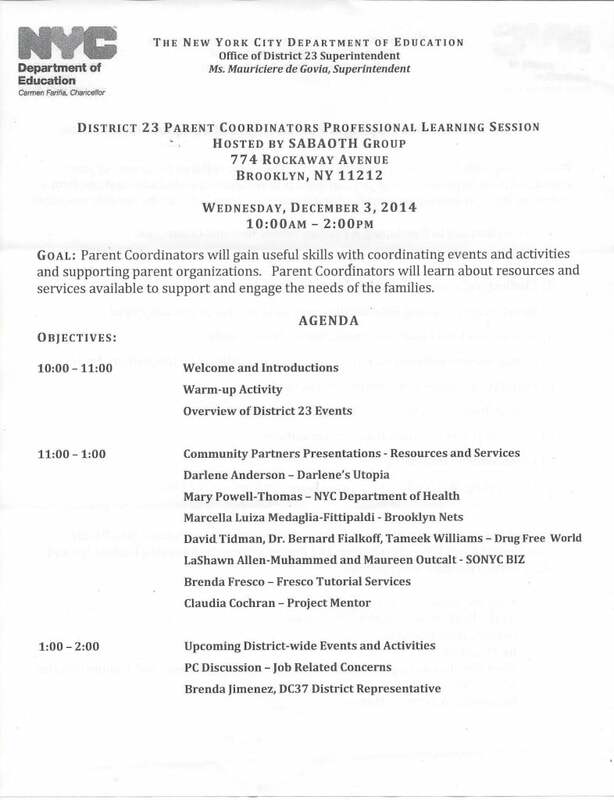 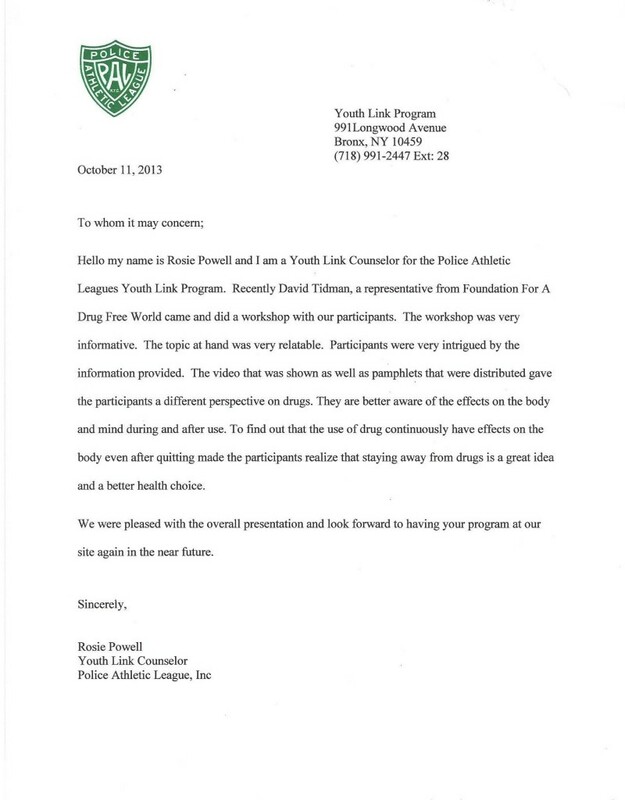 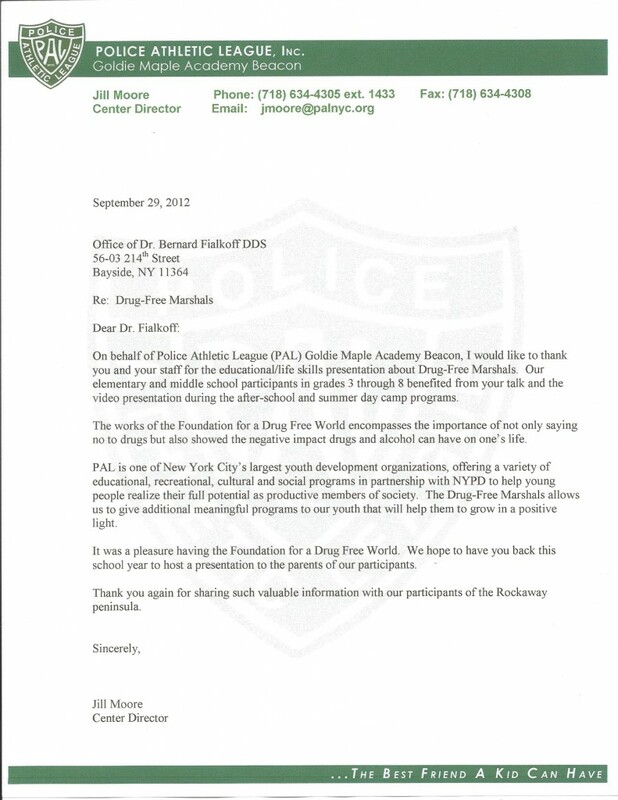 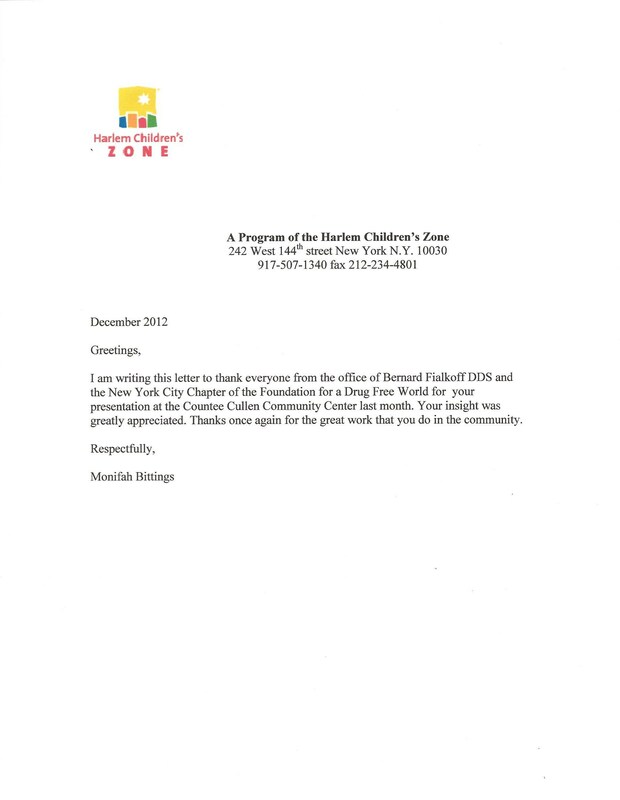 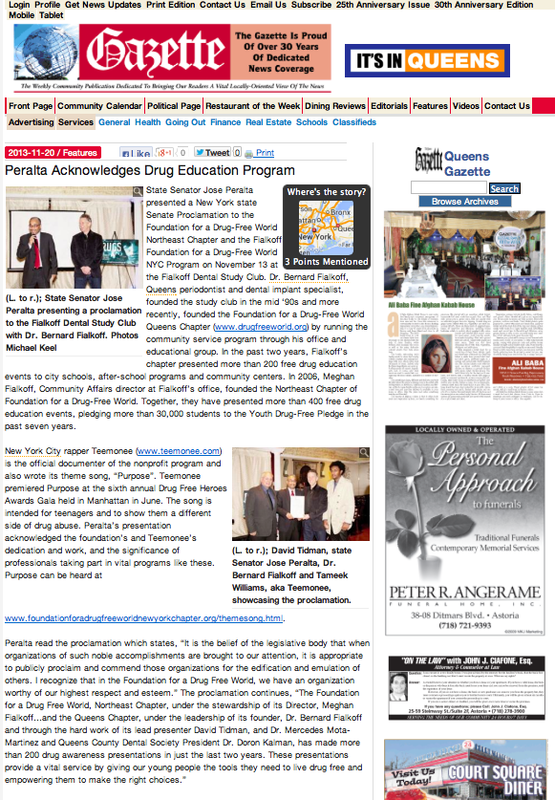 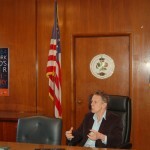 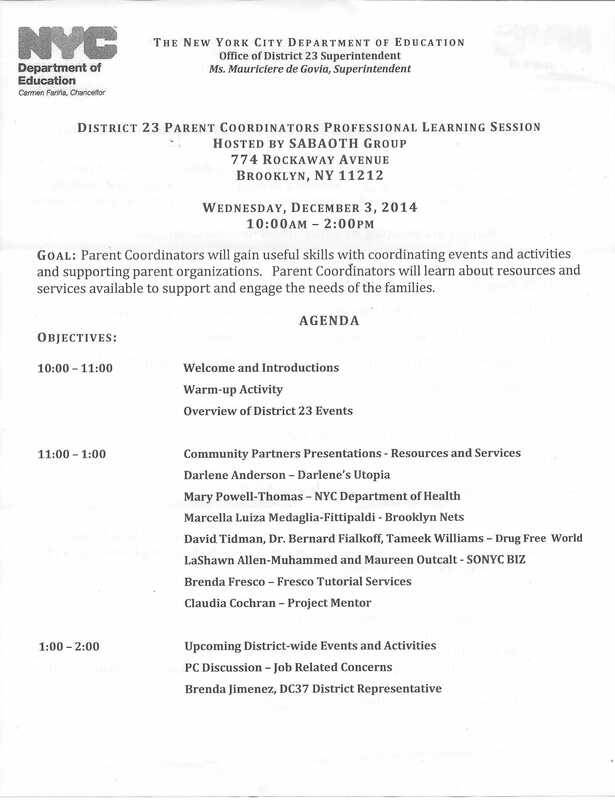 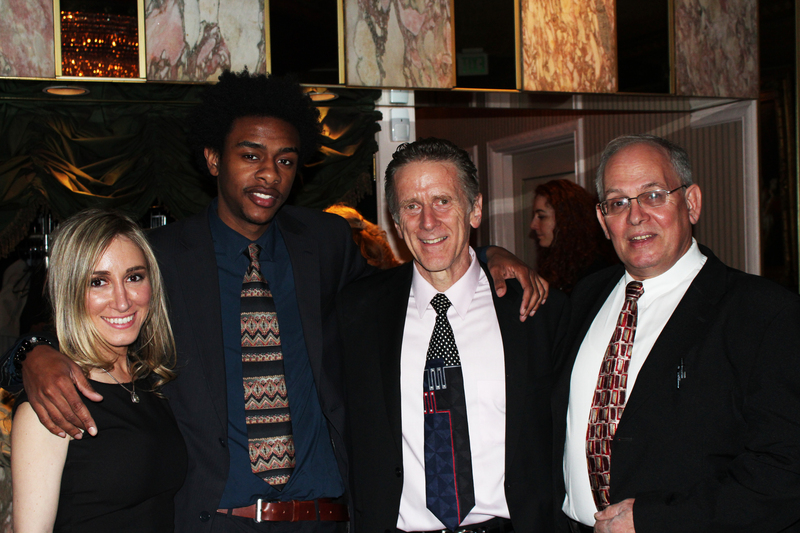 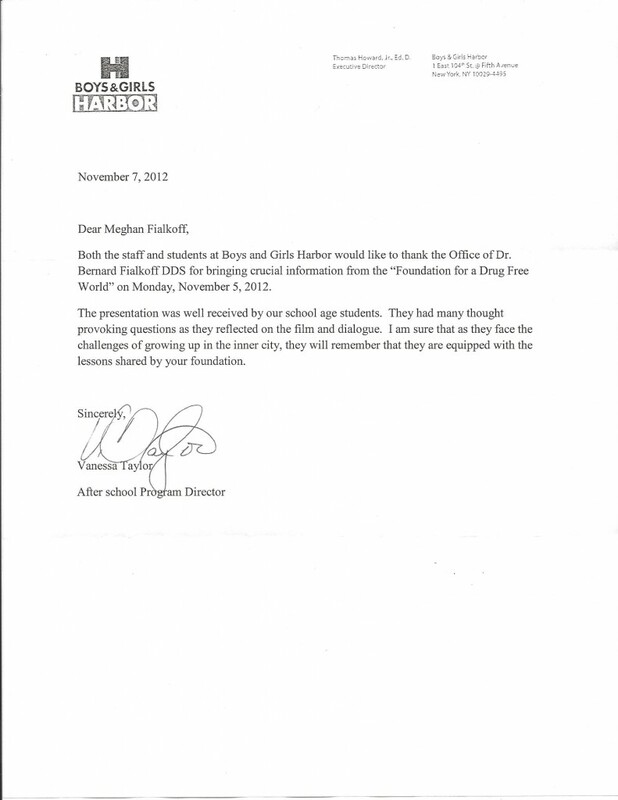 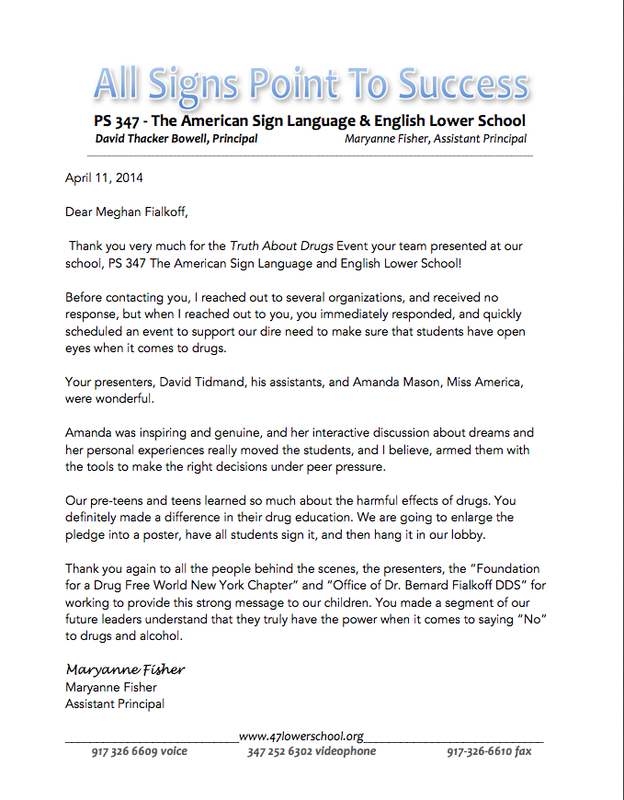 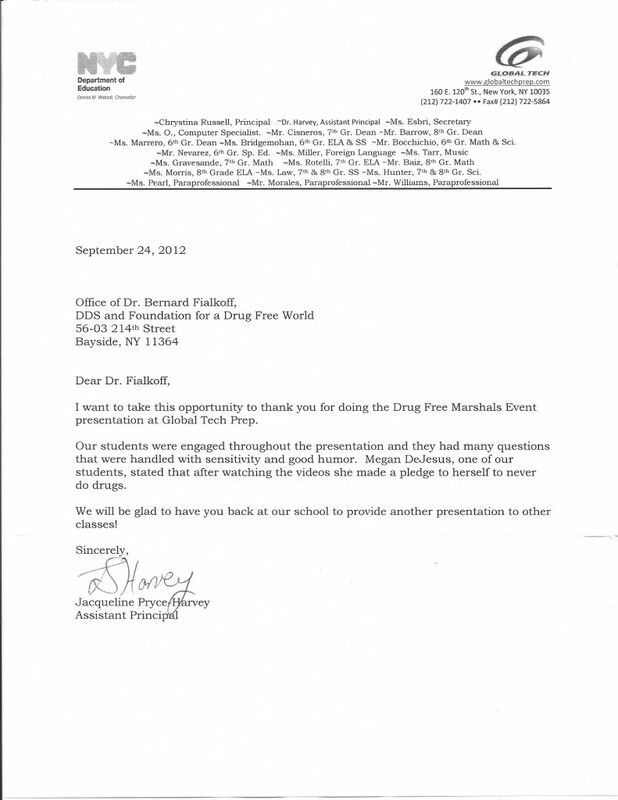 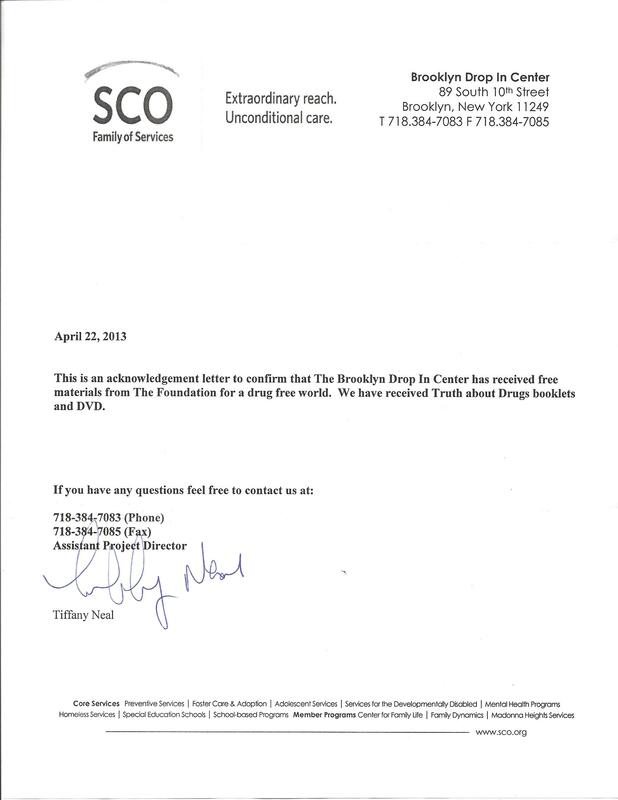 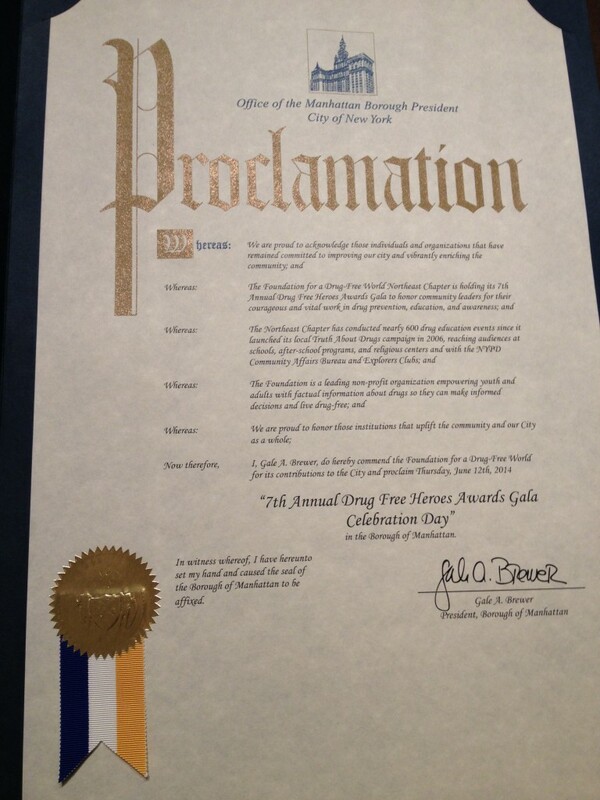 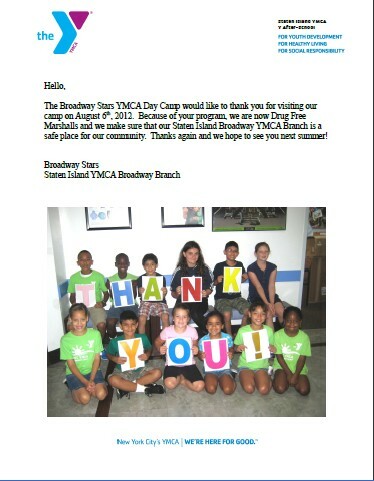 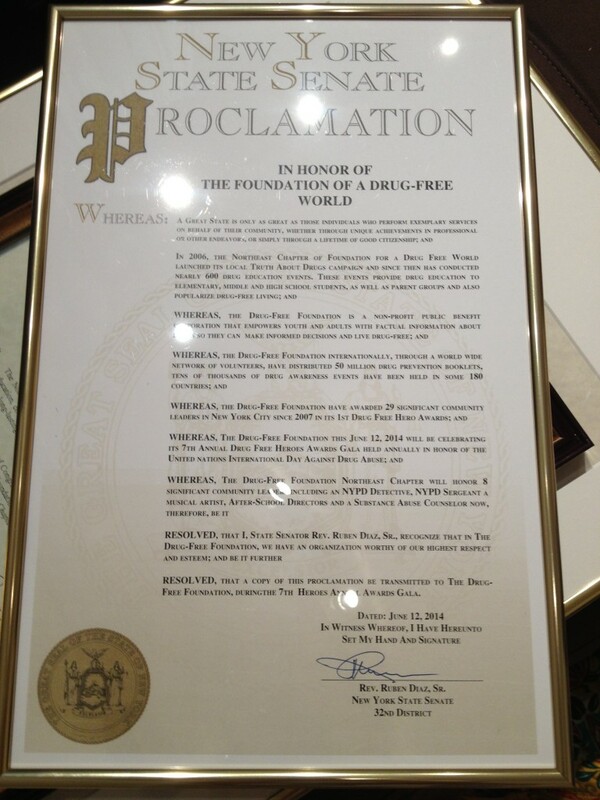 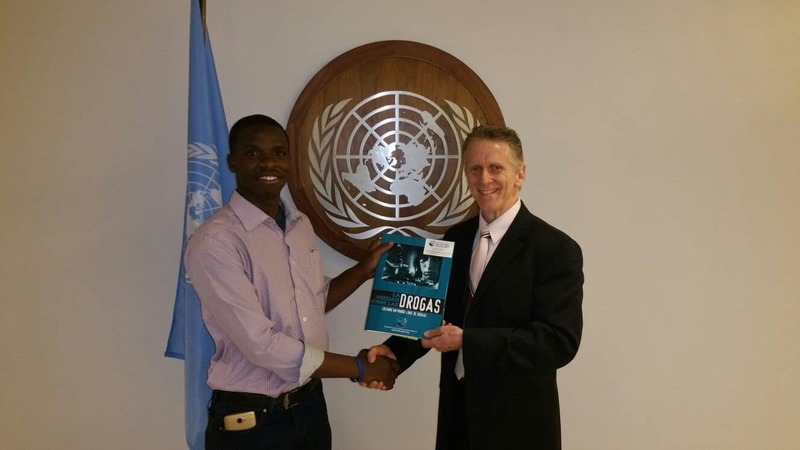 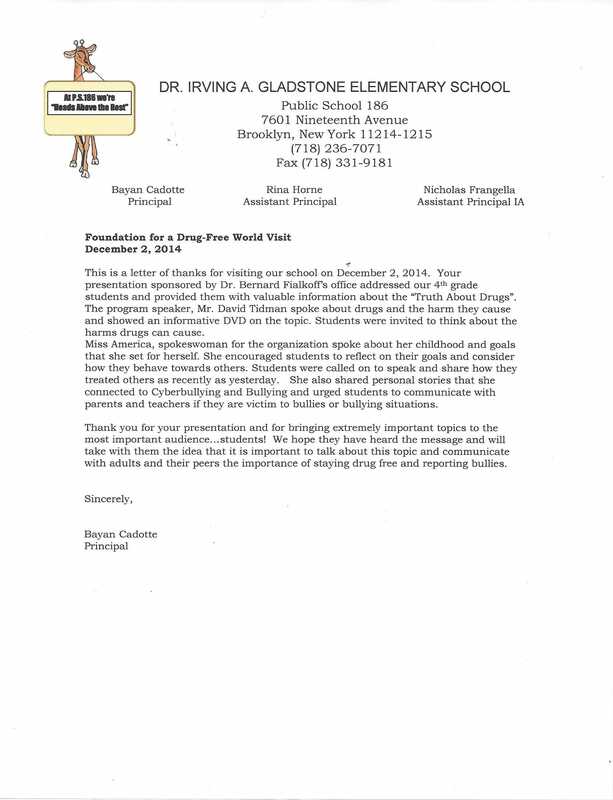 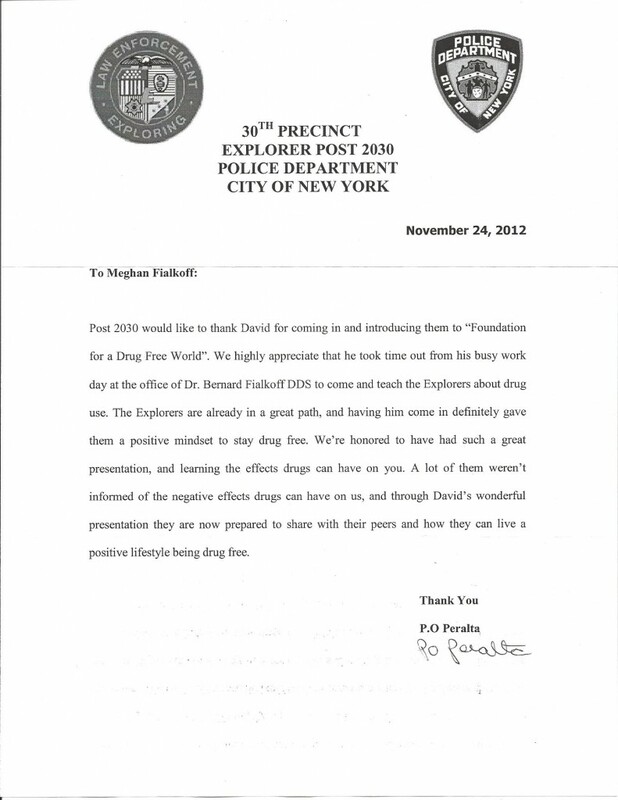 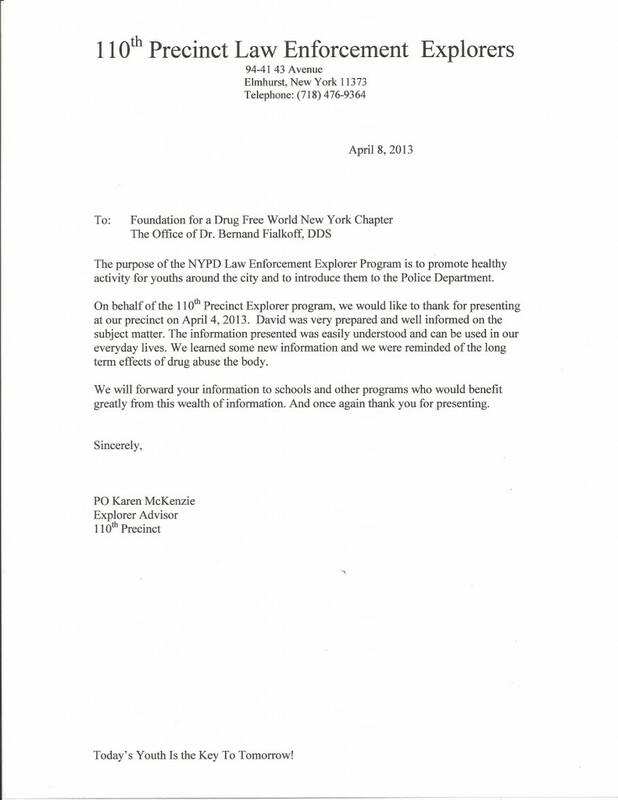 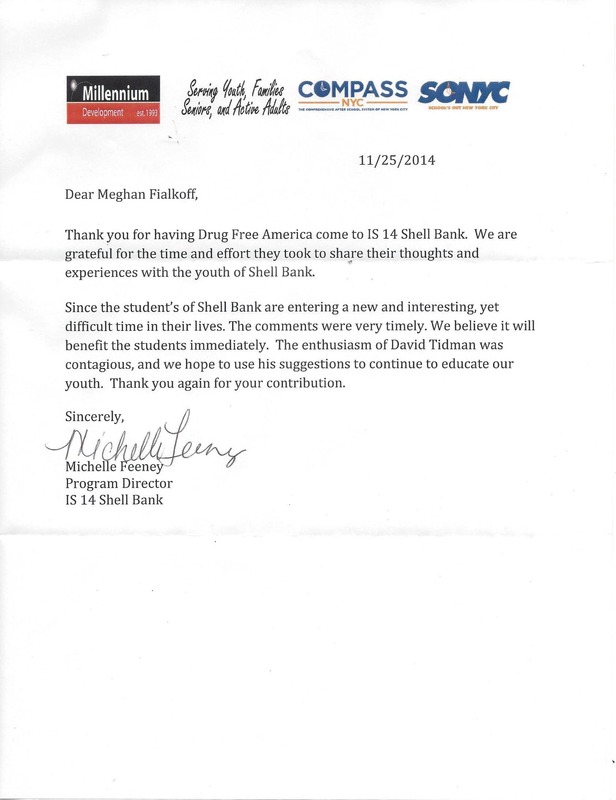 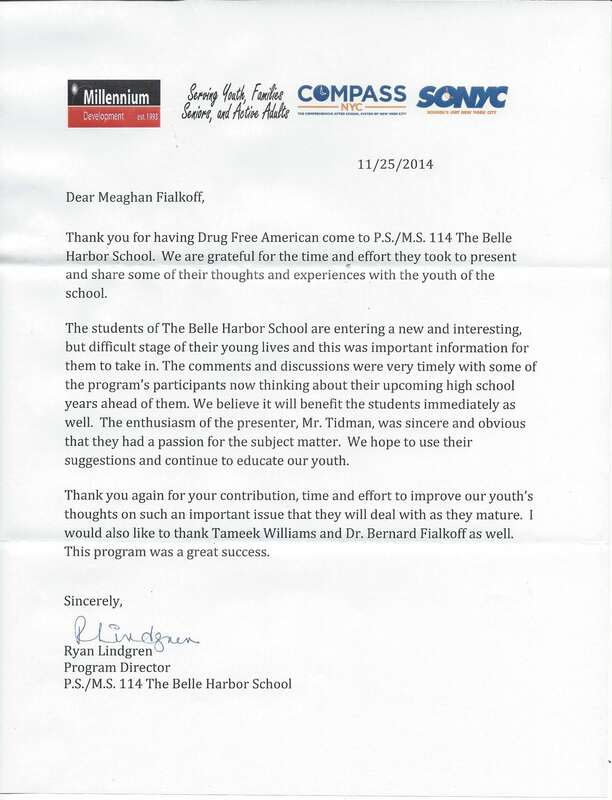 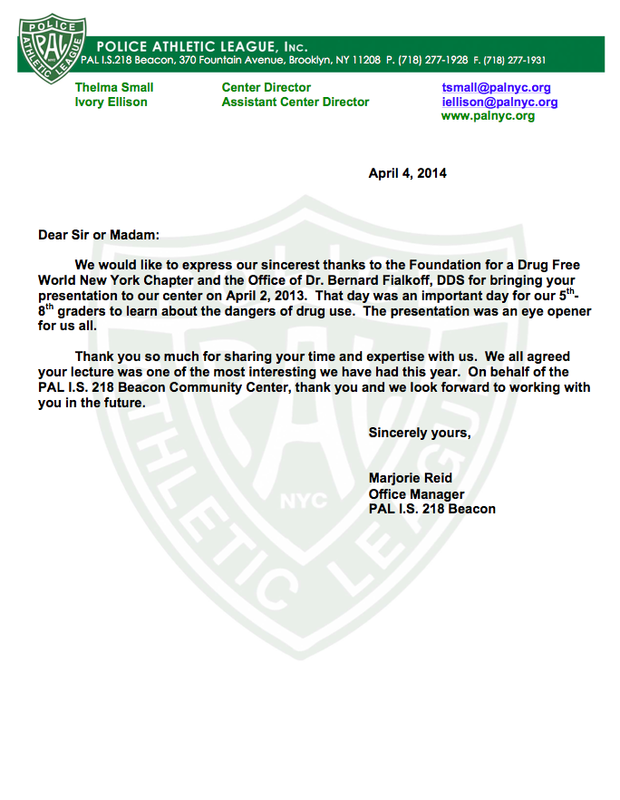 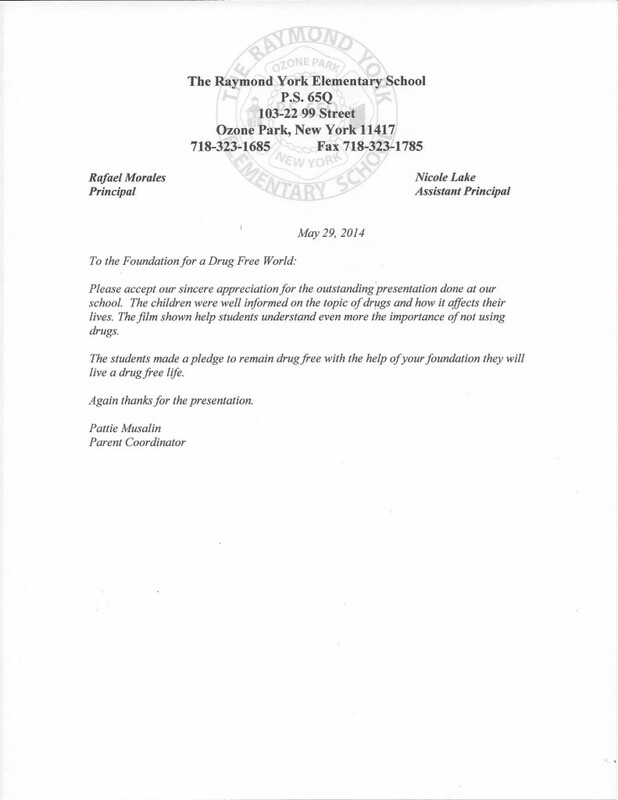 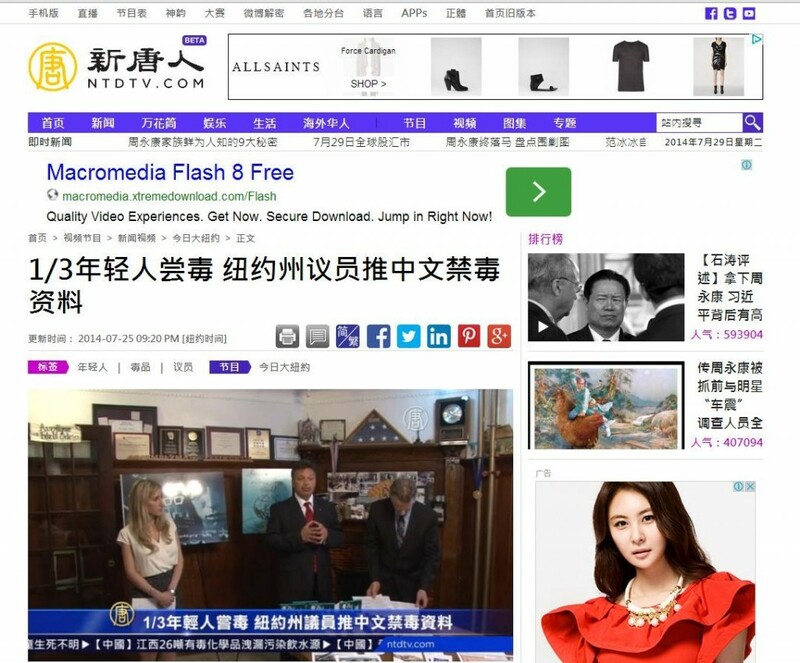 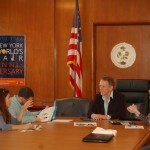 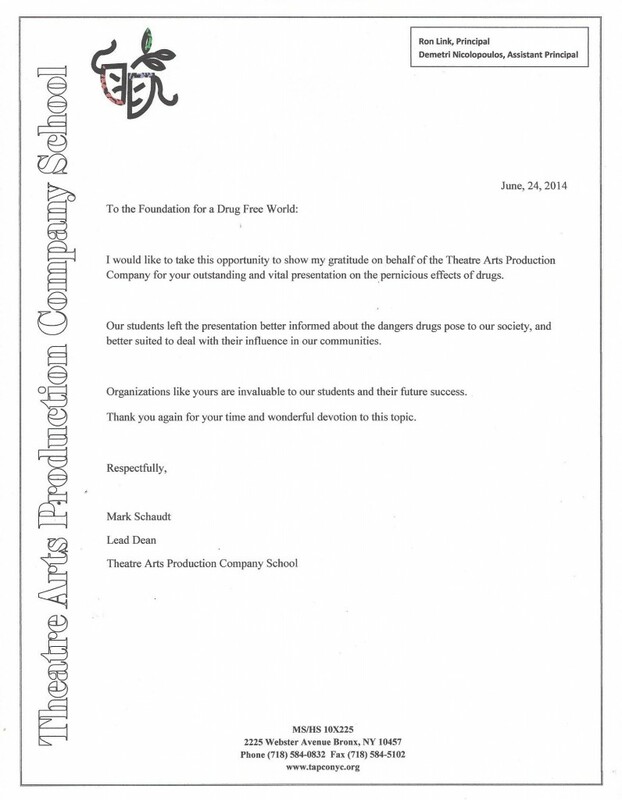 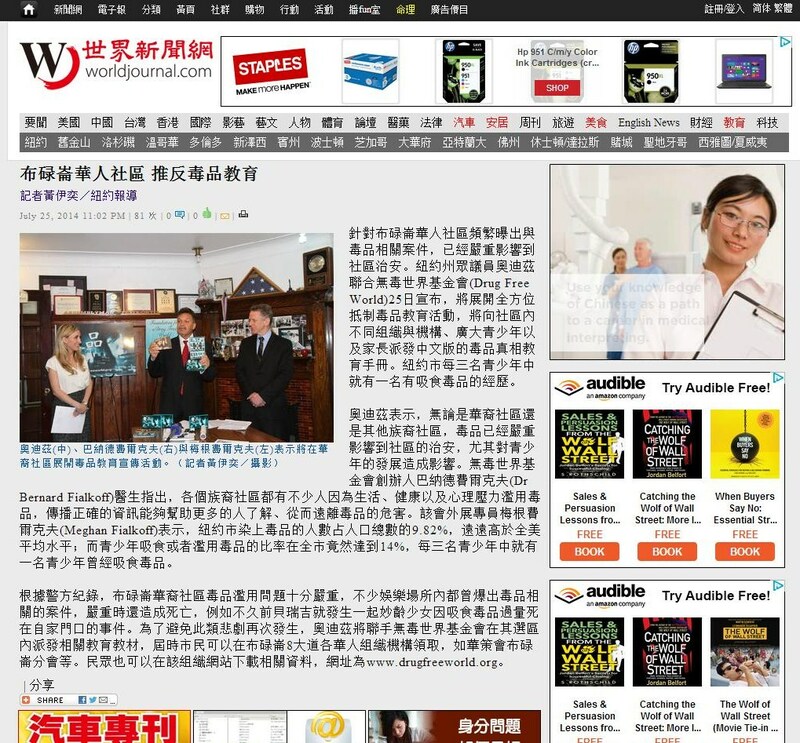 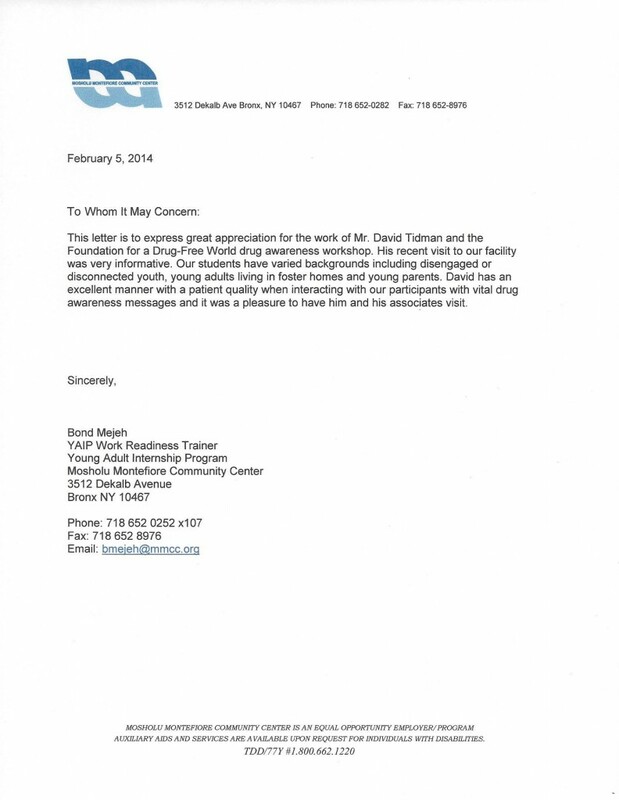 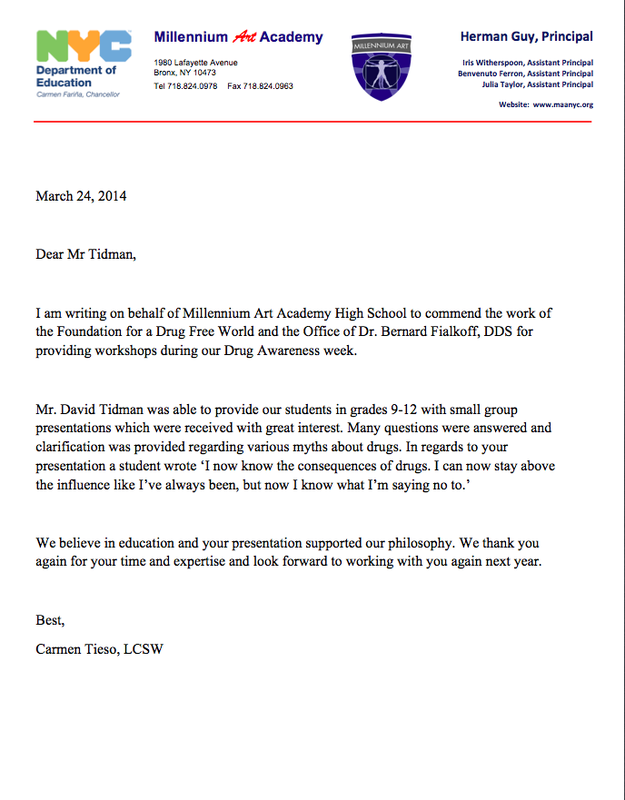 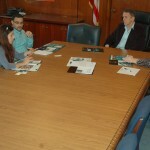 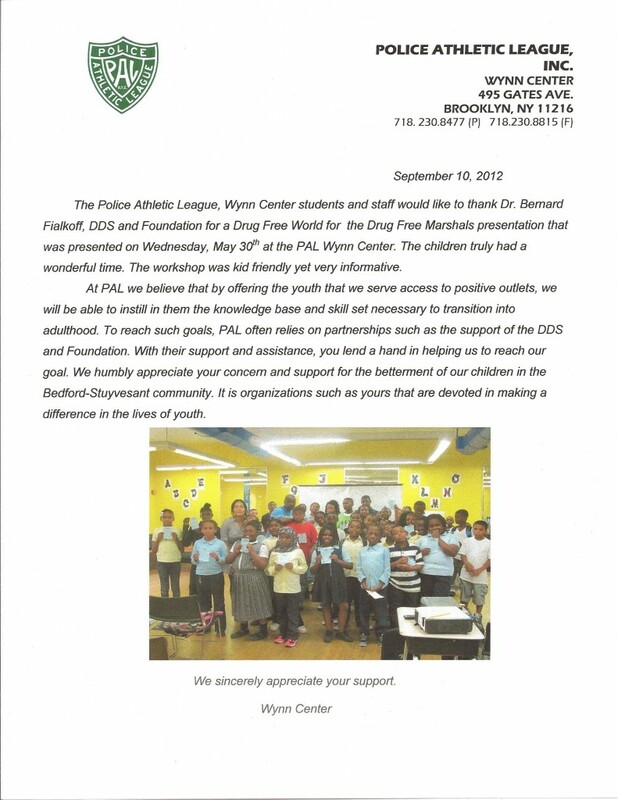 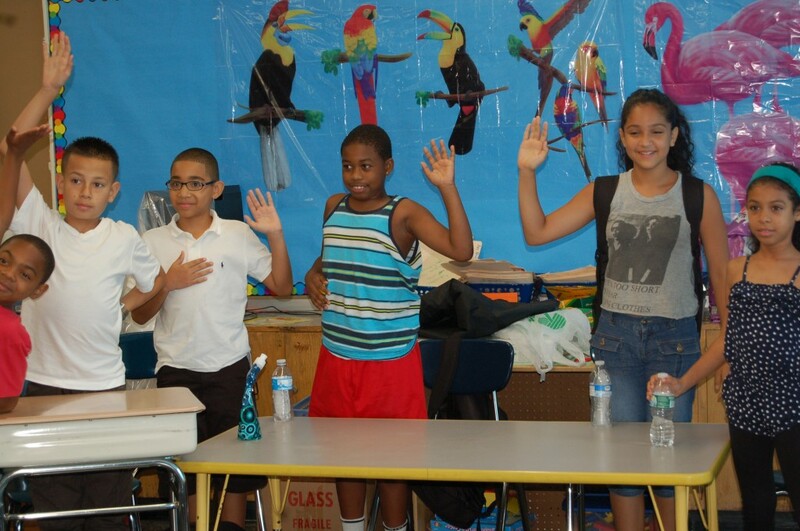 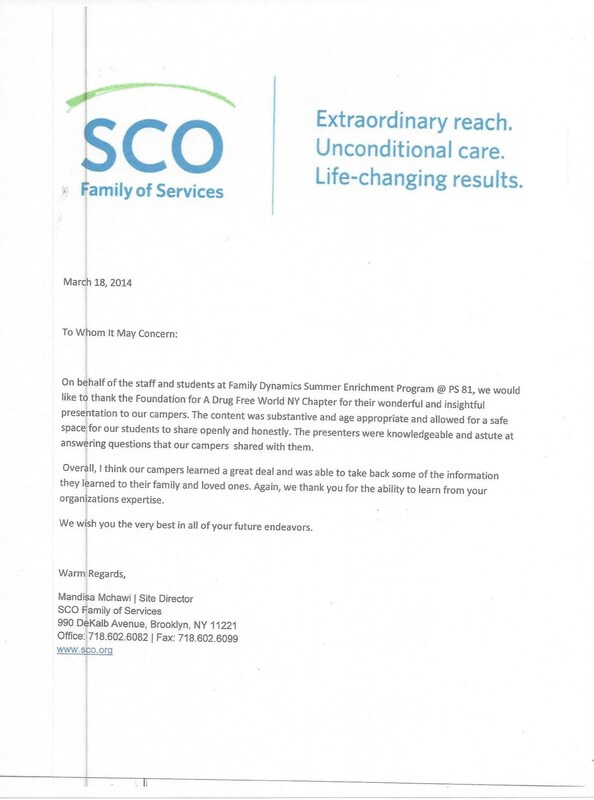 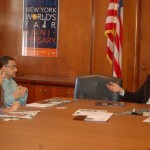 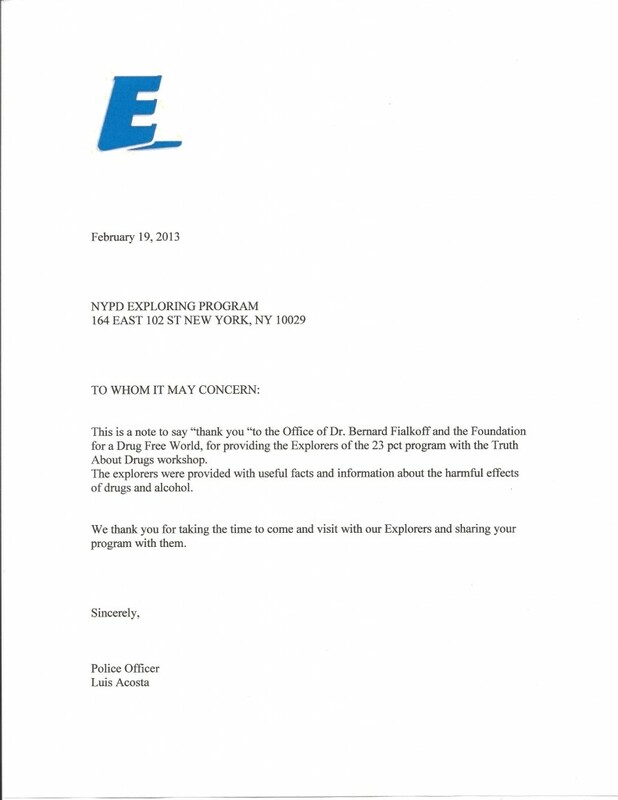 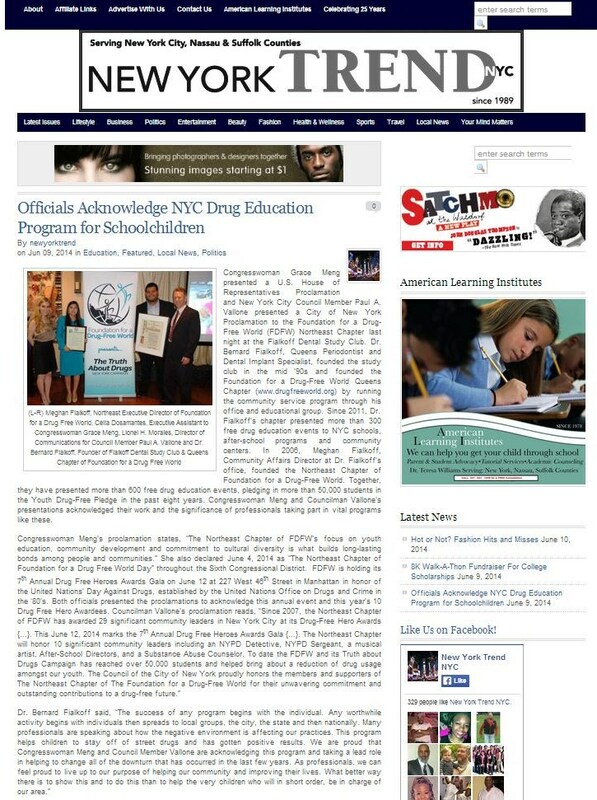 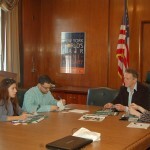 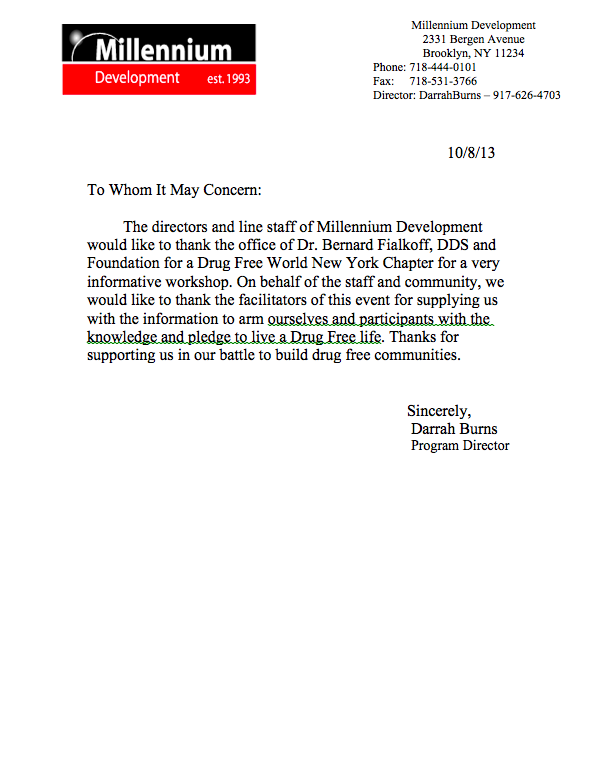 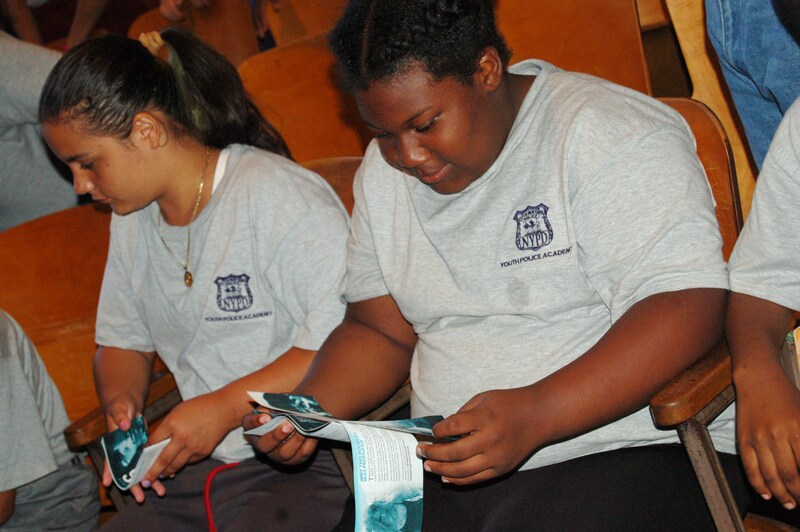 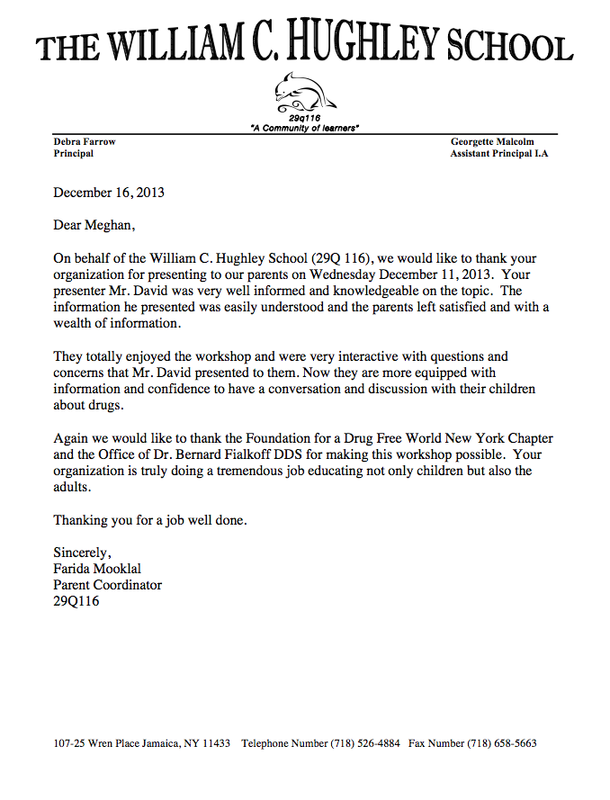 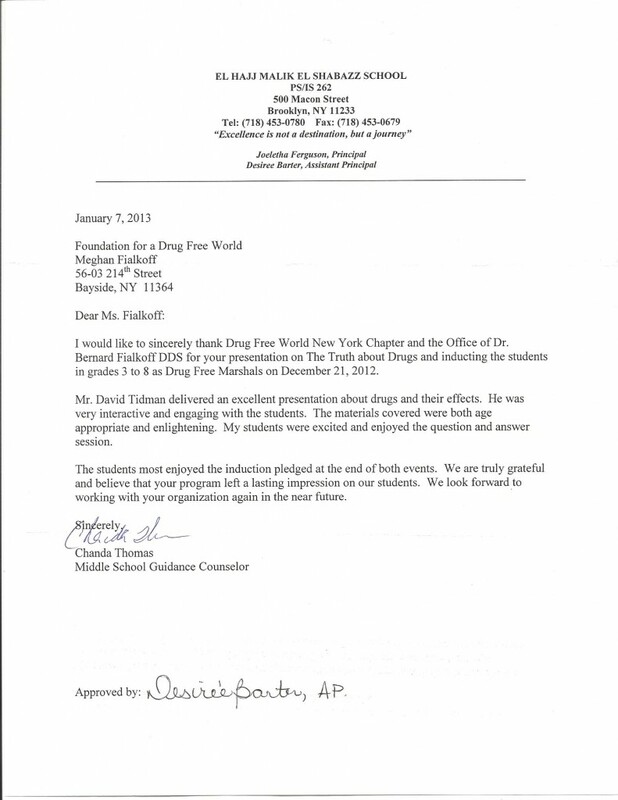 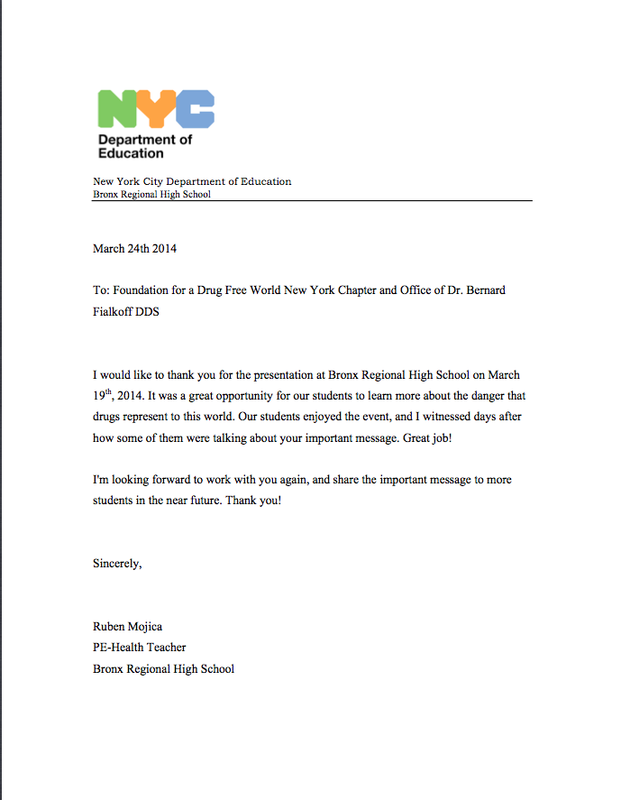 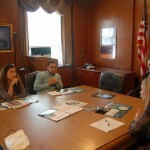 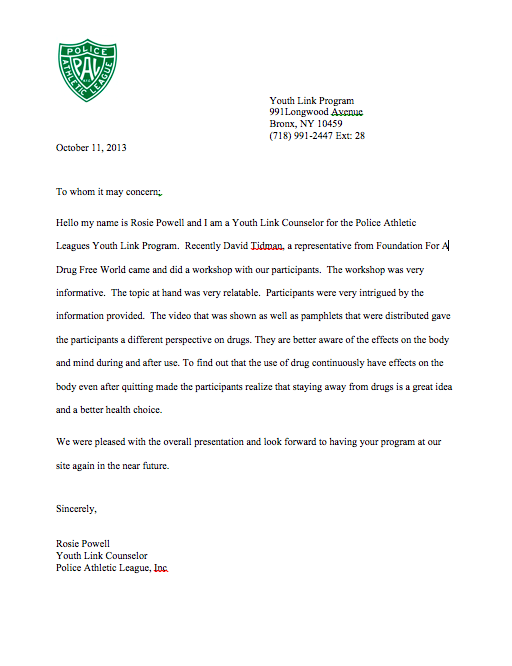 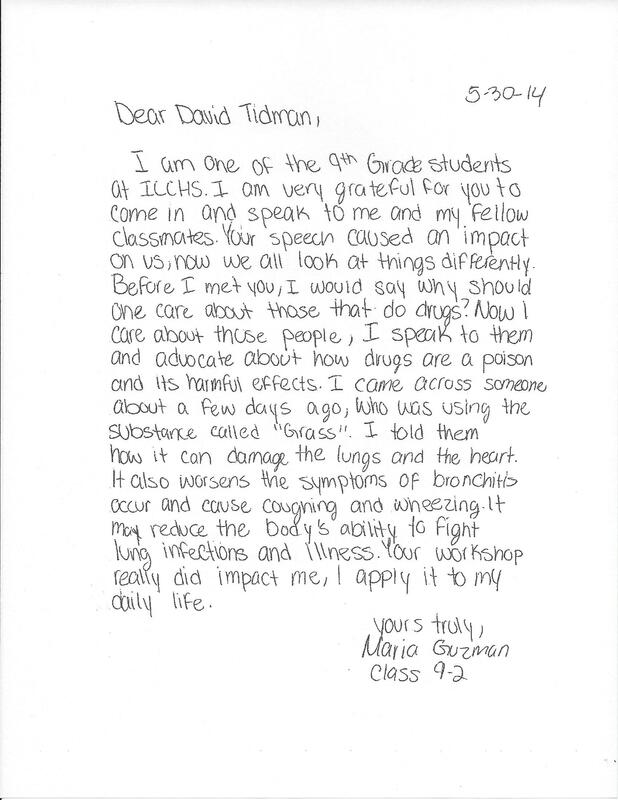 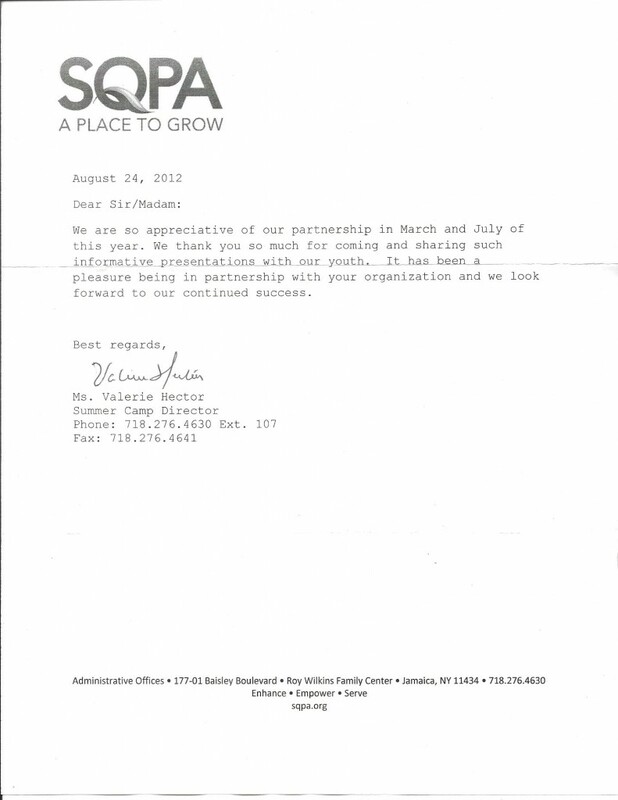 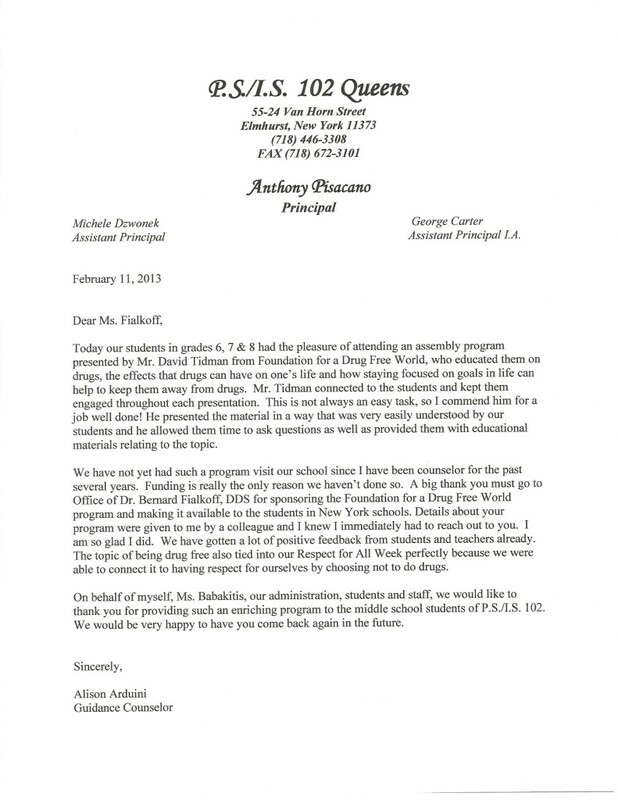 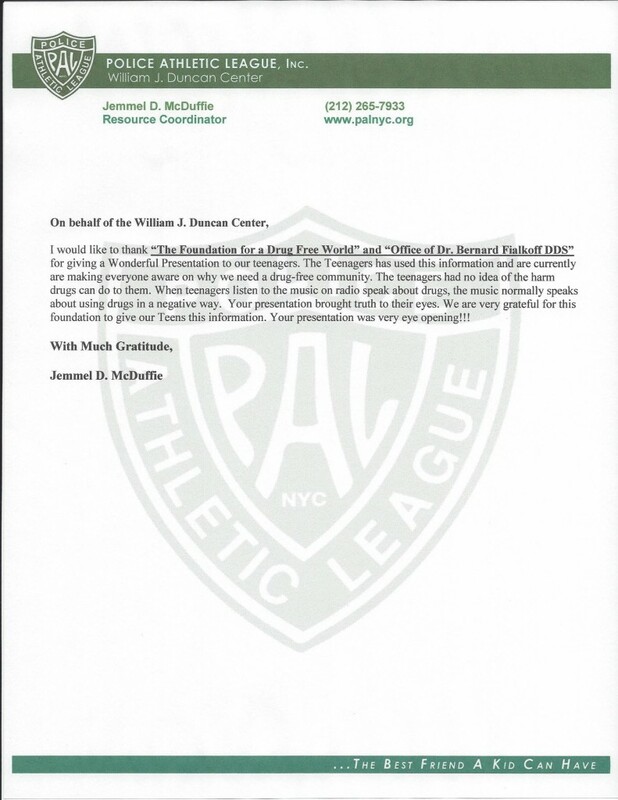 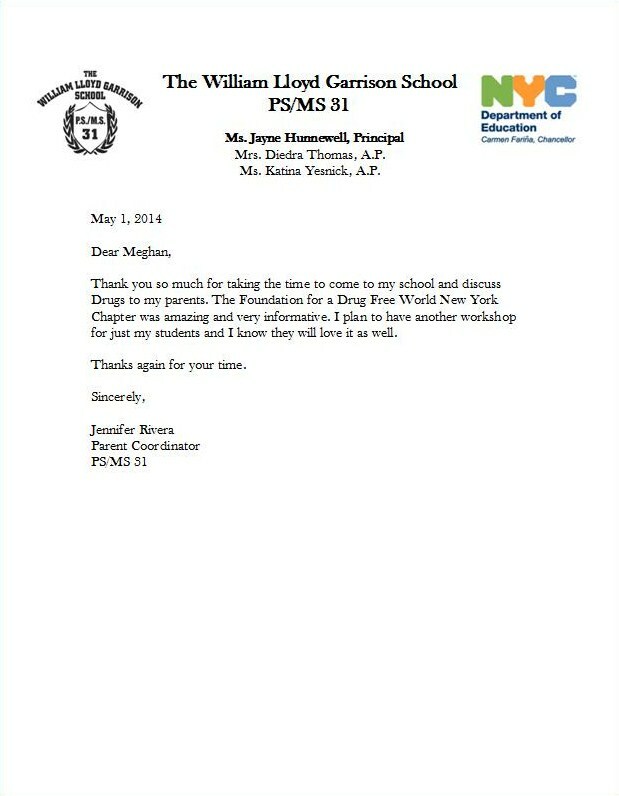 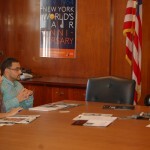 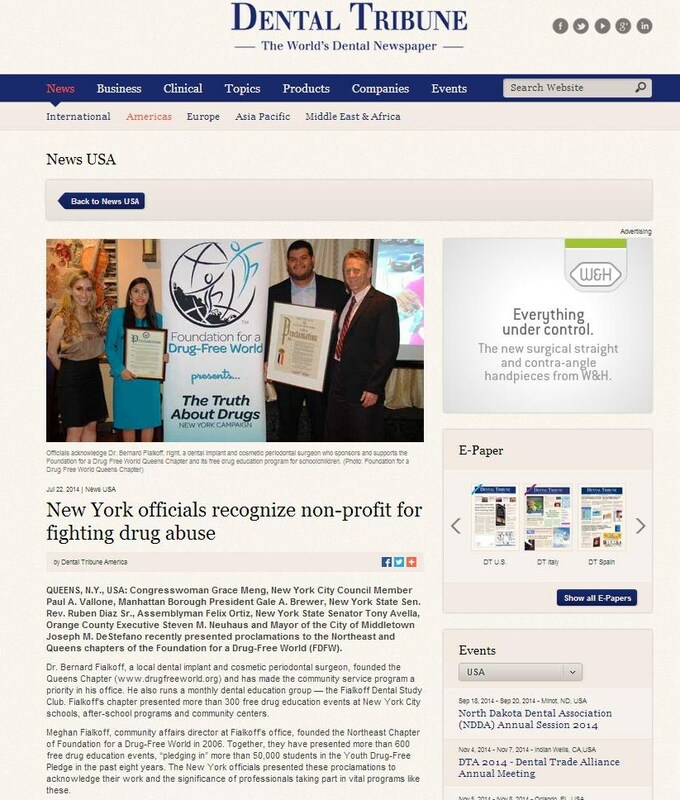 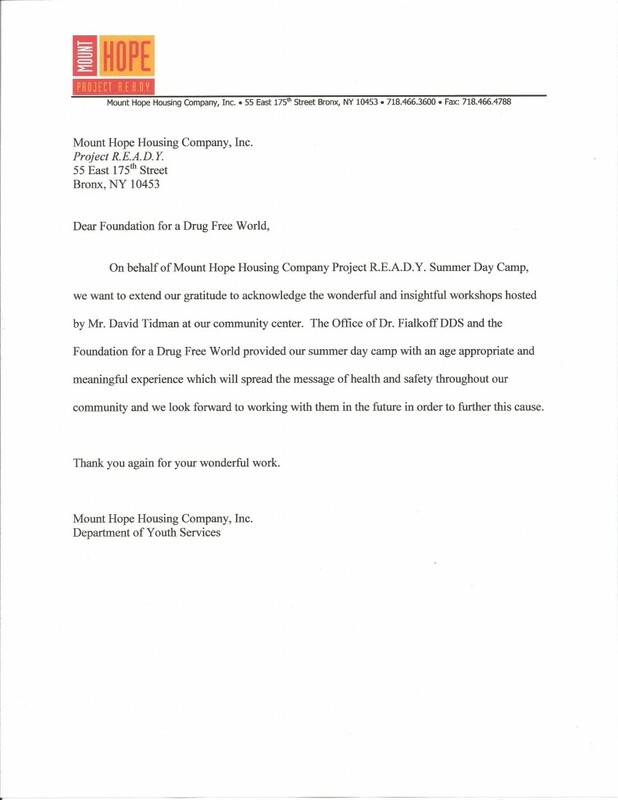 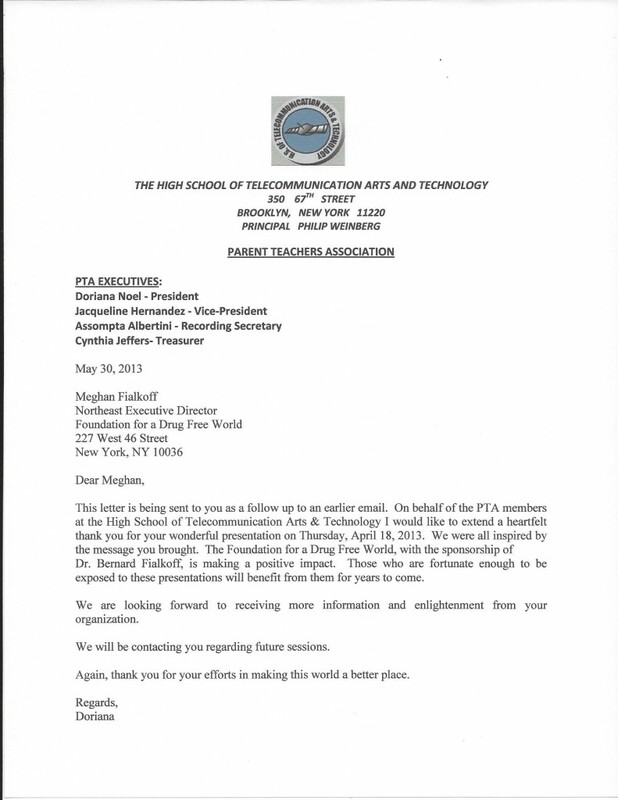 This page is dedicated to our office and study club’s free drug education program for NYC schoolchildren and teens. A representative from Parroquia Cristo Rey in the Dominican Republic and member of the National Council on Drugs, visited our Office today to learn about the Foundation for a Drug Free World. 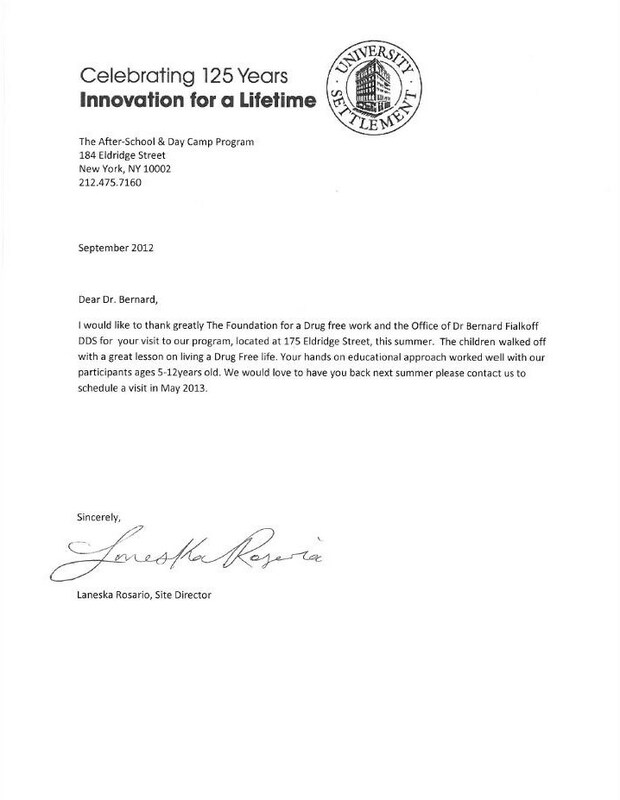 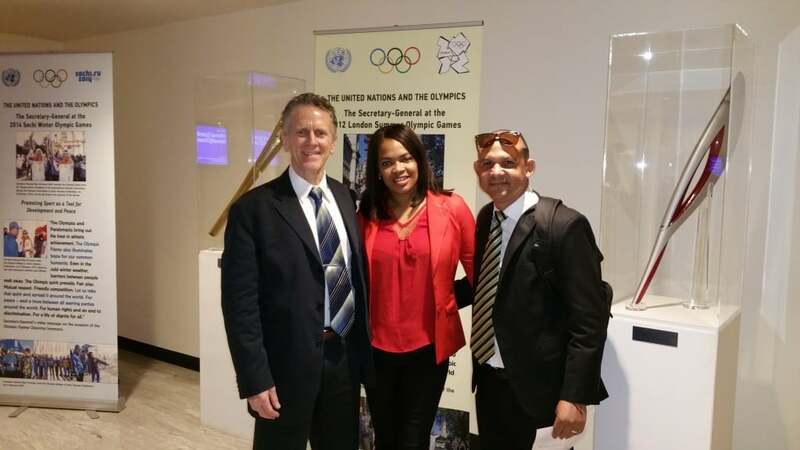 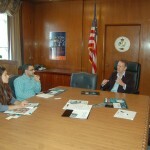 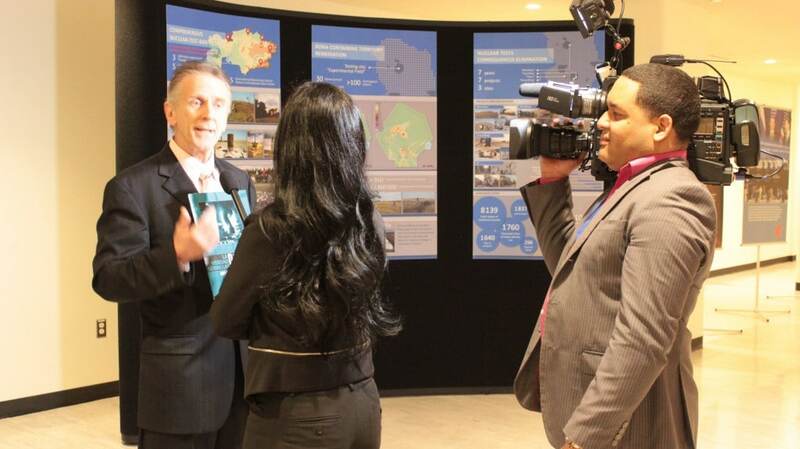 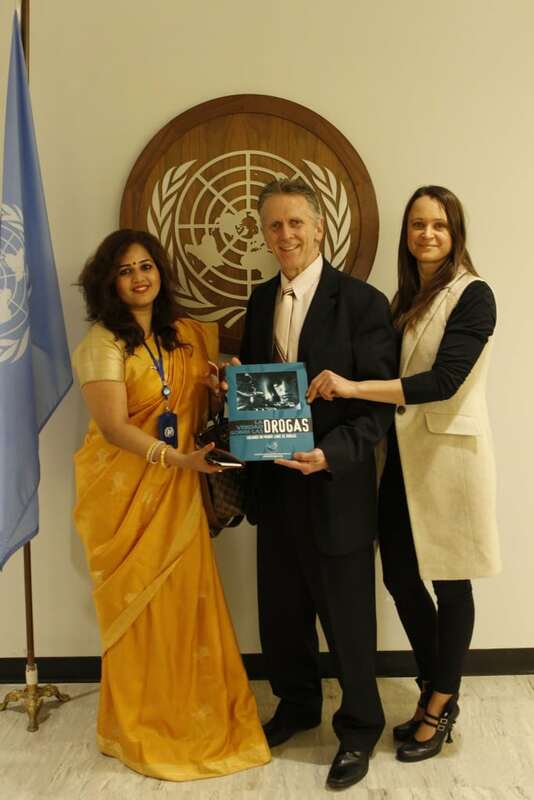 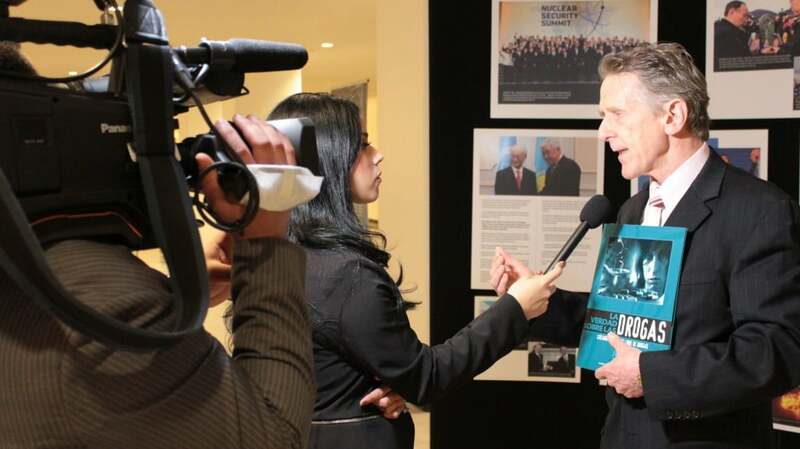 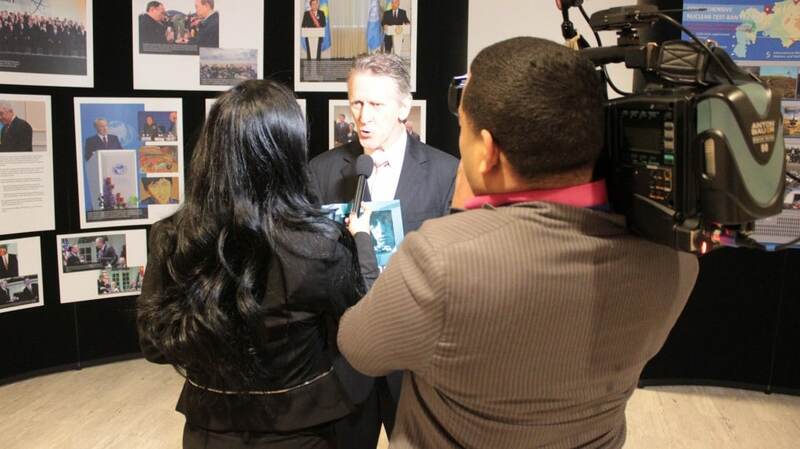 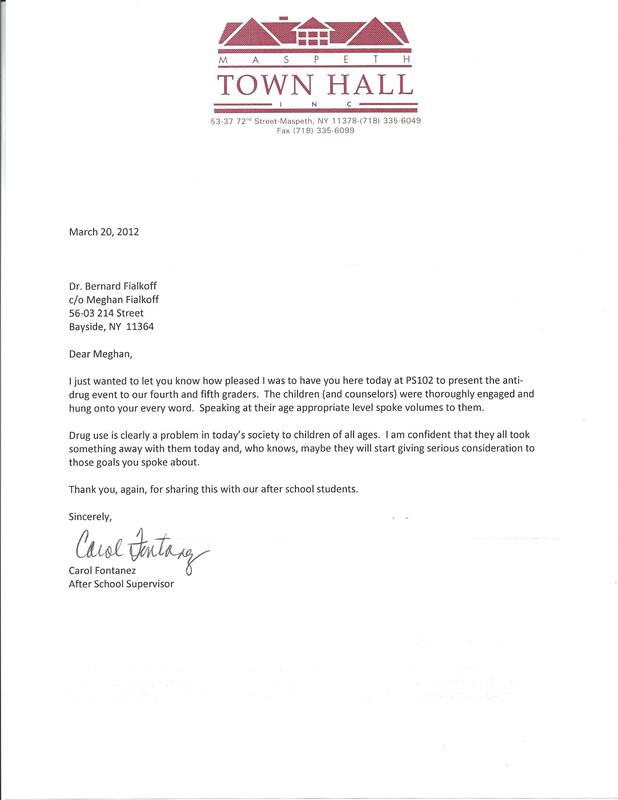 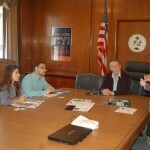 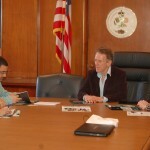 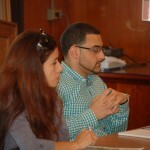 He plans to utilize the program to help the children and teens in the Dominican Republic. 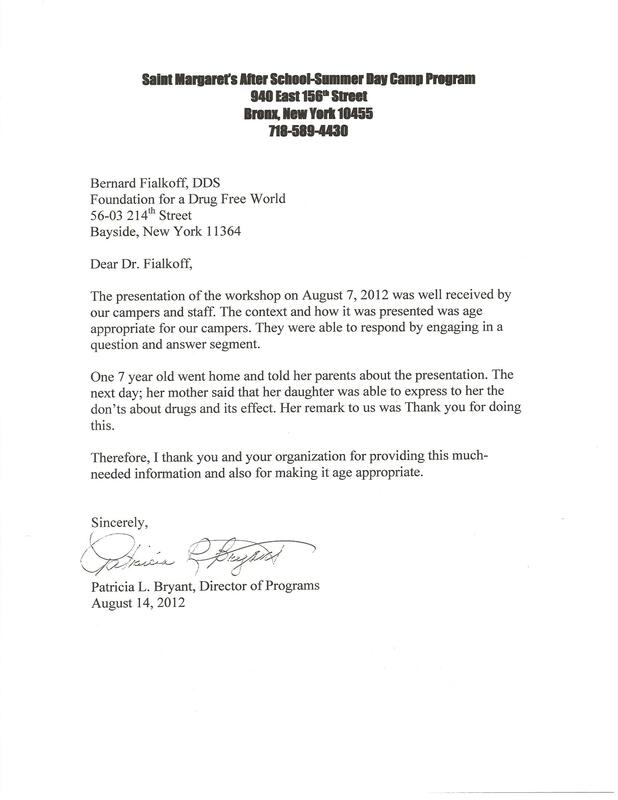 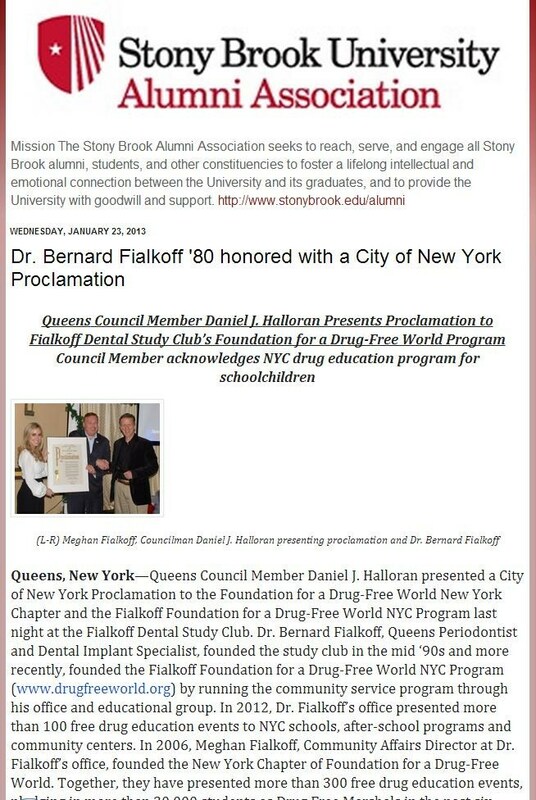 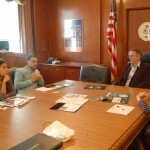 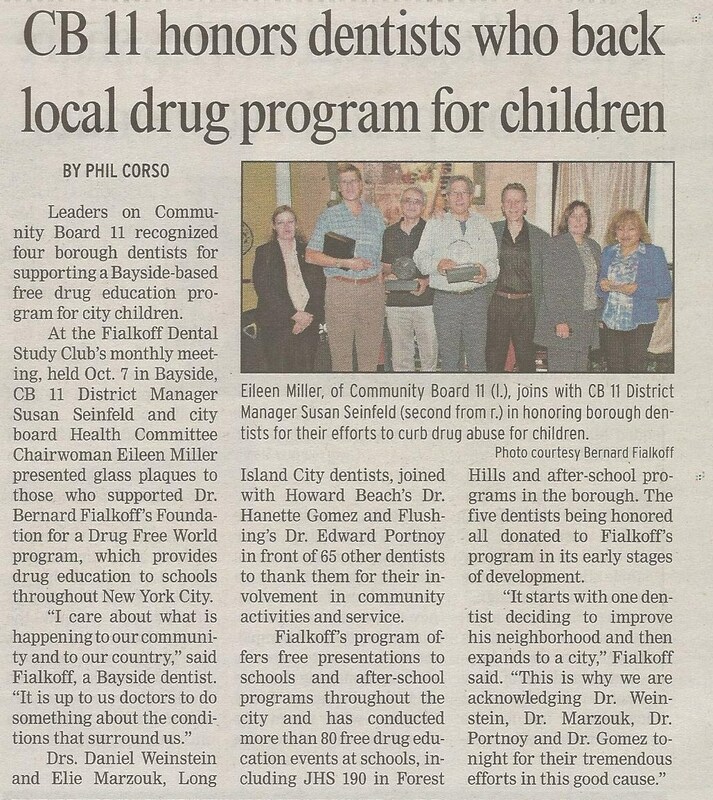 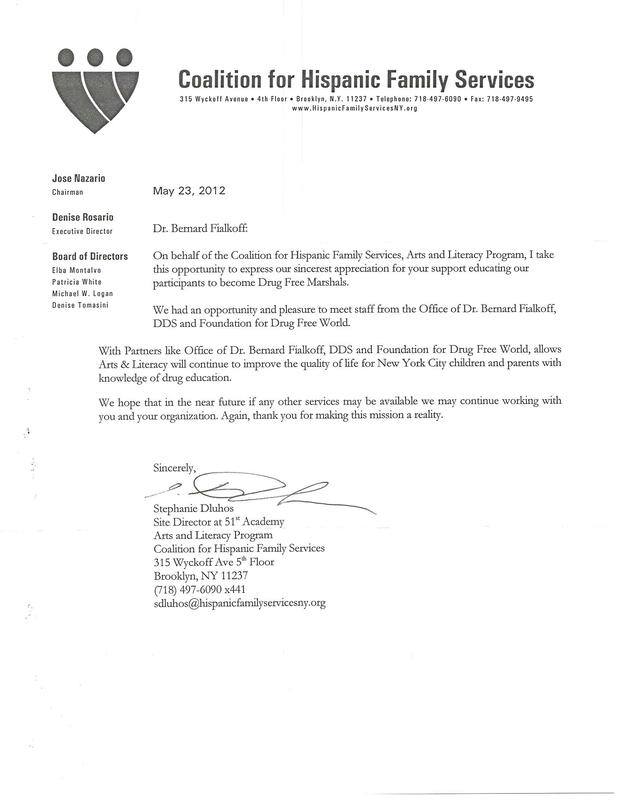 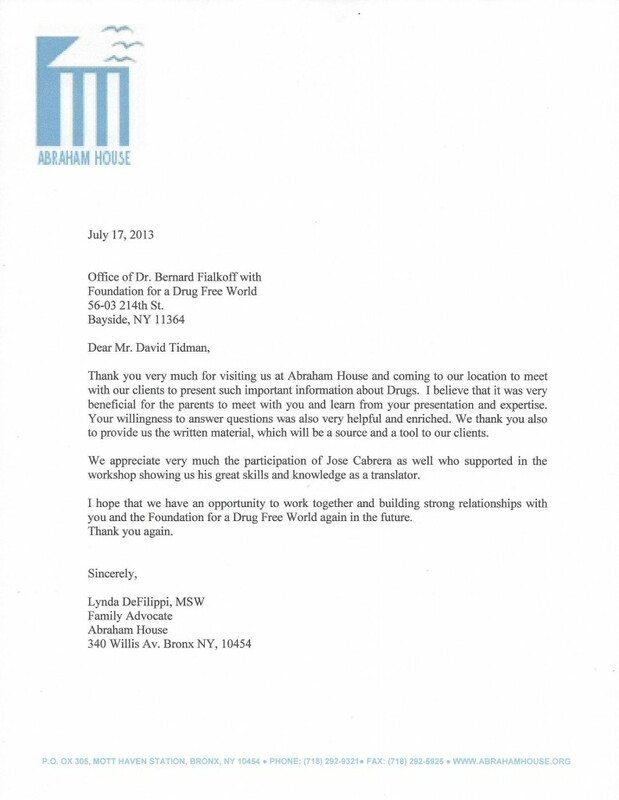 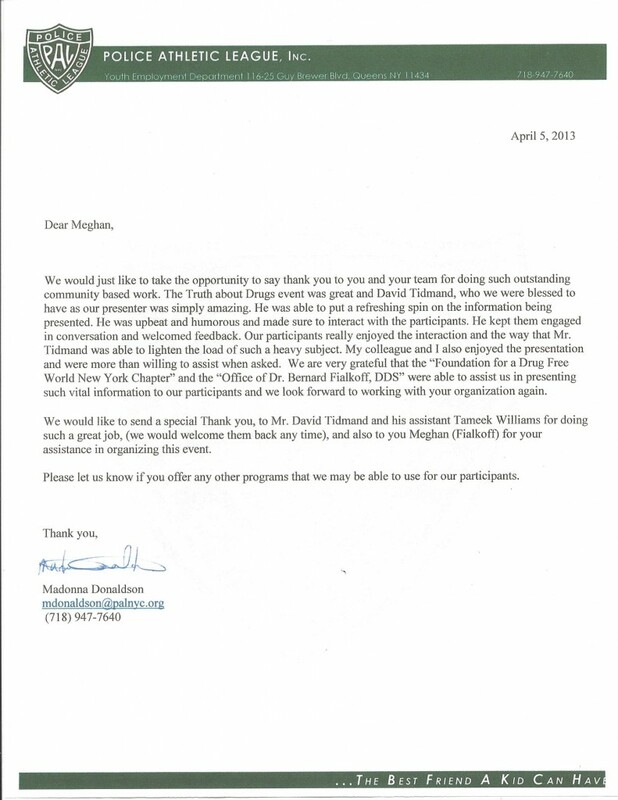 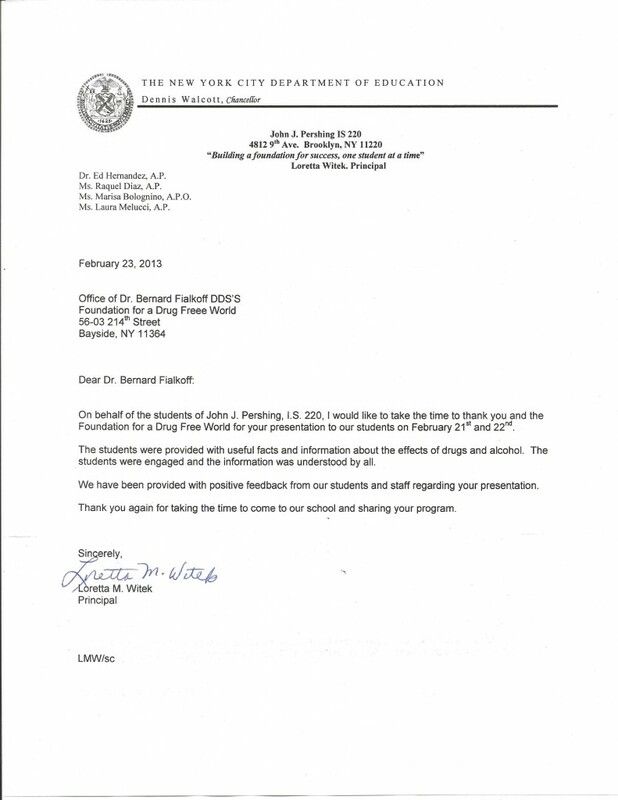 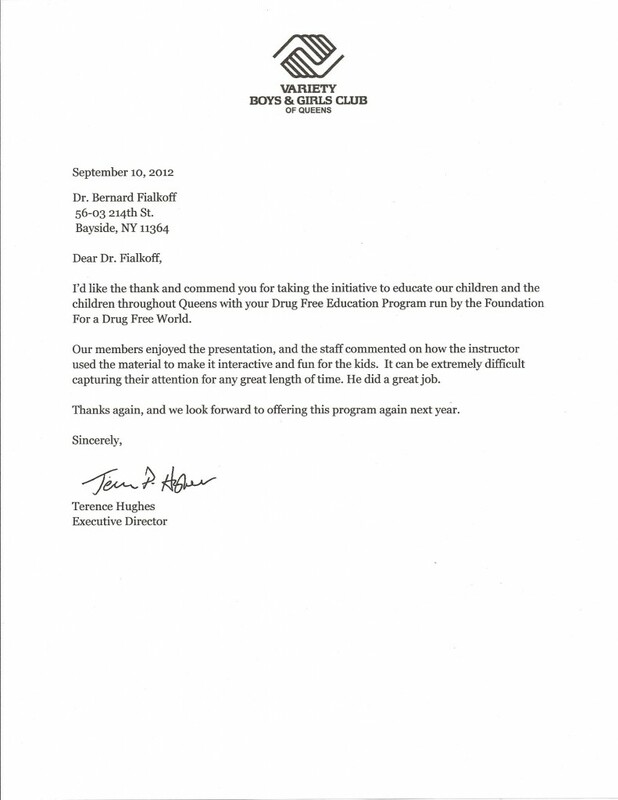 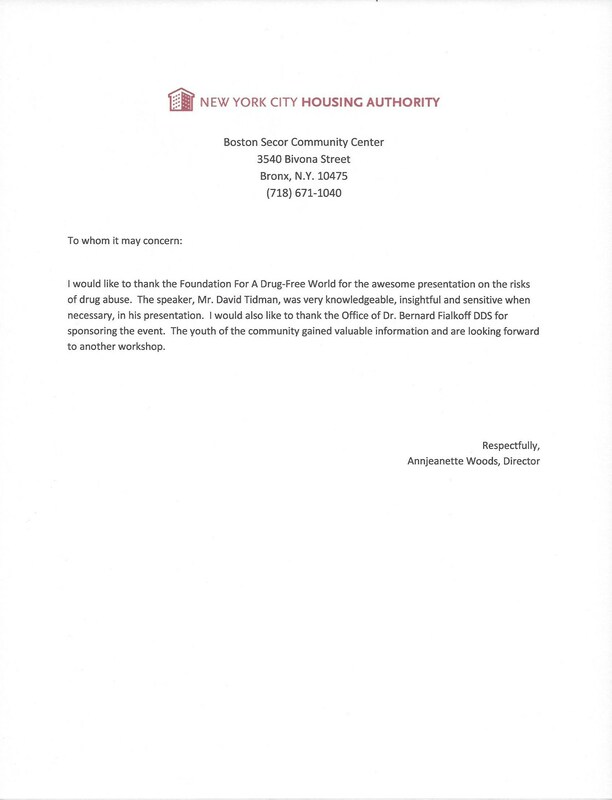 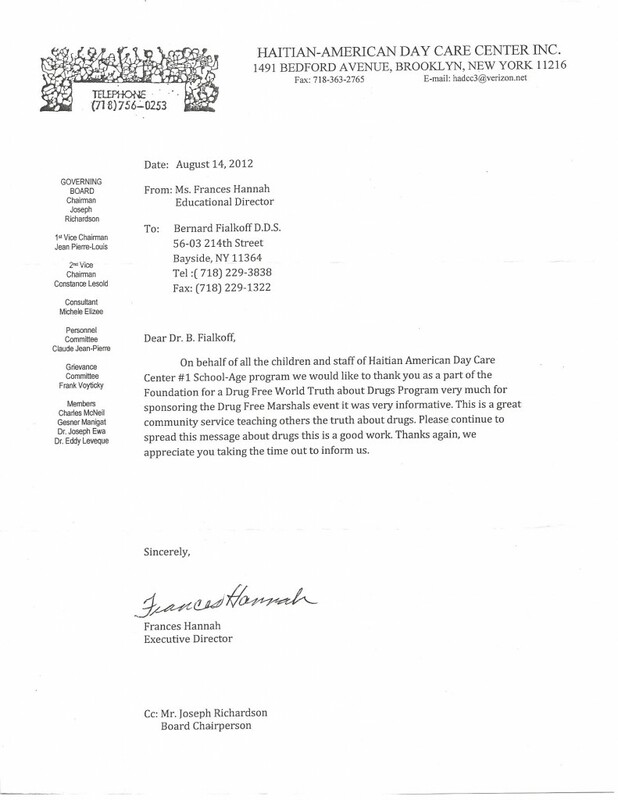 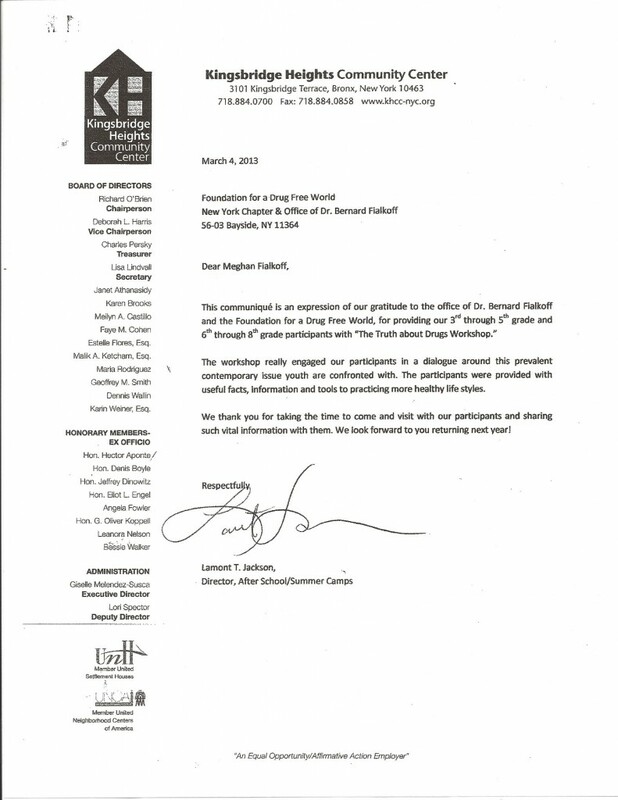 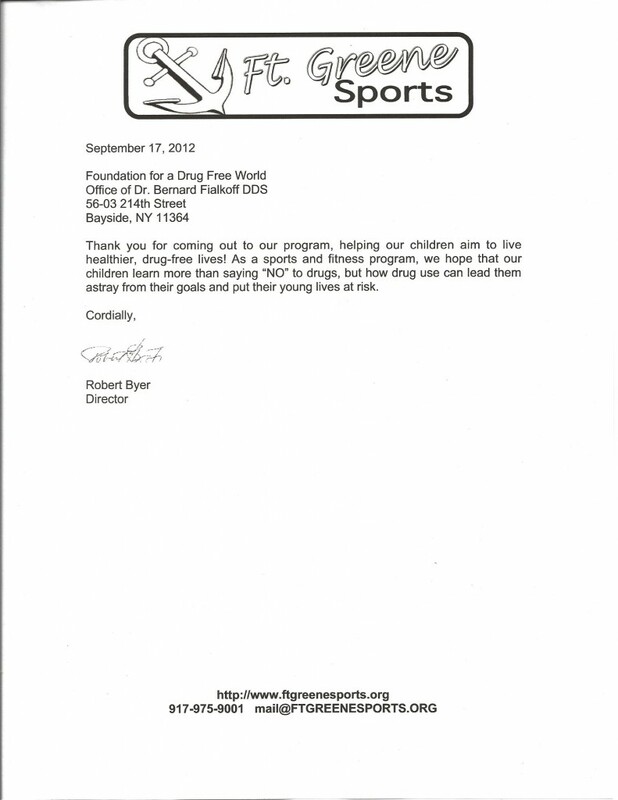 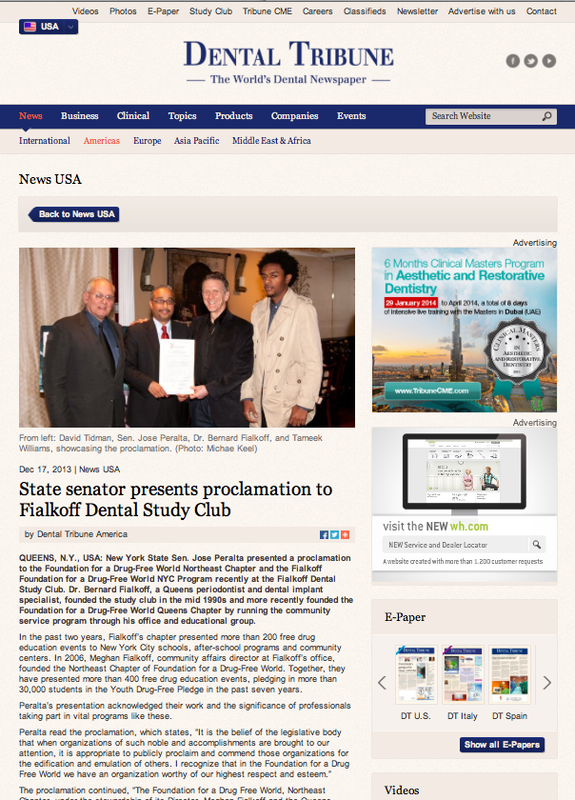 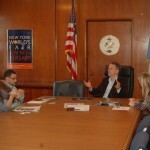 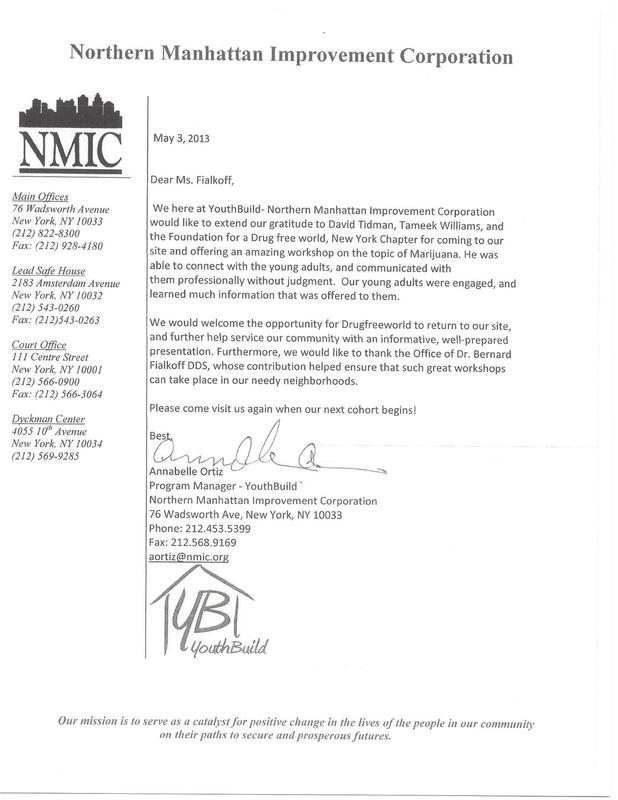 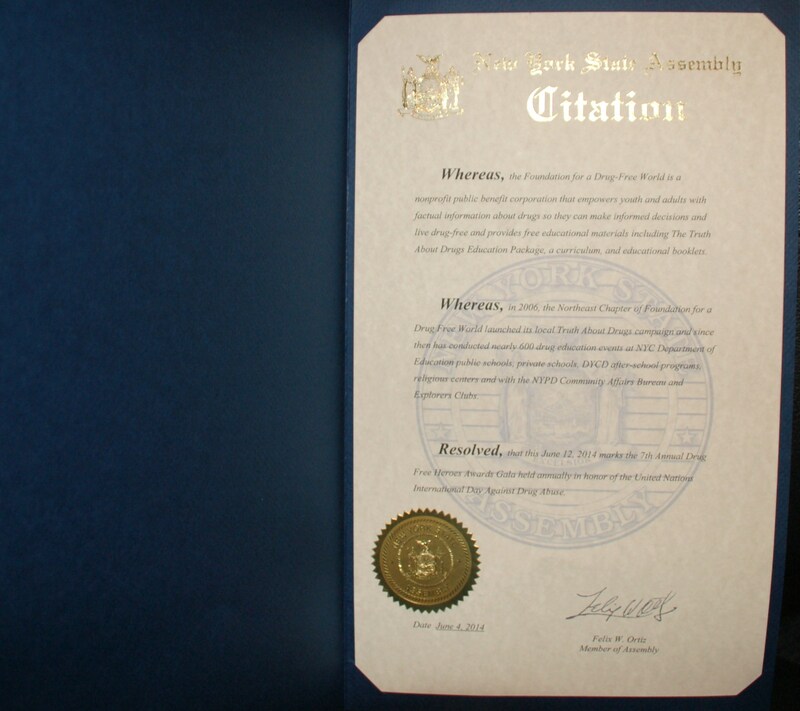 A New York State Senator presented a proclamation to Dr. Bernard Fialkoff at the Fialkoff Dental Study Club for his community service work of providing free drug education and awareness events to the community. 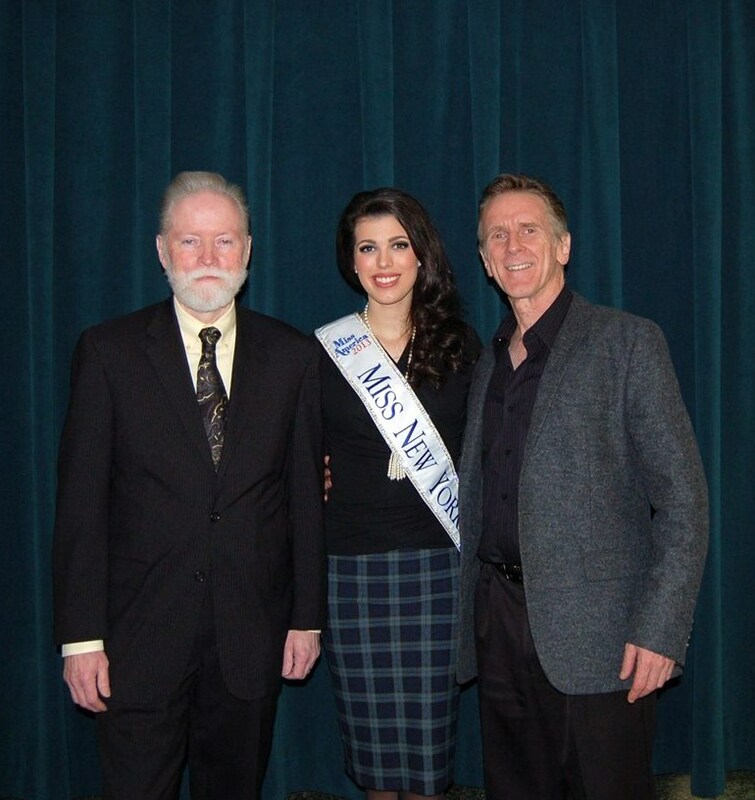 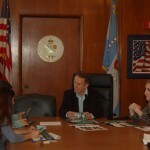 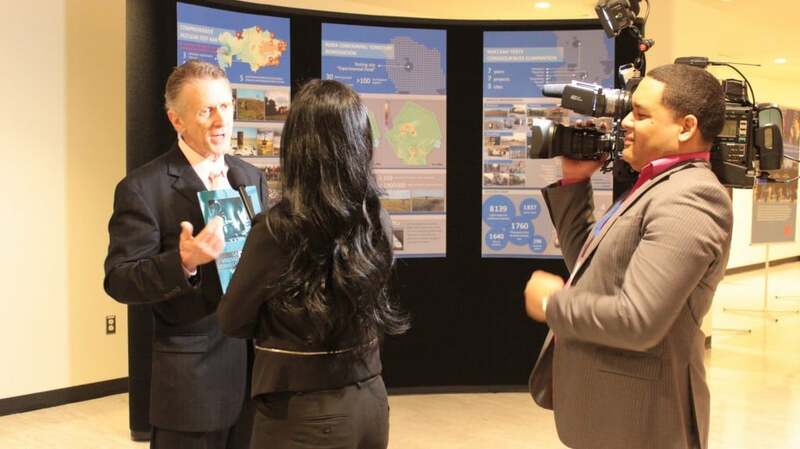 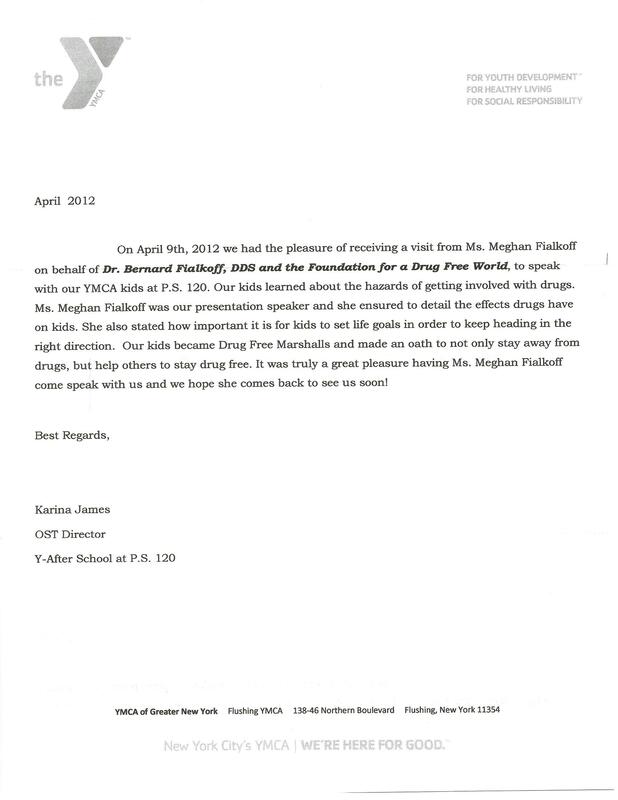 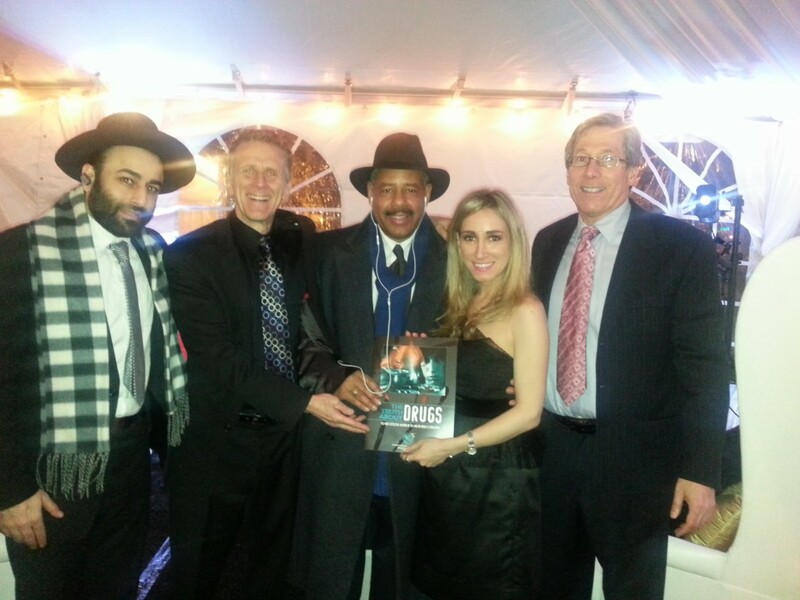 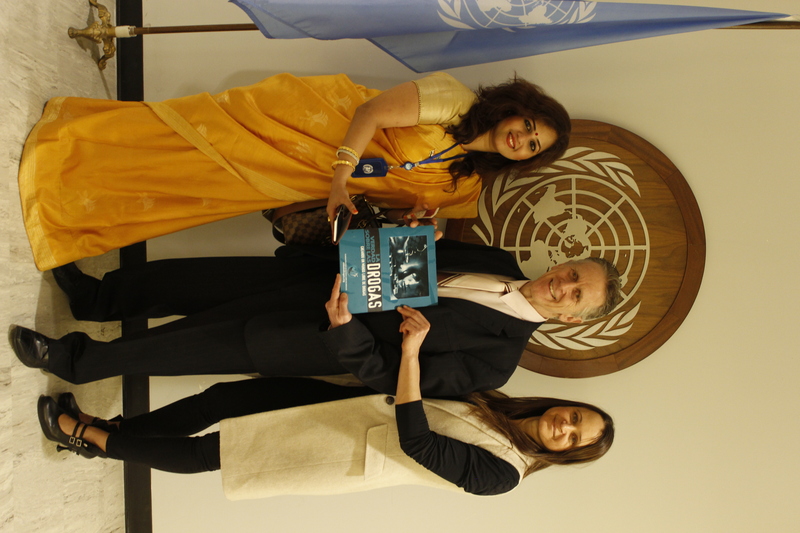 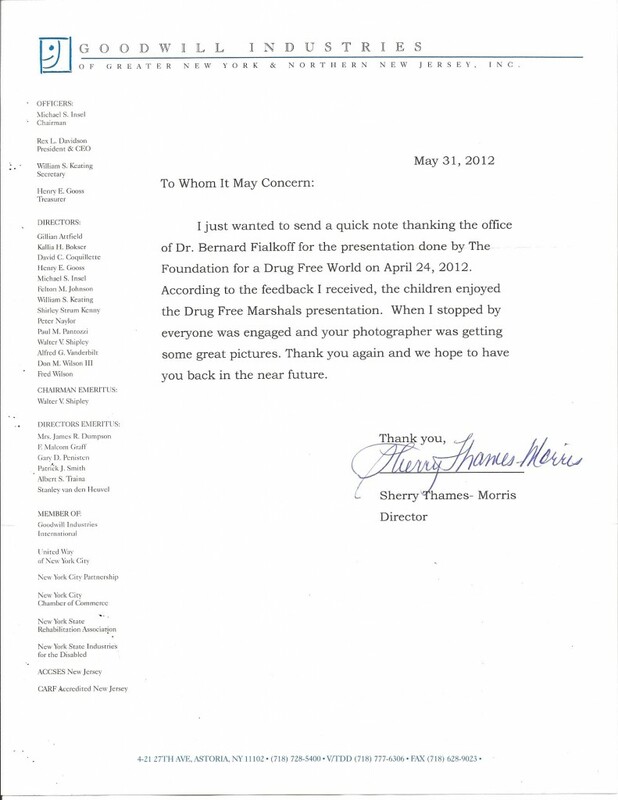 Dr. Bernard Fialkoff with Miss New York at one of his office’s community drug education events held at a Manhattan High School. 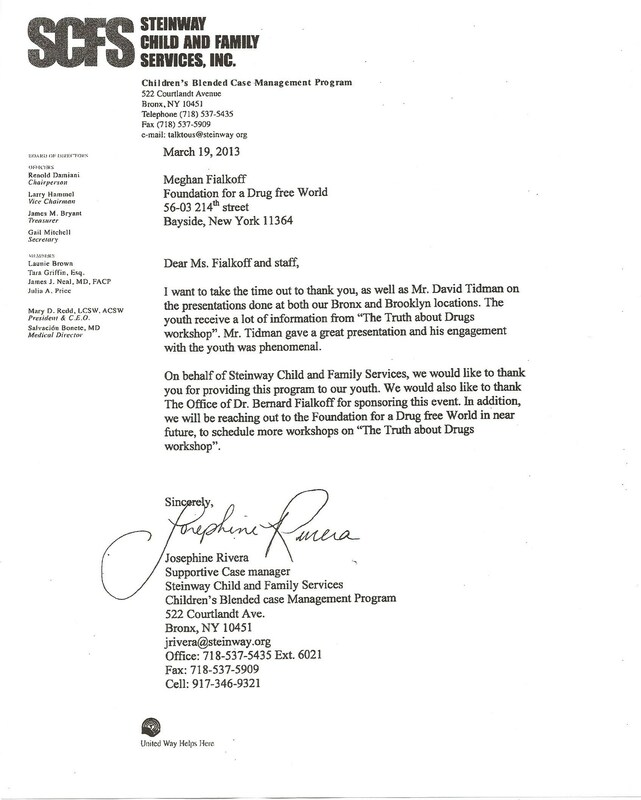 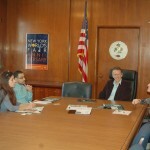 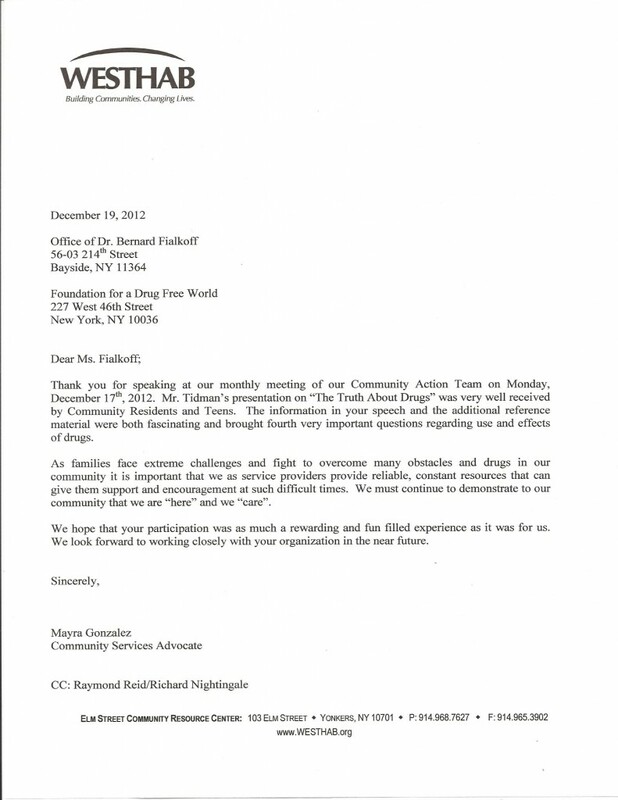 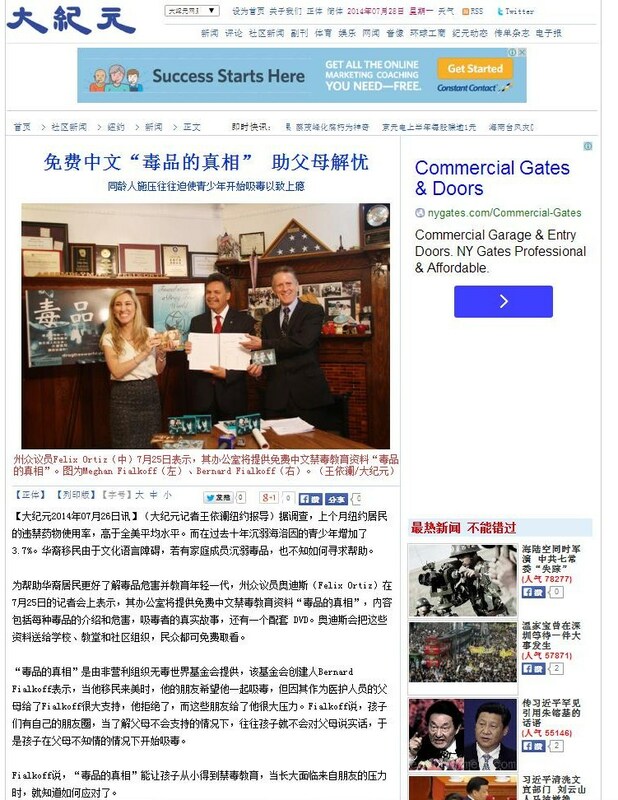 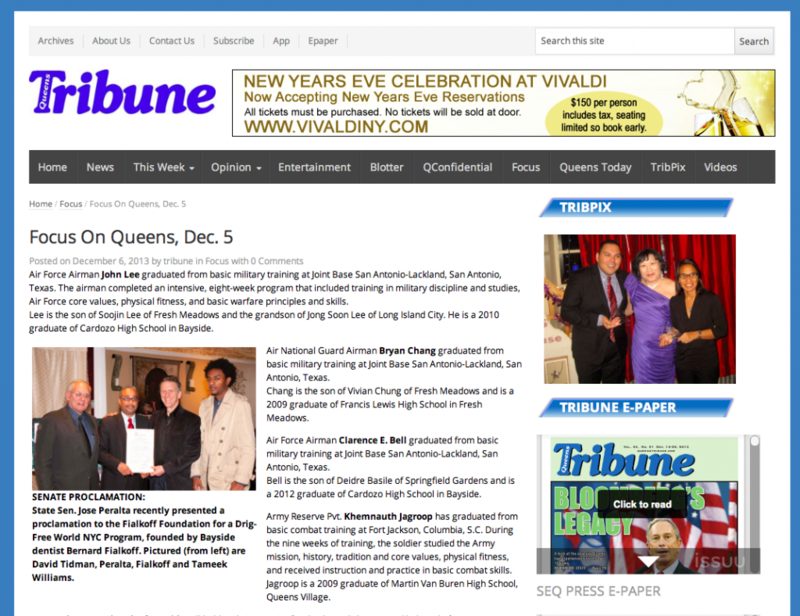 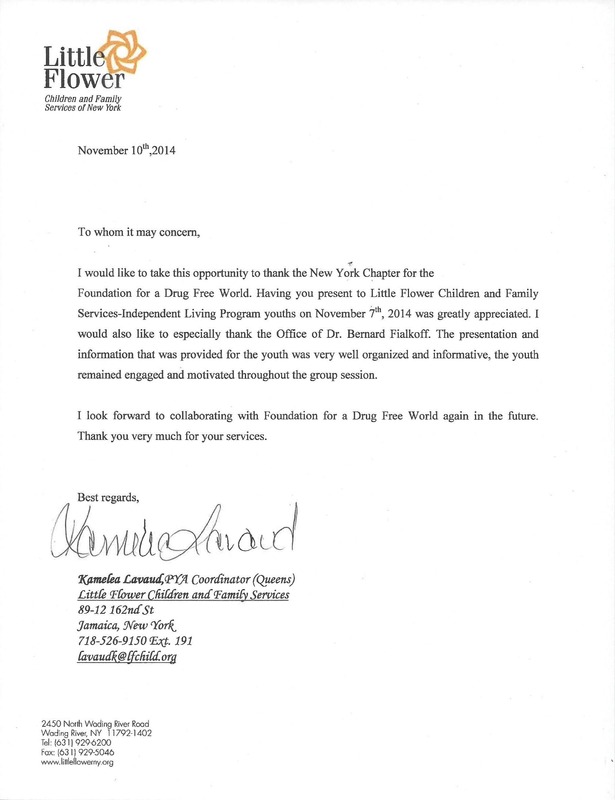 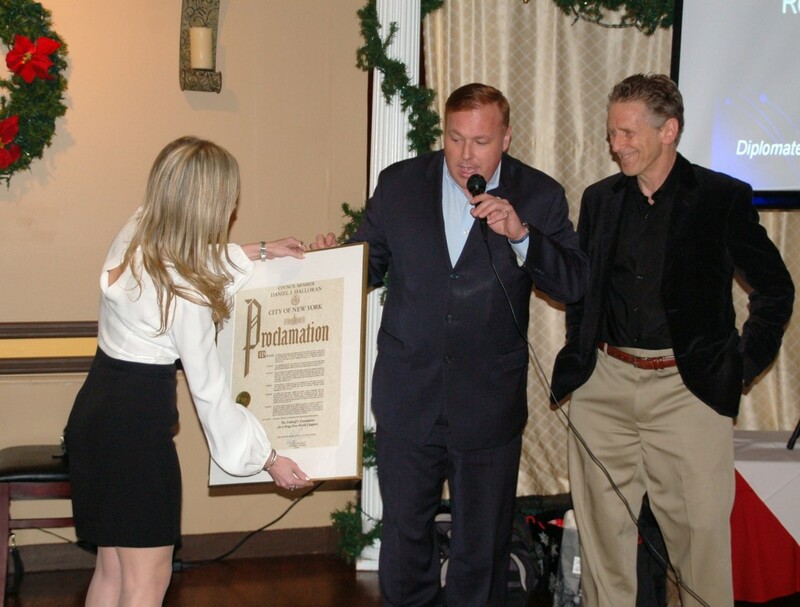 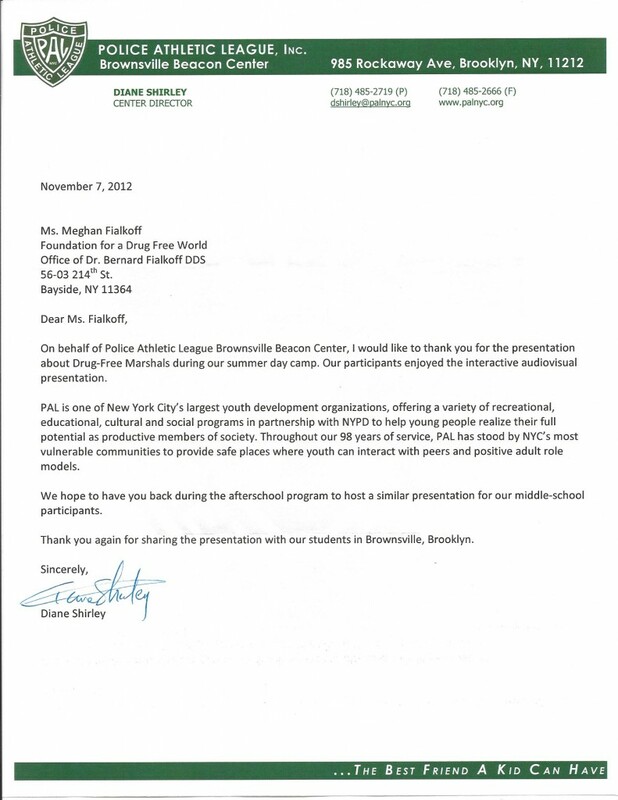 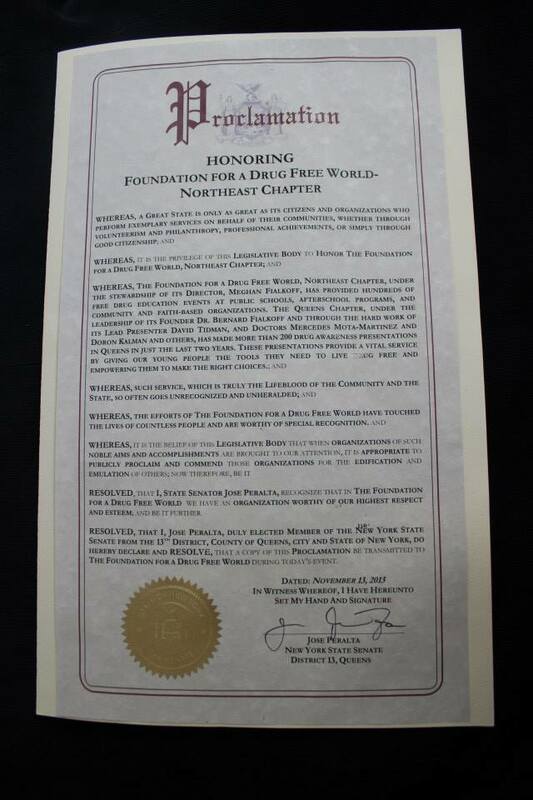 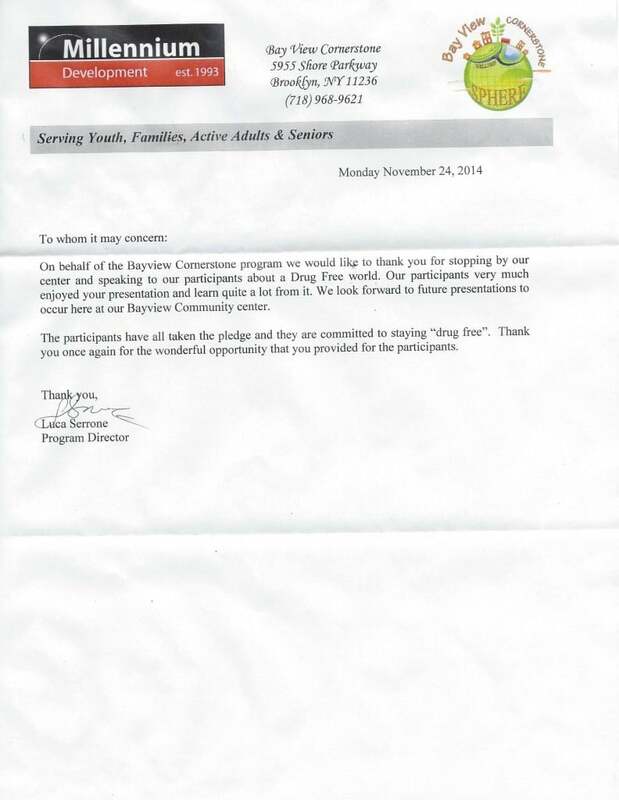 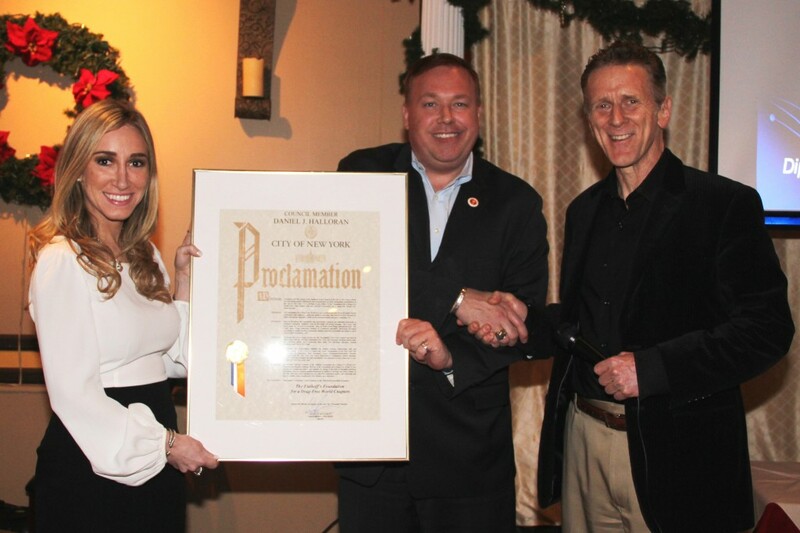 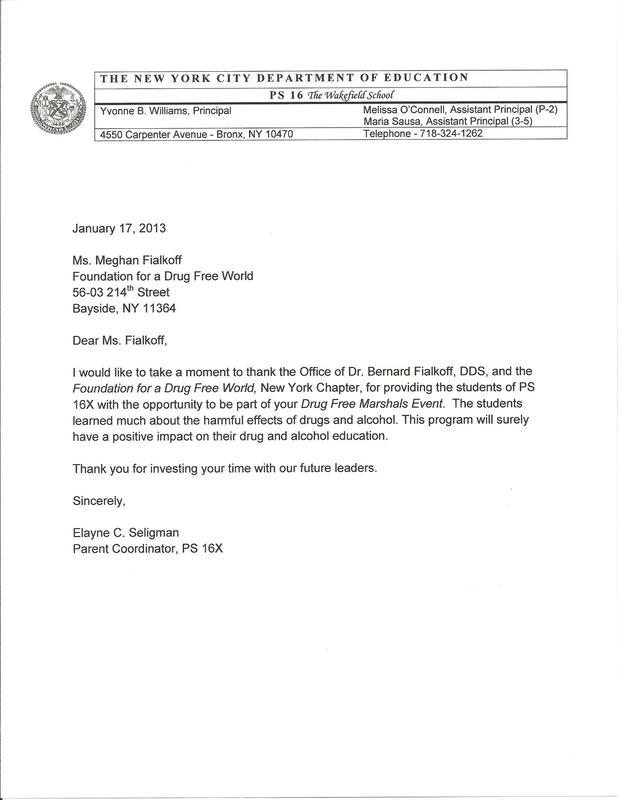 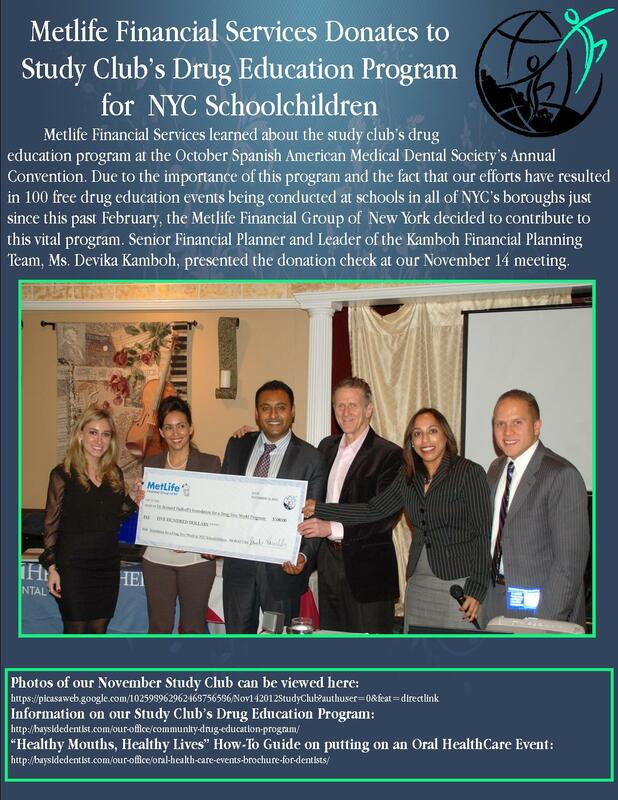 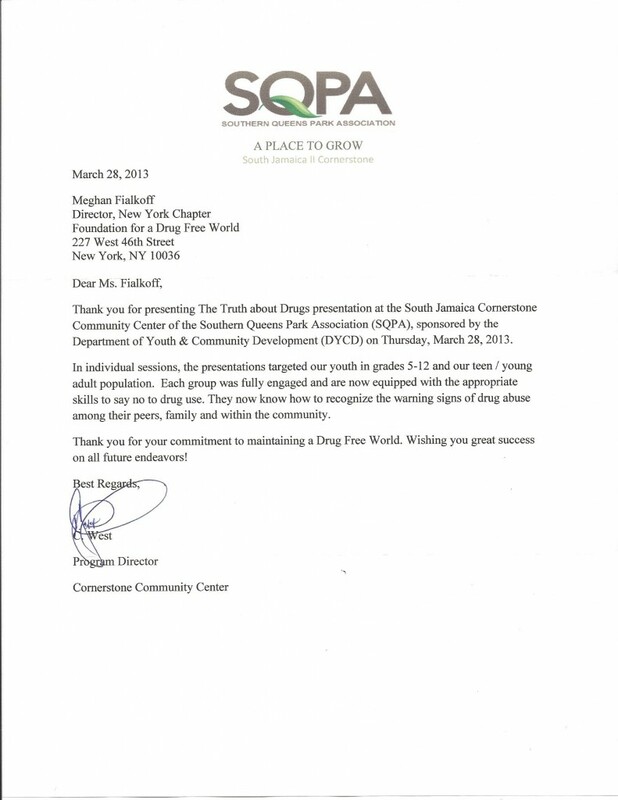 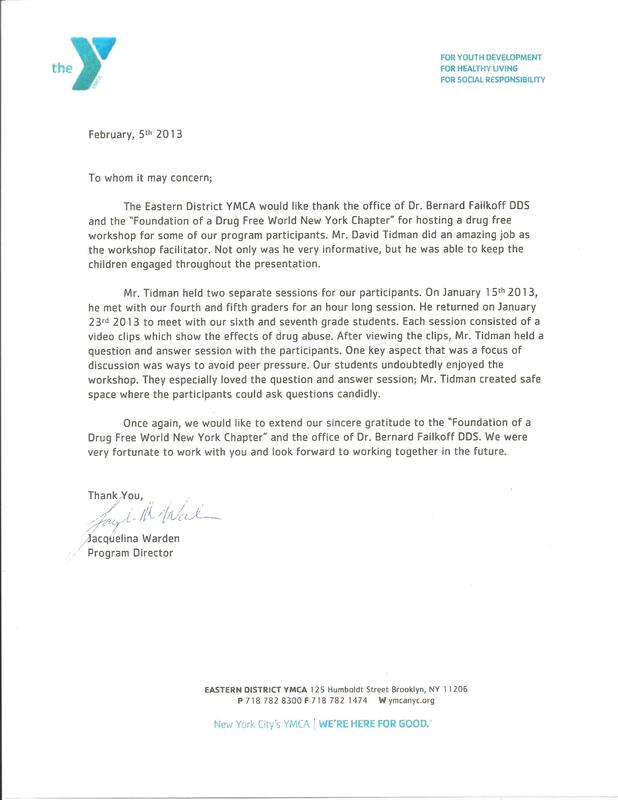 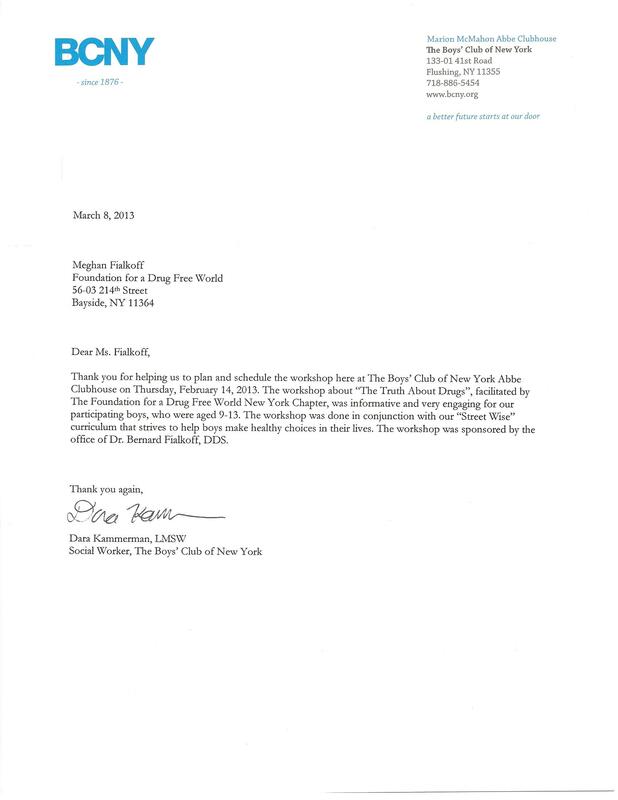 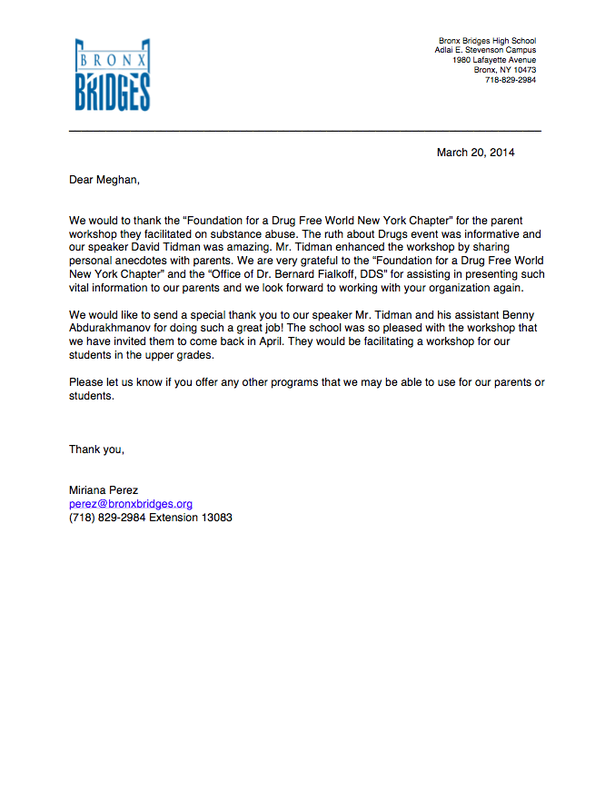 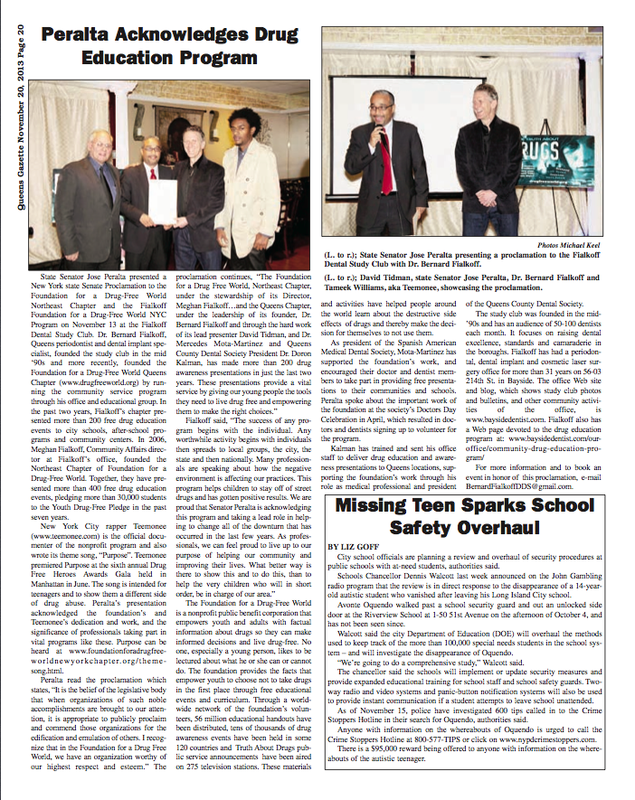 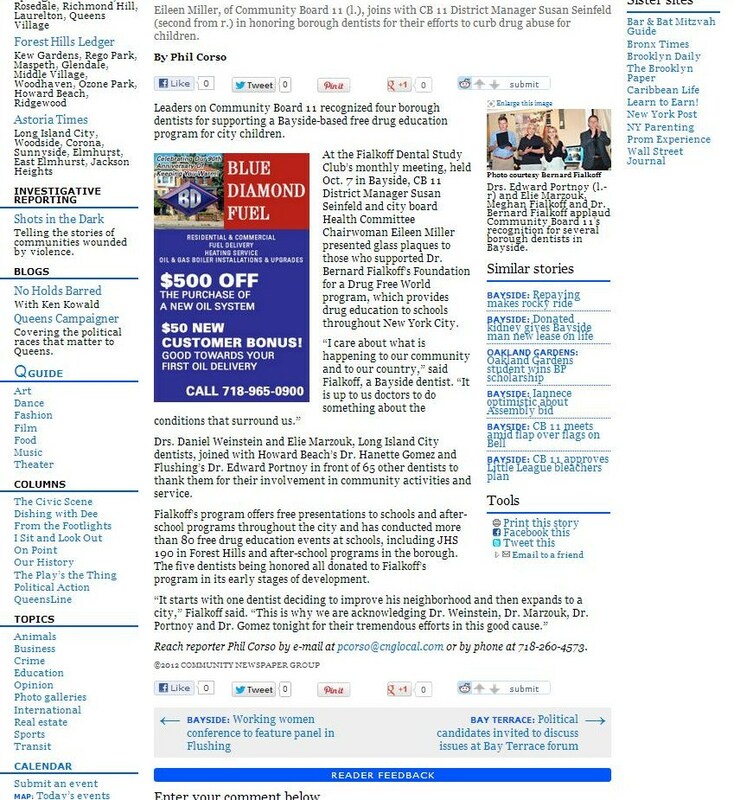 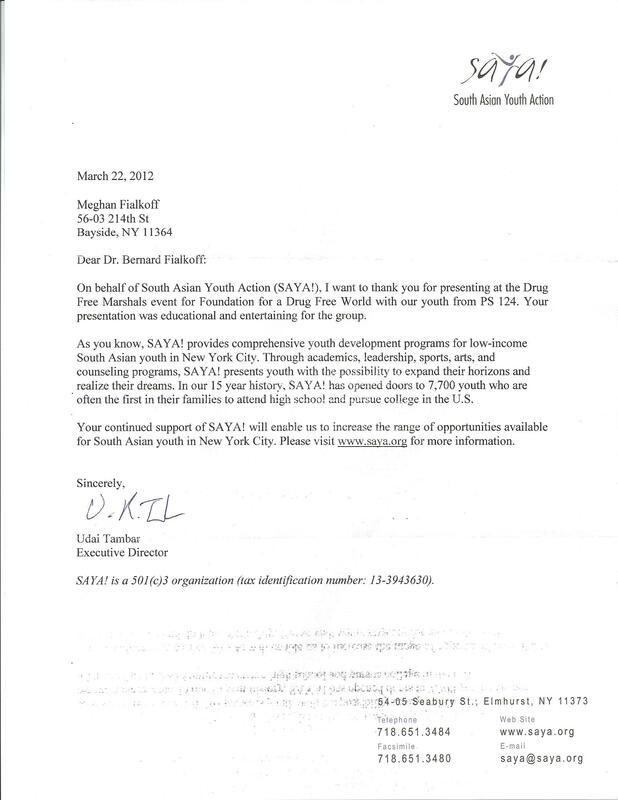 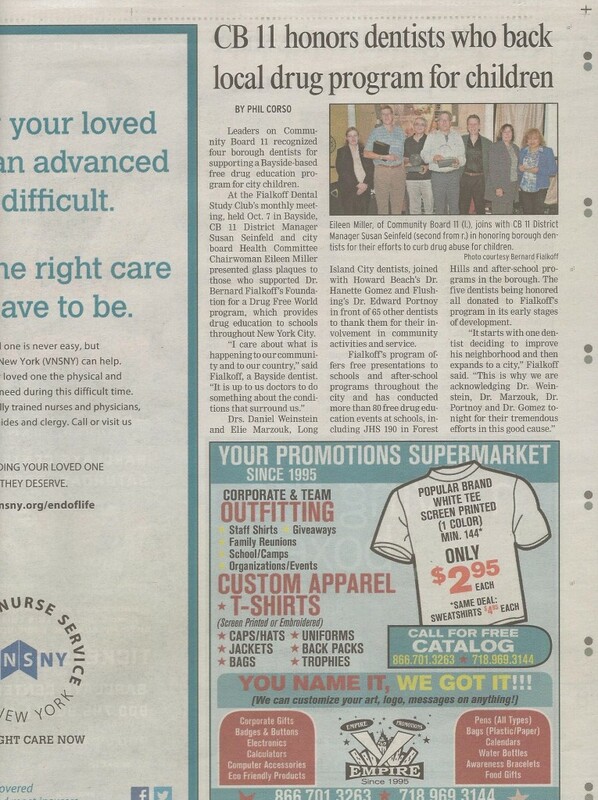 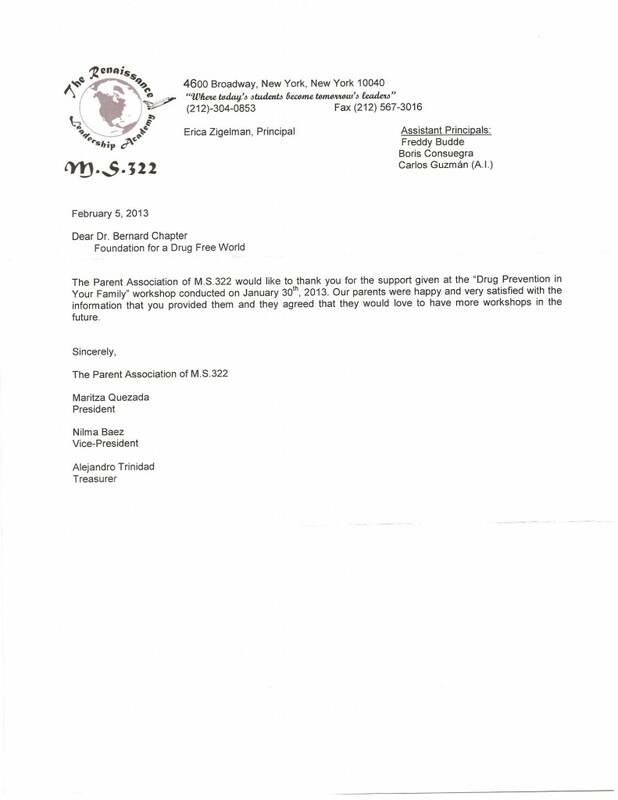 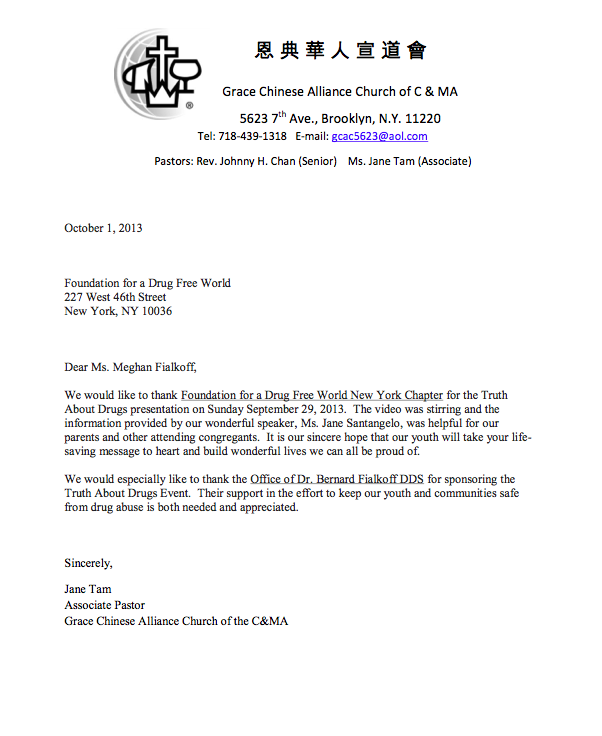 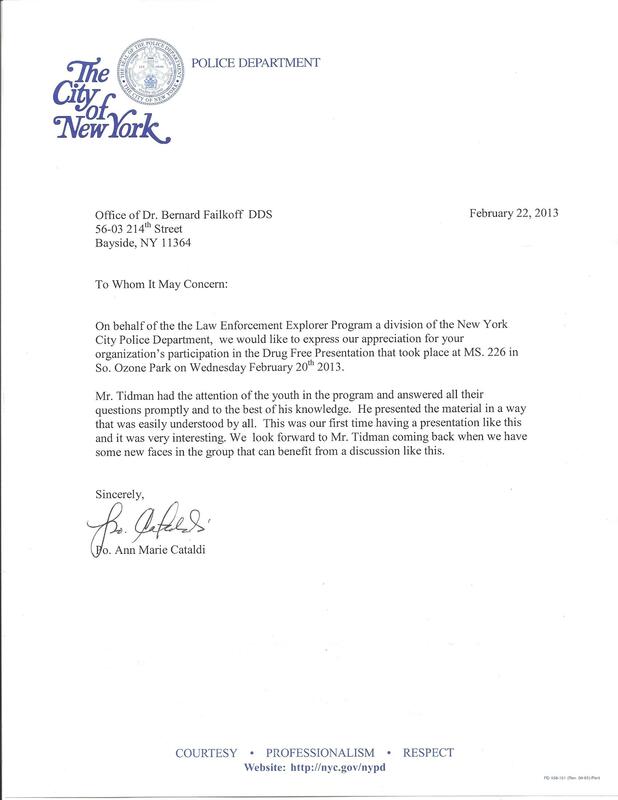 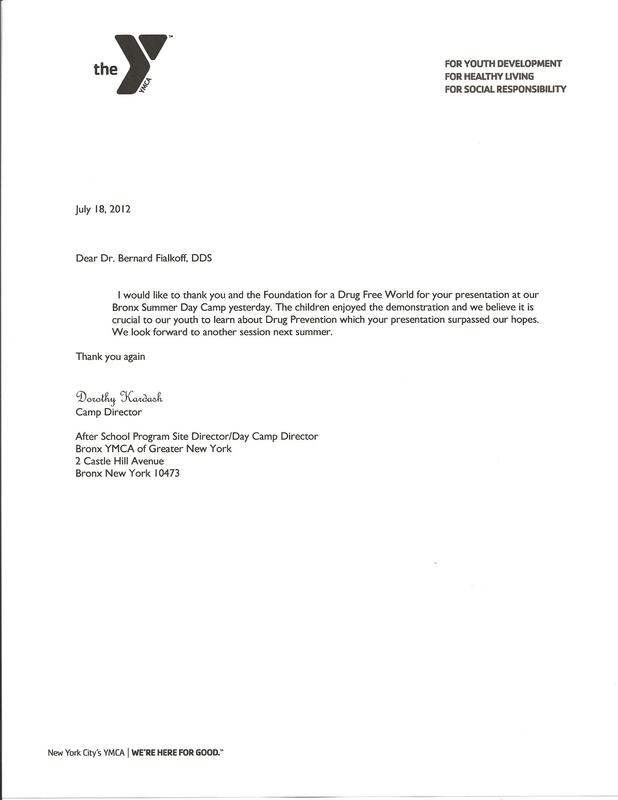 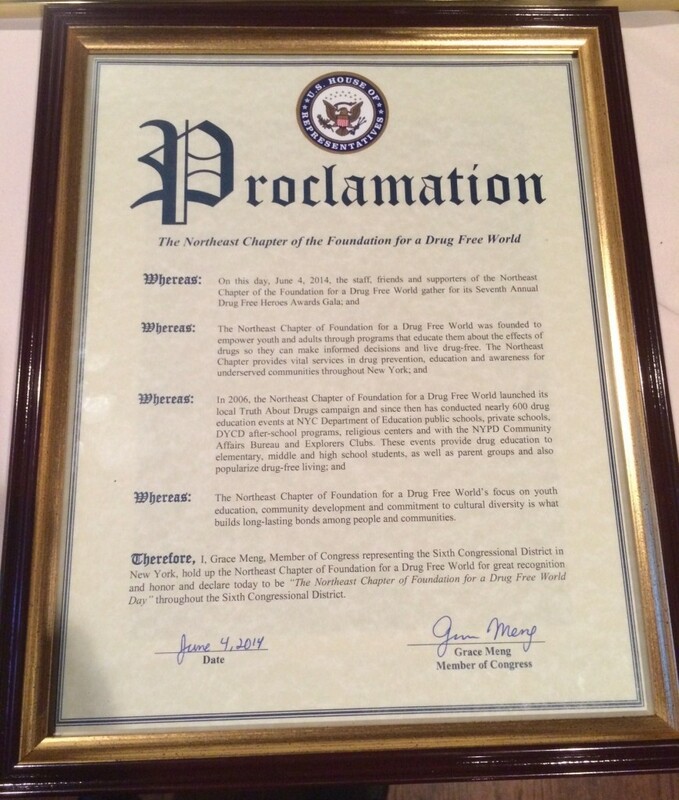 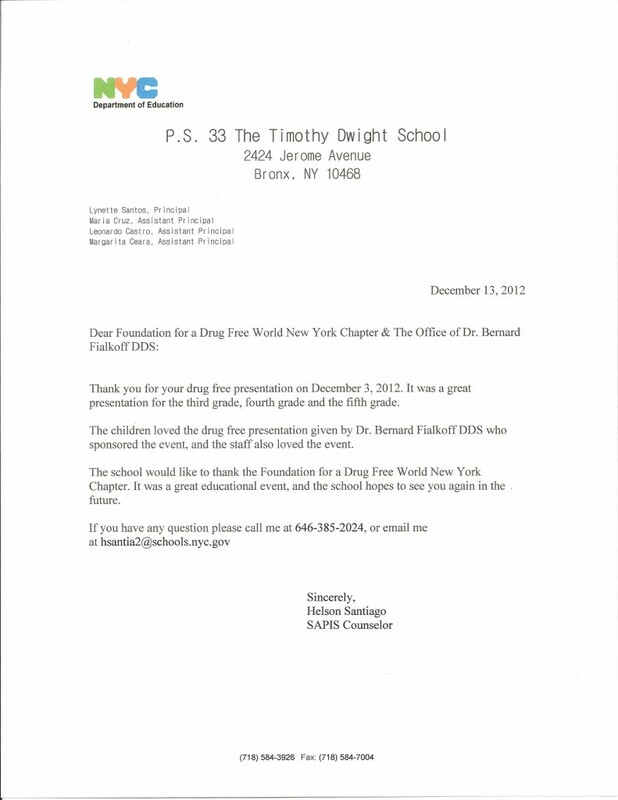 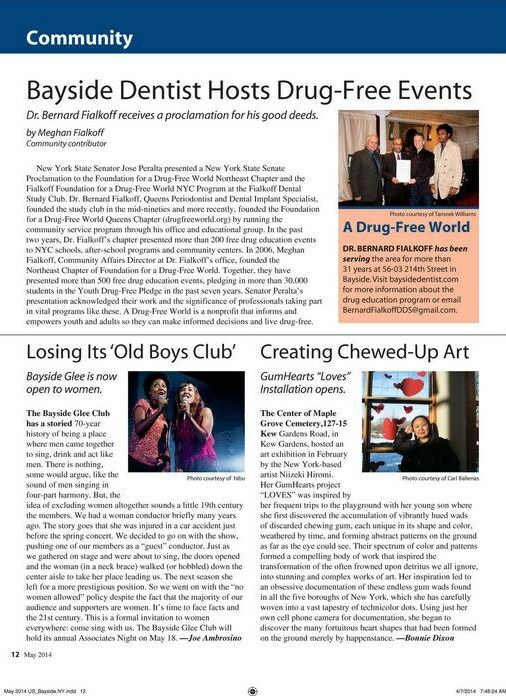 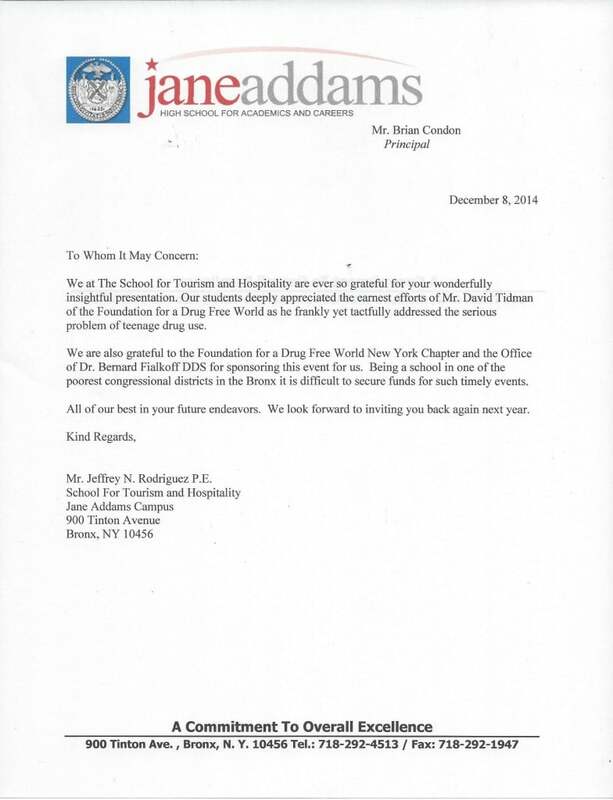 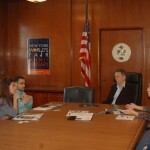 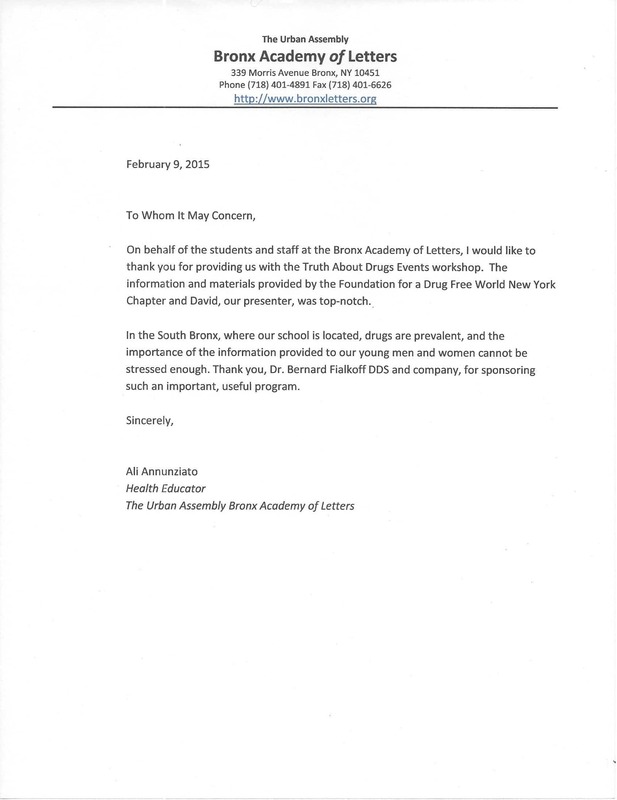 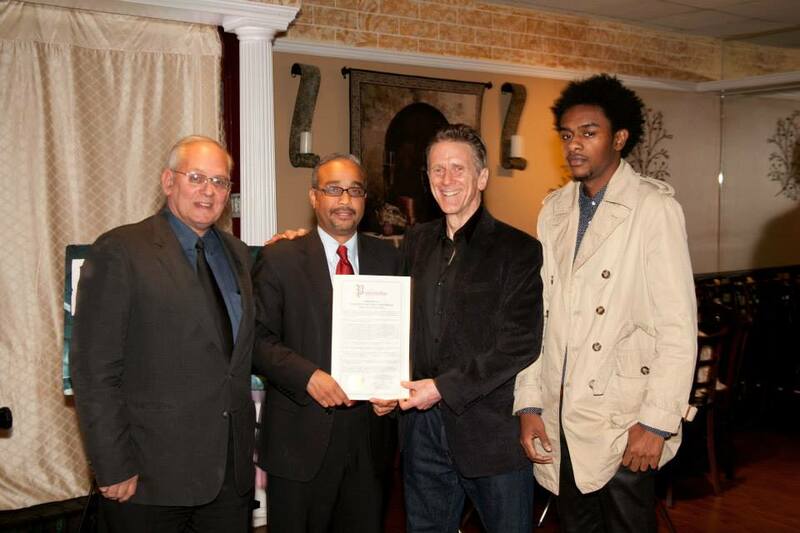 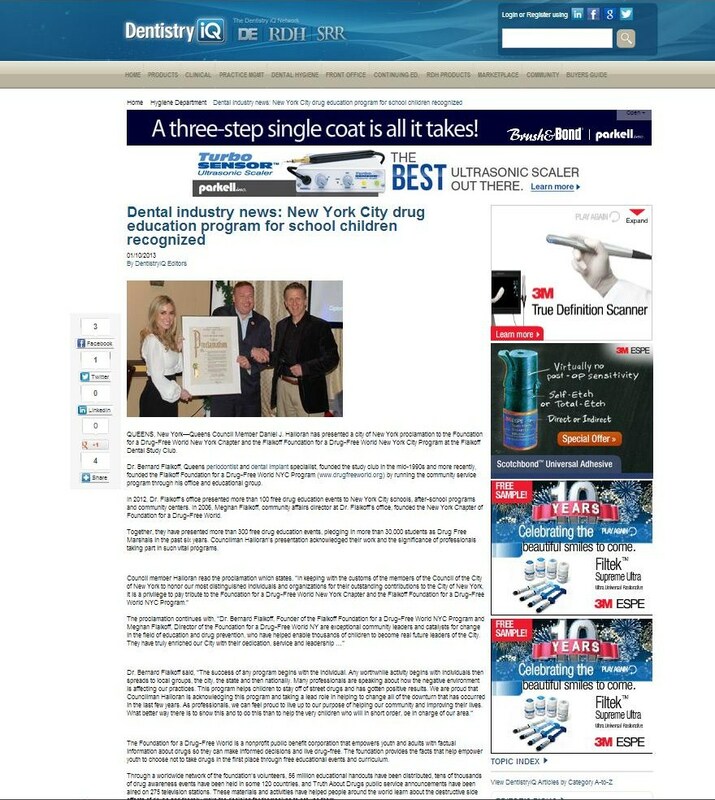 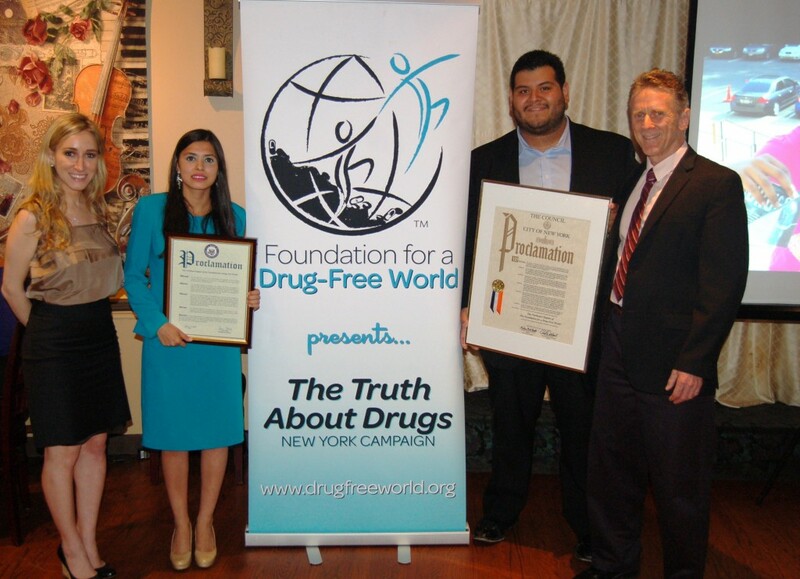 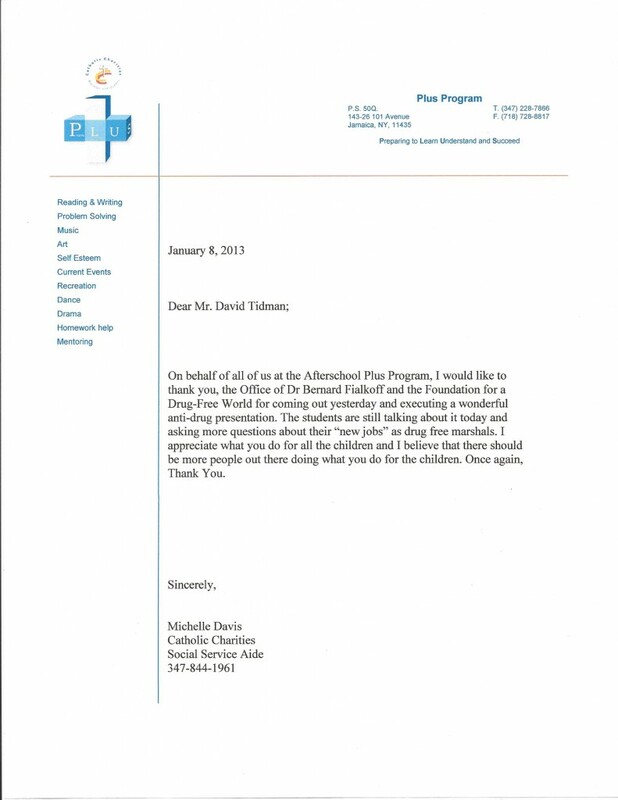 A Queens Councilman presented a proclamation at the January 2013 Fialkoff Dental Study Club in honor of the NY & Queens Chapters of Foundation for a Drug Free World Chapter.